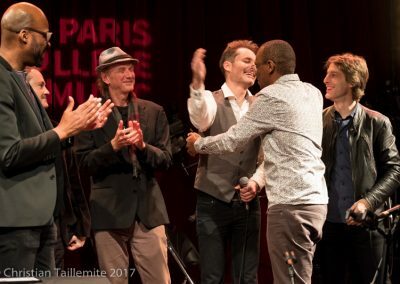 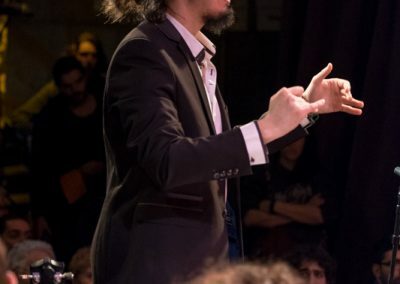 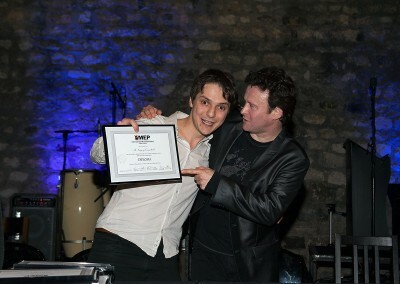 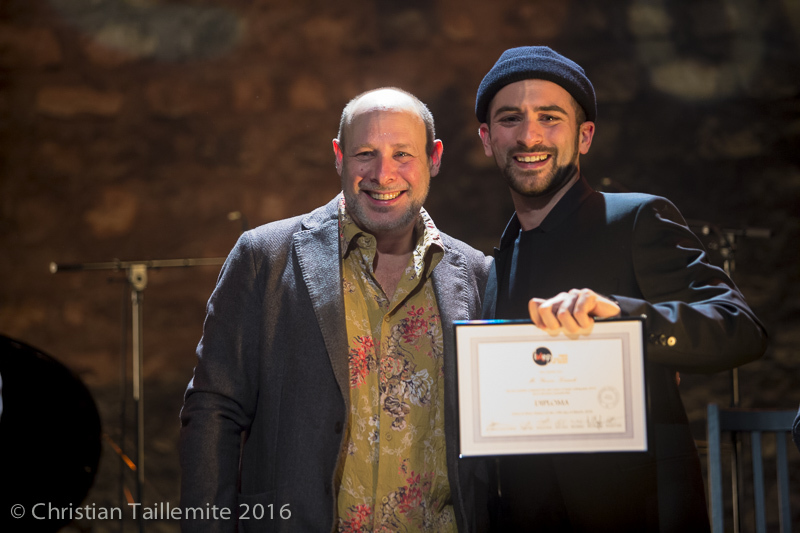 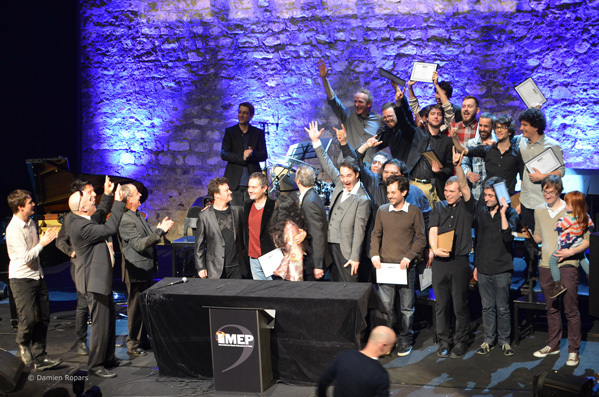 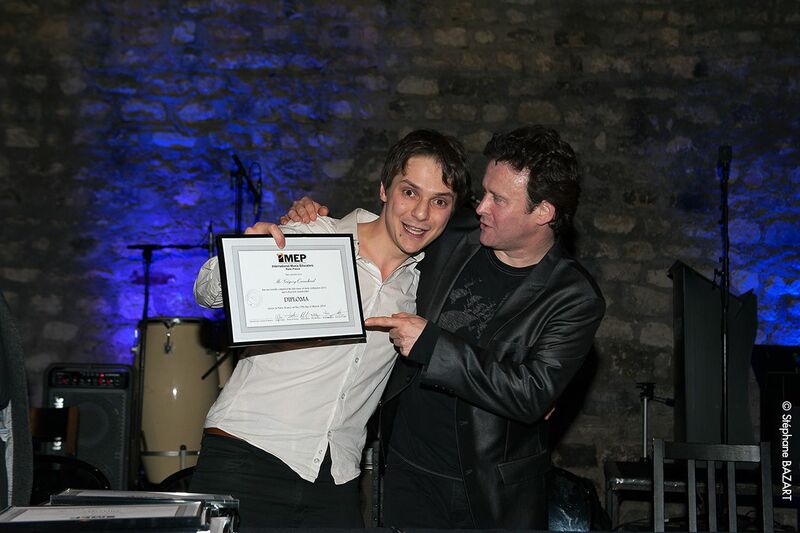 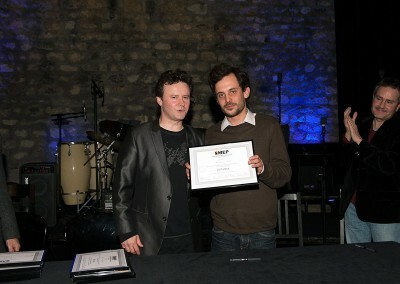 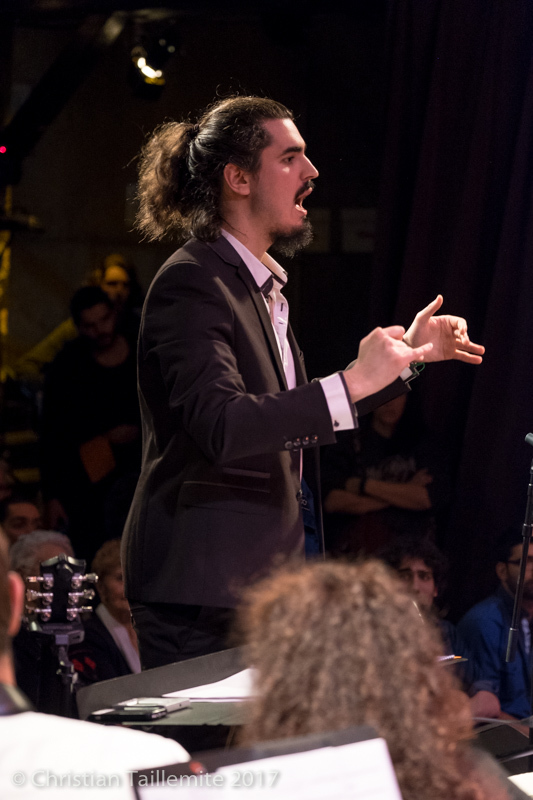 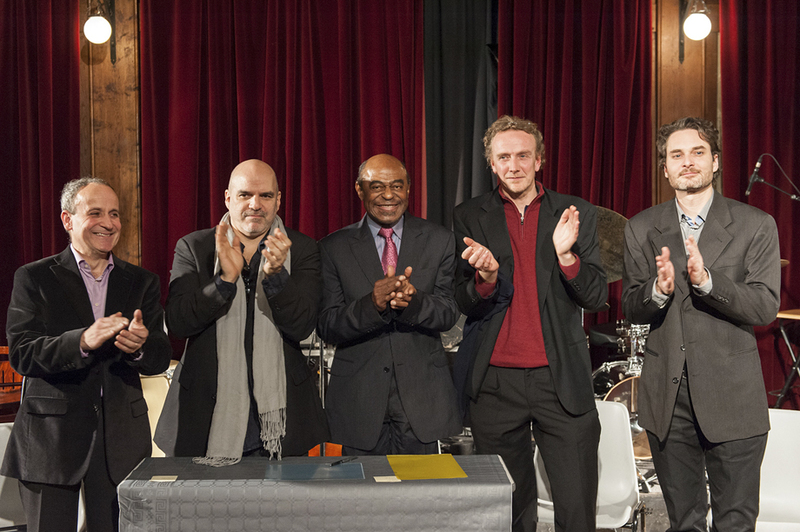 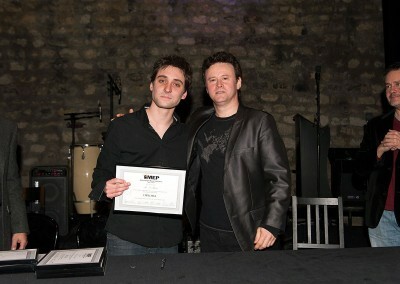 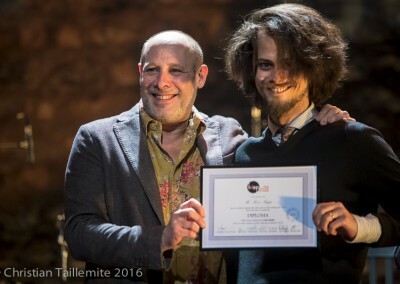 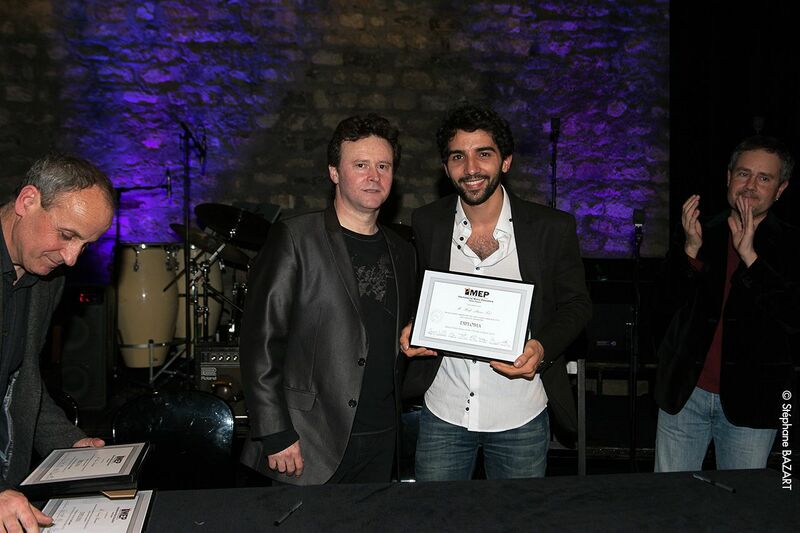 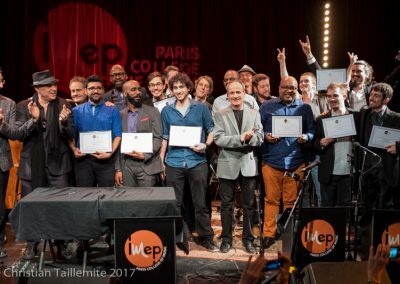 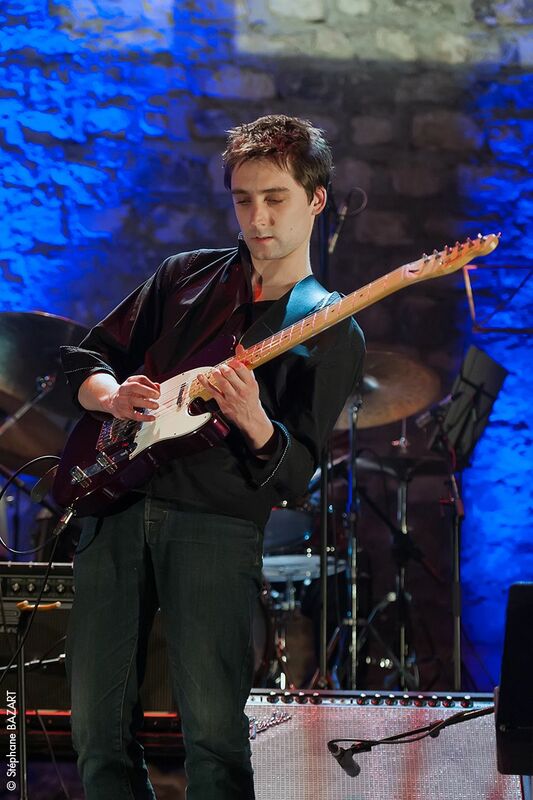 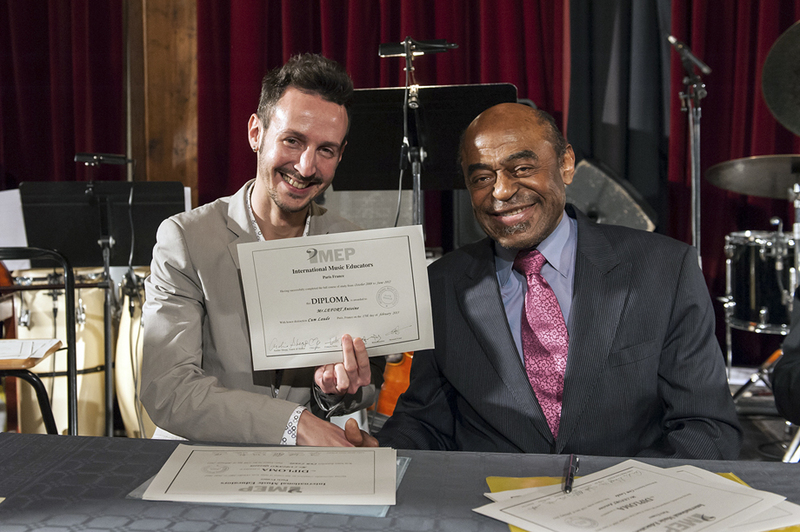 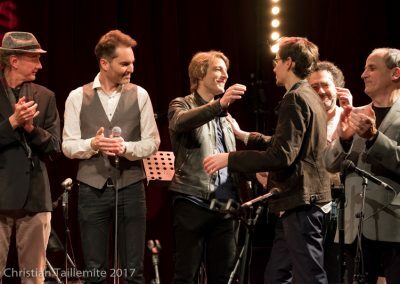 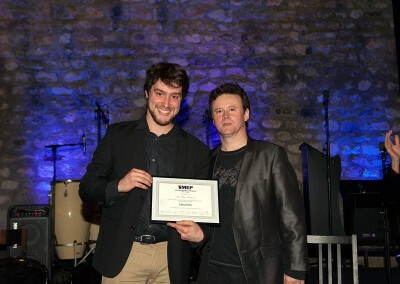 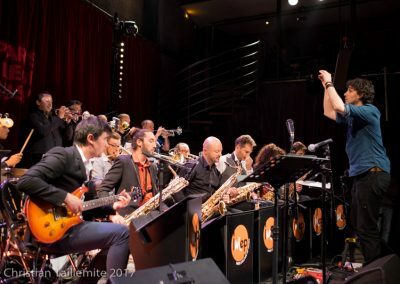 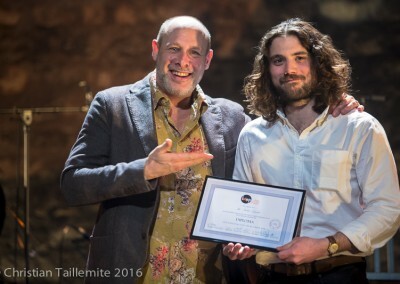 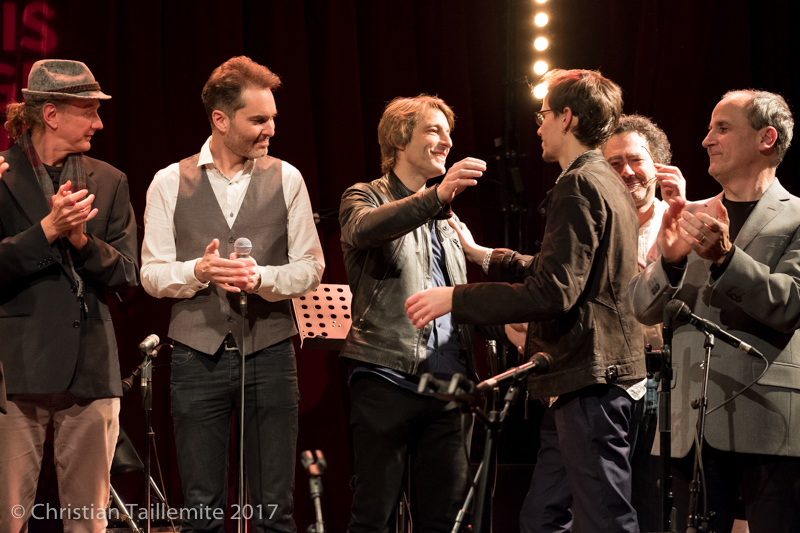 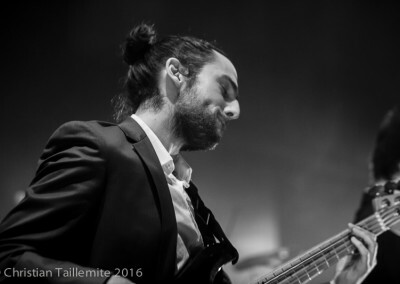 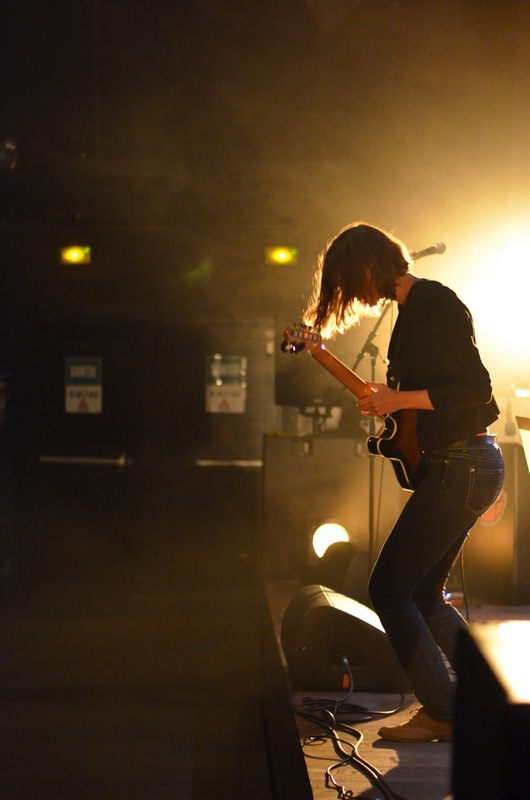 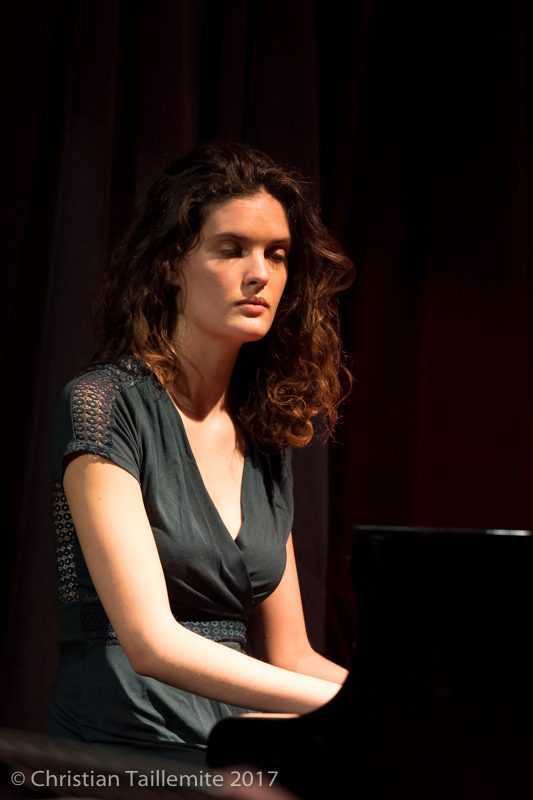 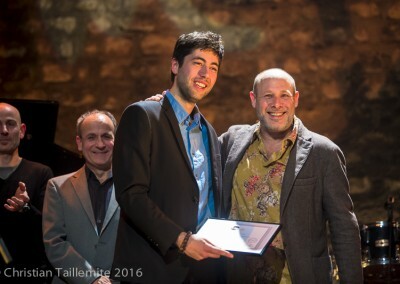 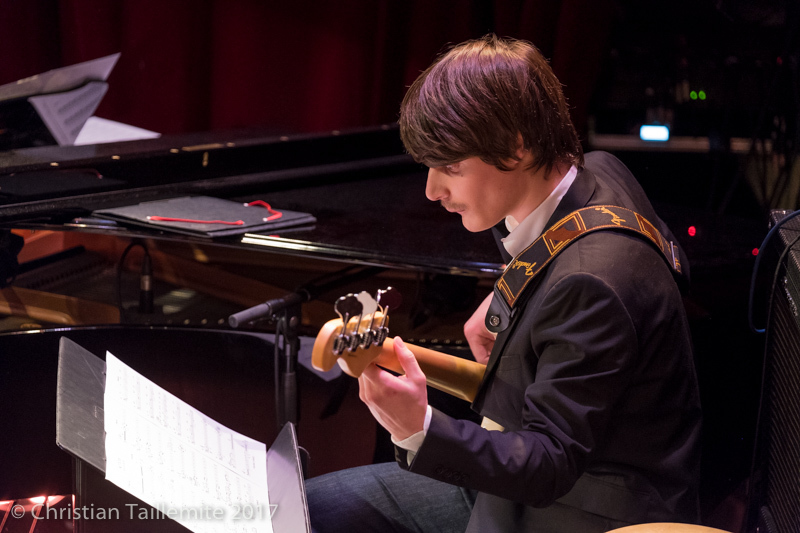 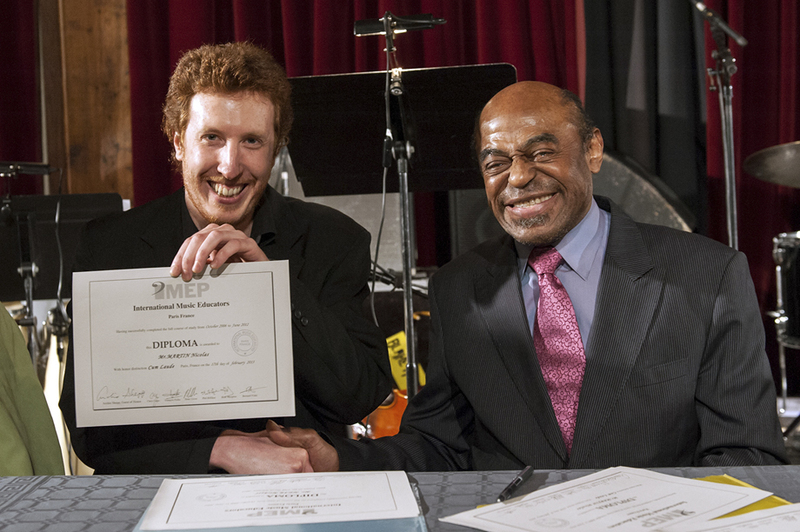 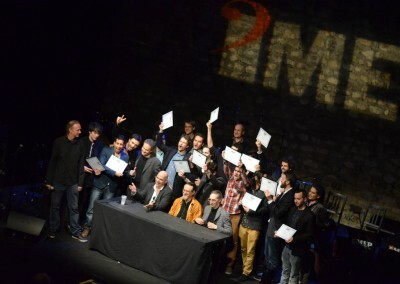 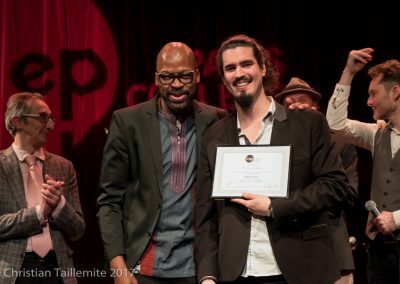 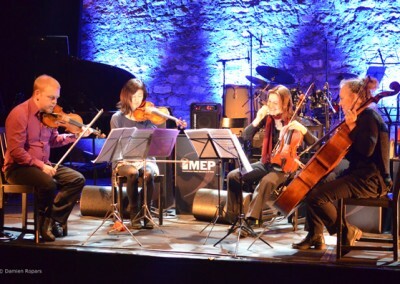 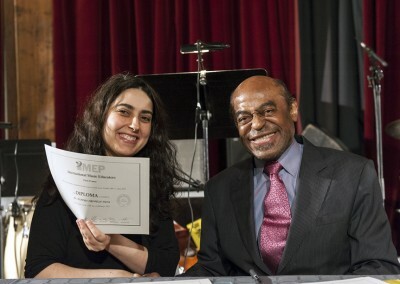 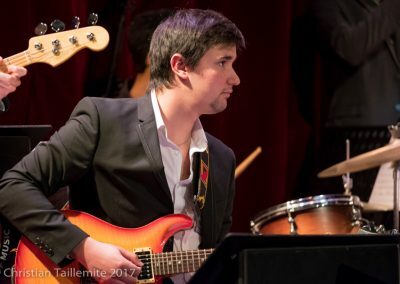 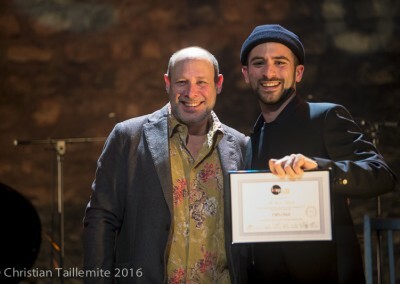 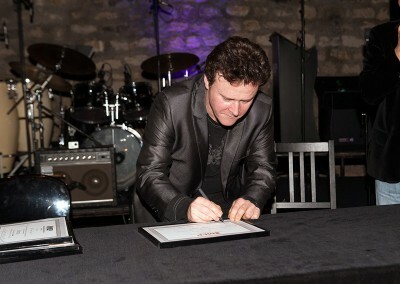 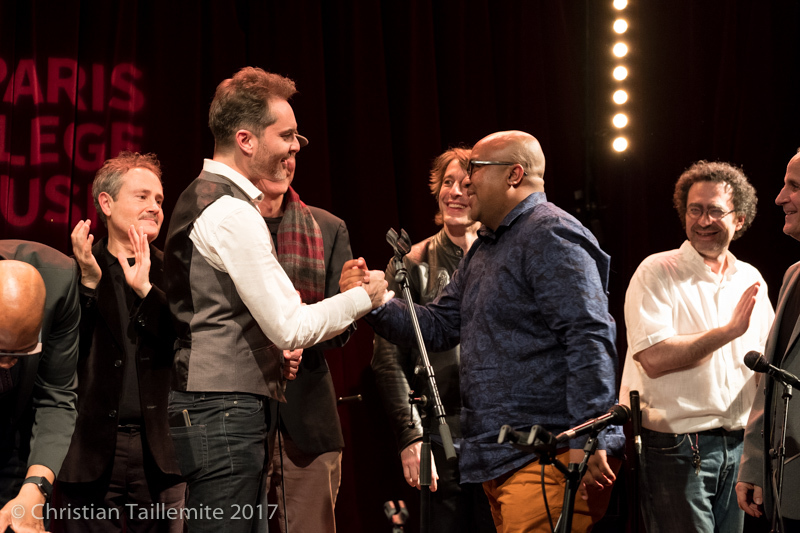 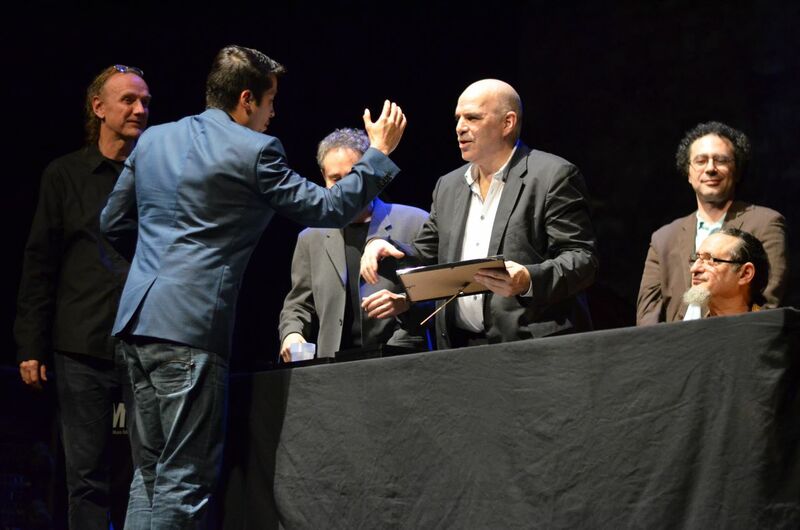 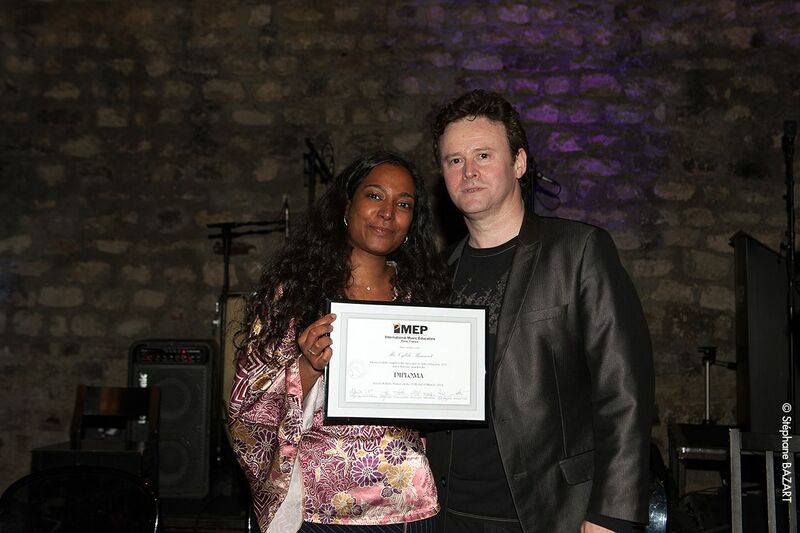 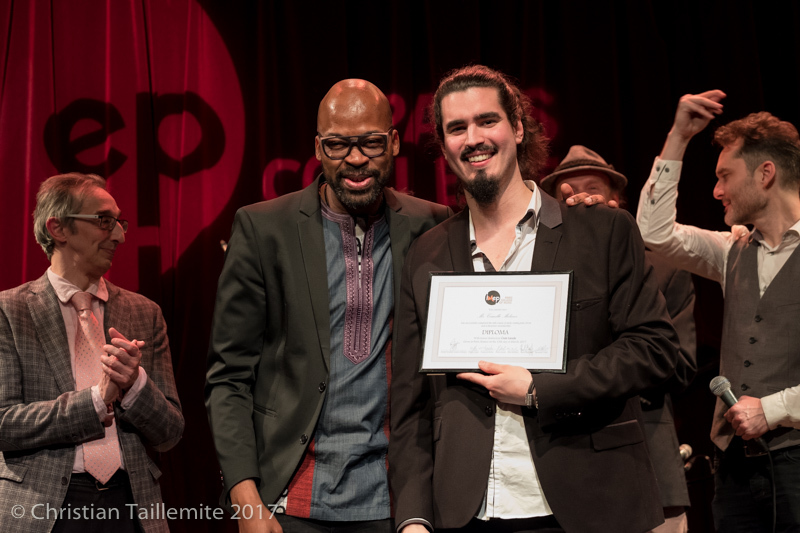 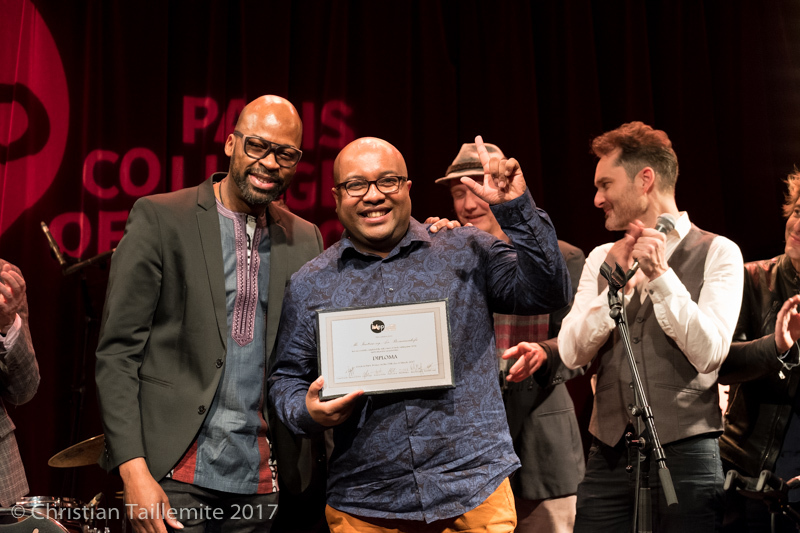 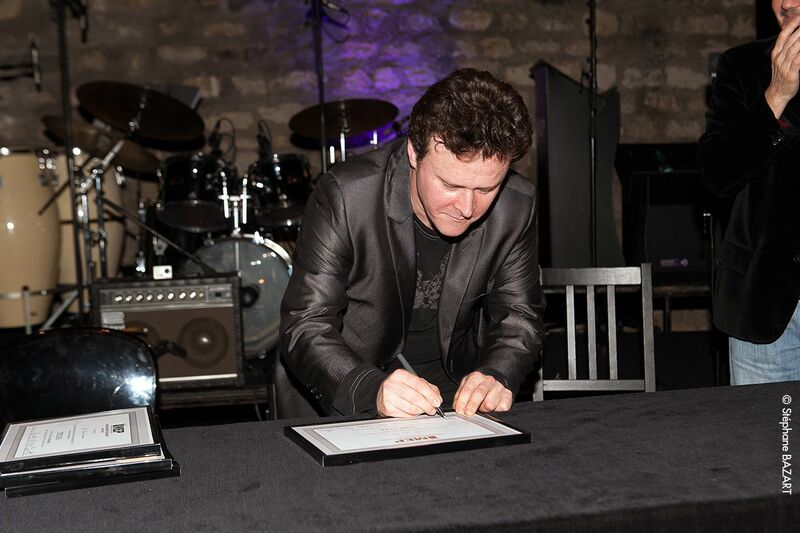 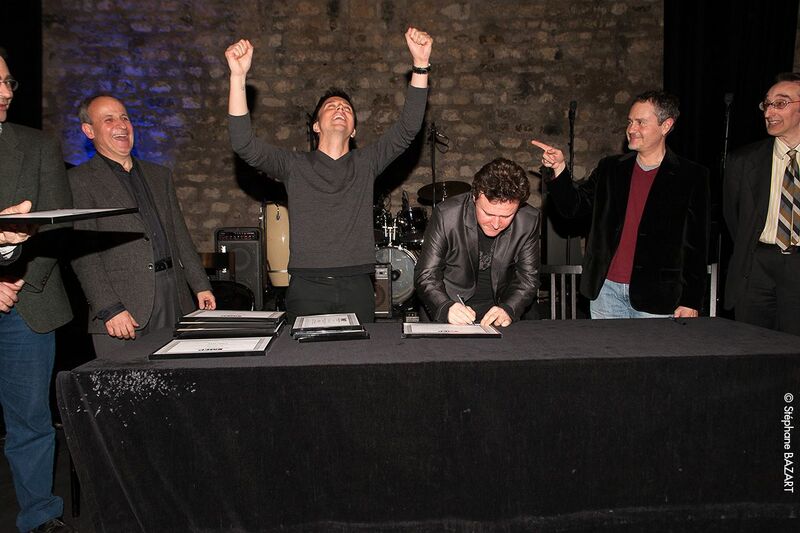 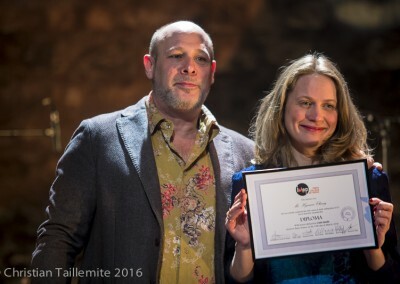 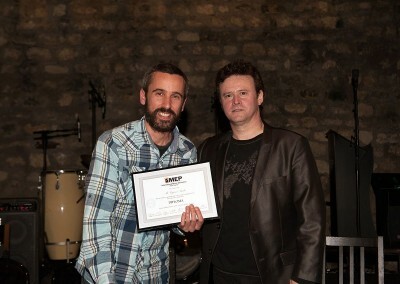 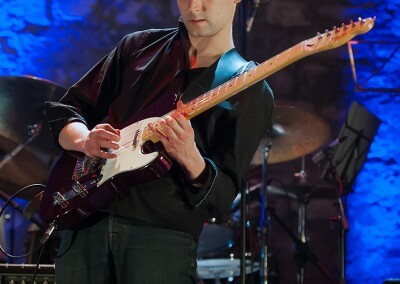 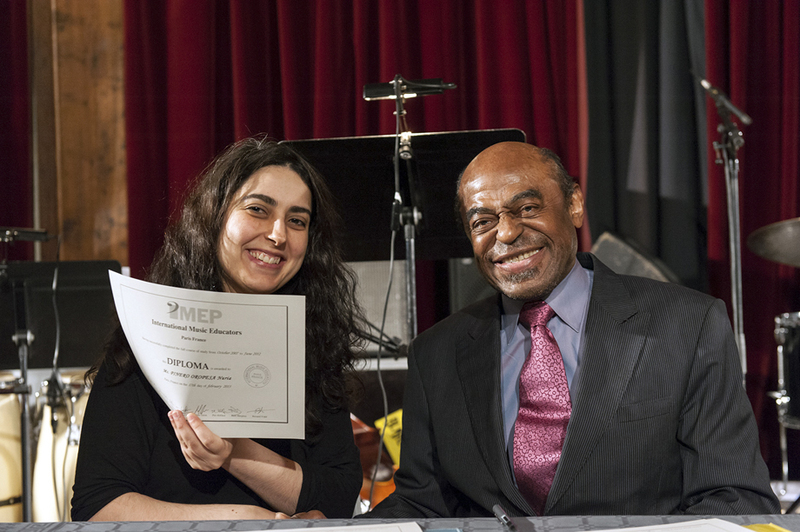 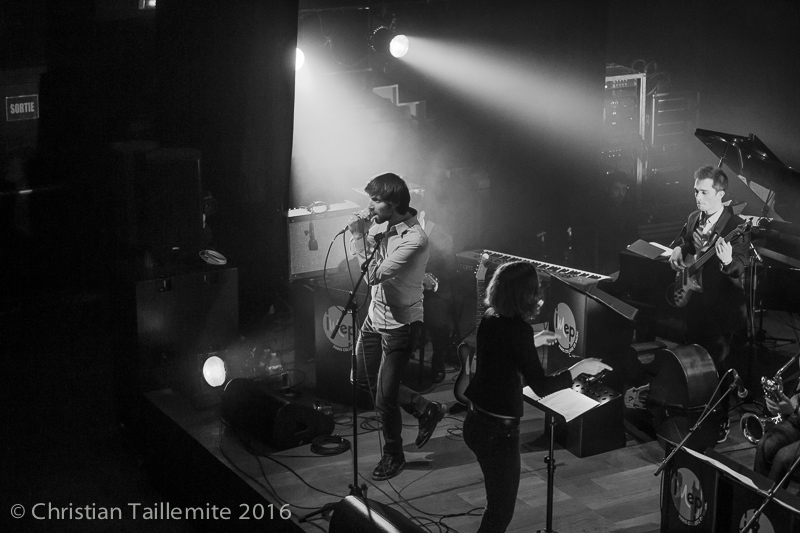 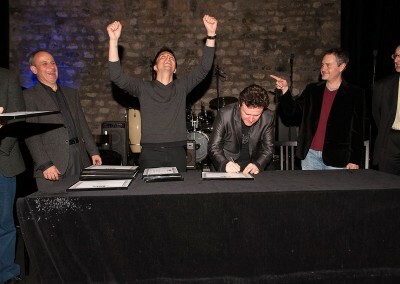 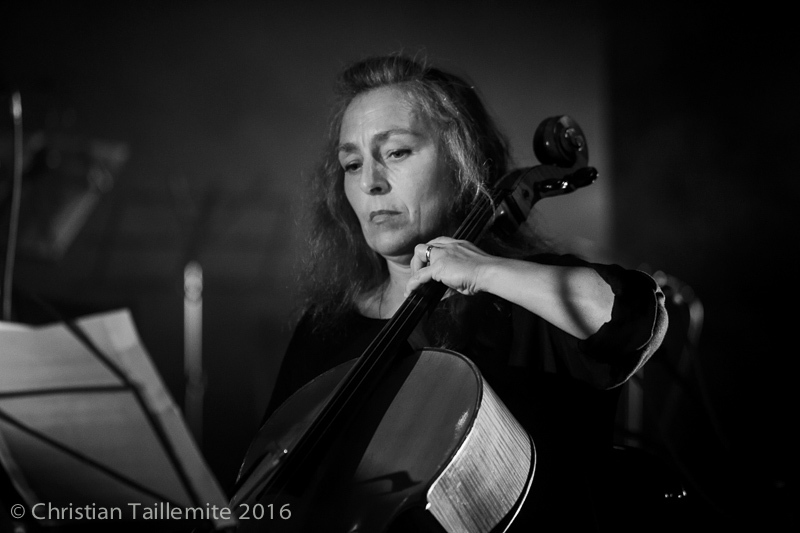 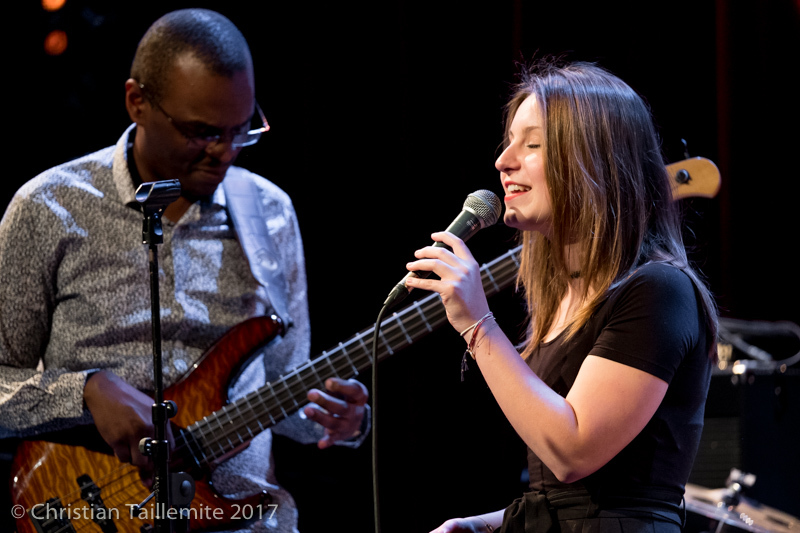 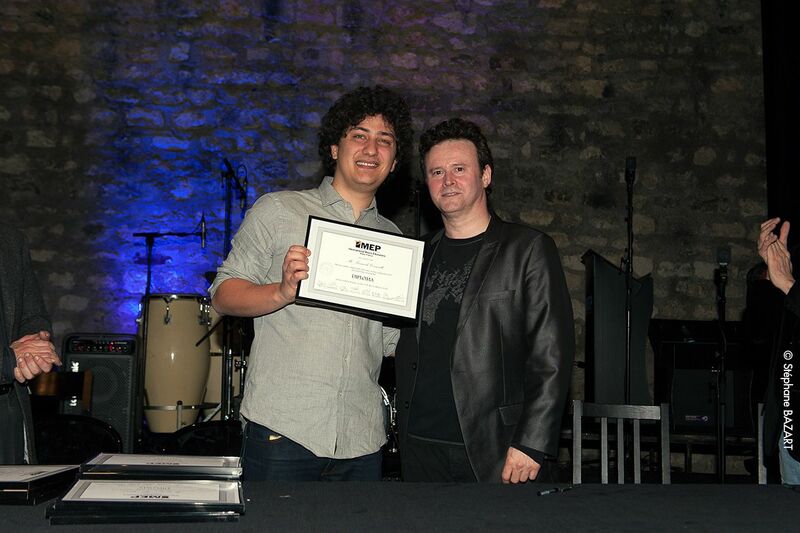 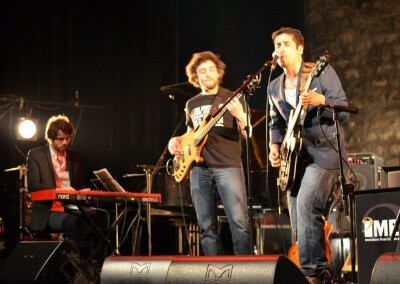 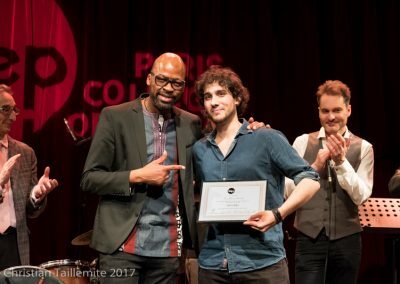 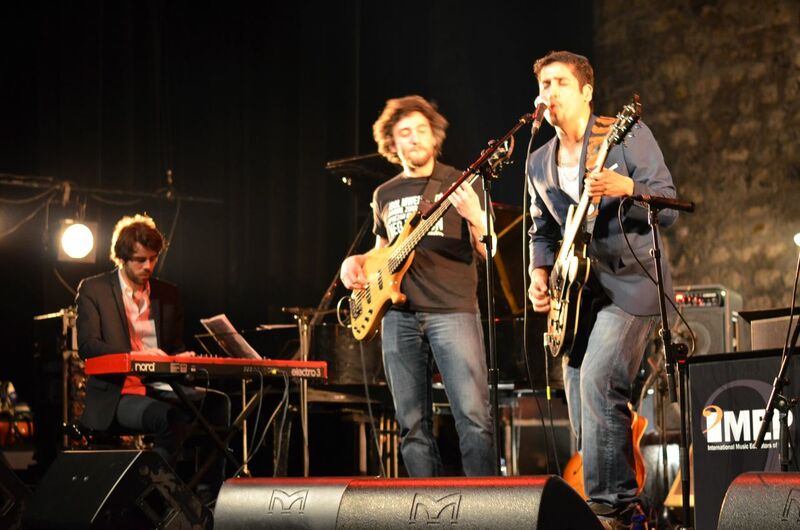 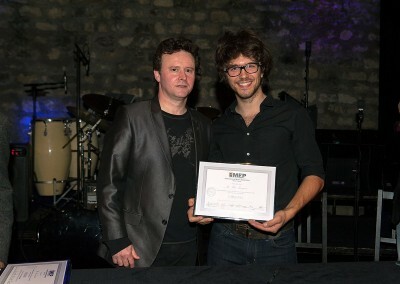 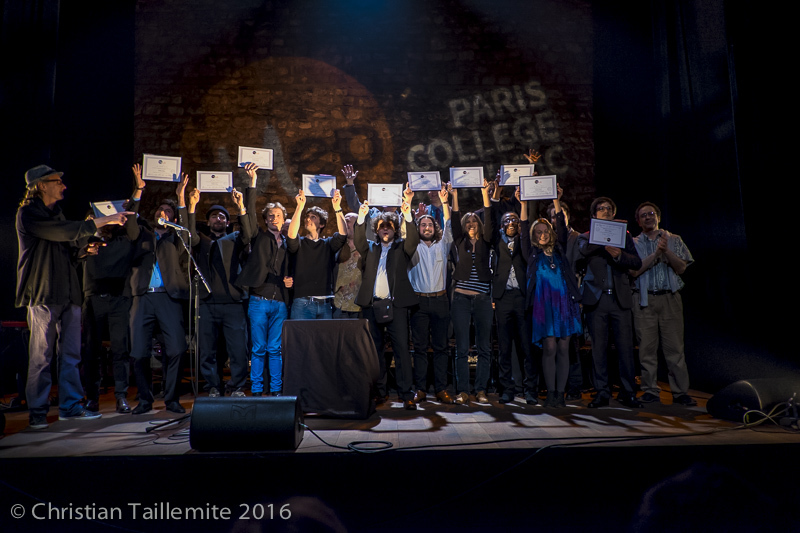 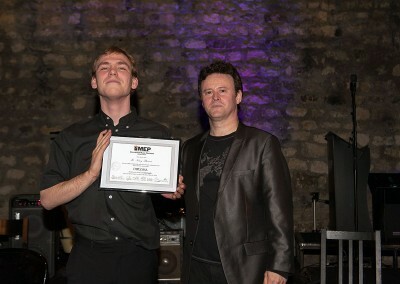 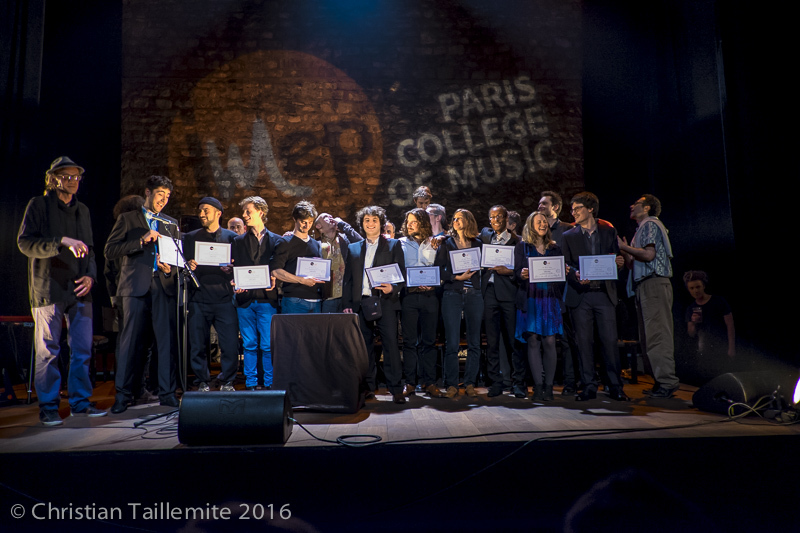 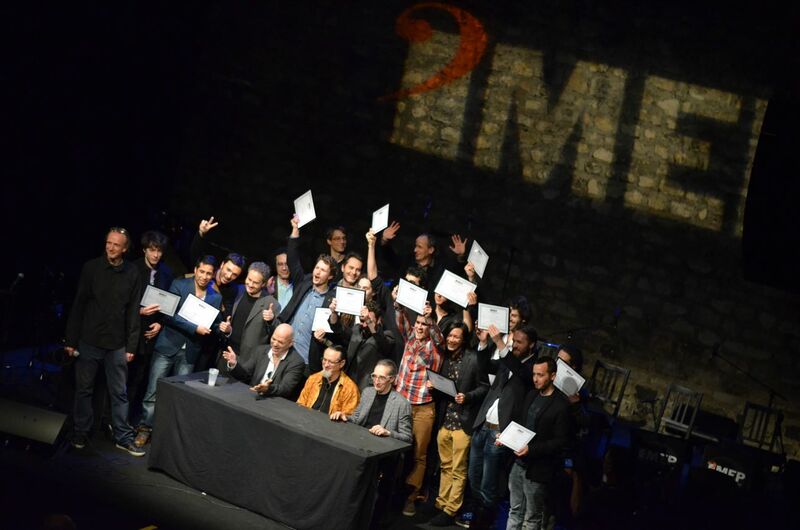 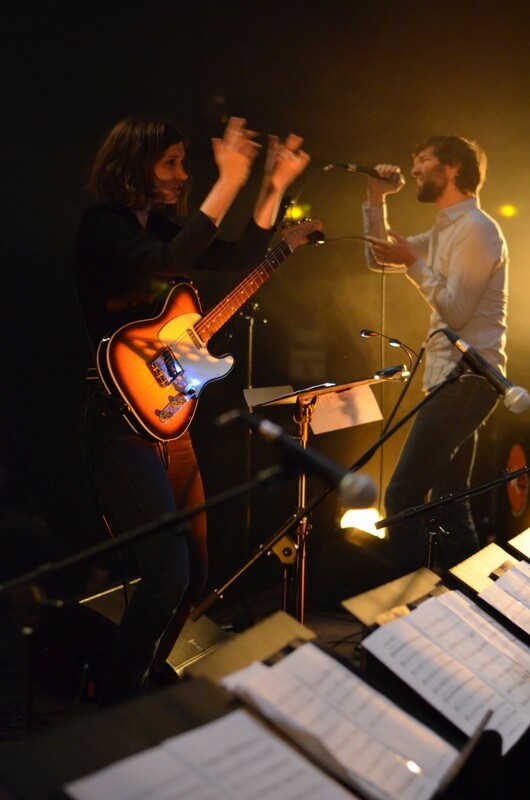 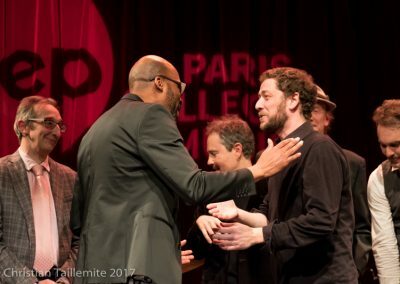 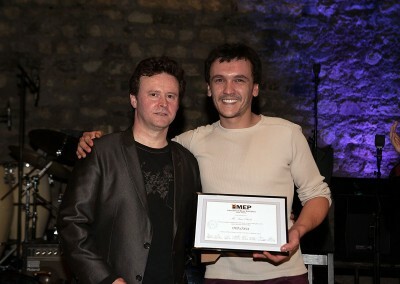 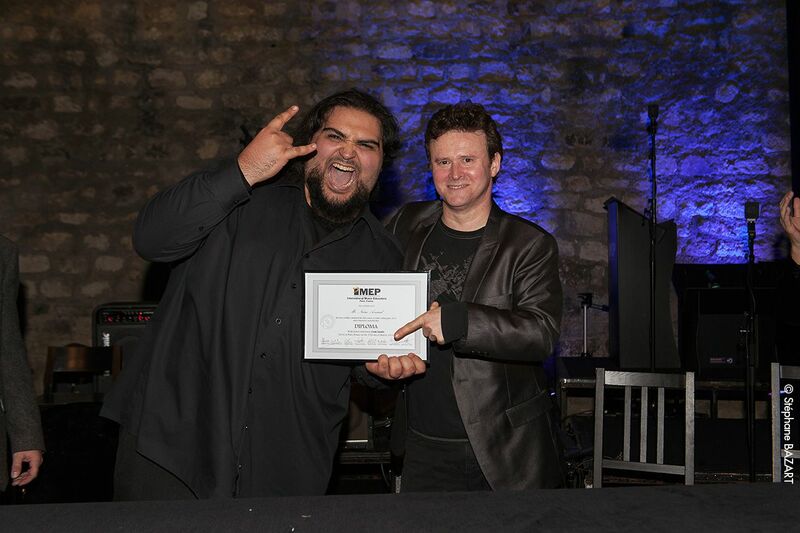 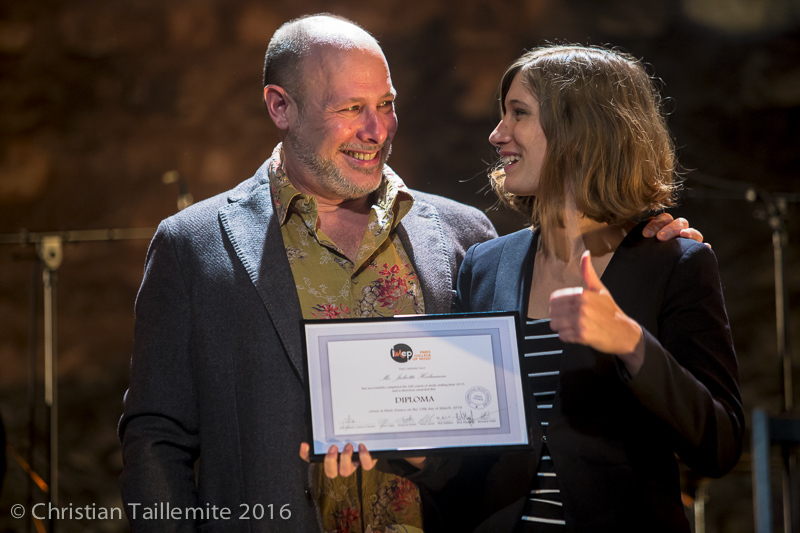 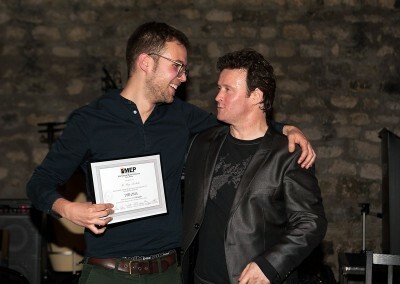 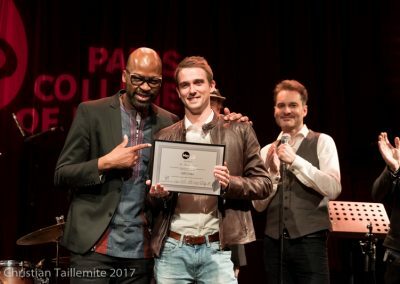 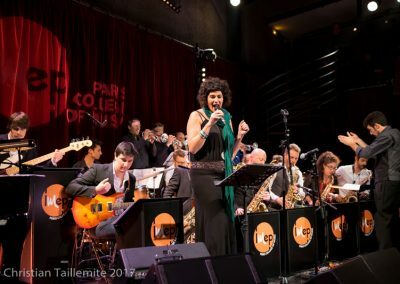 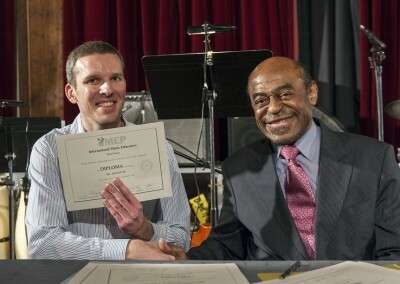 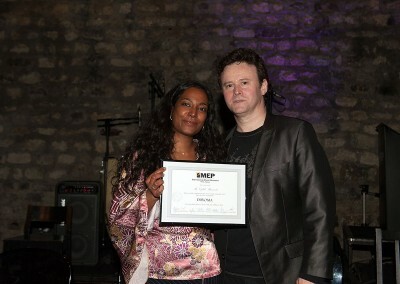 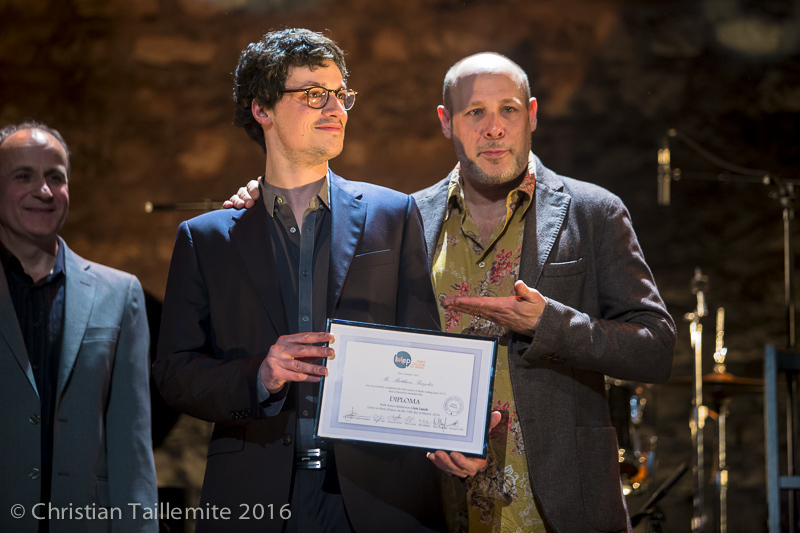 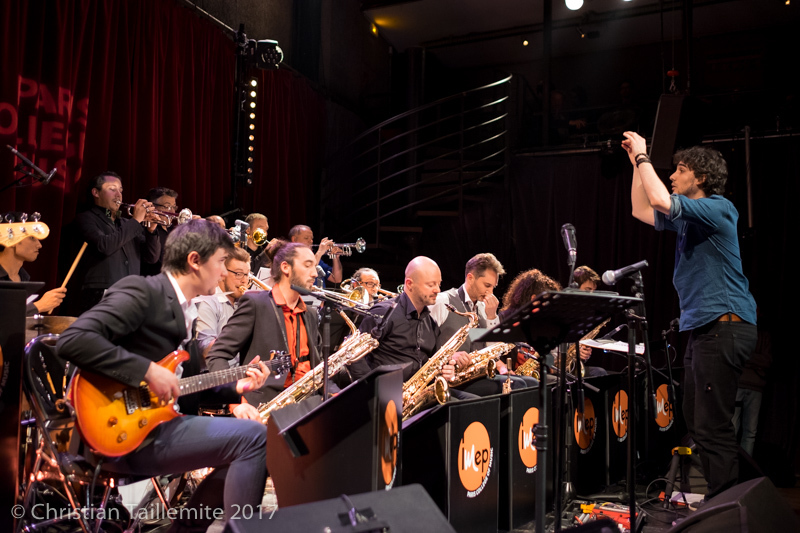 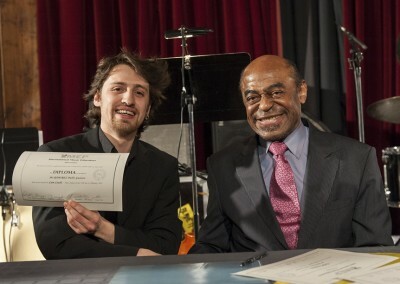 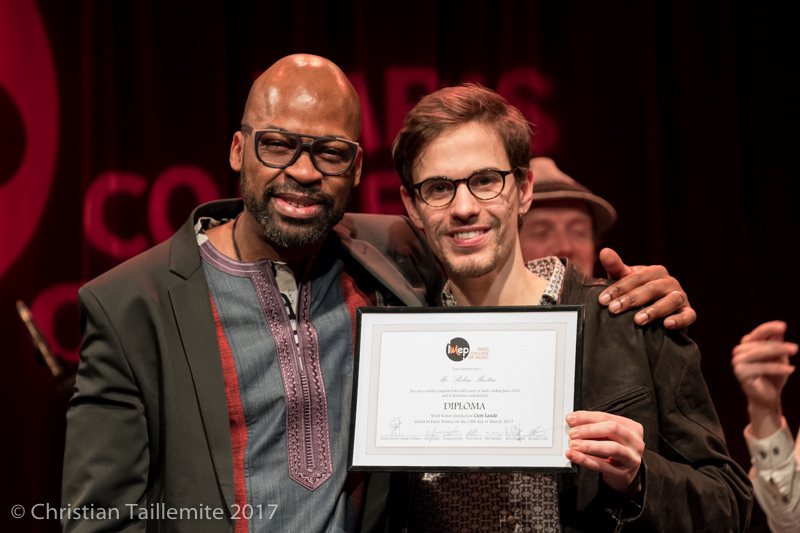 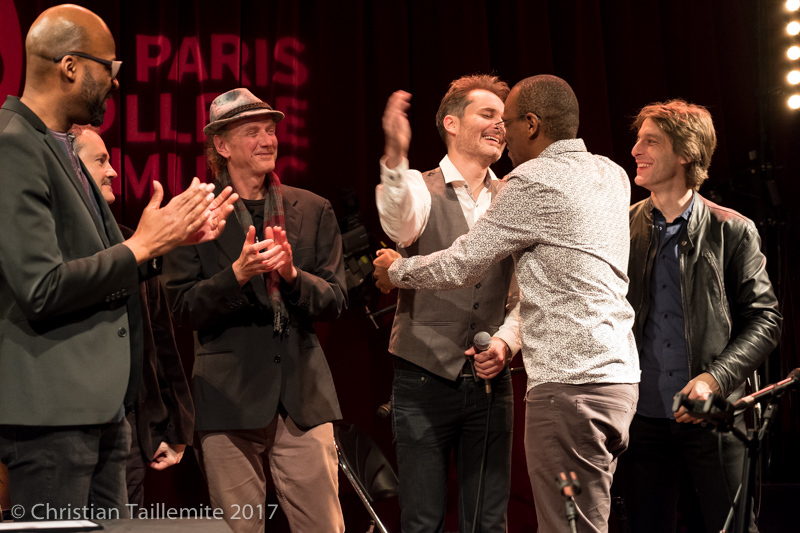 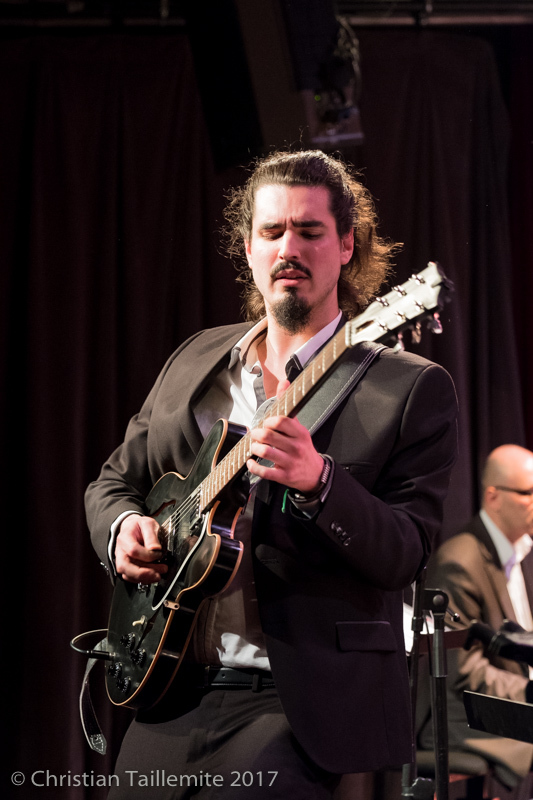 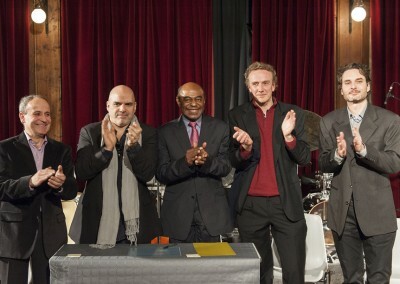 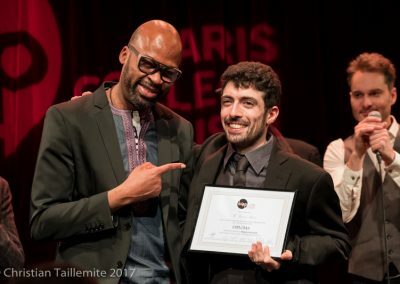 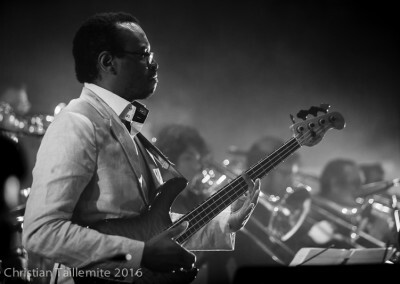 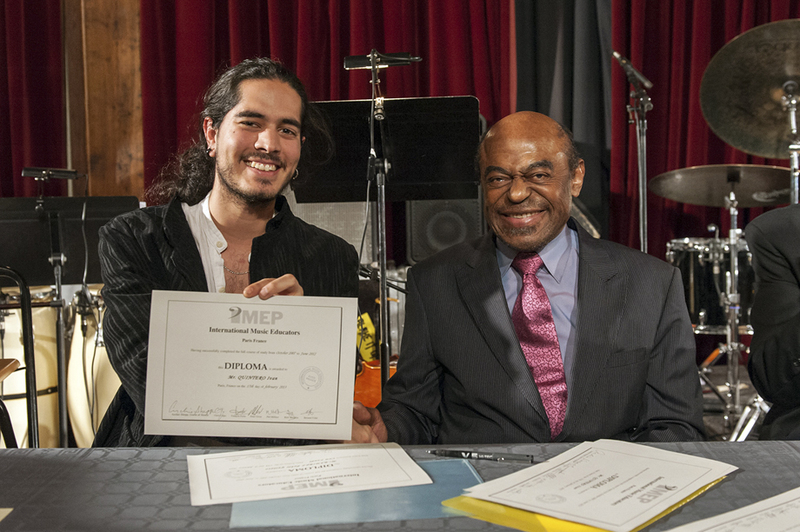 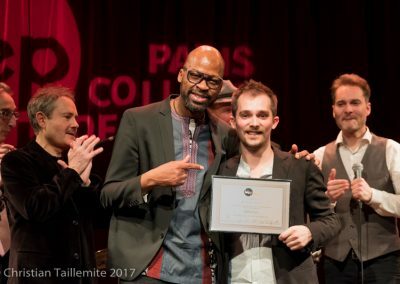 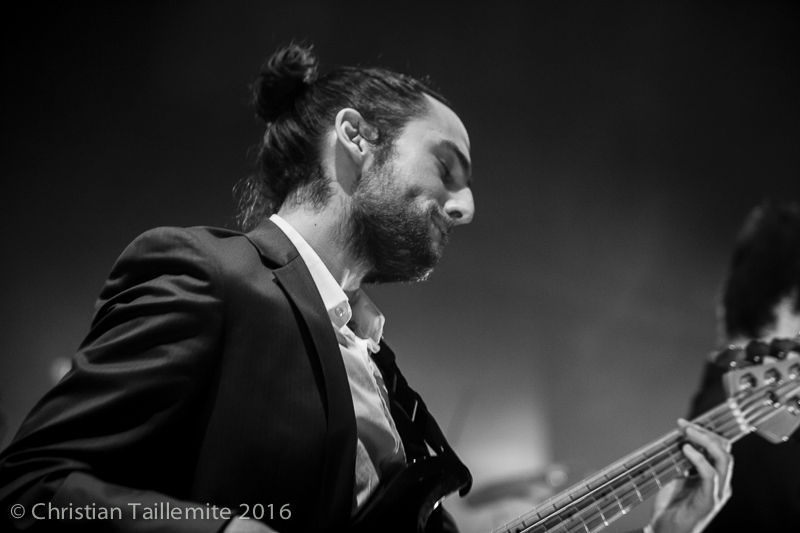 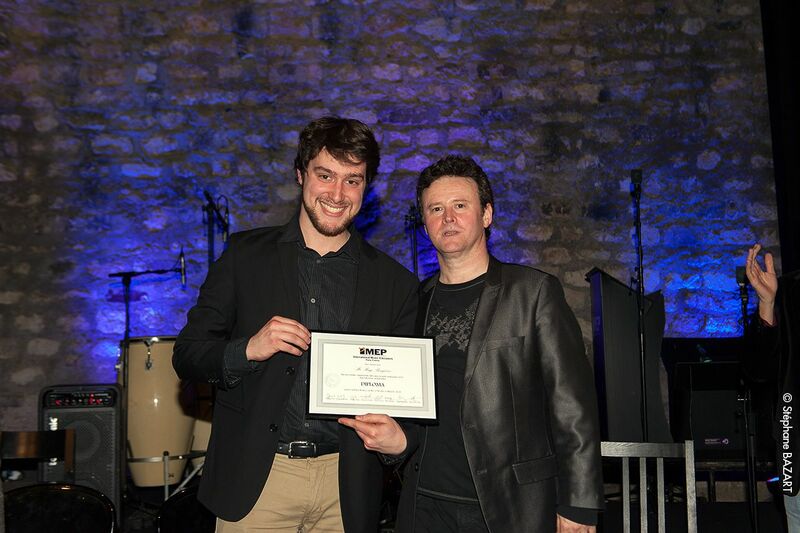 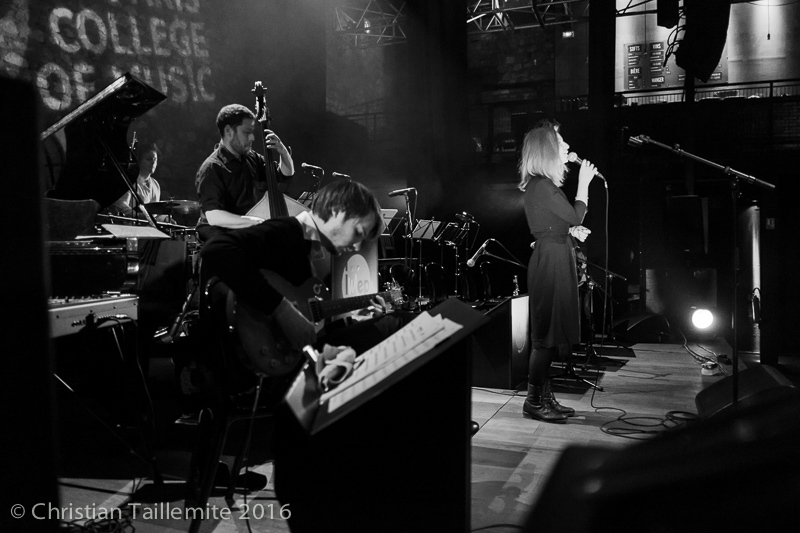 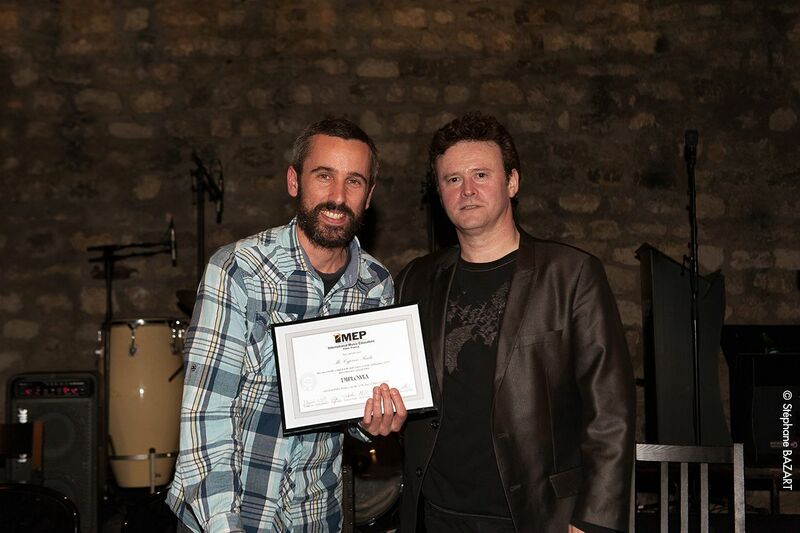 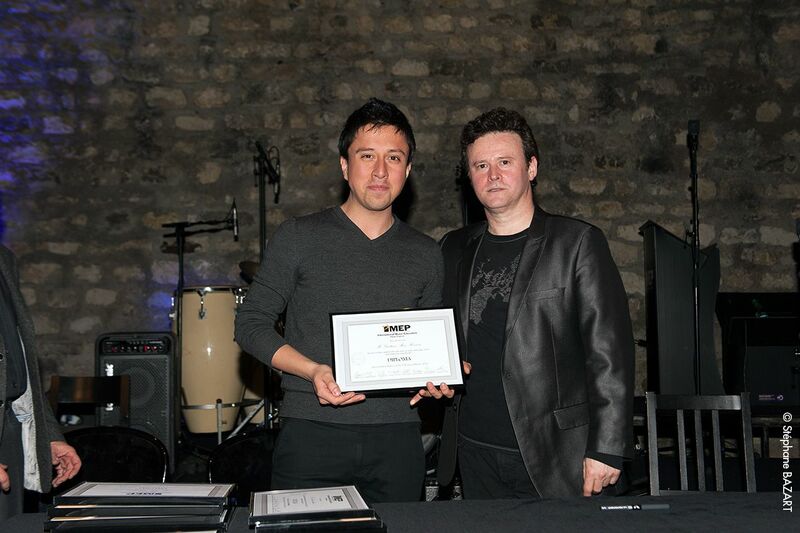 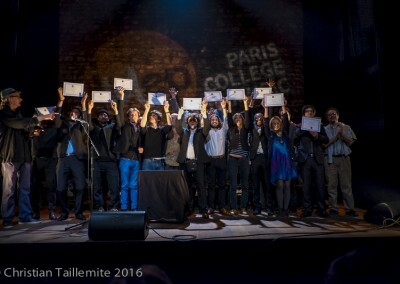 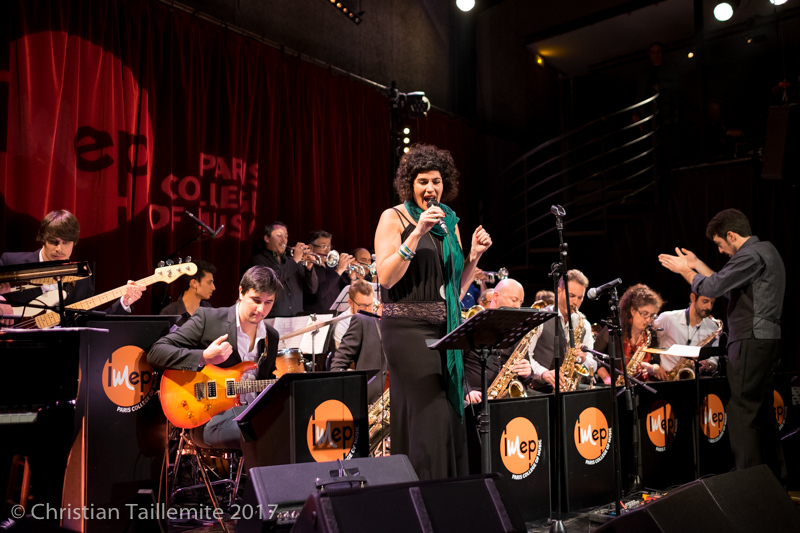 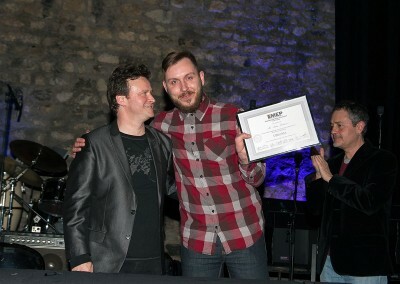 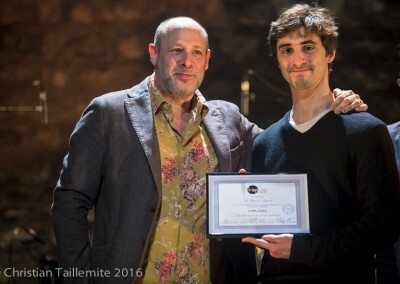 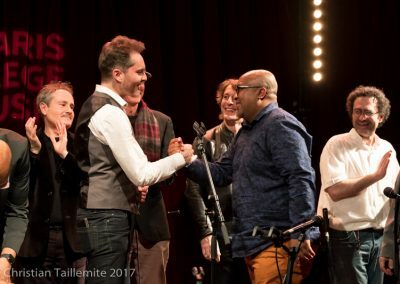 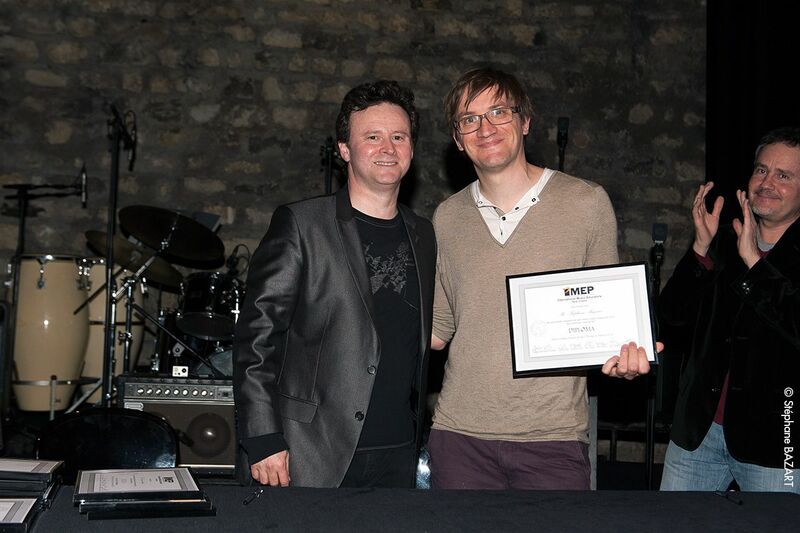 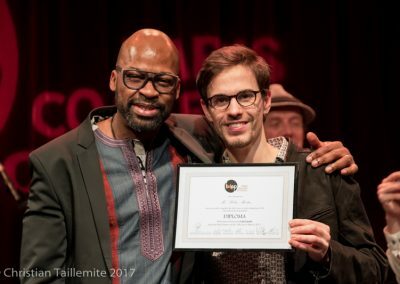 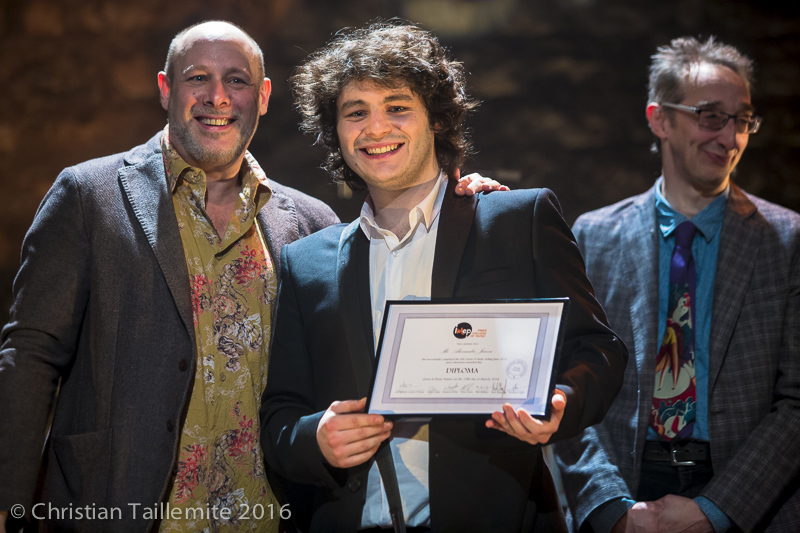 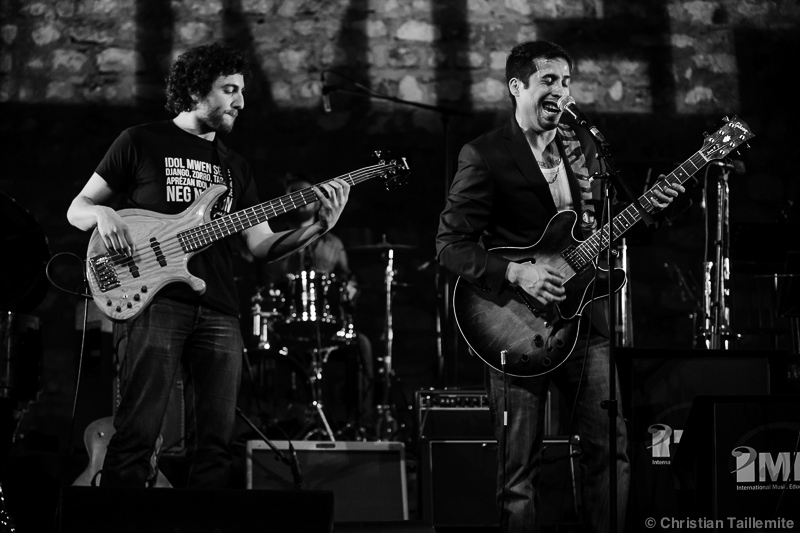 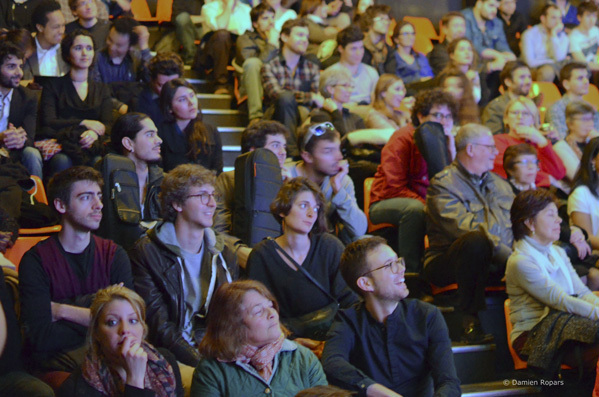 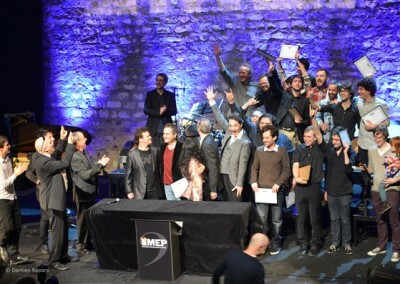 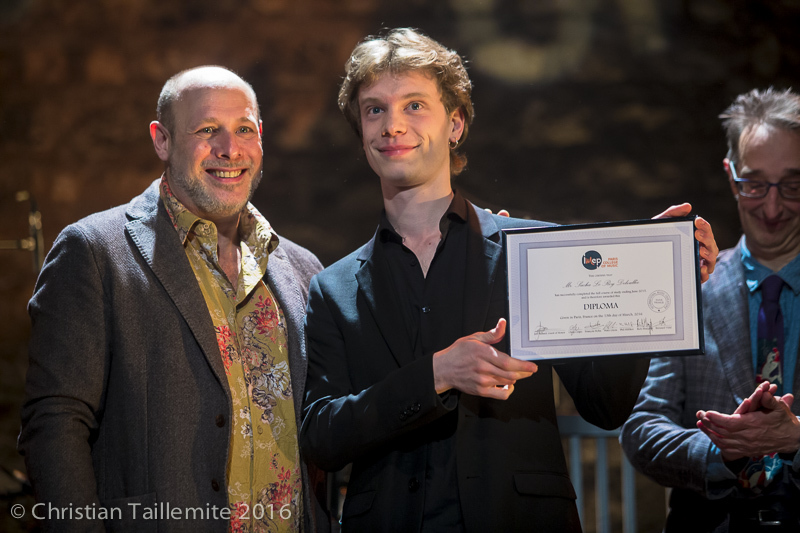 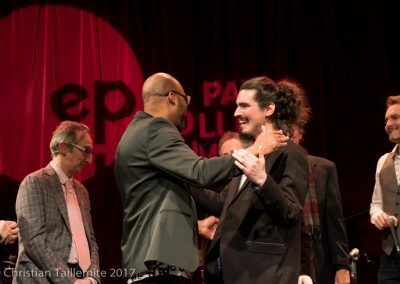 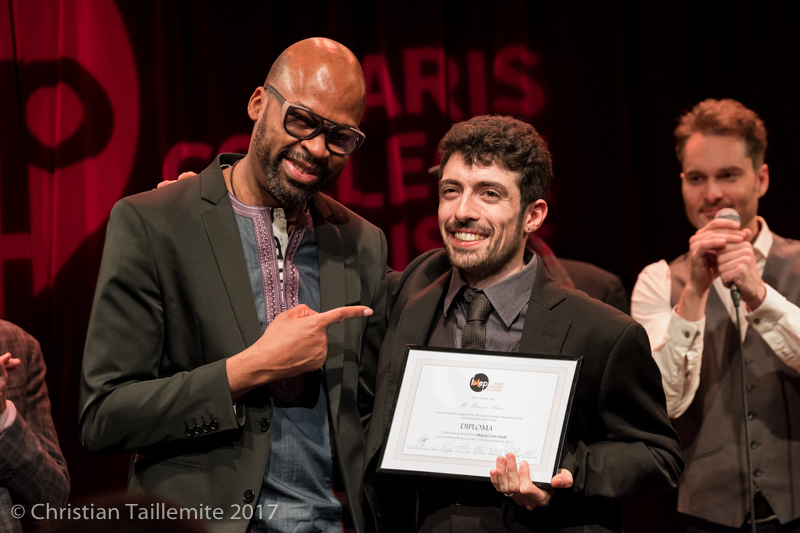 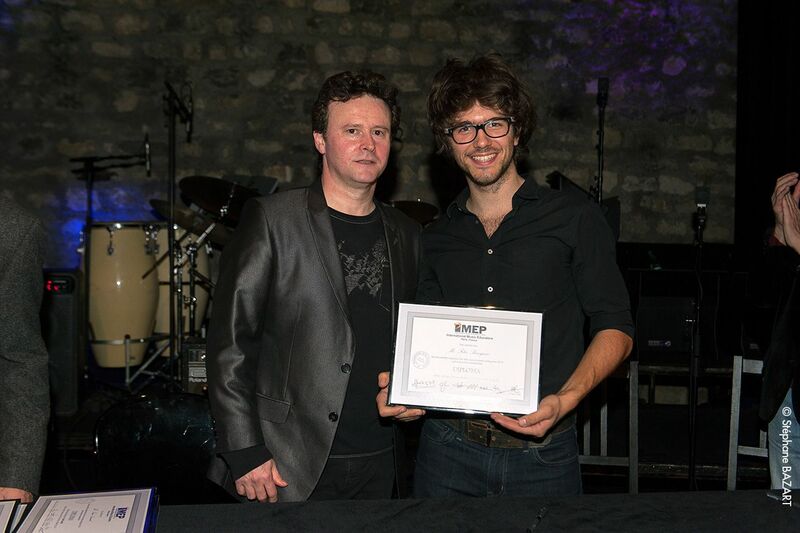 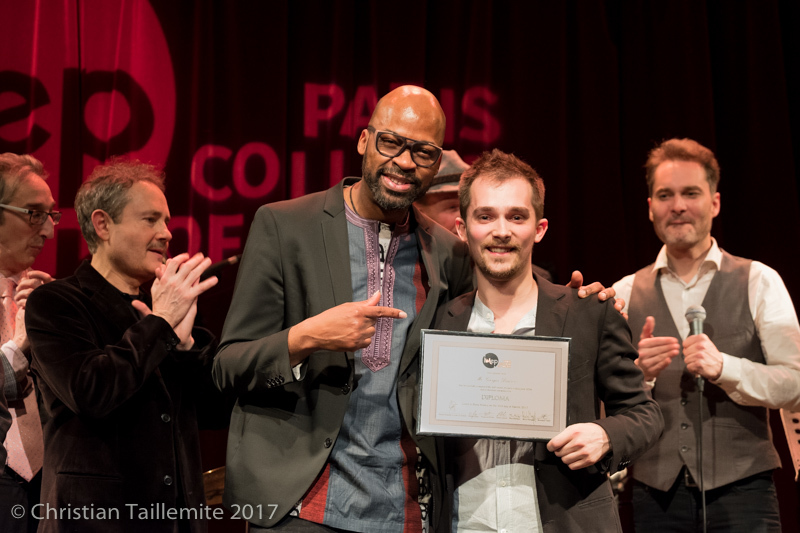 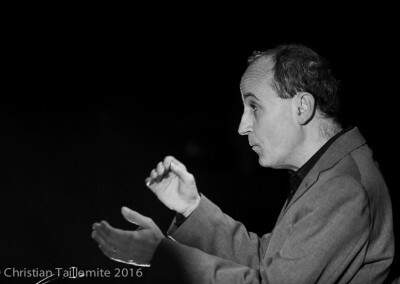 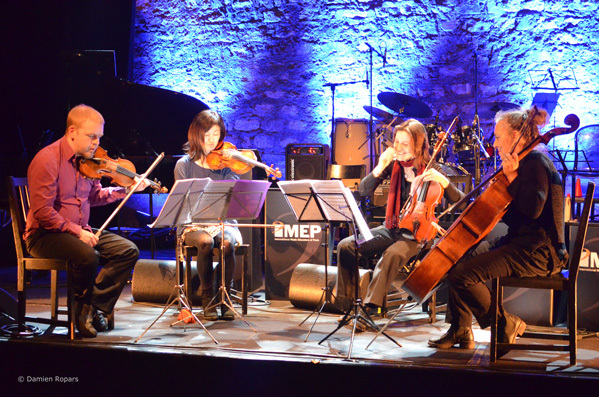 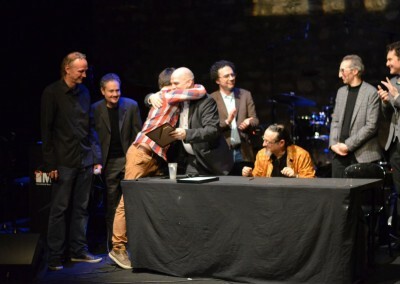 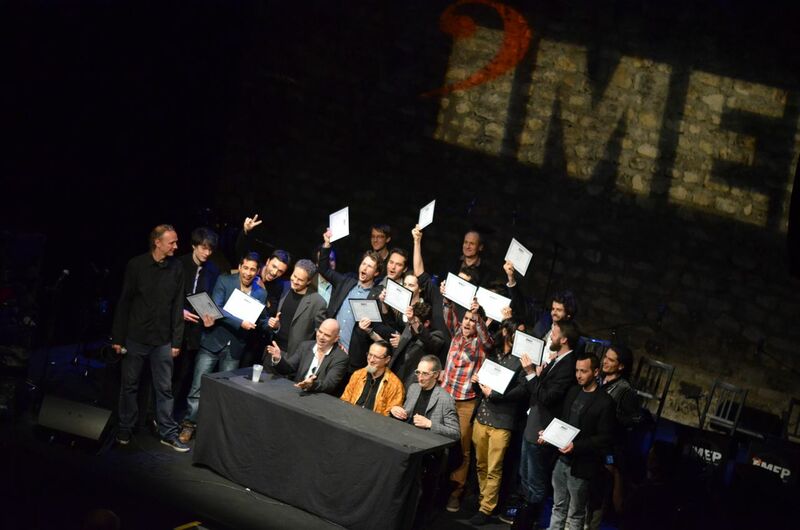 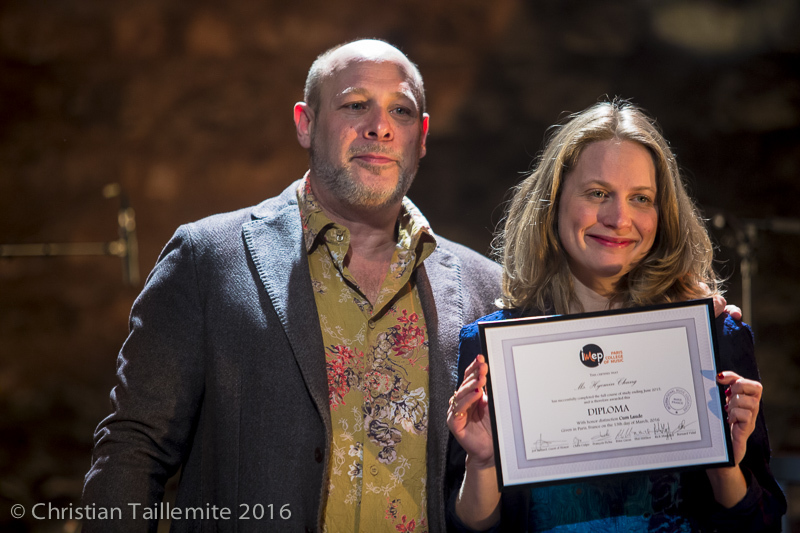 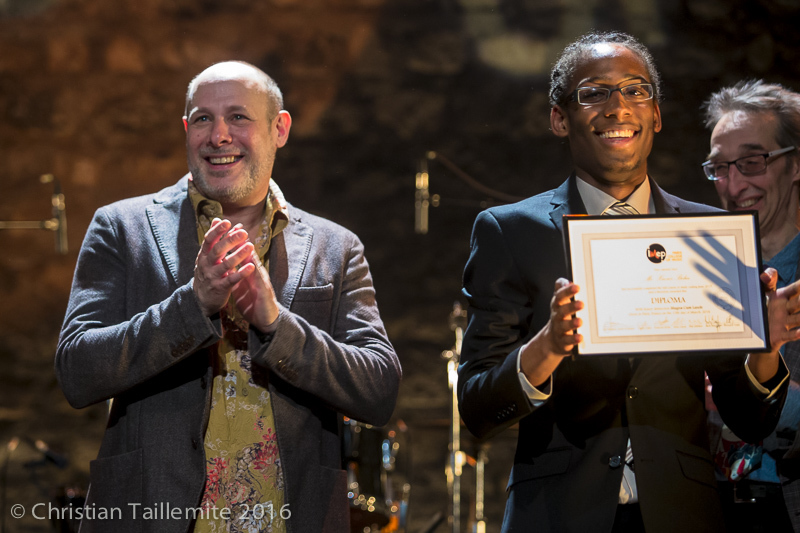 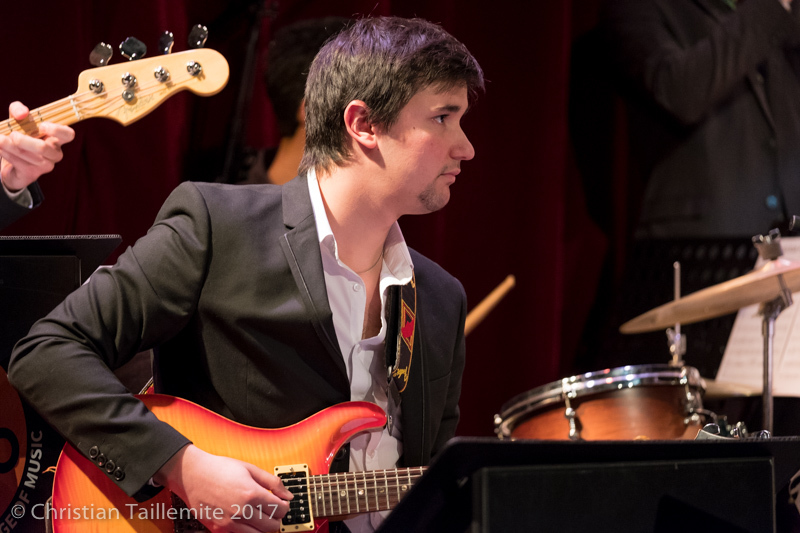 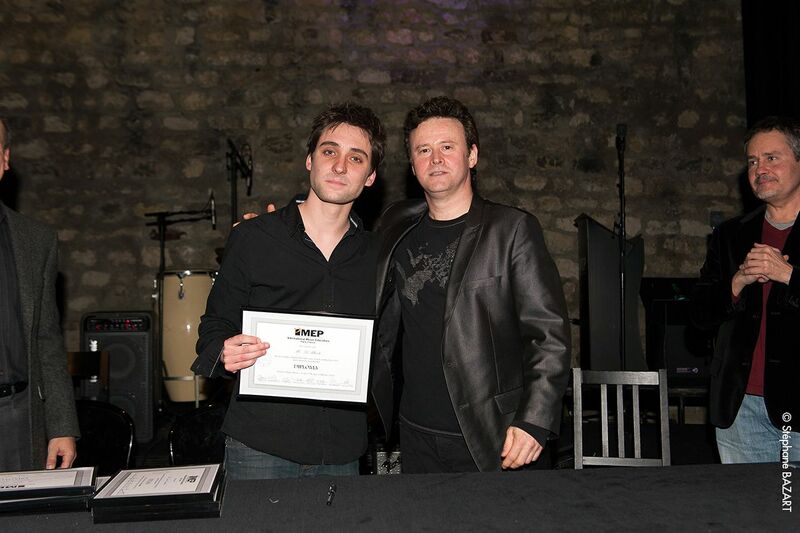 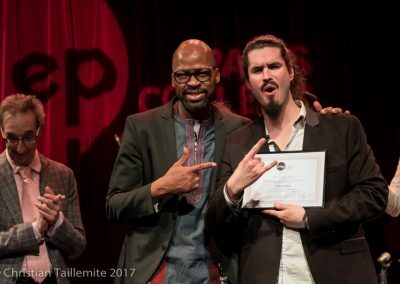 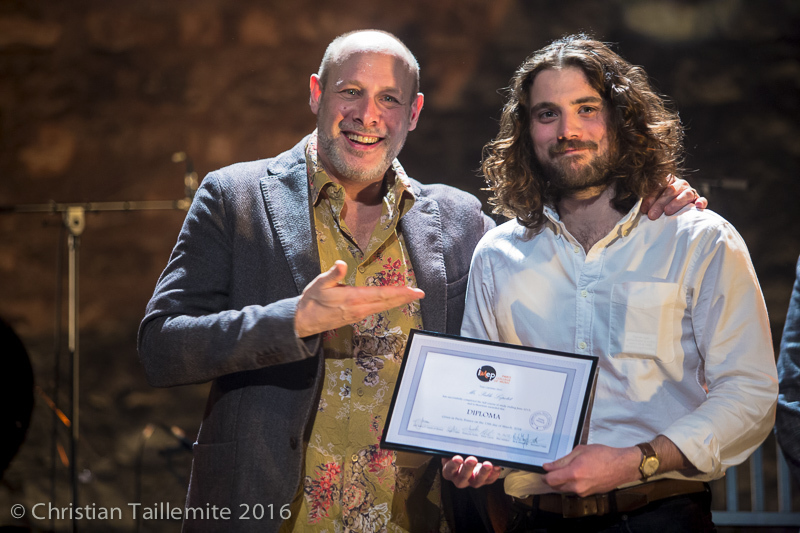 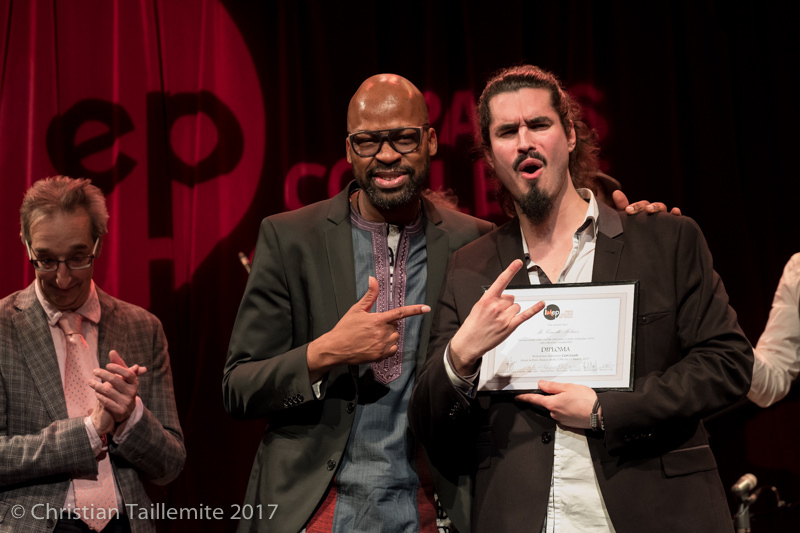 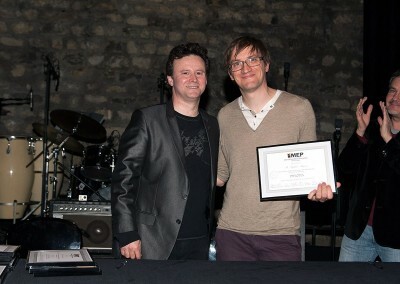 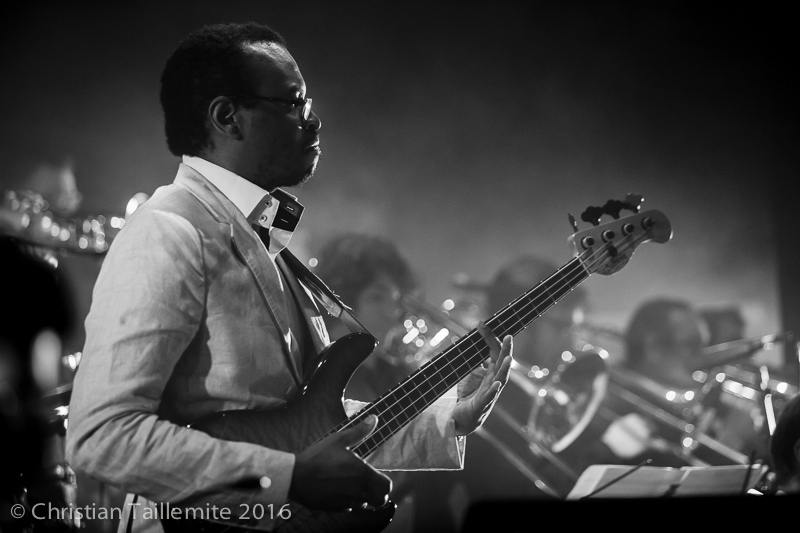 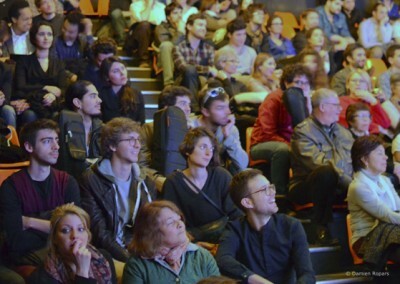 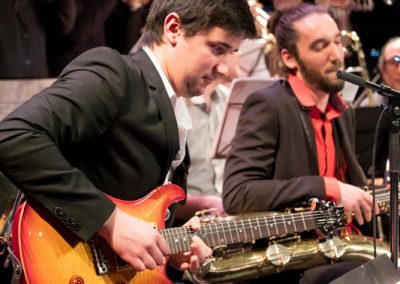 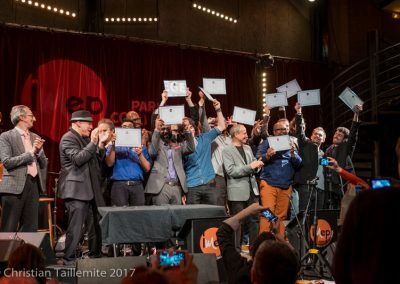 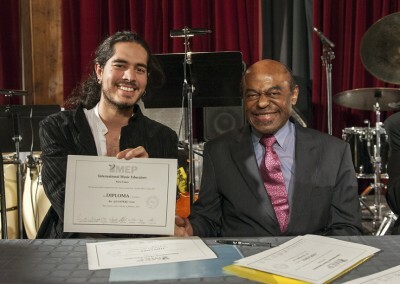 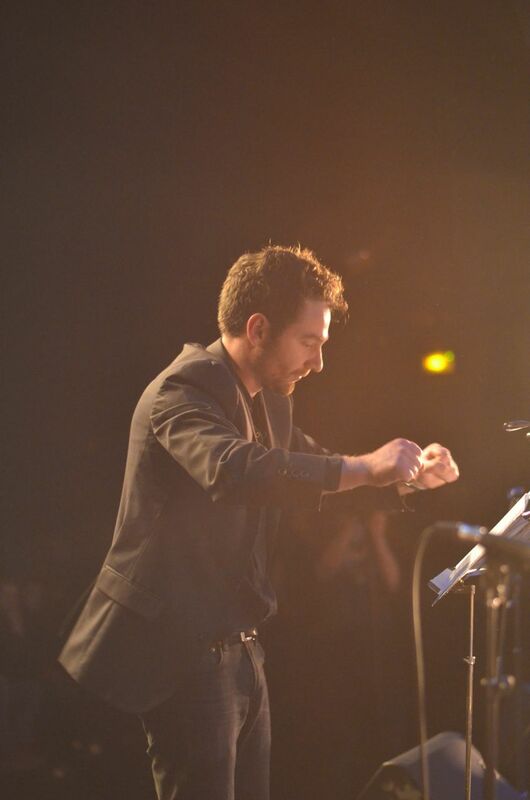 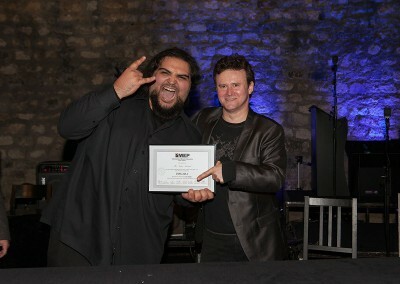 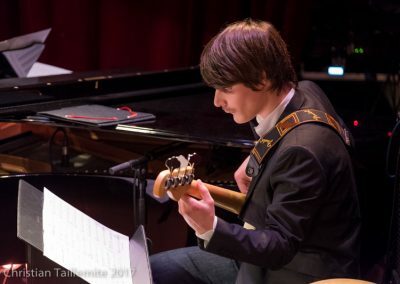 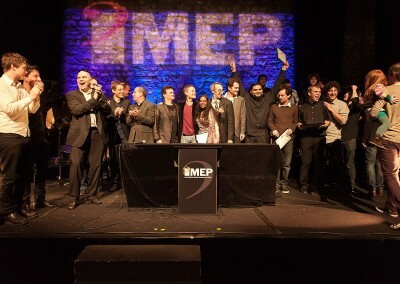 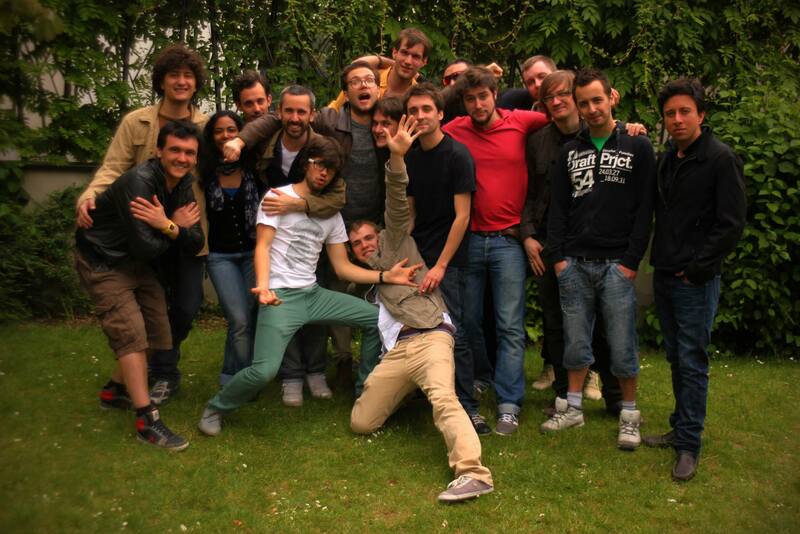 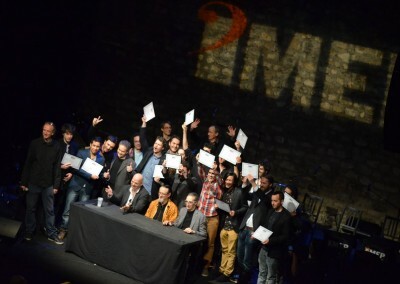 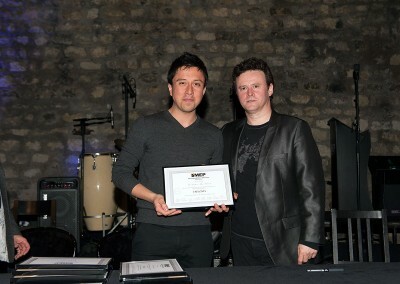 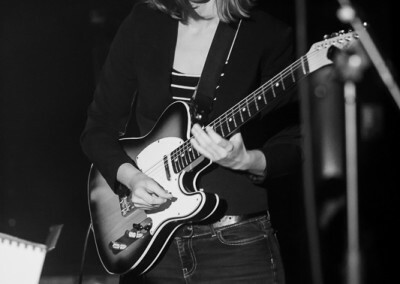 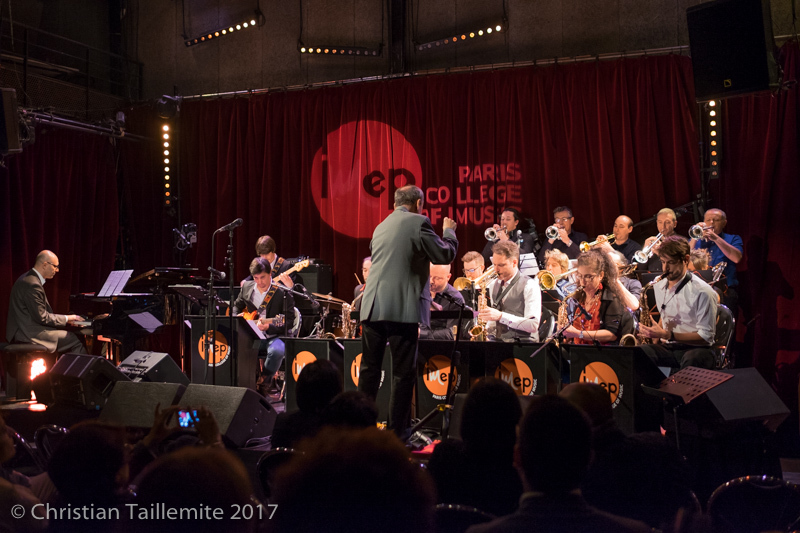 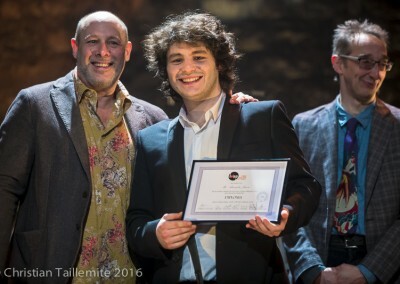 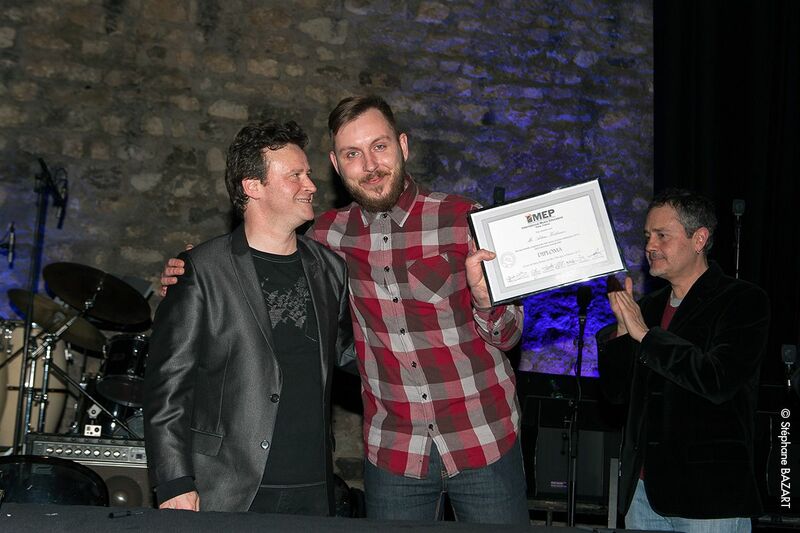 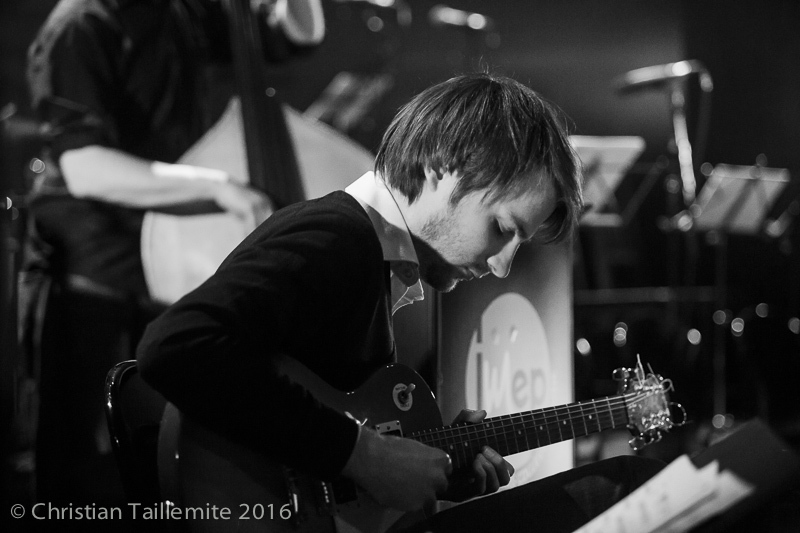 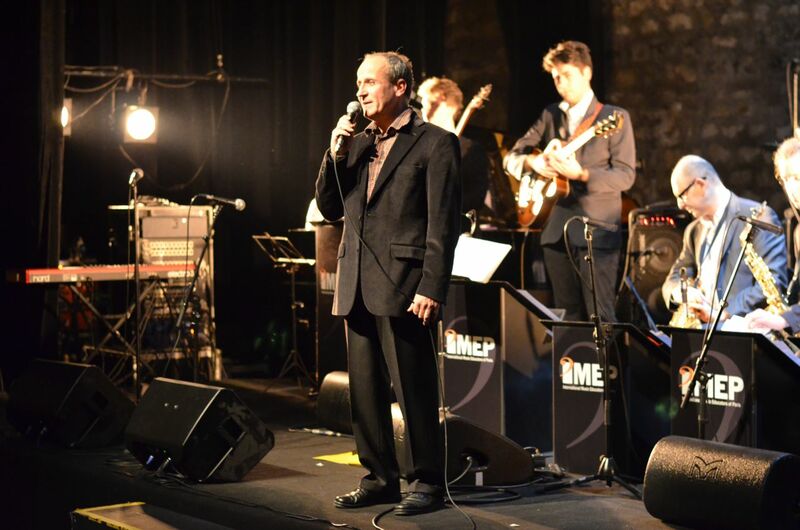 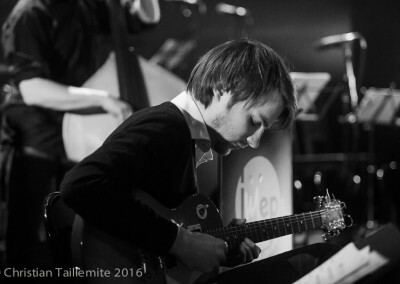 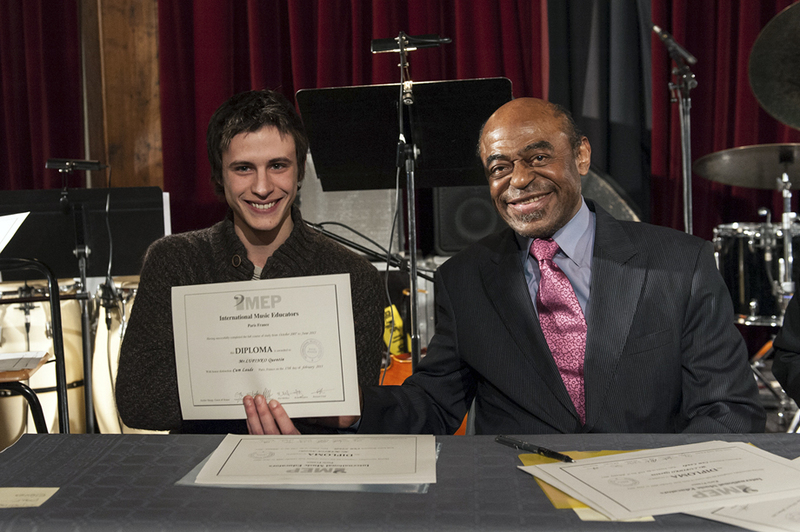 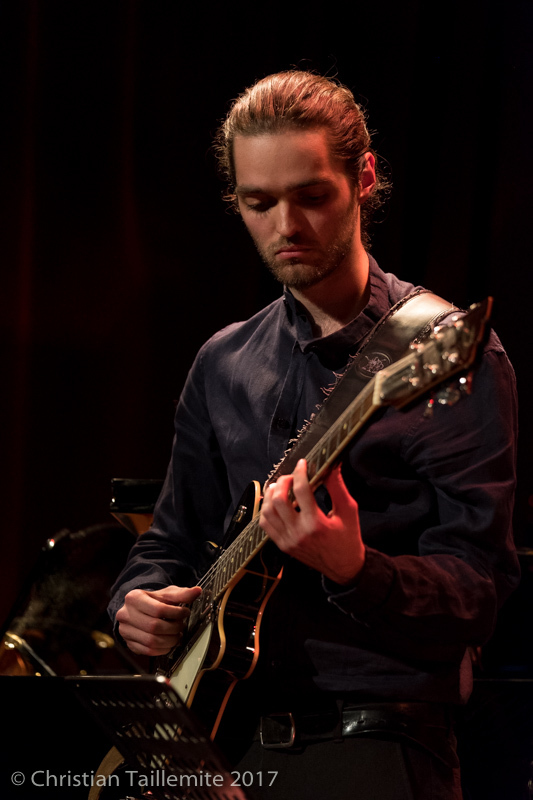 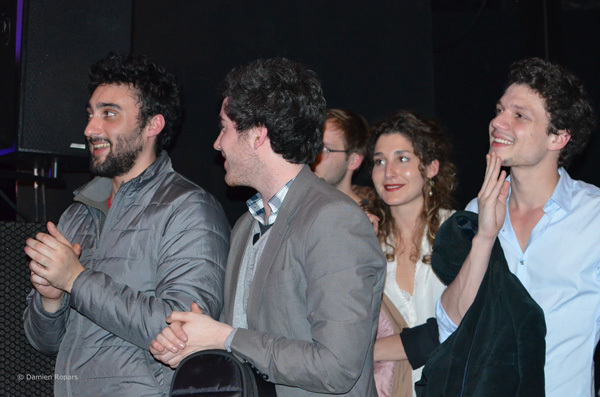 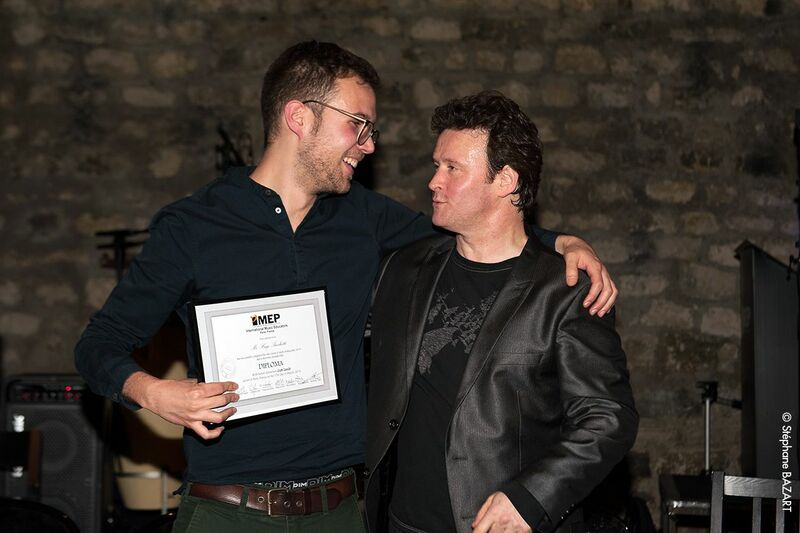 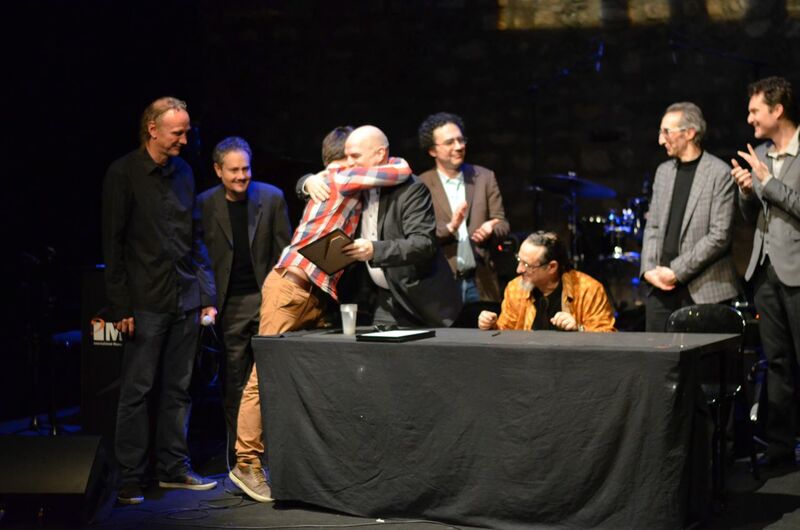 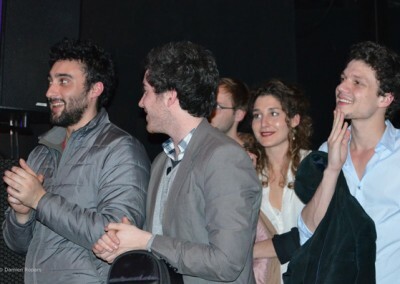 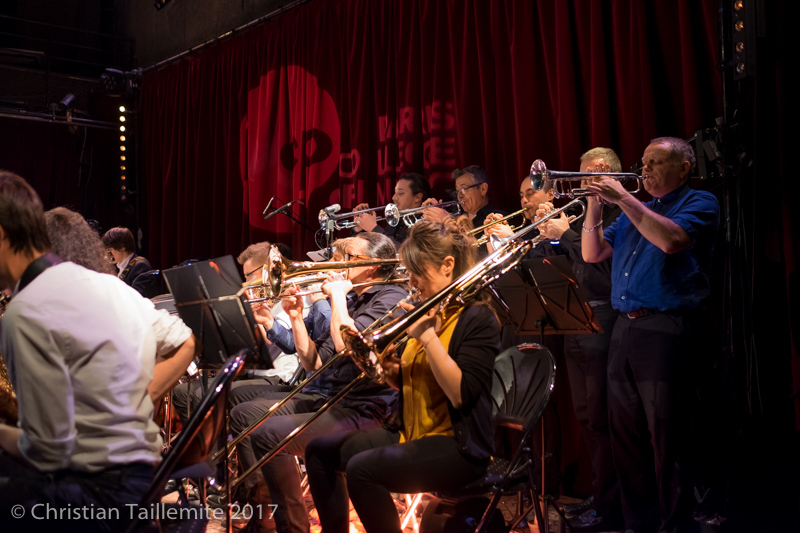 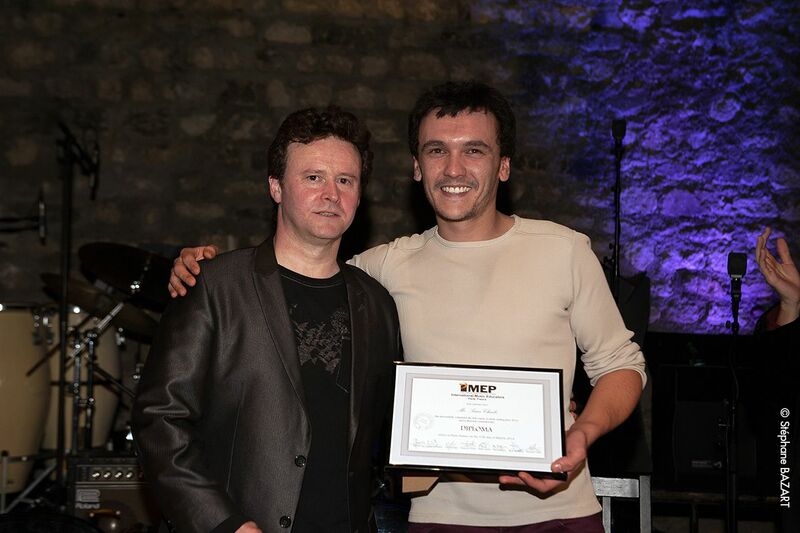 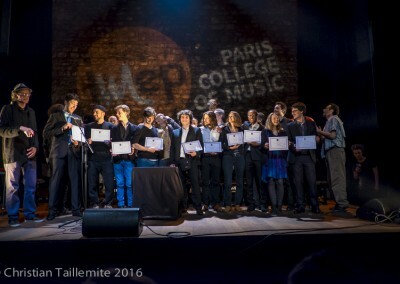 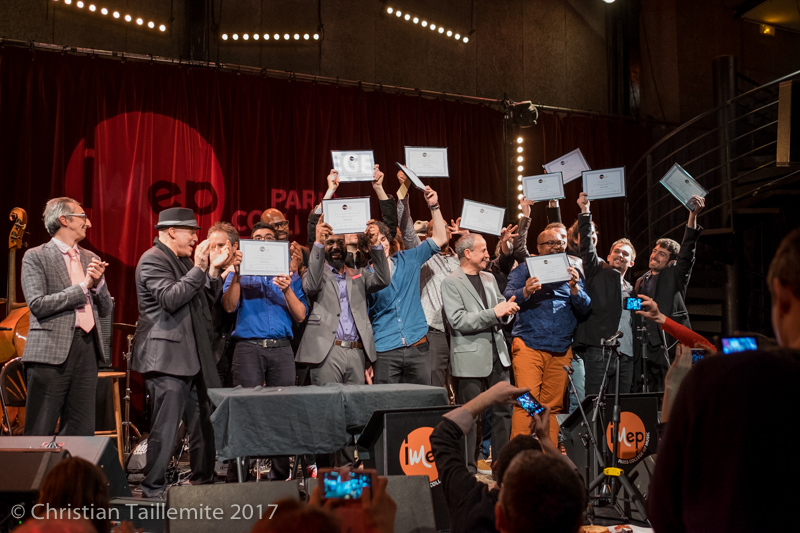 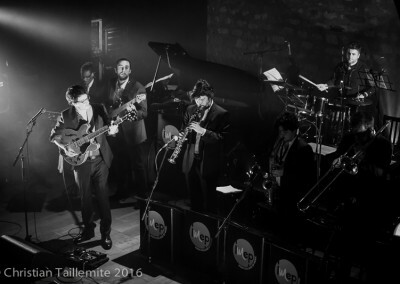 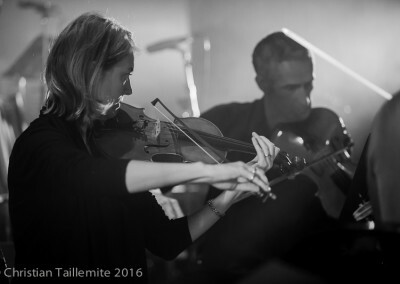 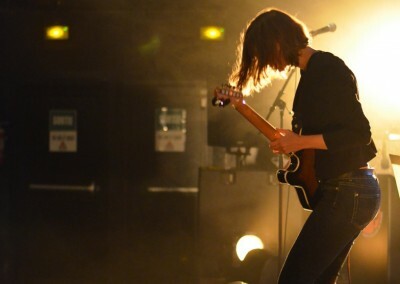 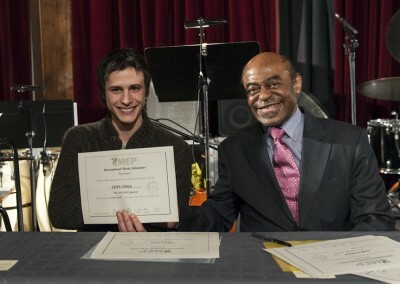 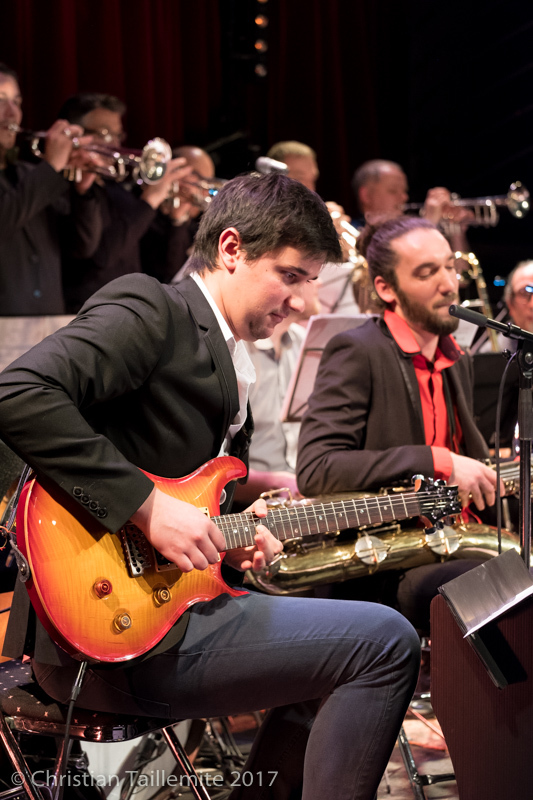 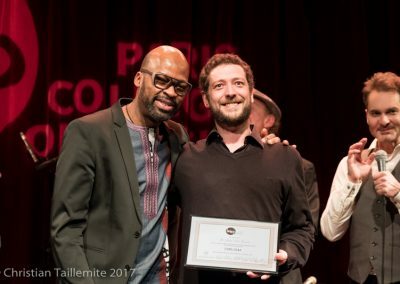 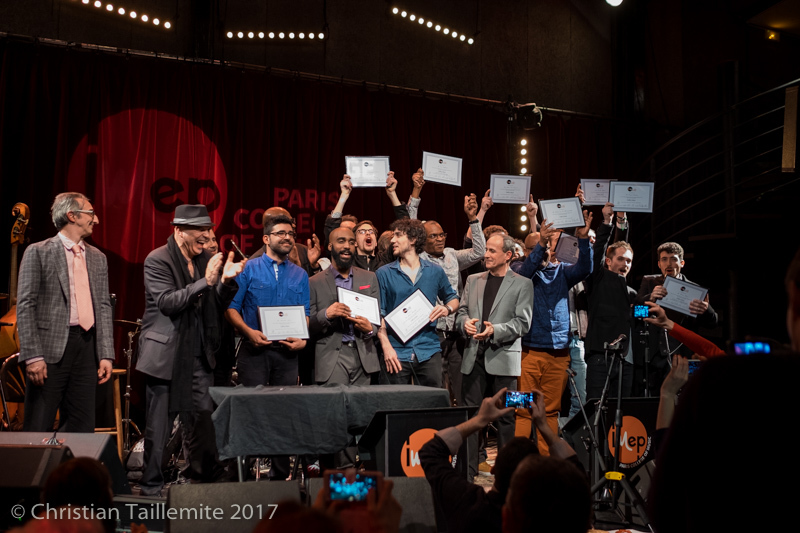 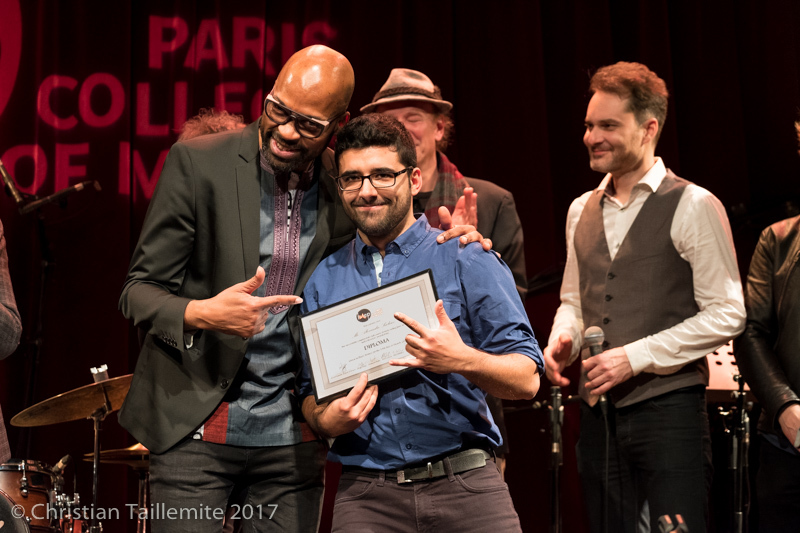 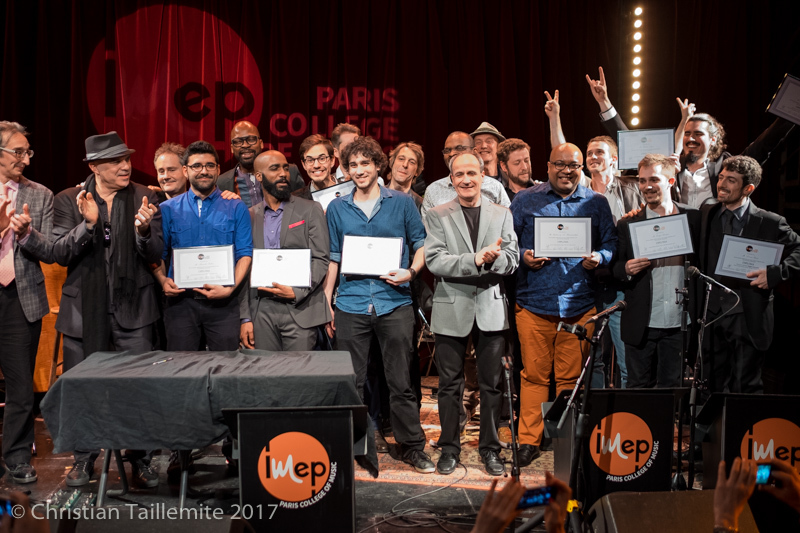 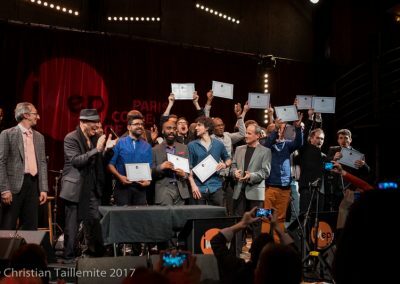 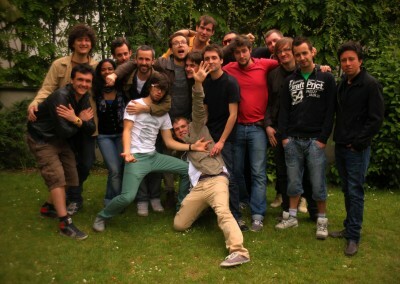 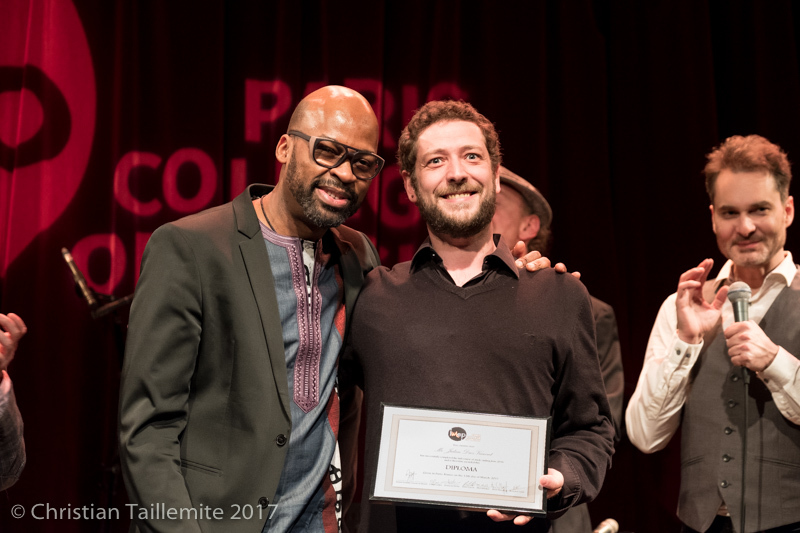 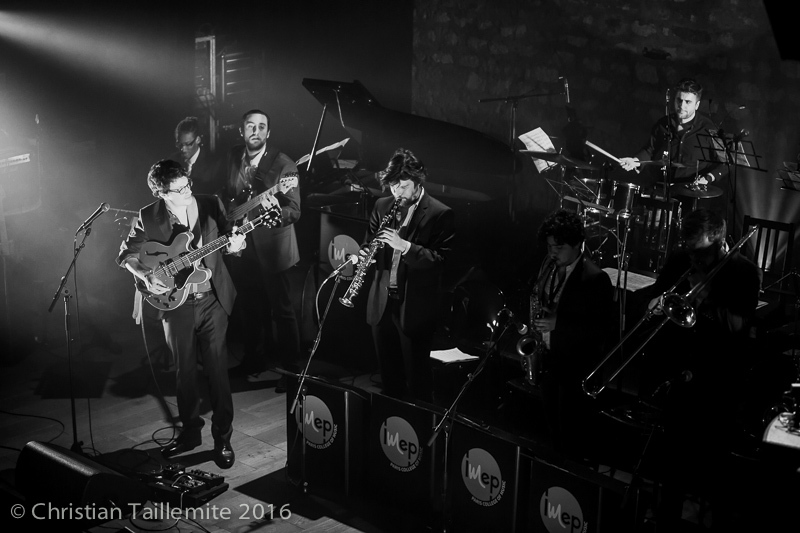 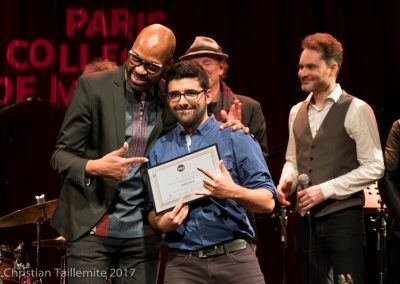 We have been very pleased this year to have guitarist-composer Lionel Loueké, as guest of honor at the graduation ceremony of our 2016 promotion which took place at the Studio de l’Ermitage, Paris, France. 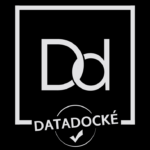 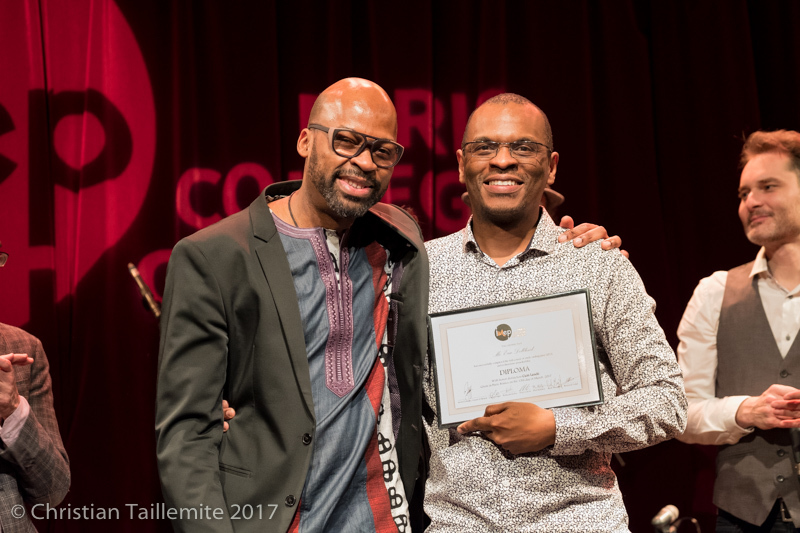 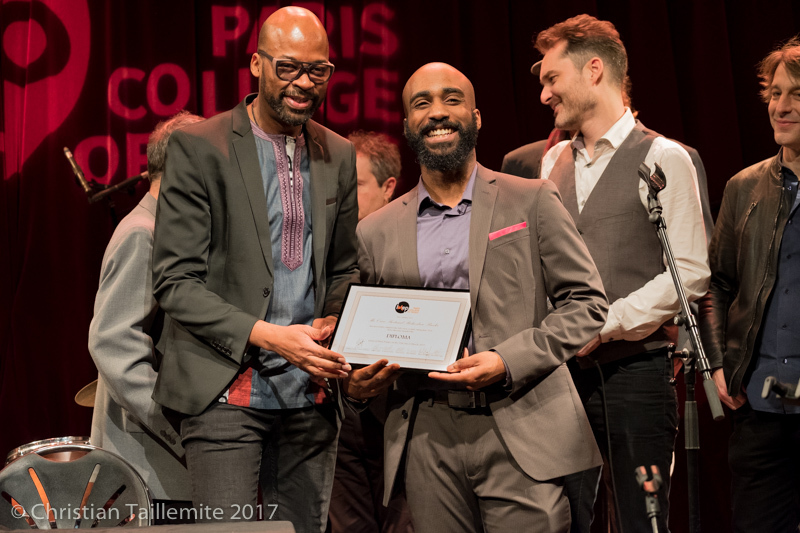 After studying in Abidjan, Ivory Coast, Lionel Loueke studied in Paris with Peter Giron and François Fichu, part of our faculty. 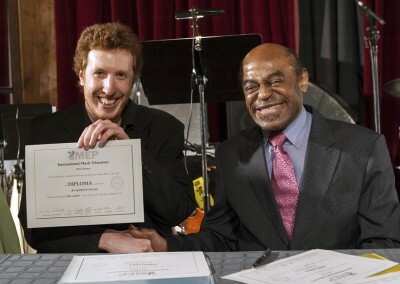 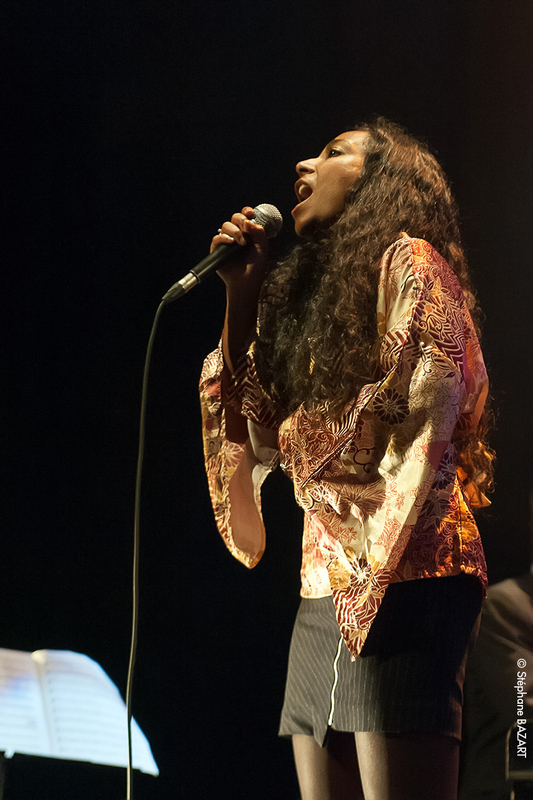 Then Lionel completed his studies in 2000 at the Berklee College of Music in Boston. 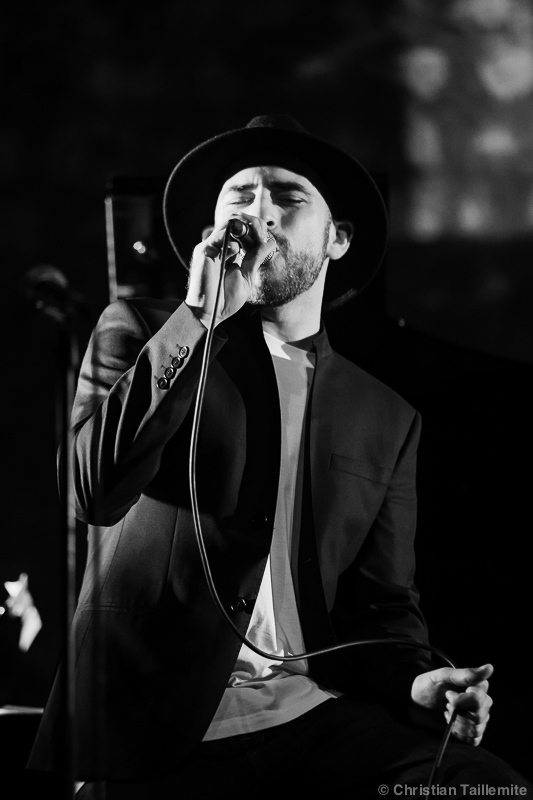 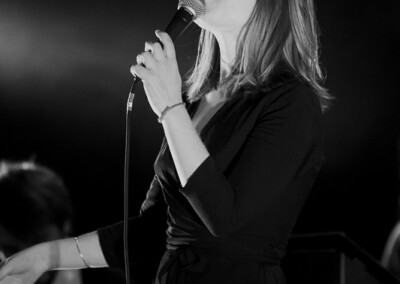 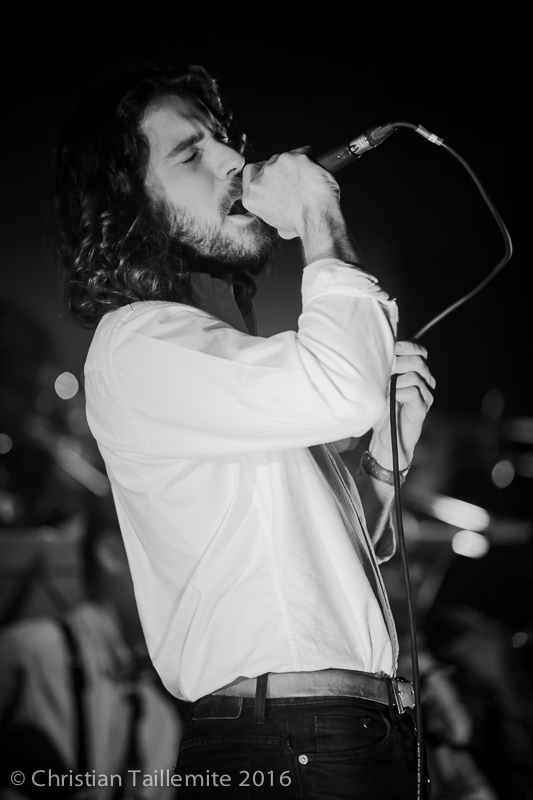 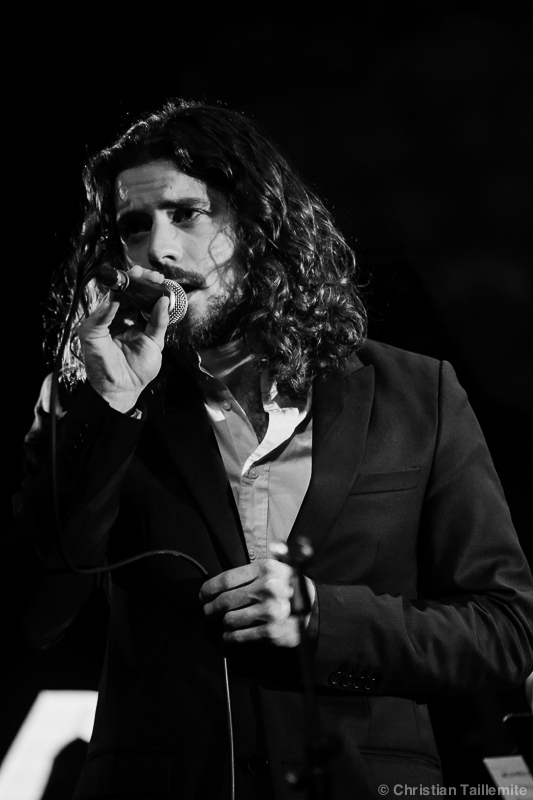 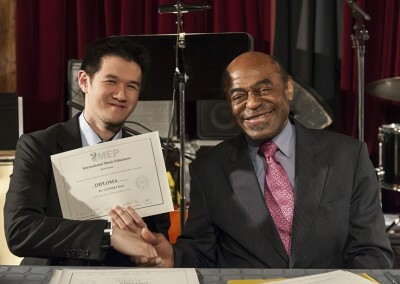 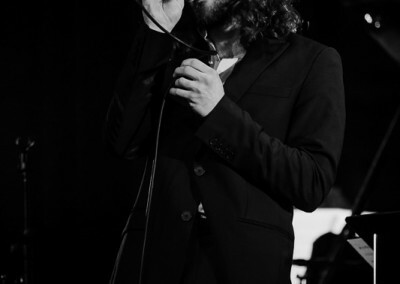 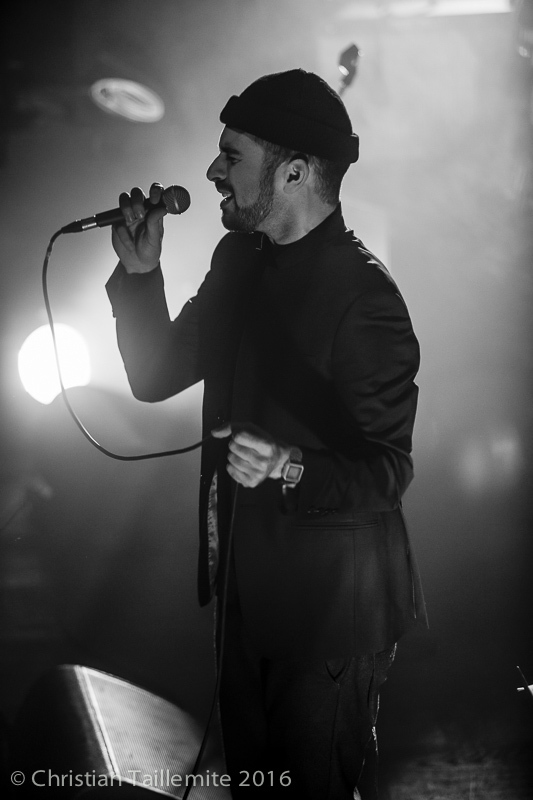 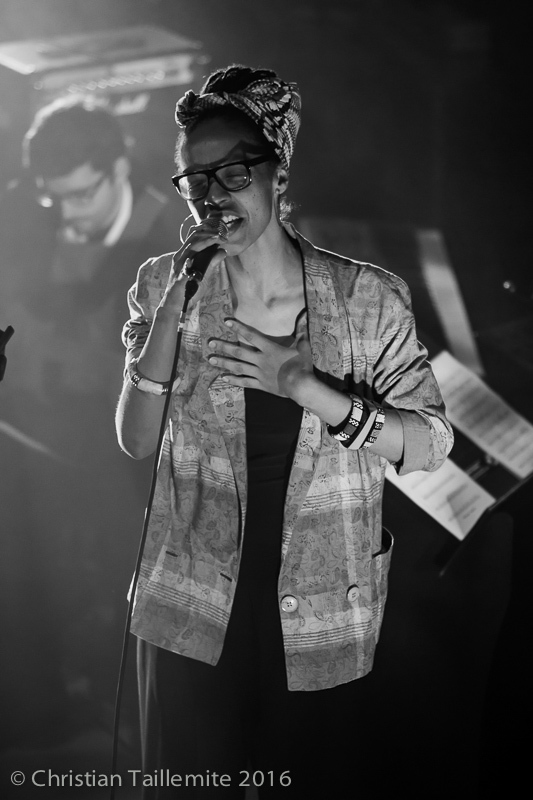 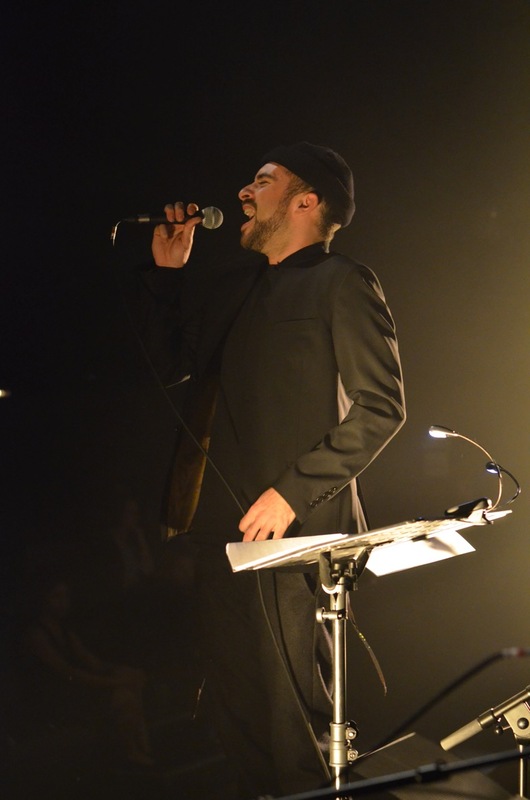 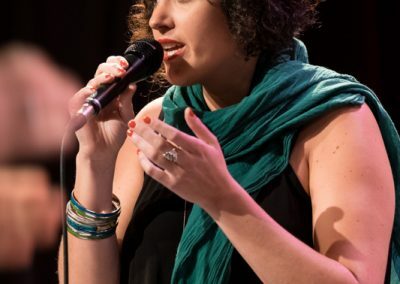 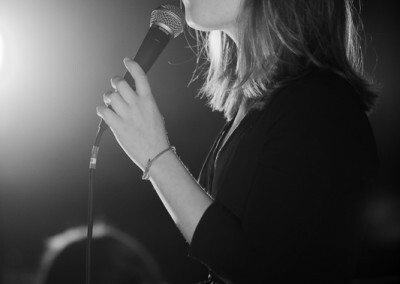 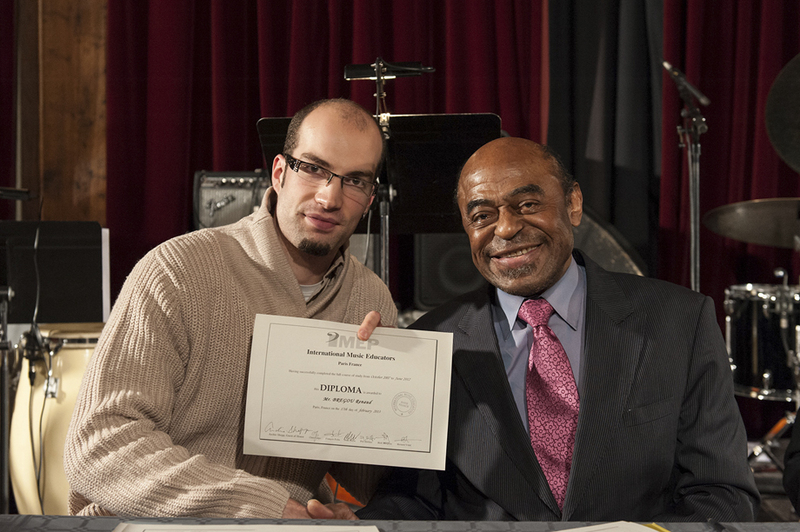 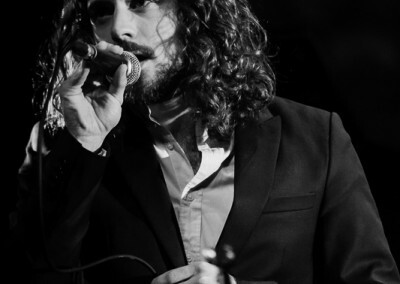 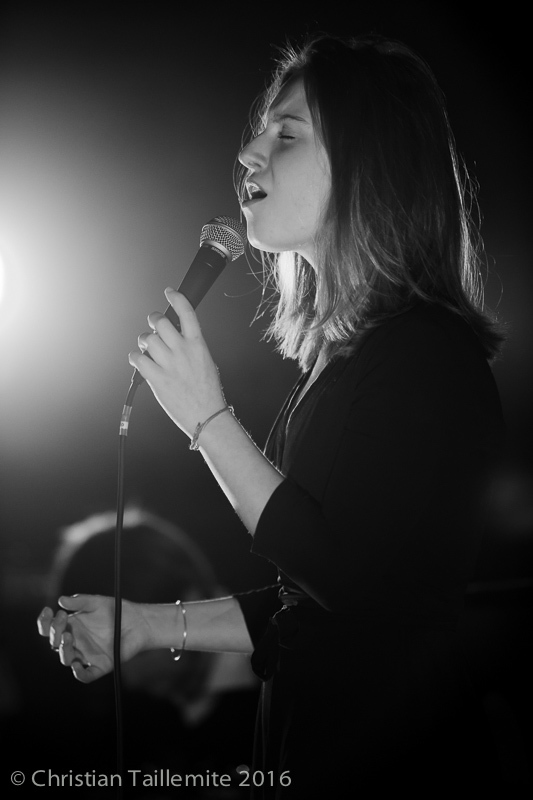 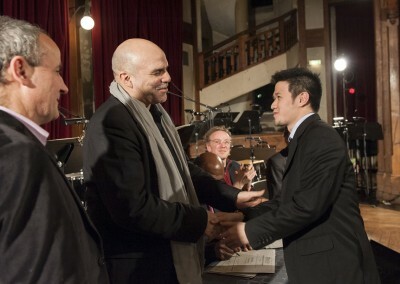 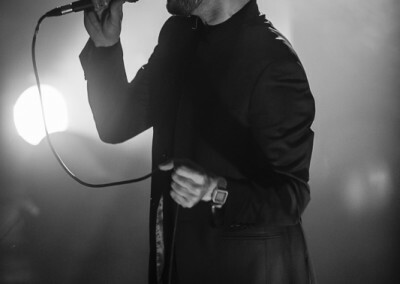 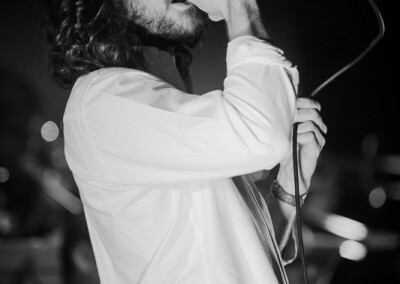 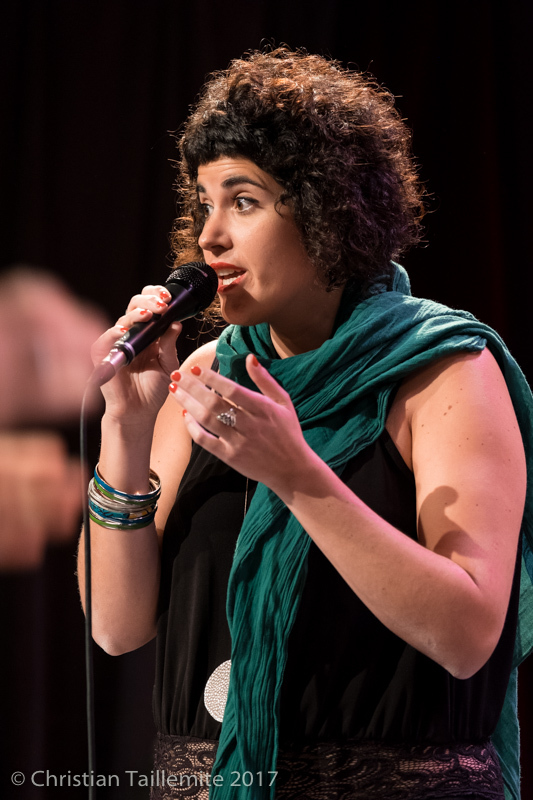 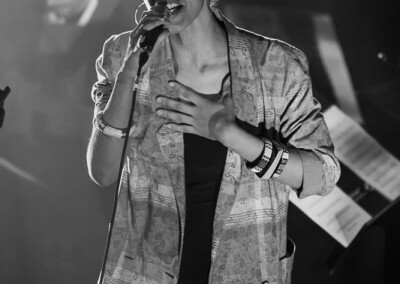 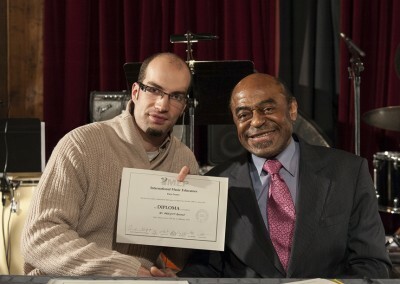 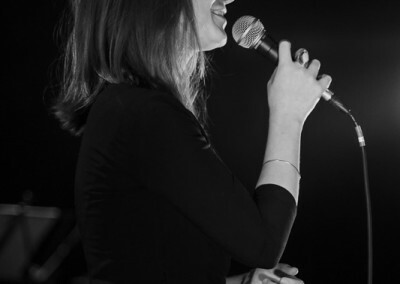 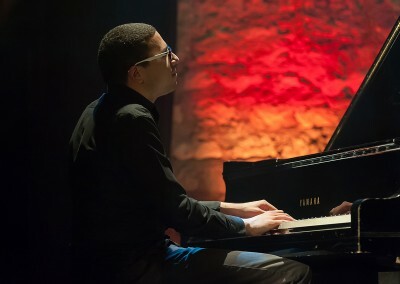 He was then admitted to the prestigious Thelonious Monk Institute of Jazz, and graduating in 2003. 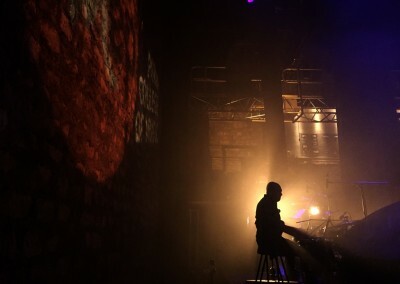 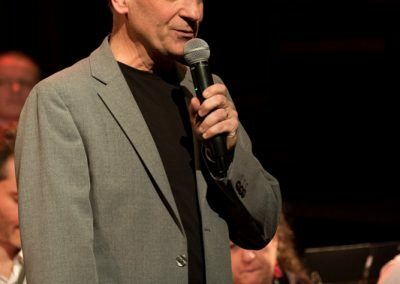 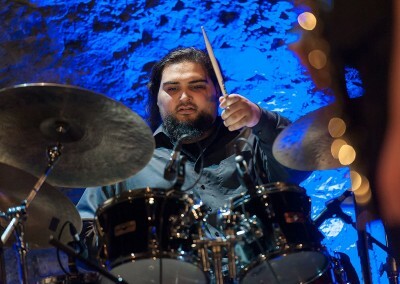 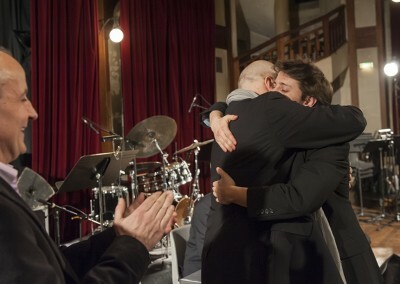 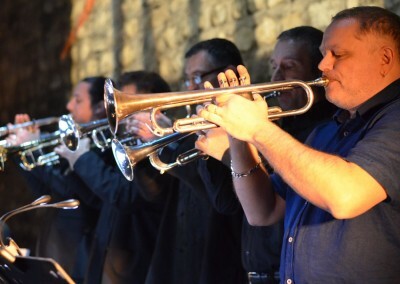 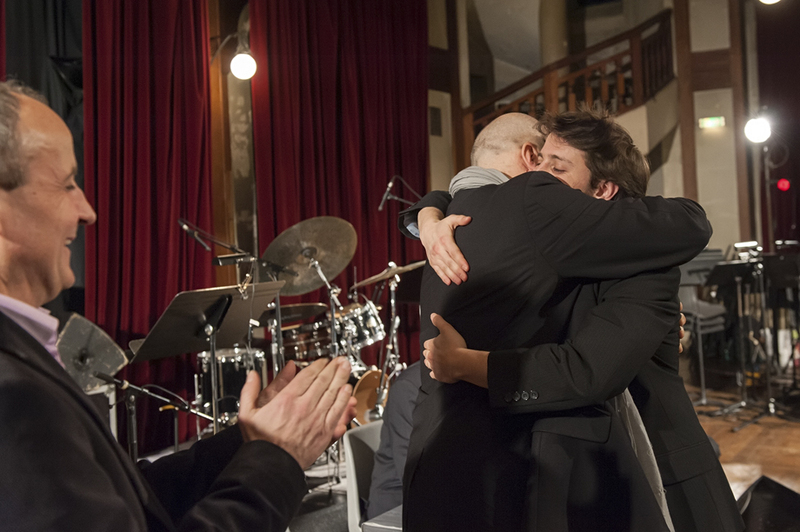 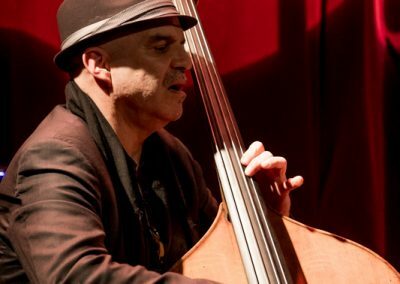 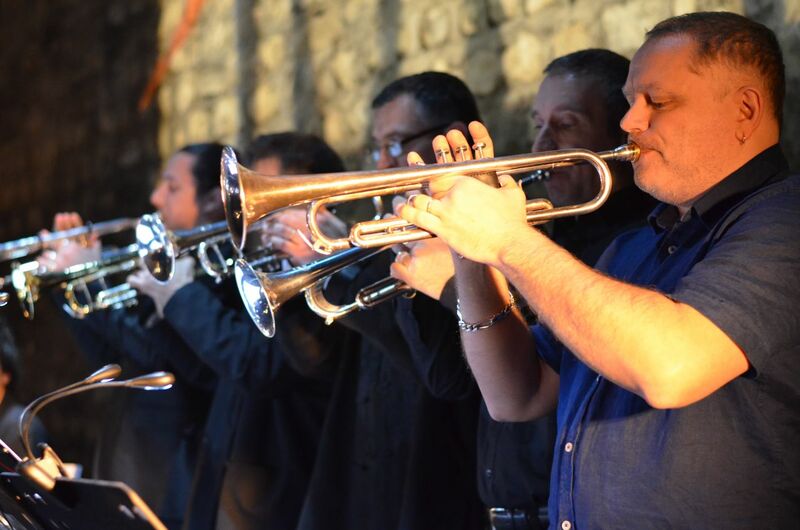 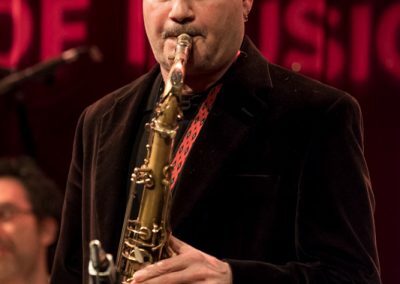 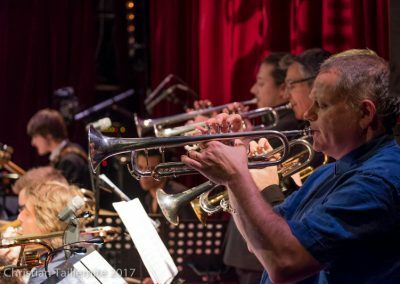 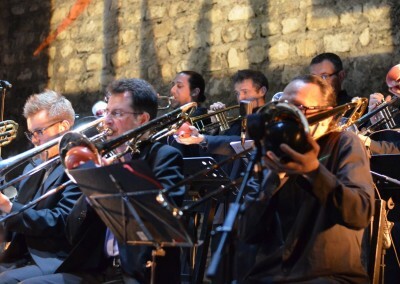 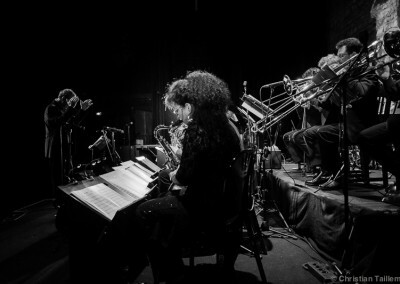 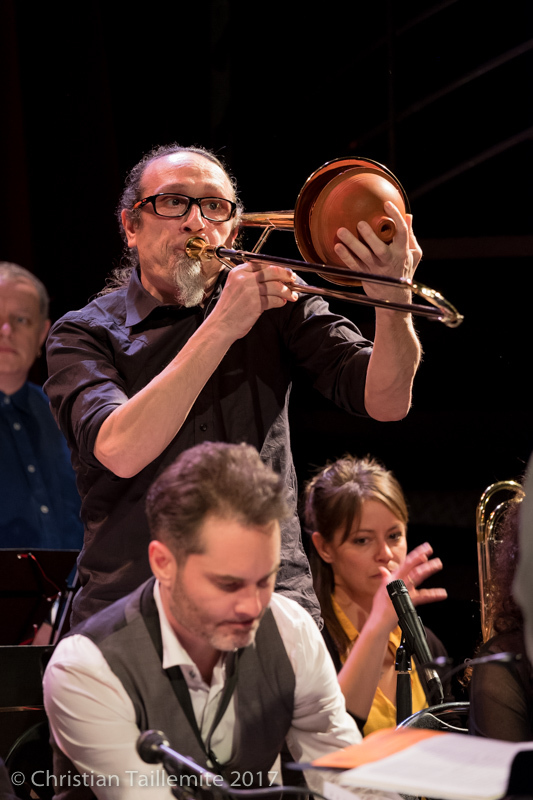 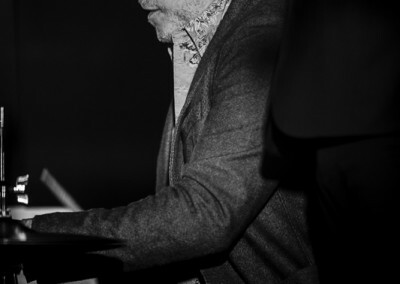 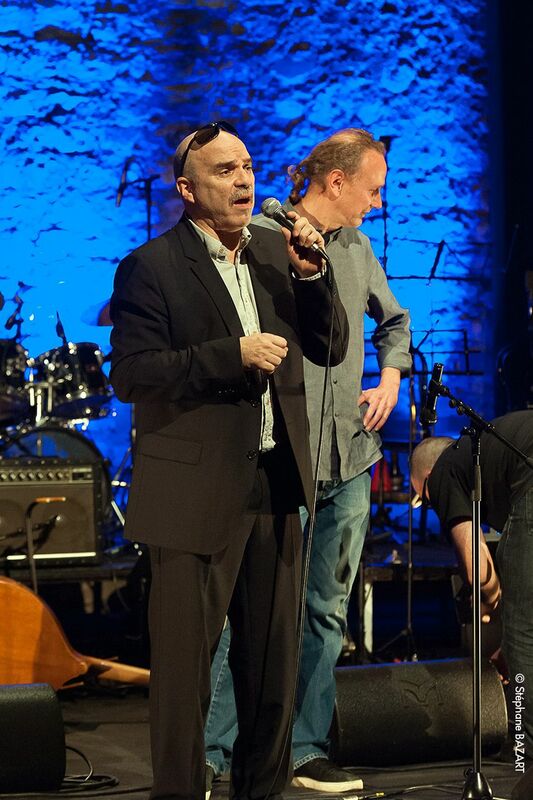 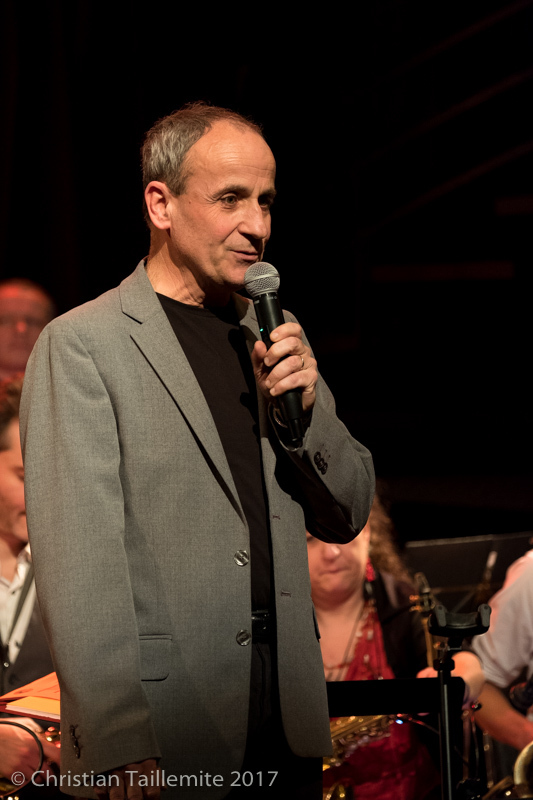 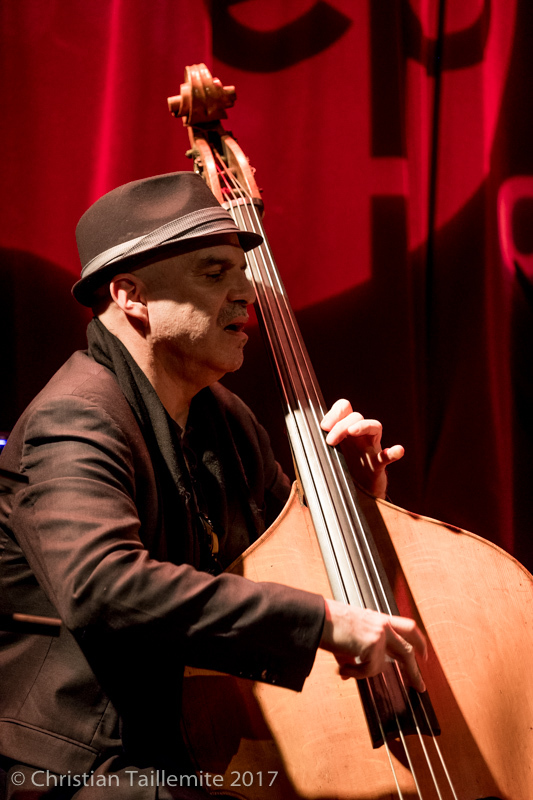 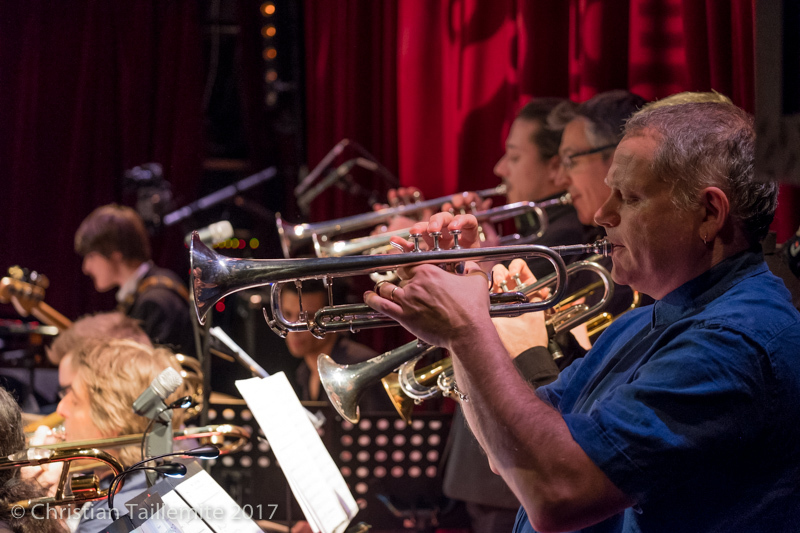 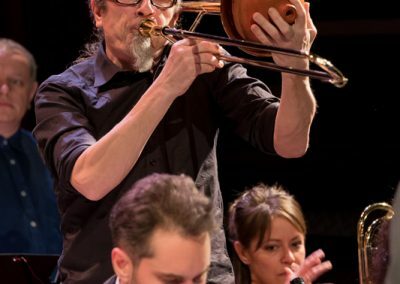 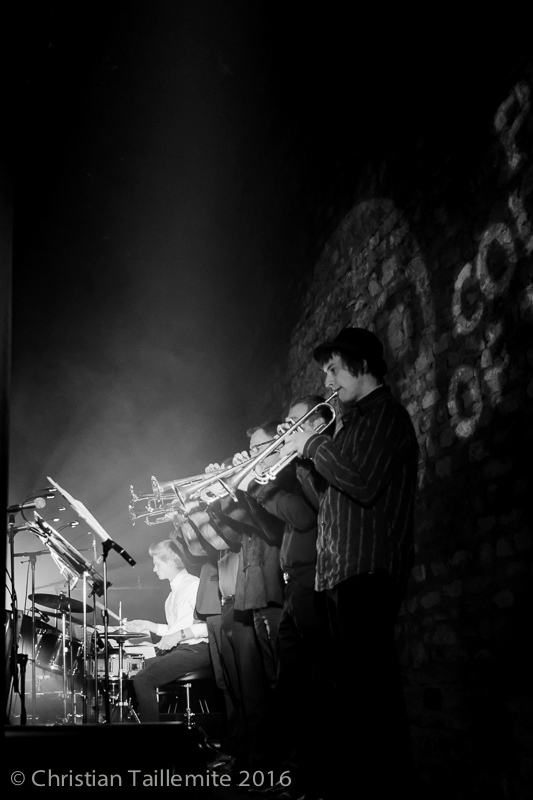 He has since played regularly with Herbie Hancock and Chick Corea, Terence Blanchard, Charlie Haden, Jeff Ballard, Dave Holland, Chris Potter, Eric Harland and many others. 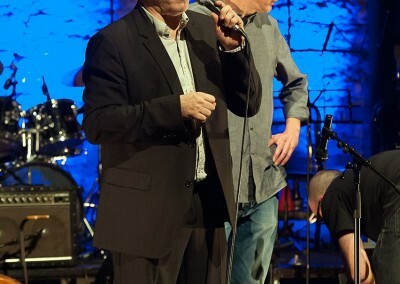 Lionel also released four albums under his name at Blue Note, and participated in several others as a sideman. 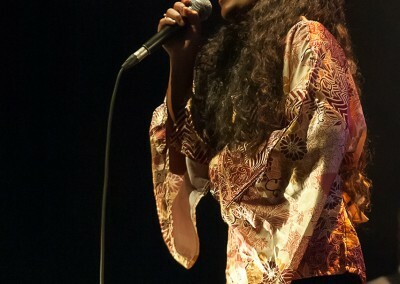 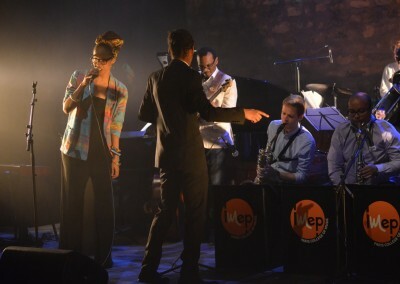 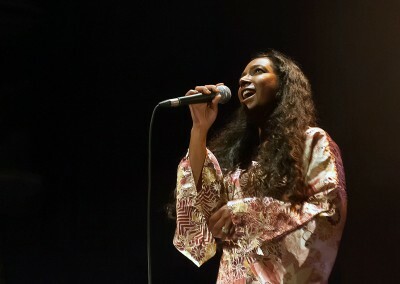 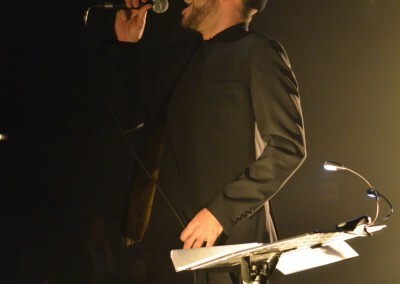 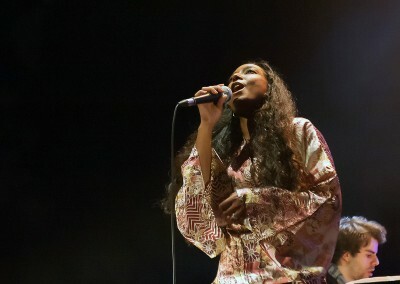 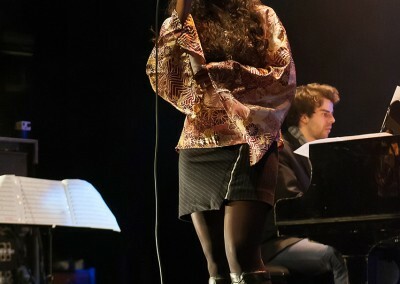 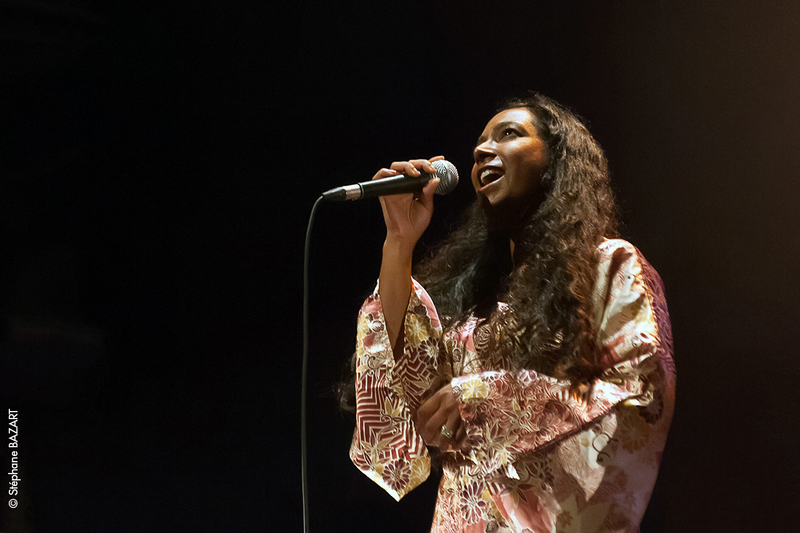 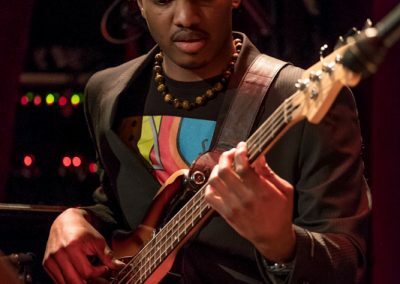 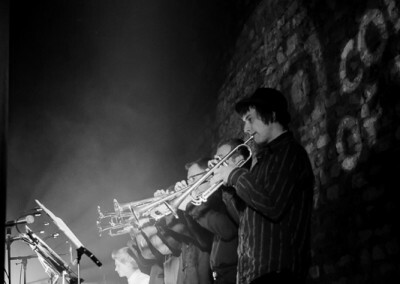 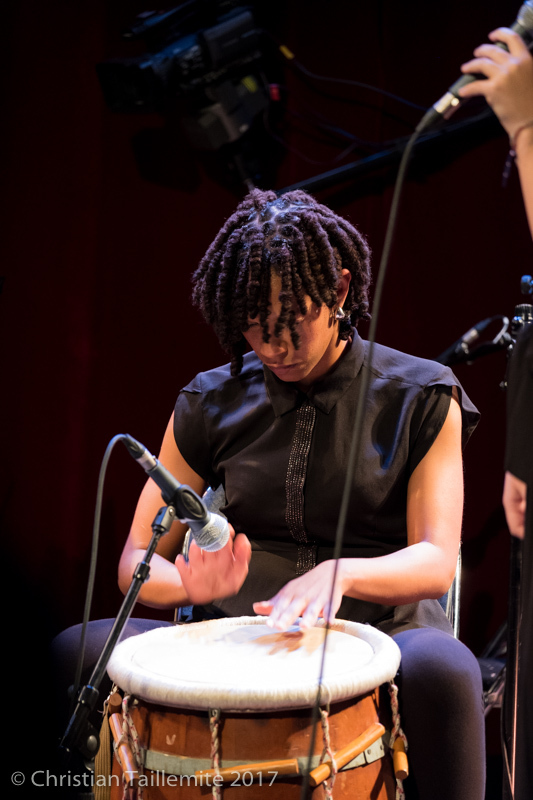 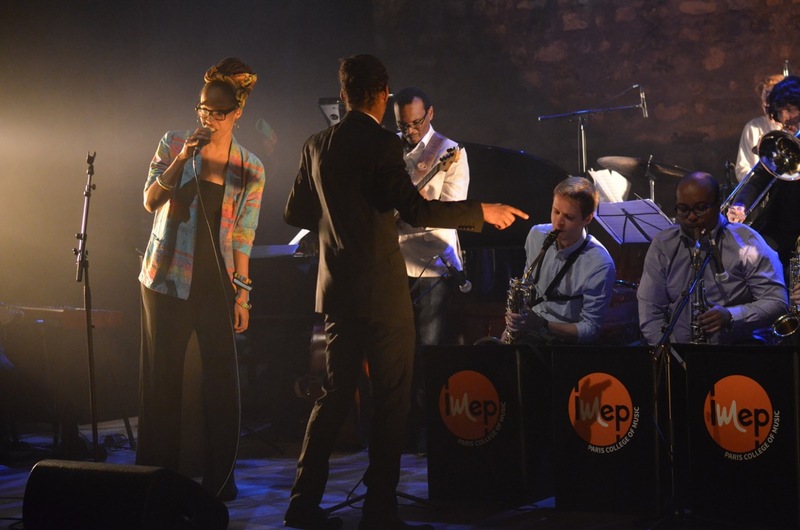 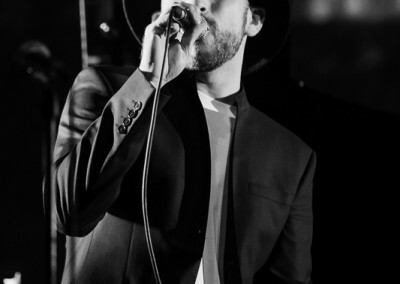 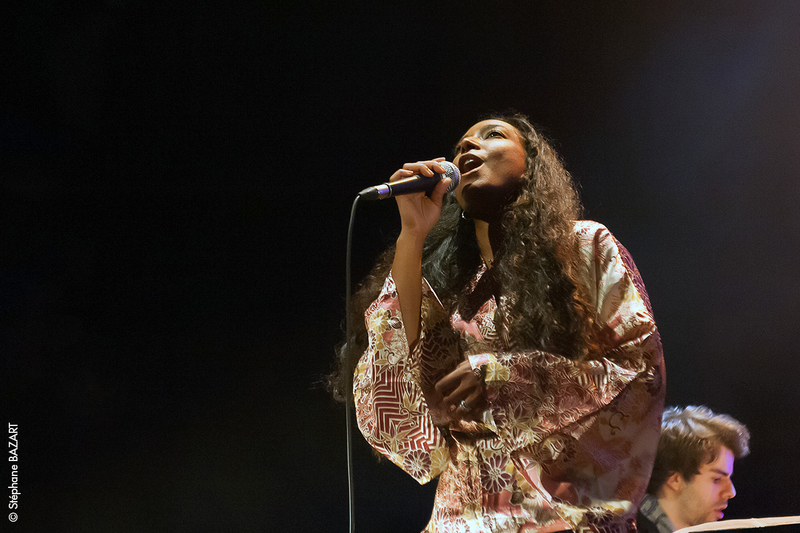 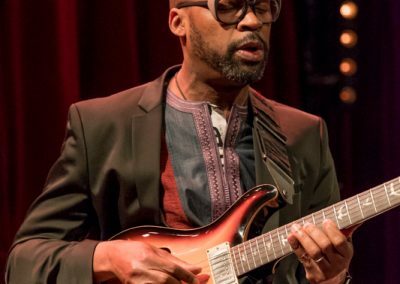 His unique musical language is inspired by the music of his native benin and incorporates a broad synthesis of jazz, fusion and blues. 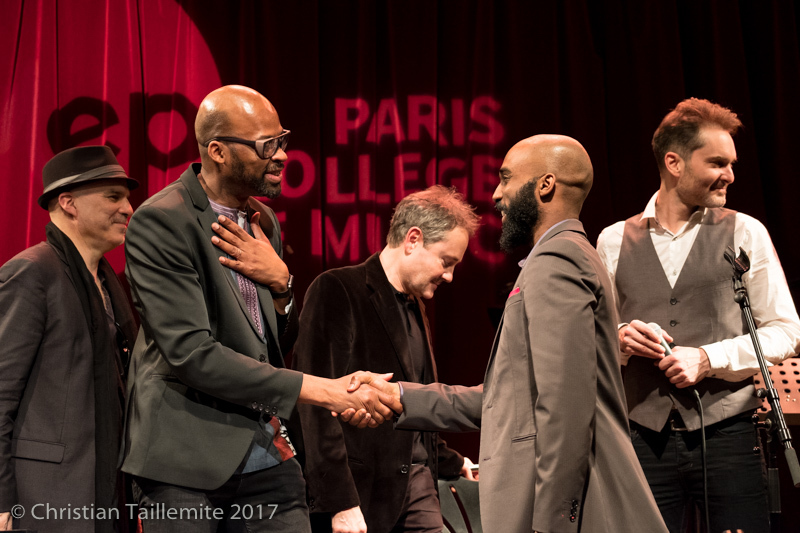 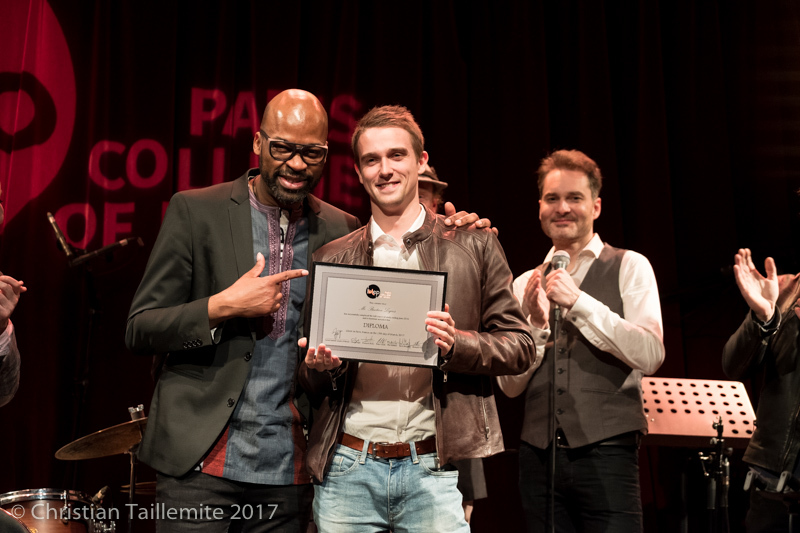 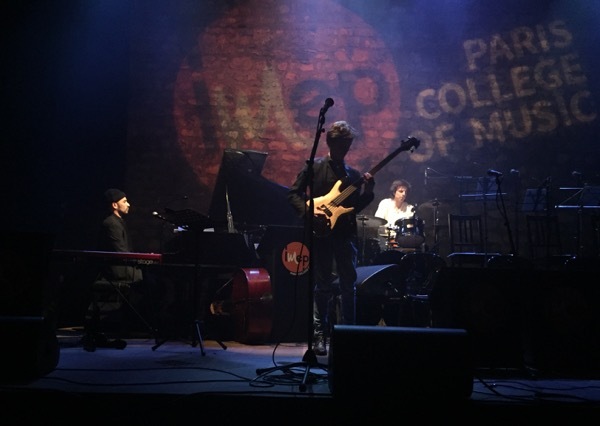 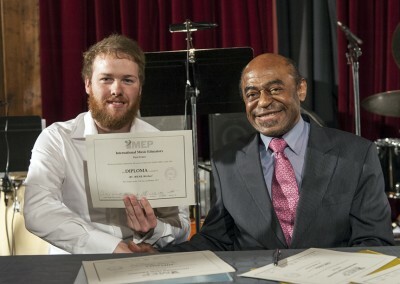 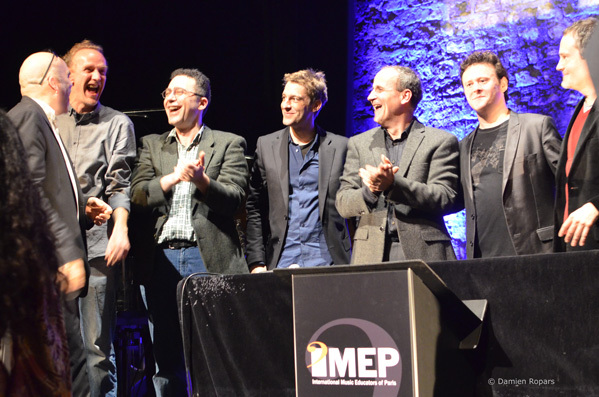 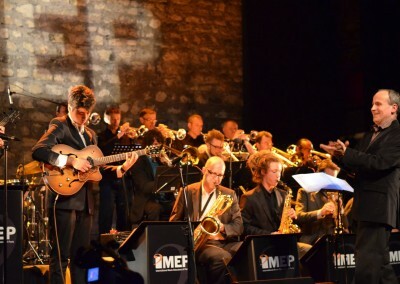 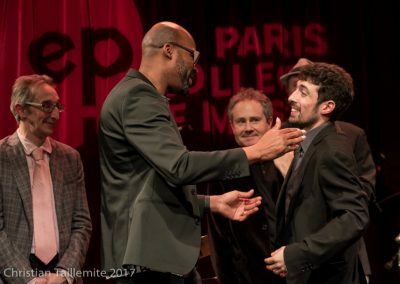 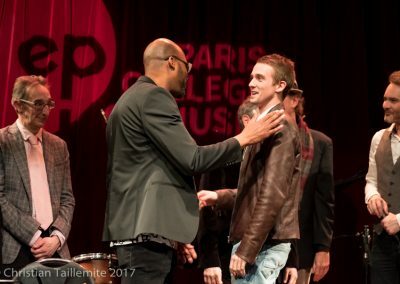 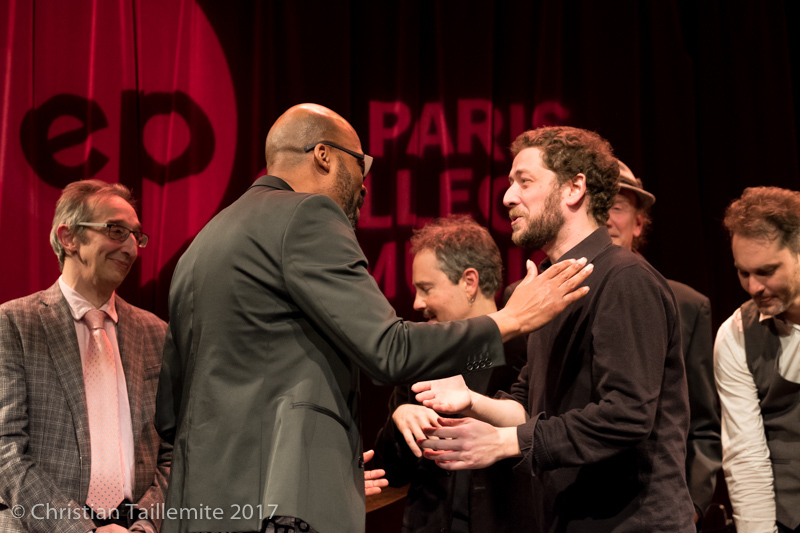 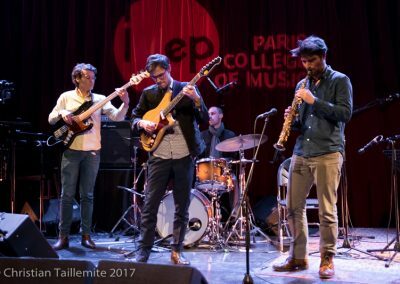 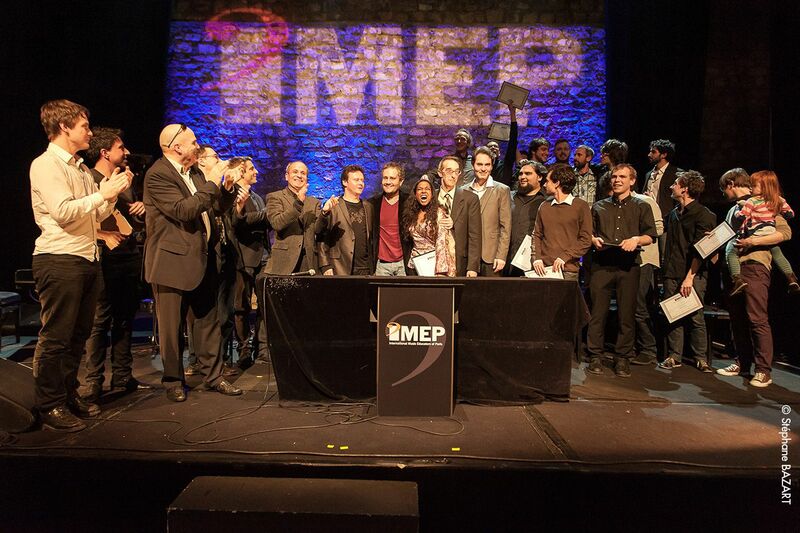 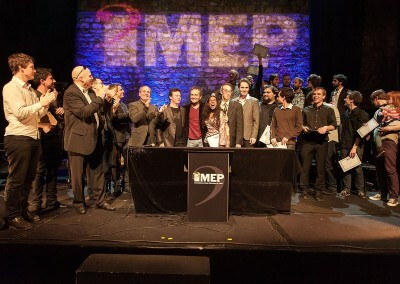 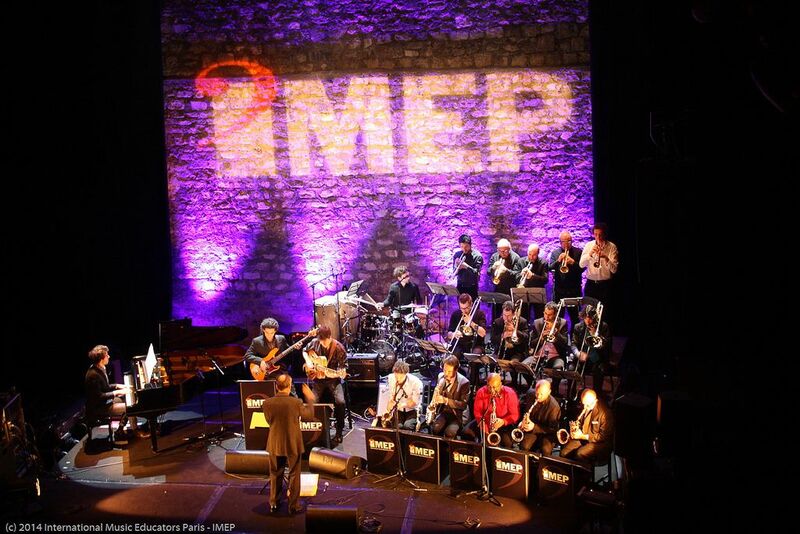 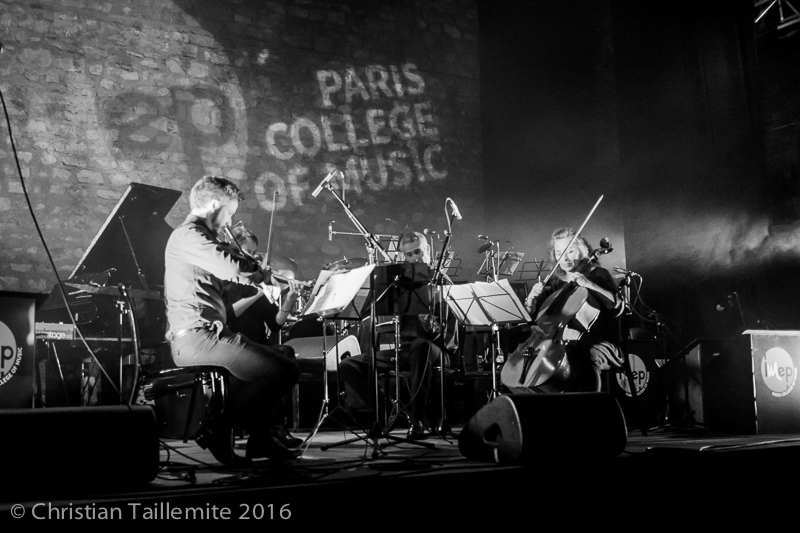 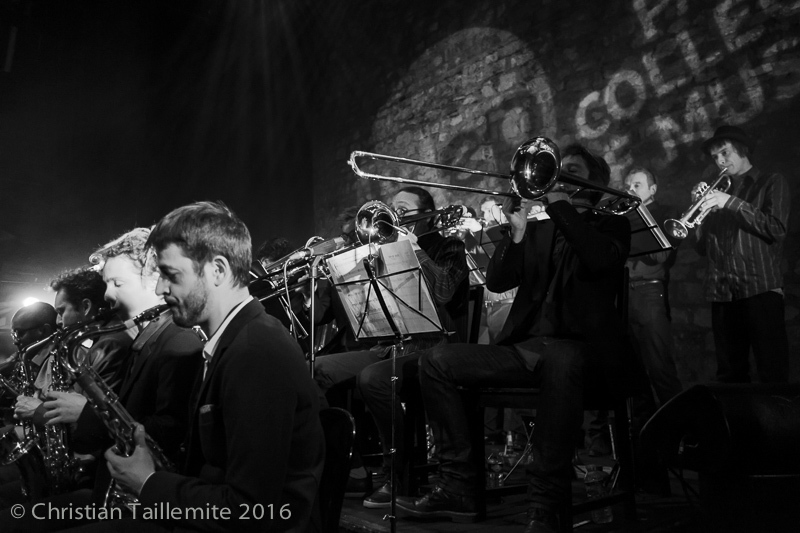 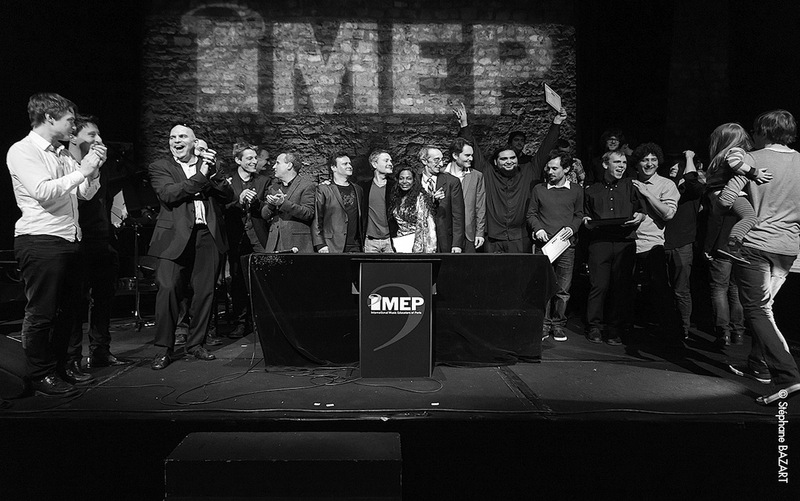 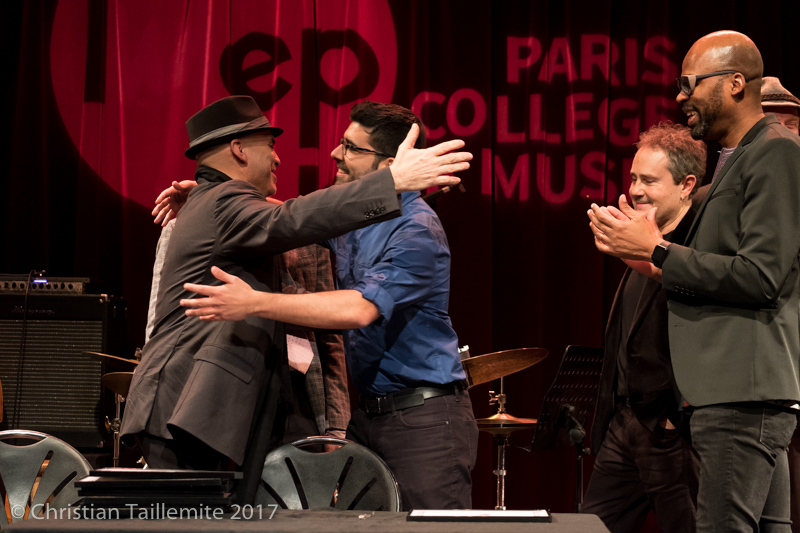 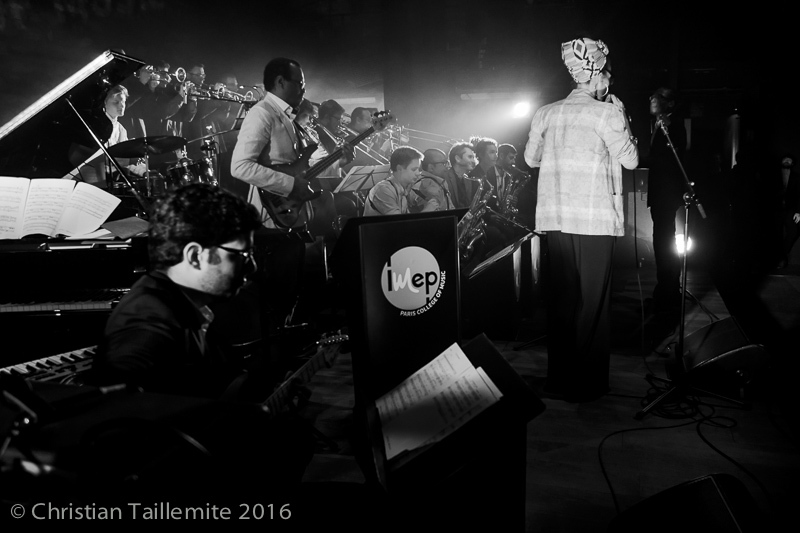 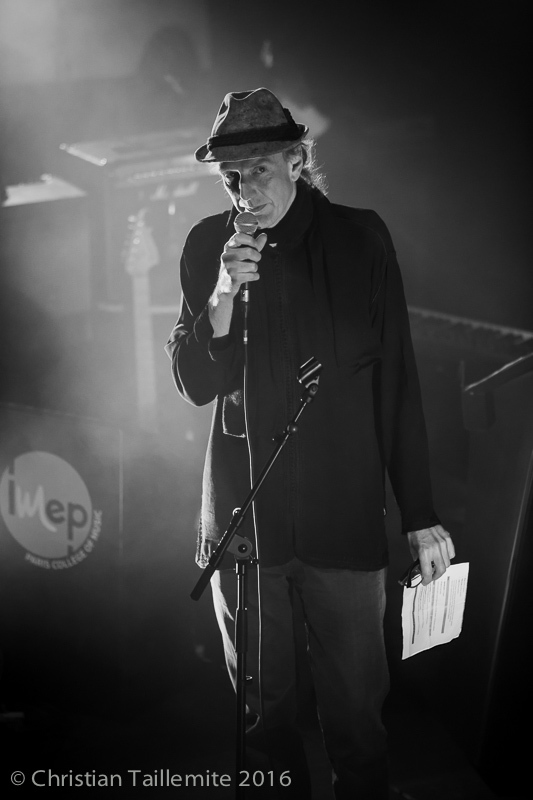 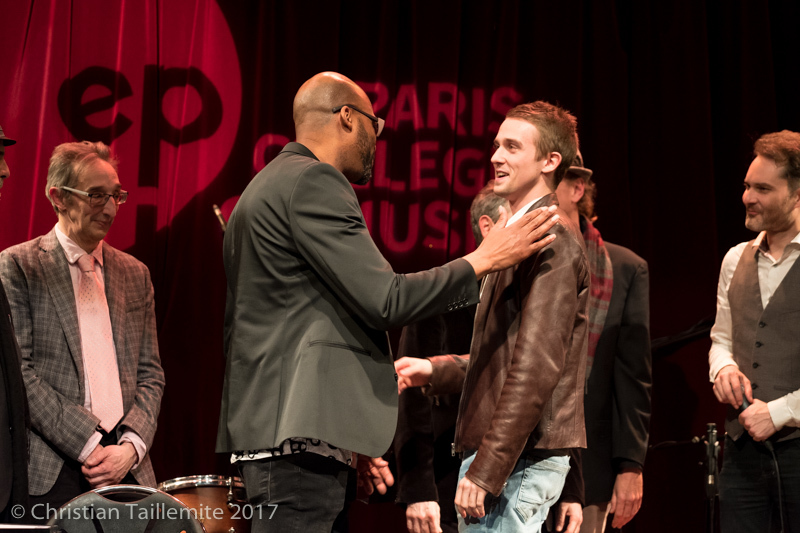 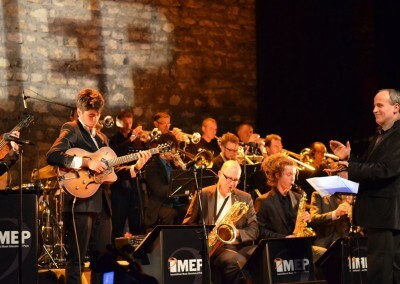 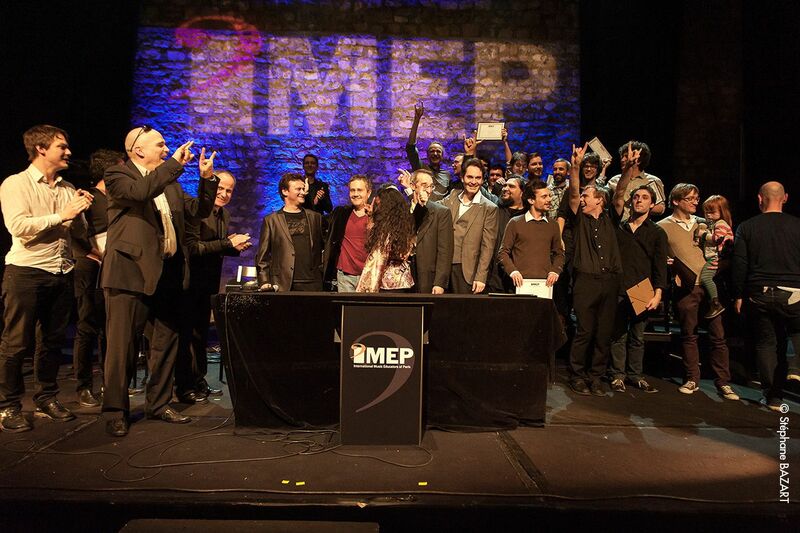 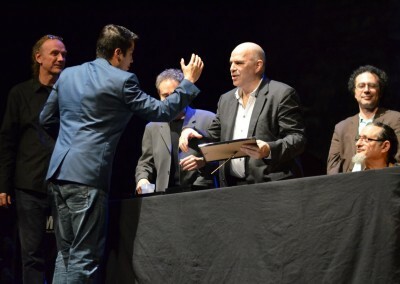 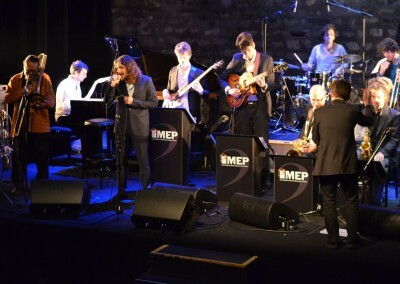 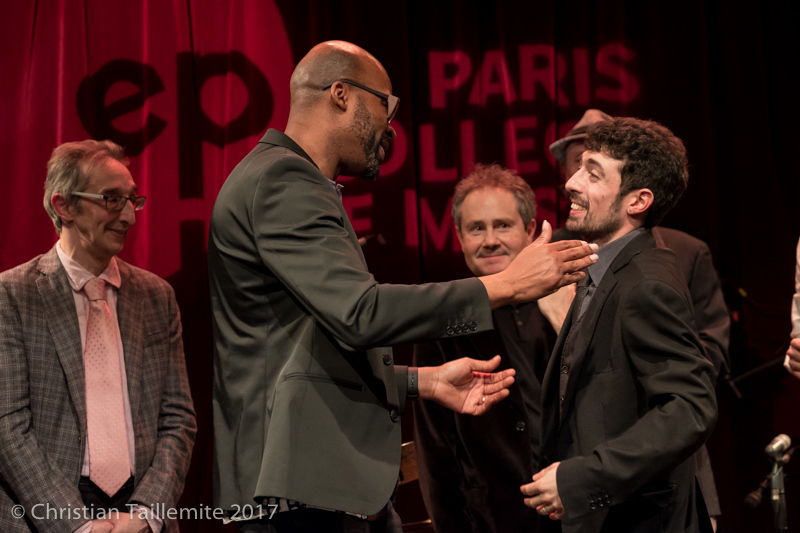 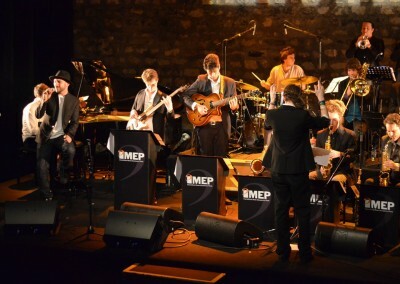 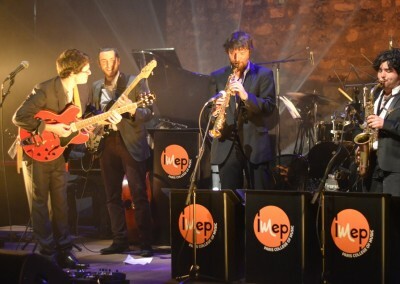 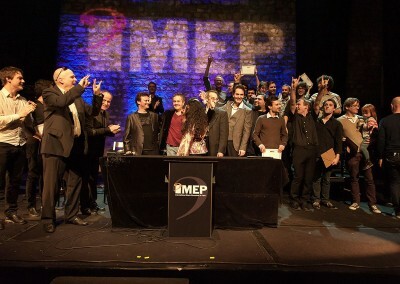 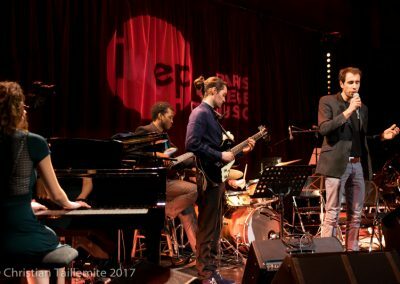 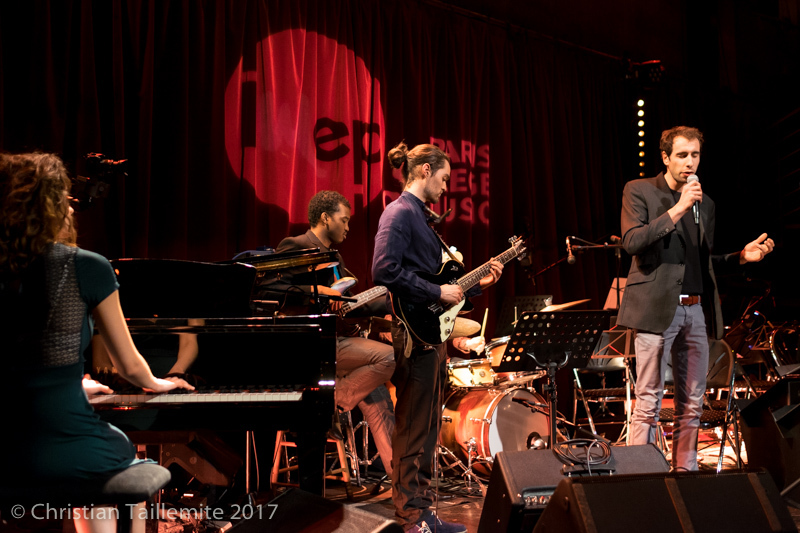 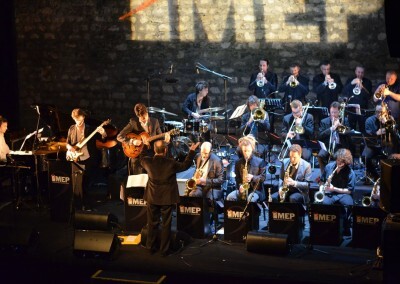 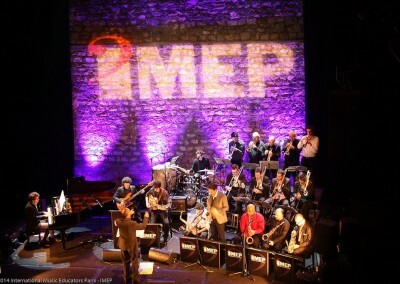 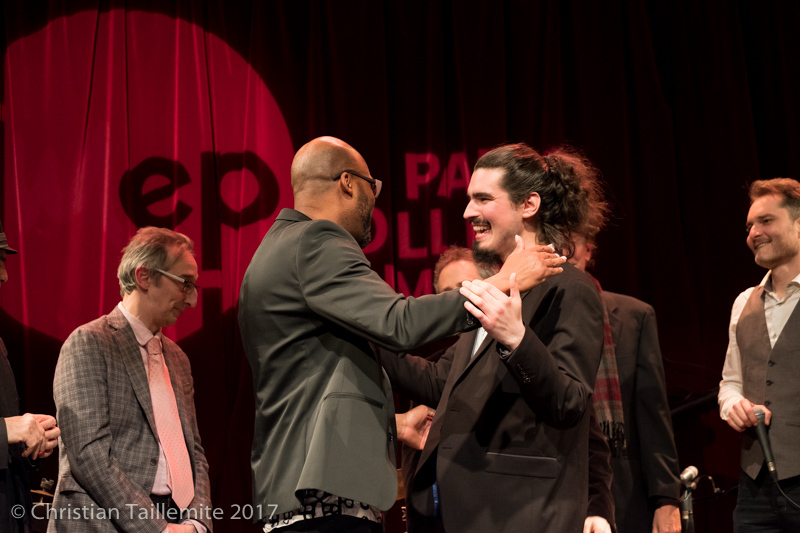 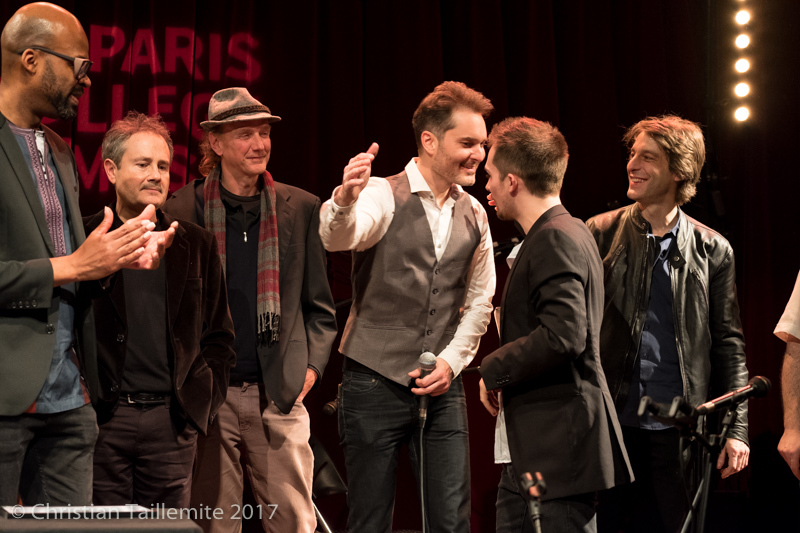 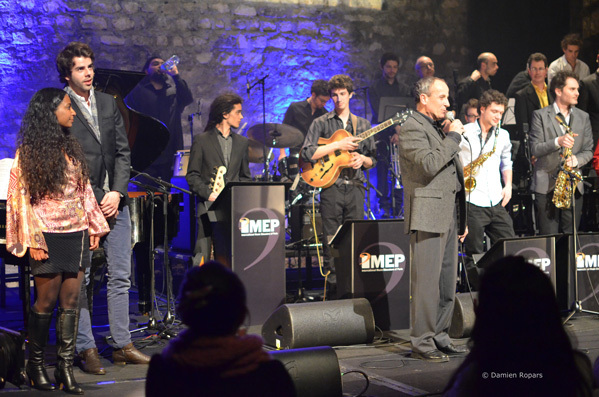 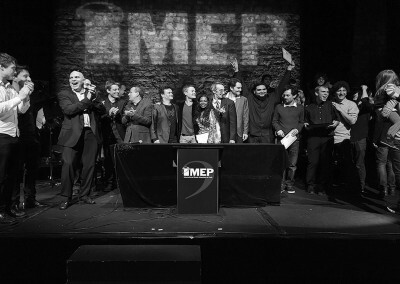 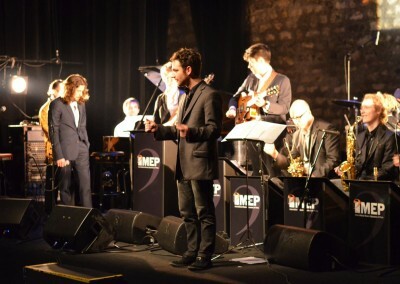 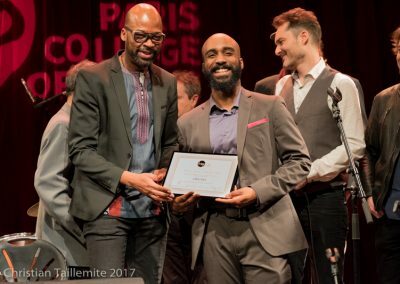 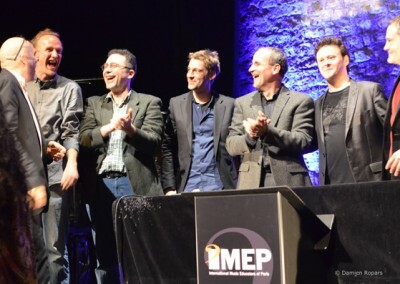 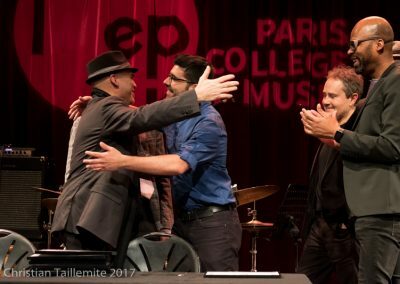 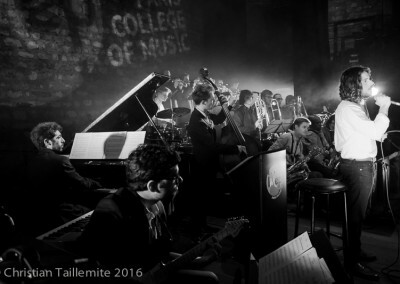 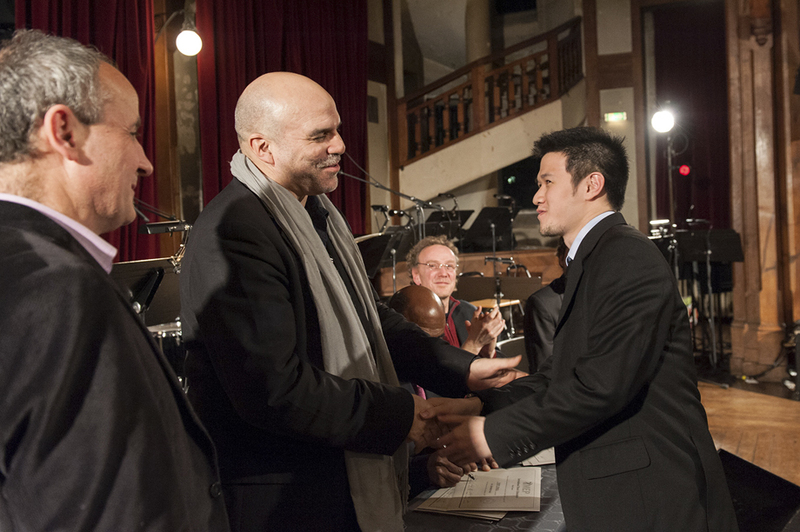 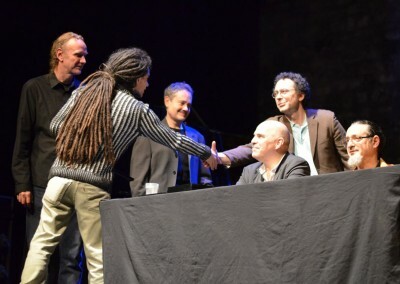 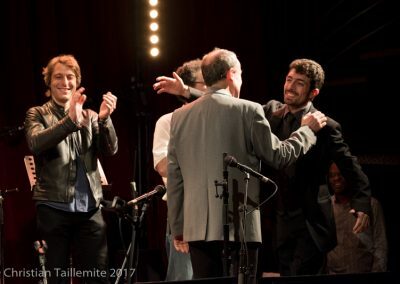 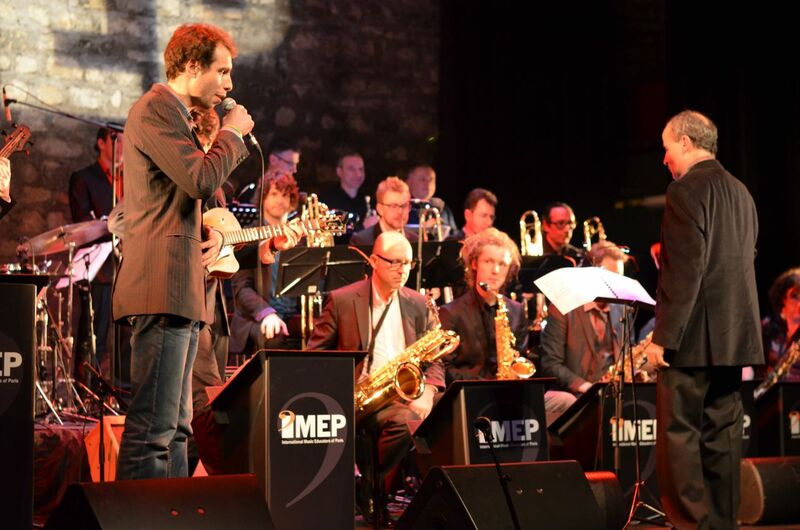 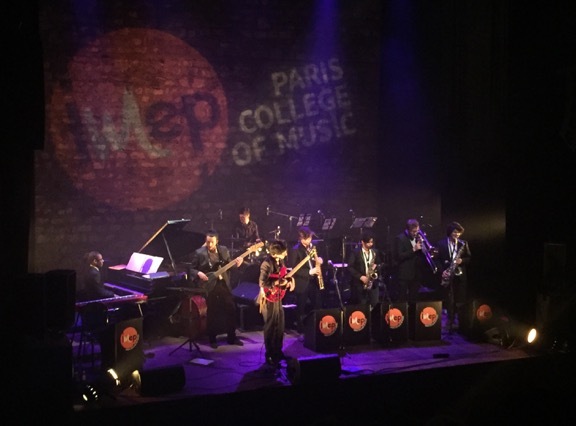 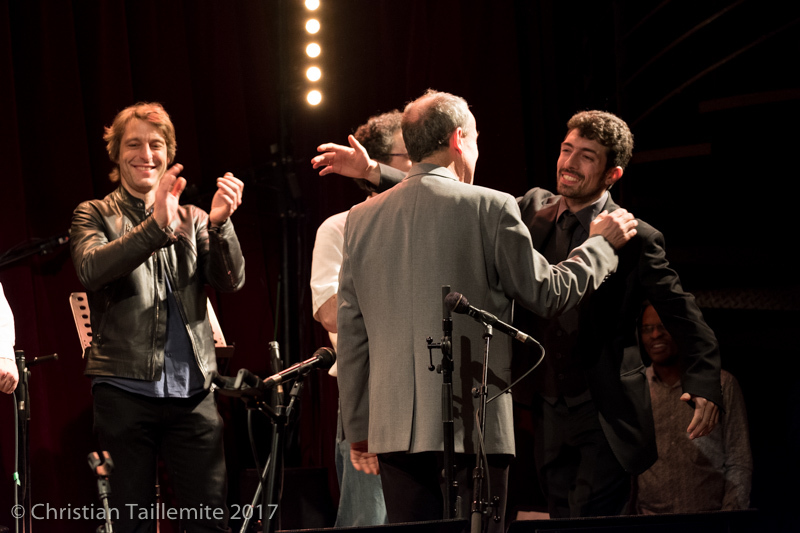 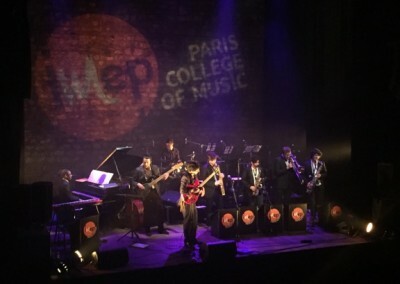 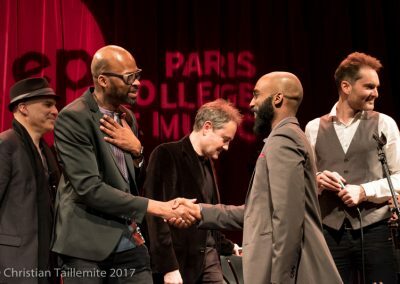 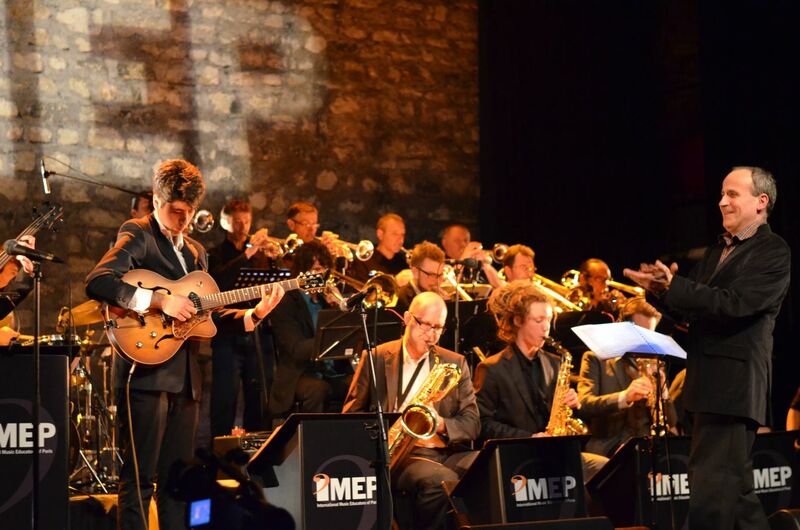 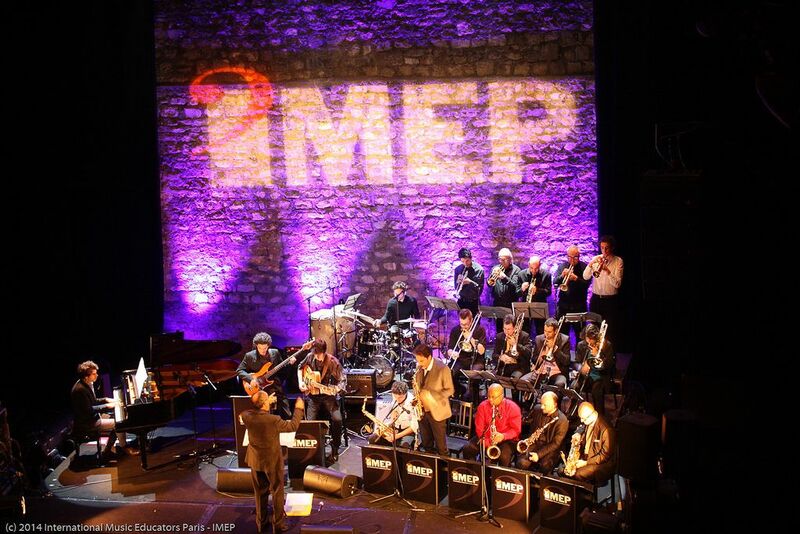 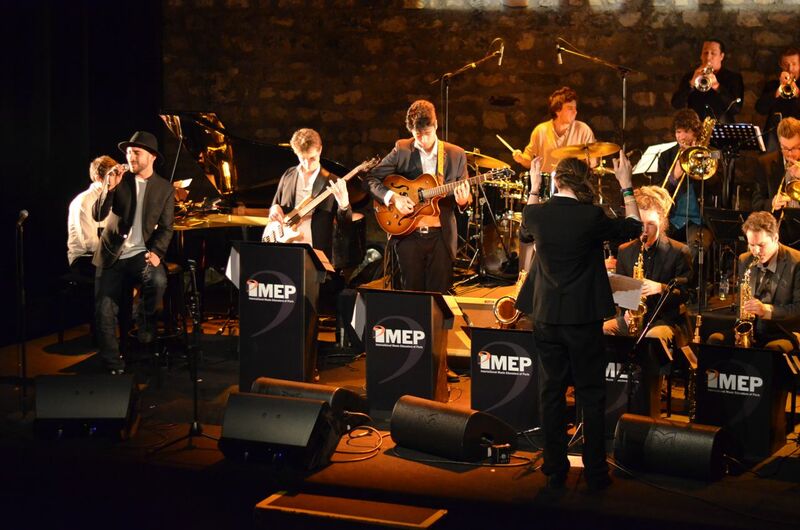 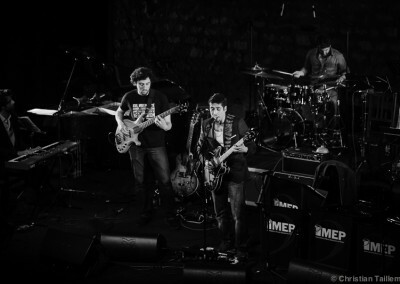 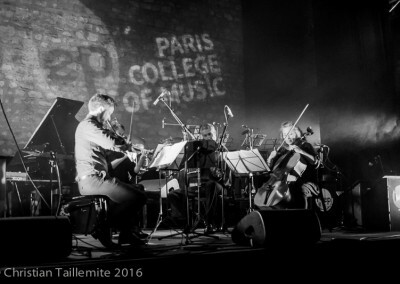 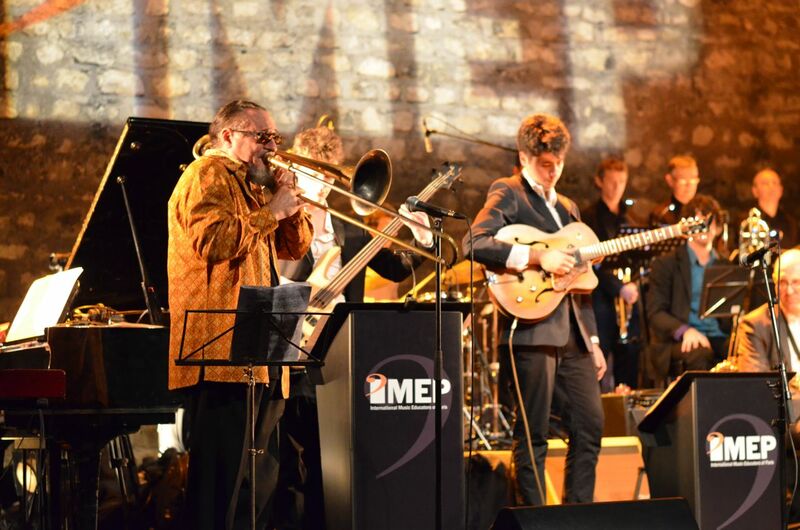 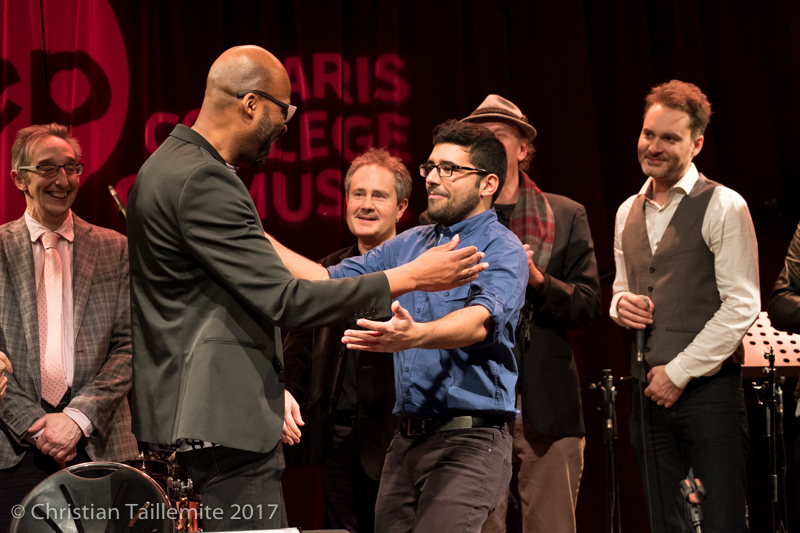 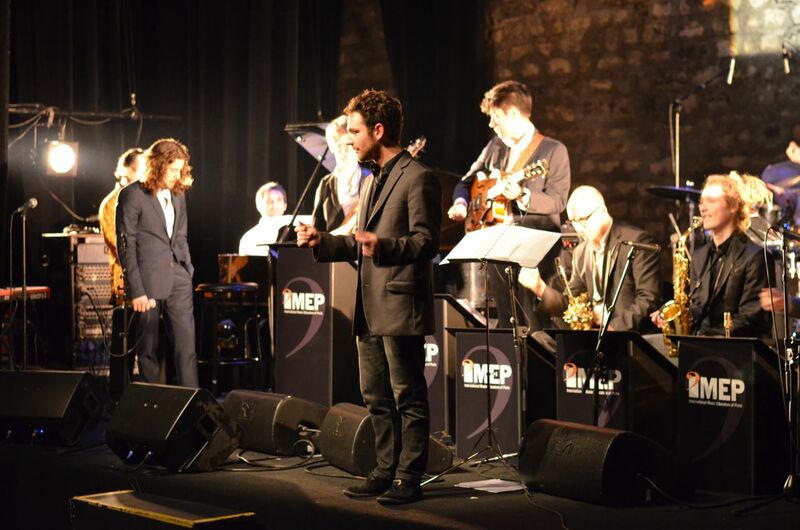 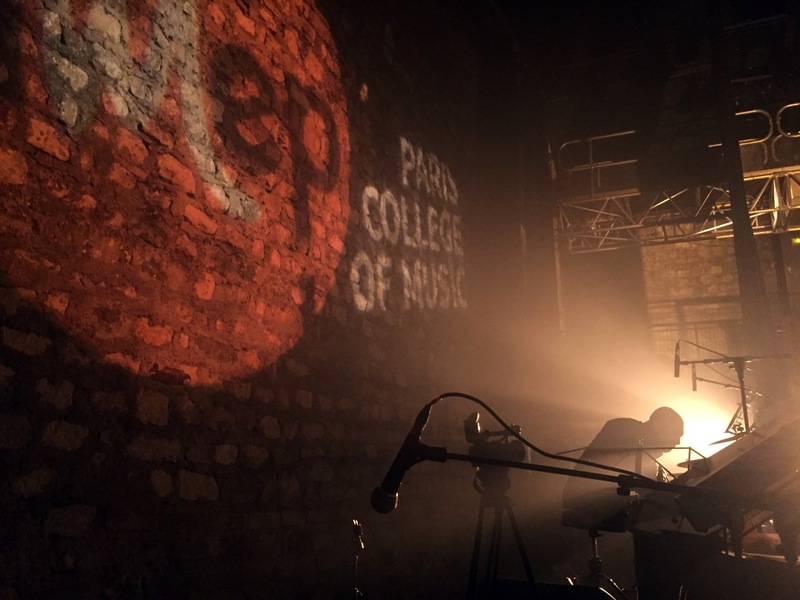 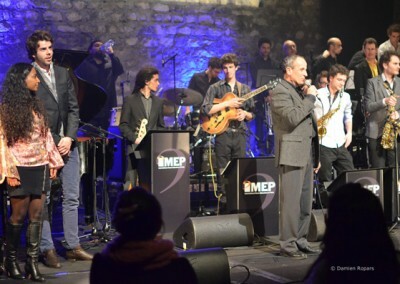 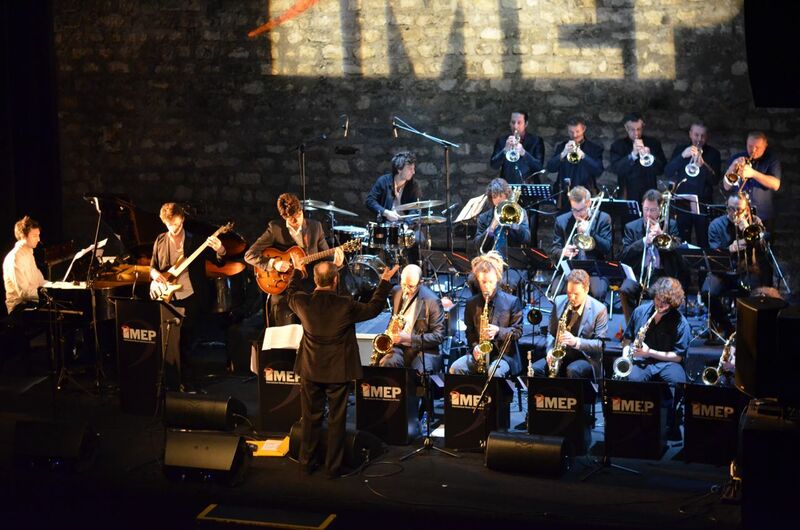 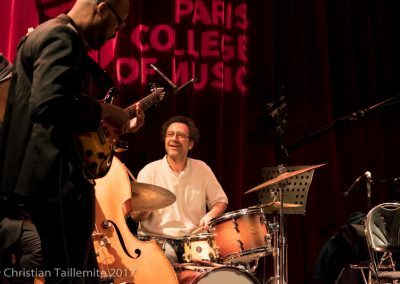 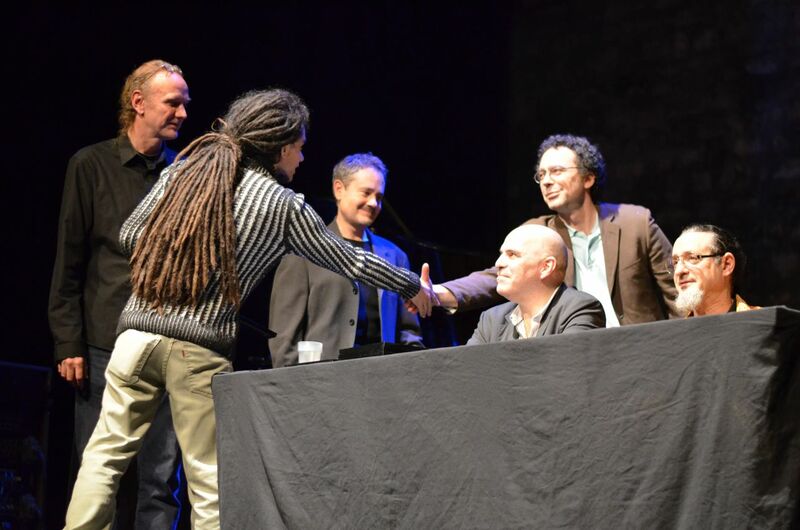 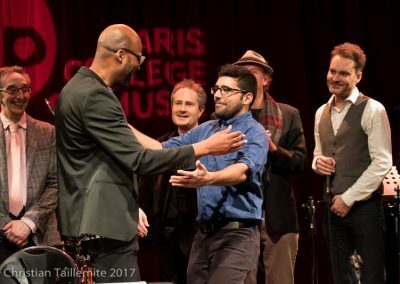 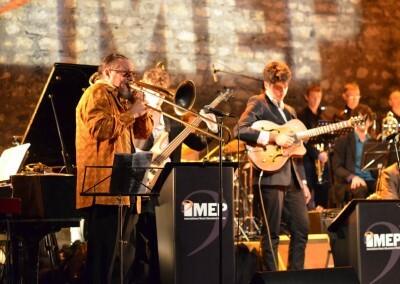 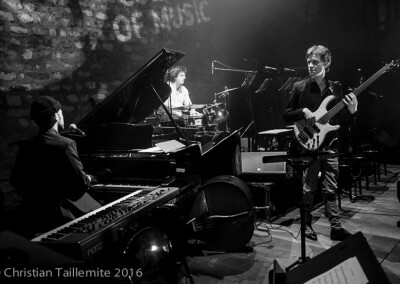 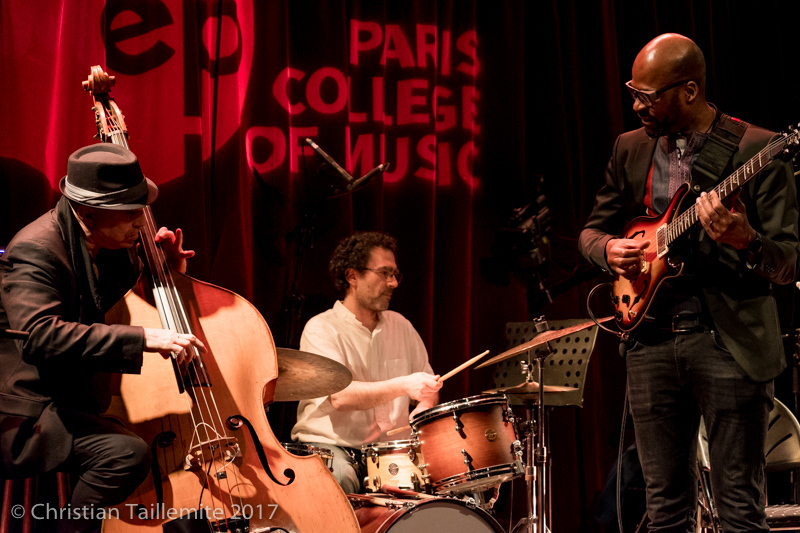 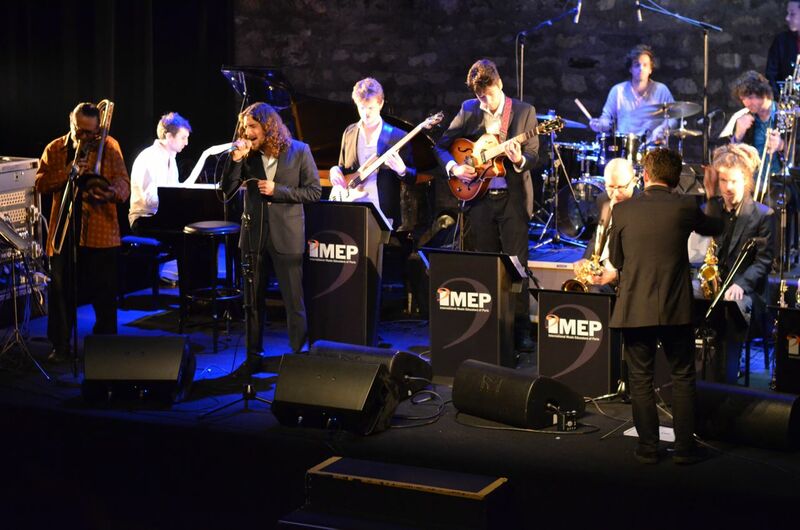 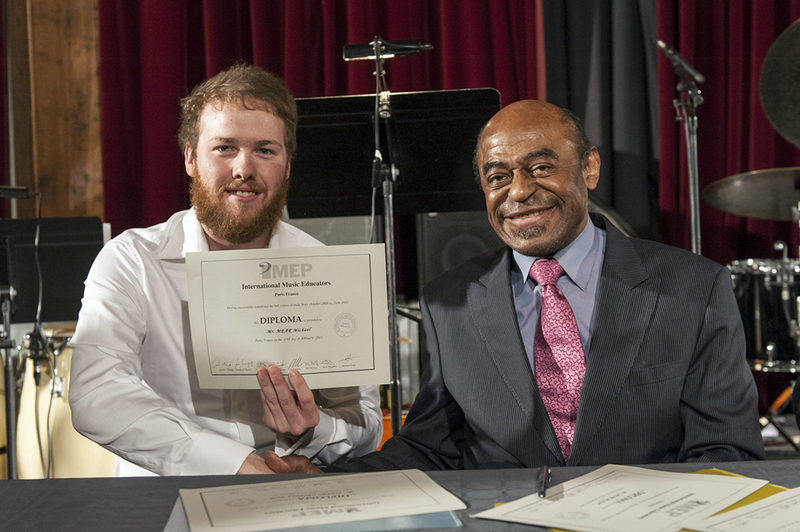 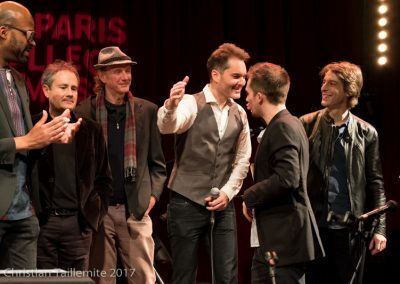 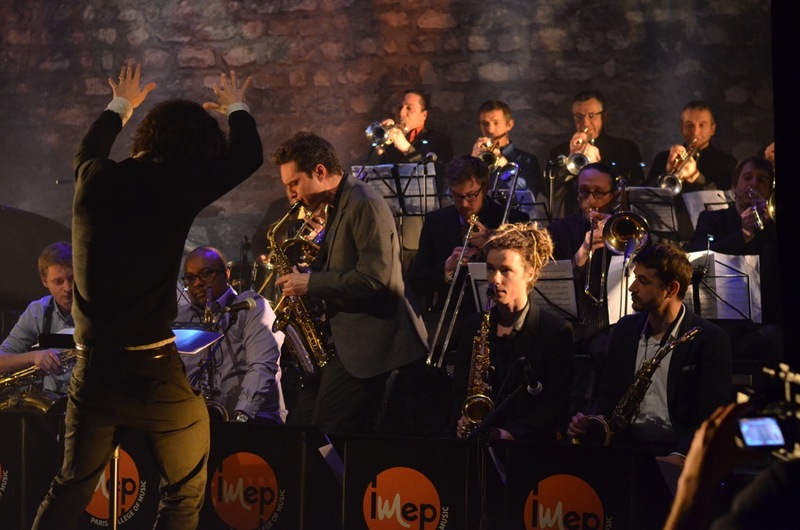 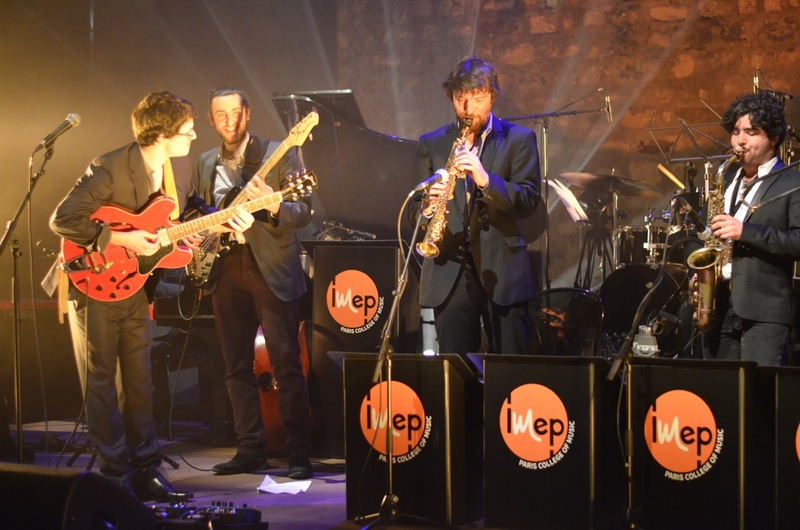 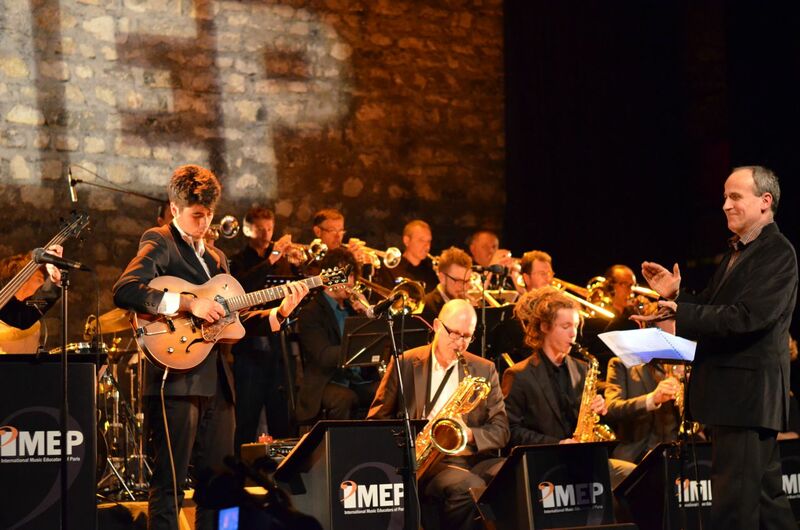 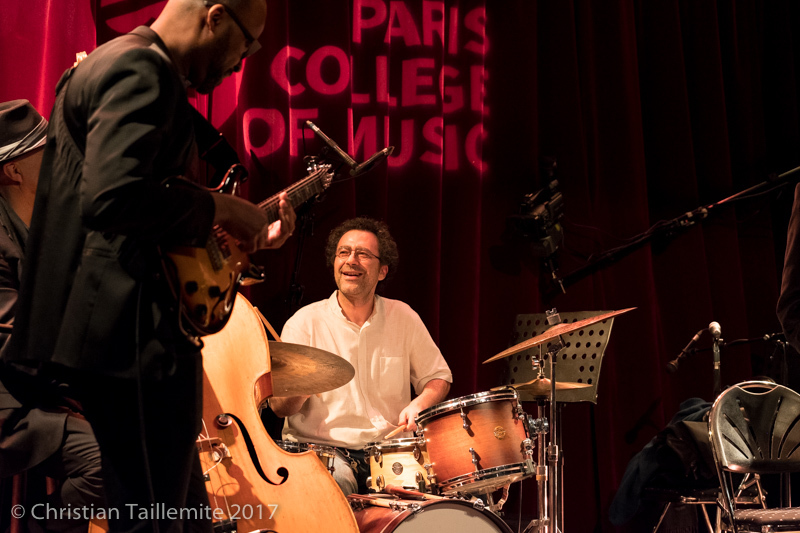 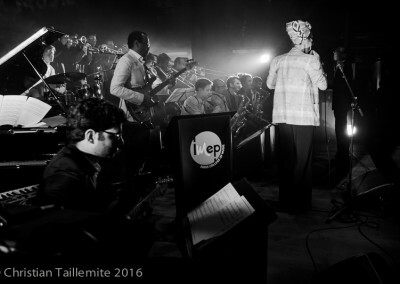 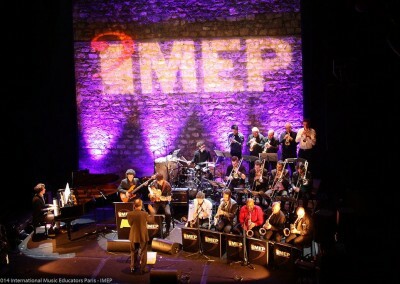 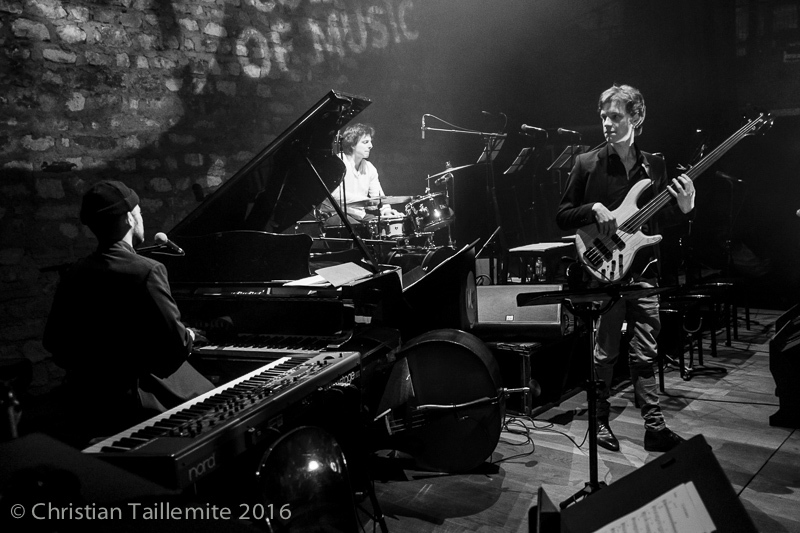 Guitarist composer Lionel Loueké talks about his training and his international musical career with his former professors François Fichu and Peter Giron, faculty members and co-founders of the IMEP • Paris College of Music on the occasion of the Graduation of the 2016 promotion. 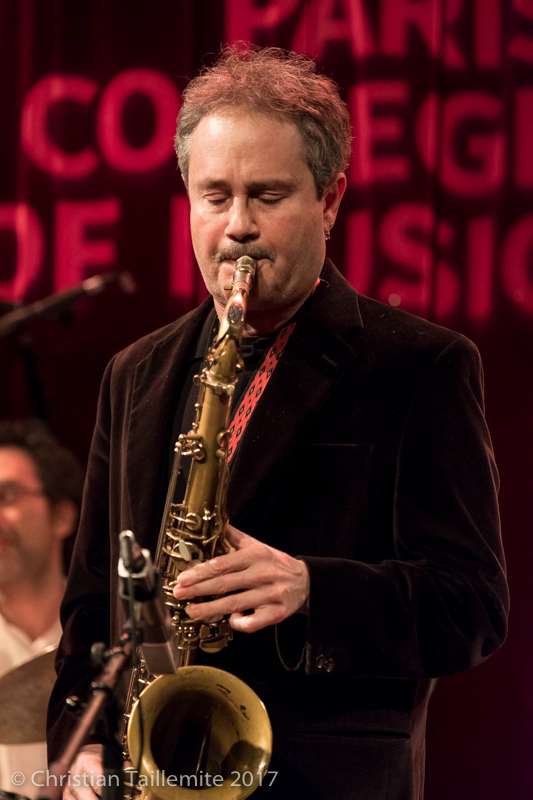 This year, we are proud to have Jeff Ballard as an honor guest for our graduation ceremony. 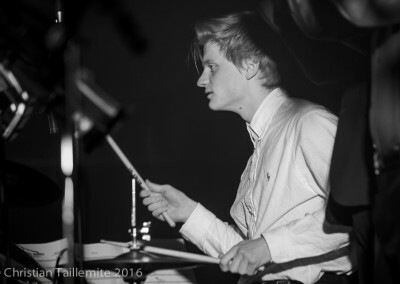 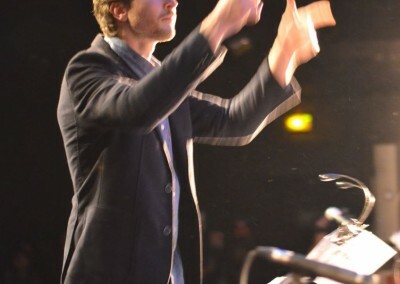 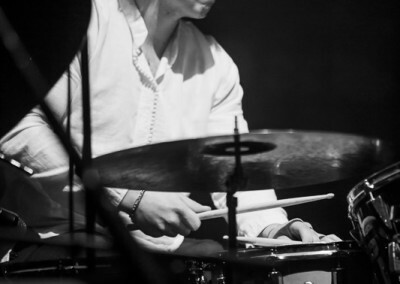 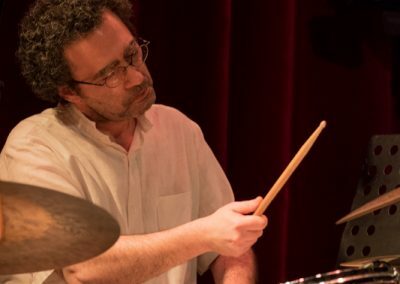 Jeff is an American jazz drummer . 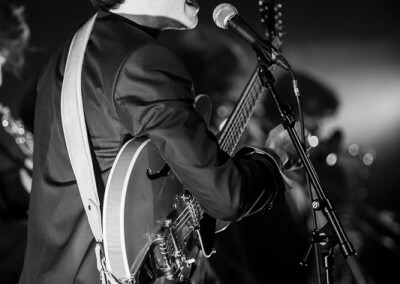 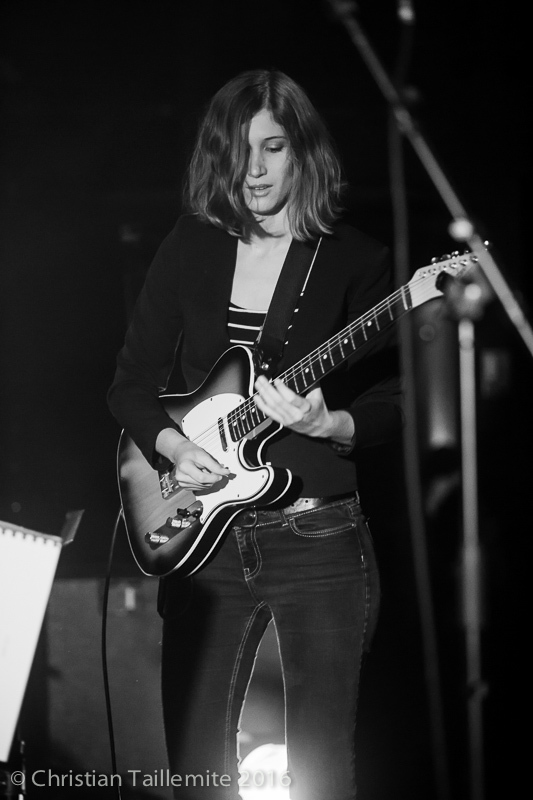 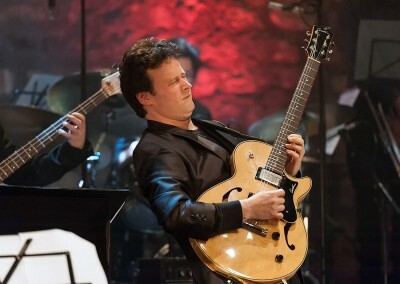 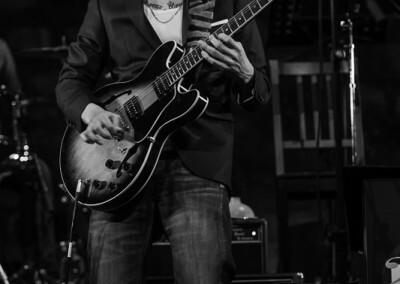 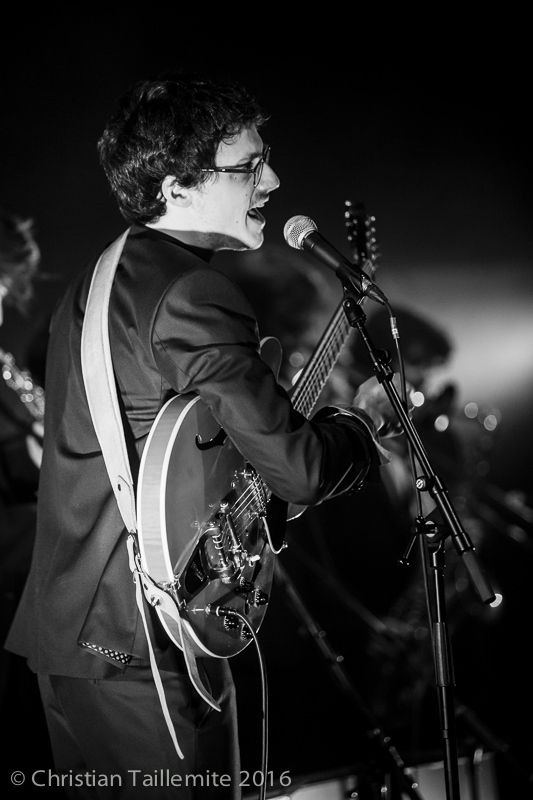 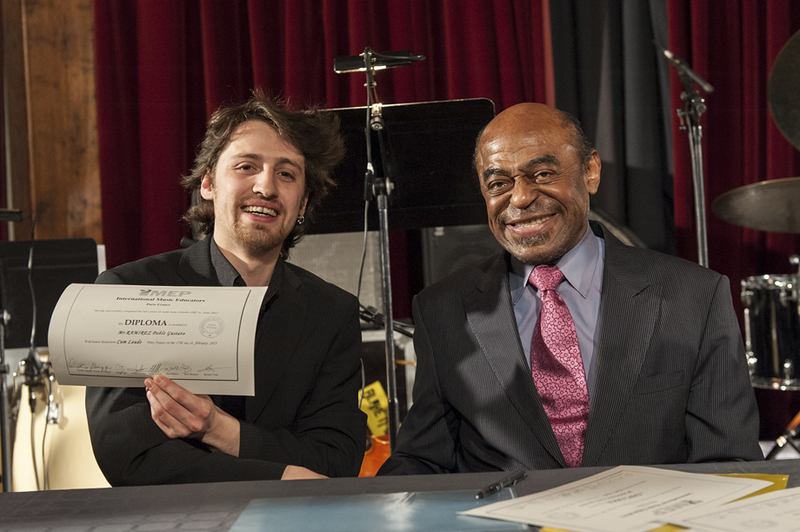 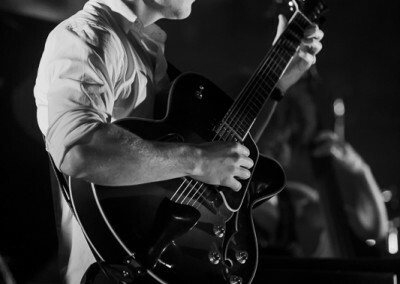 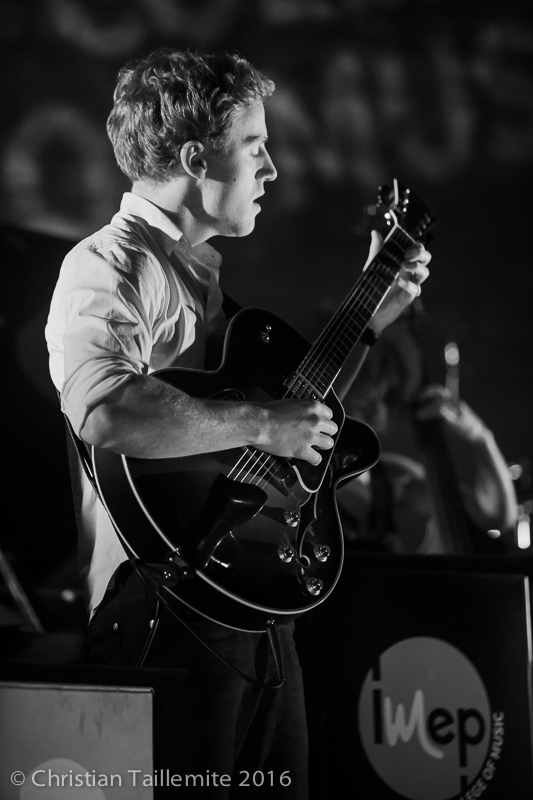 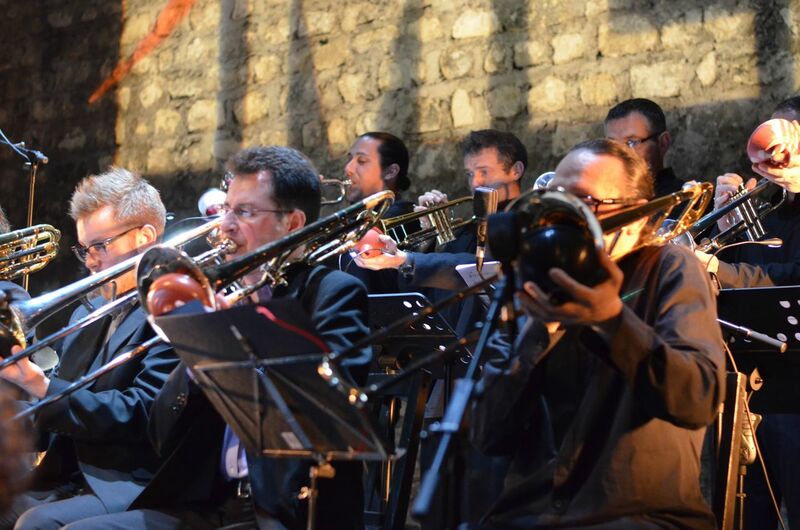 Among many others, he has played with Ray Charles, guitarist Pat Metheny, composer pianist Chick Corea. 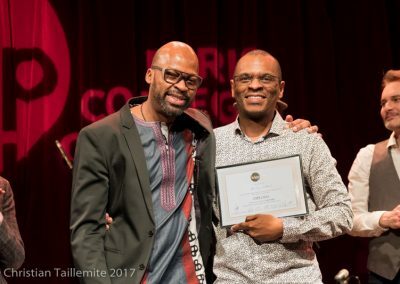 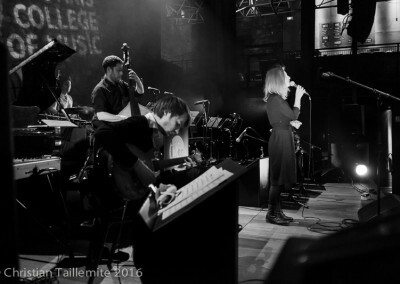 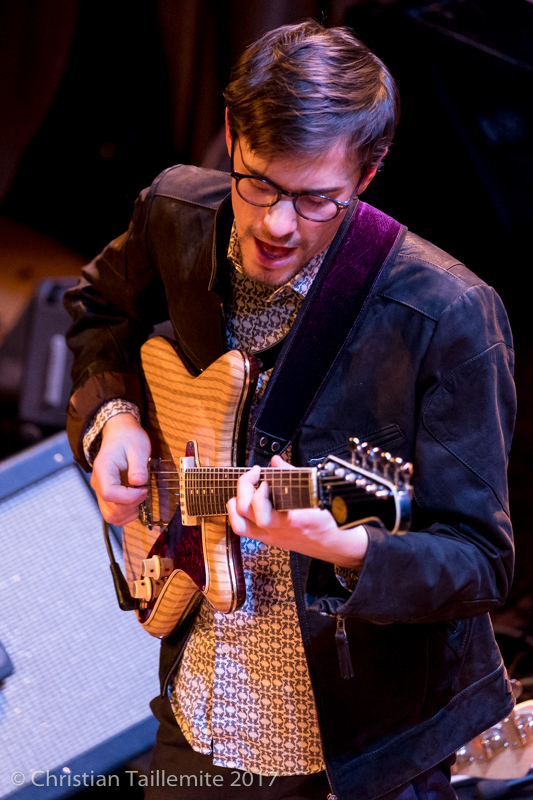 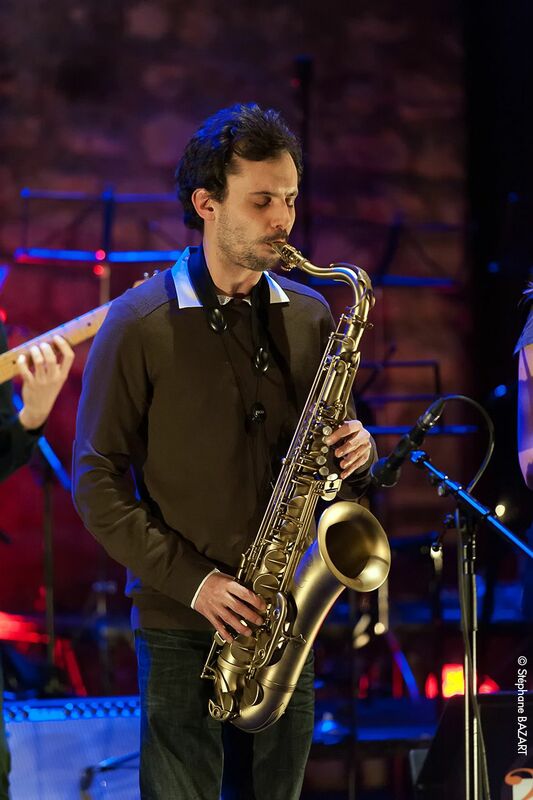 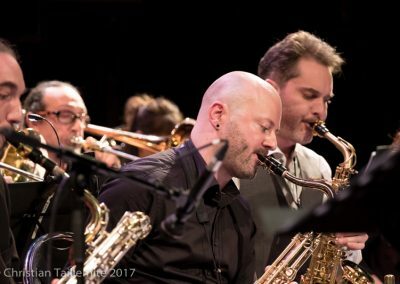 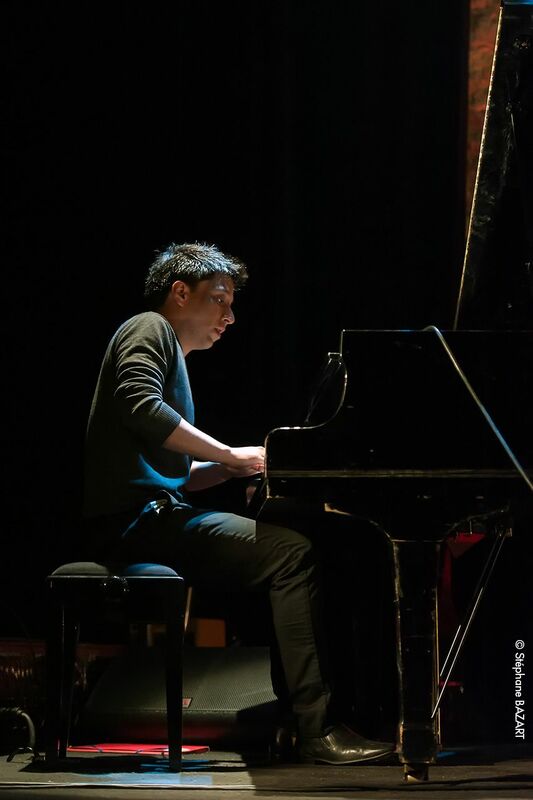 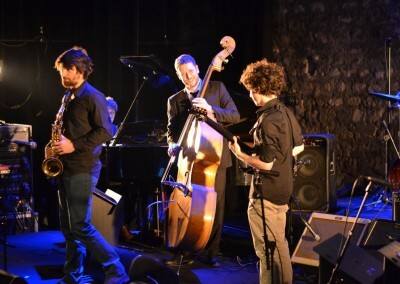 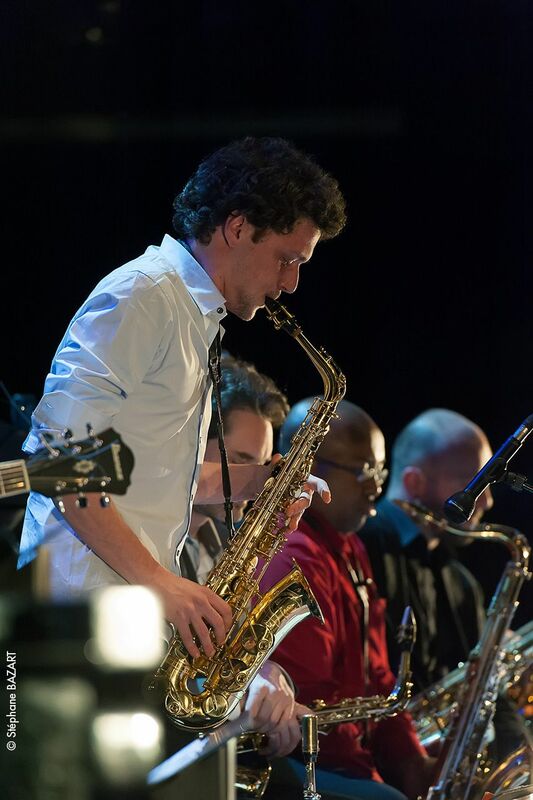 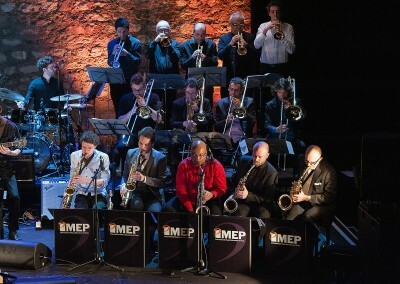 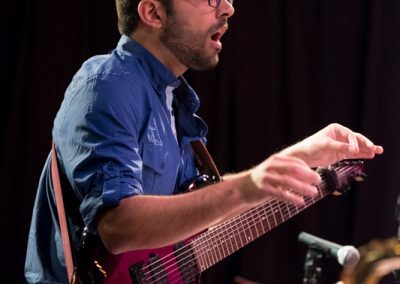 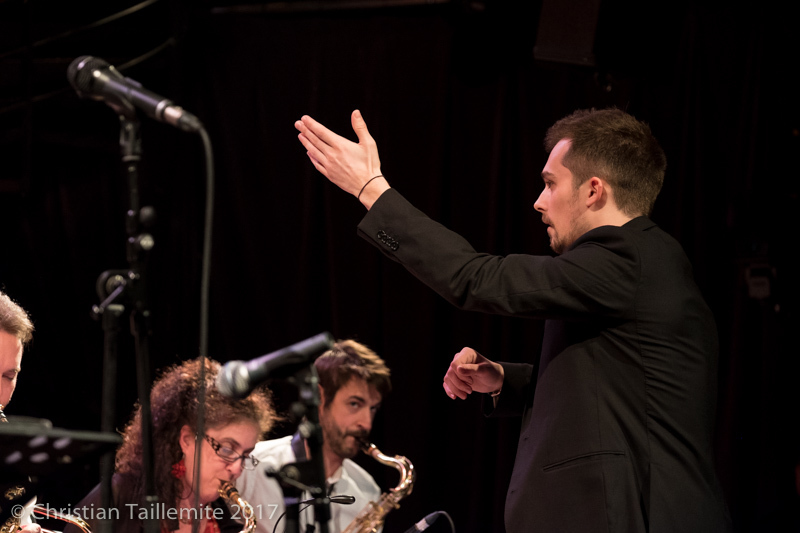 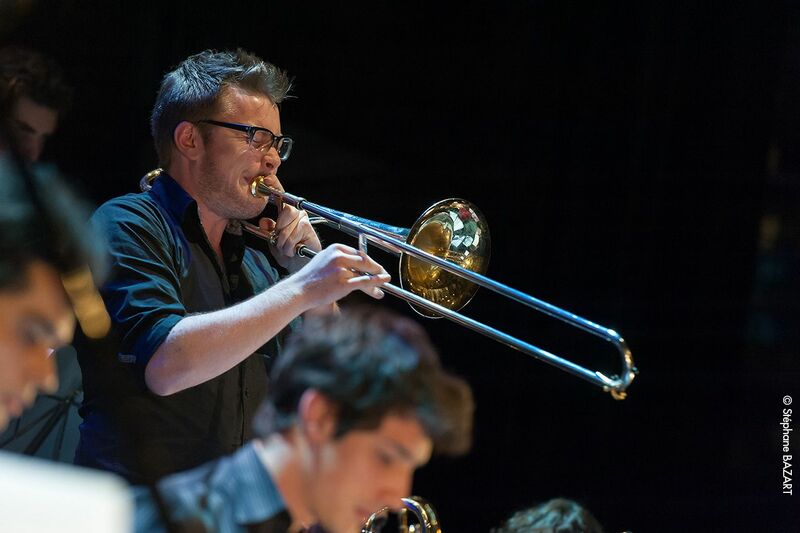 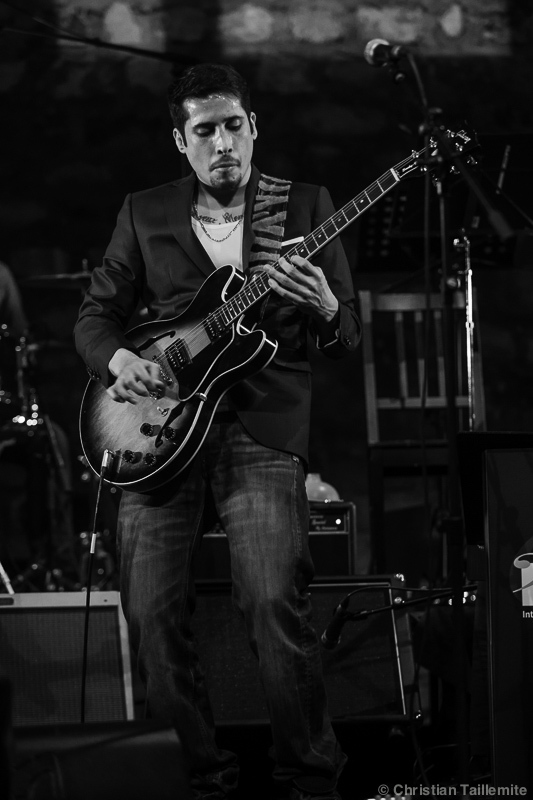 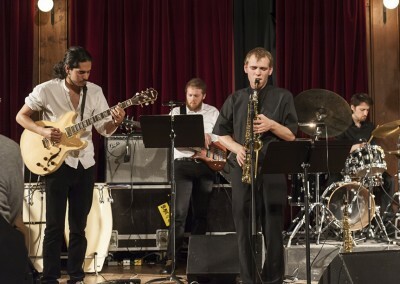 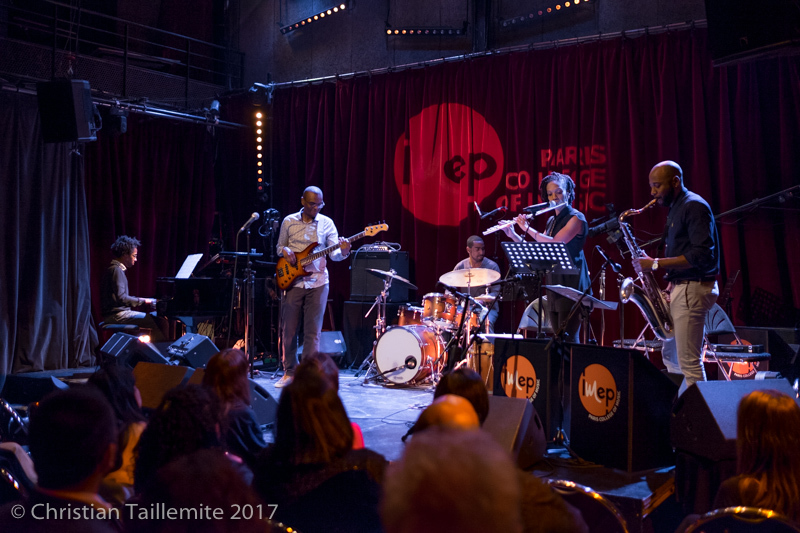 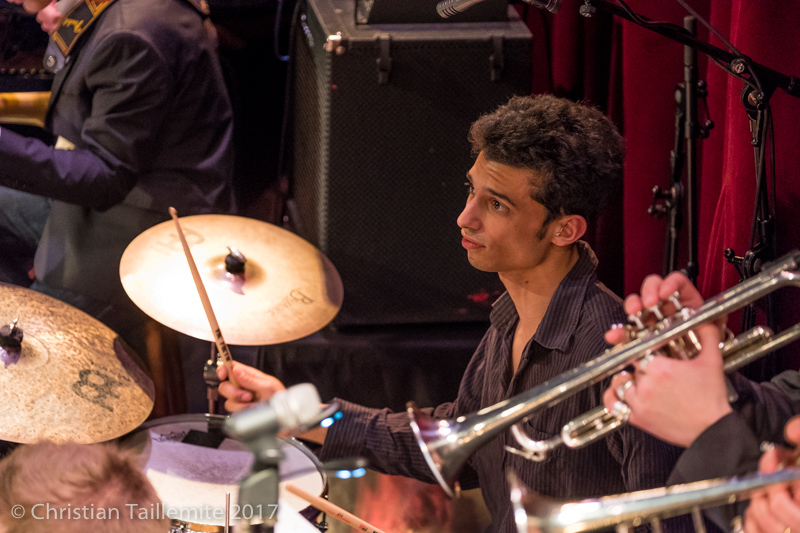 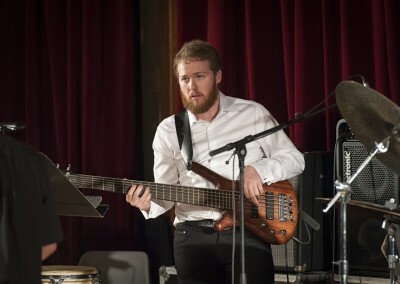 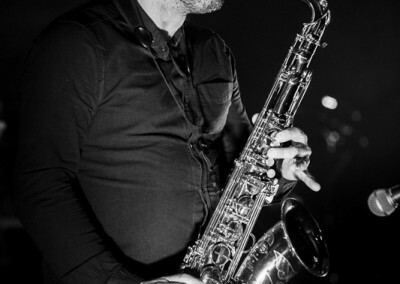 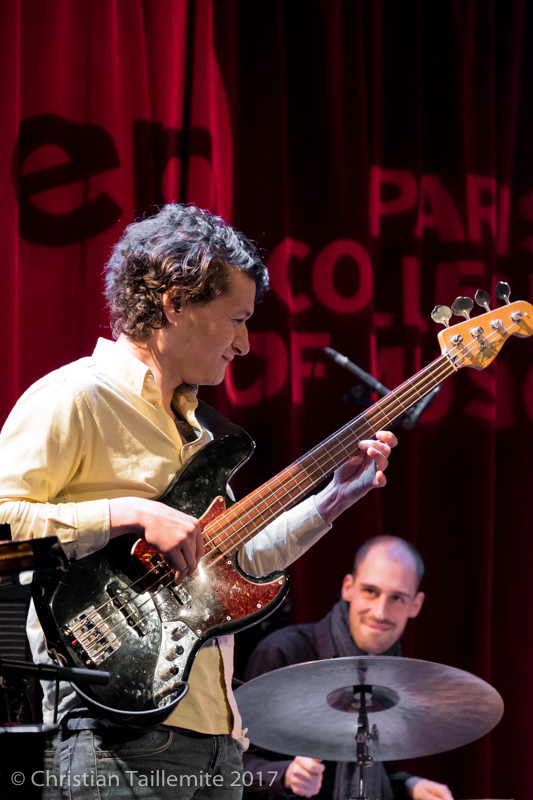 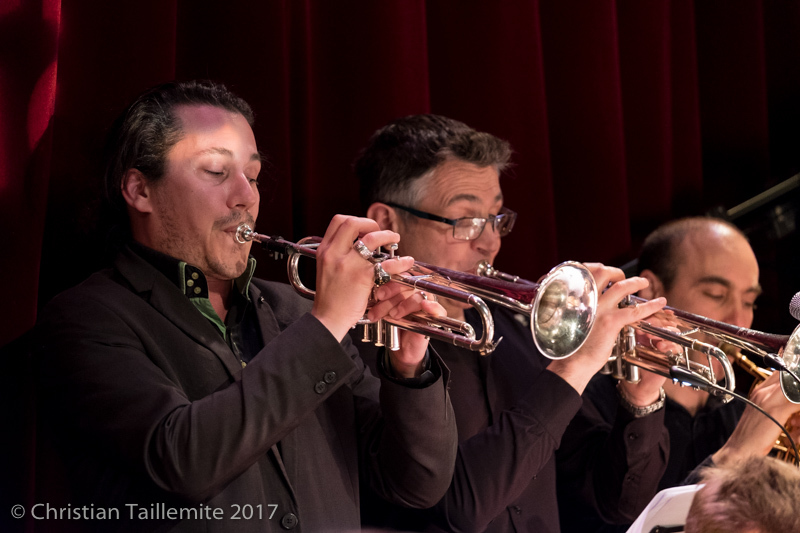 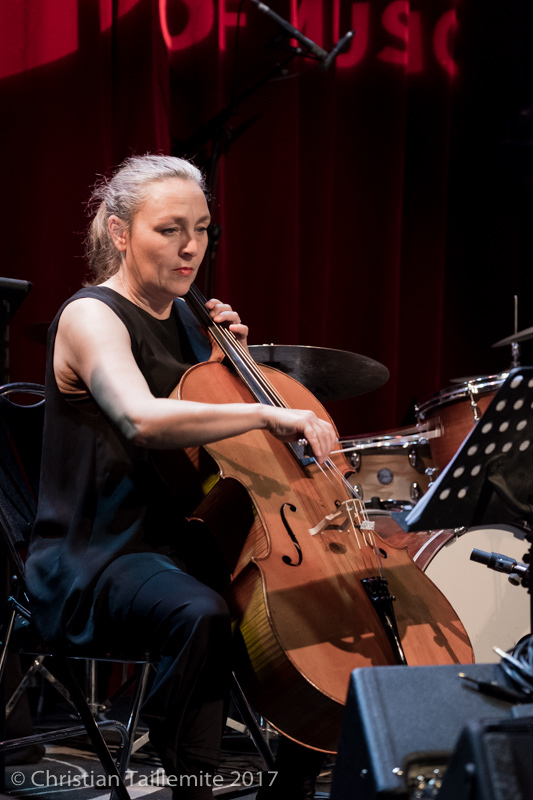 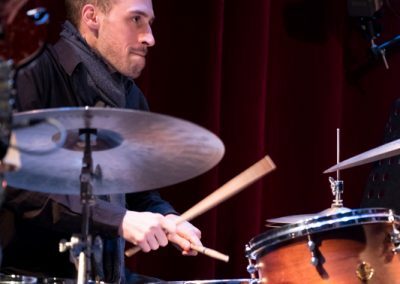 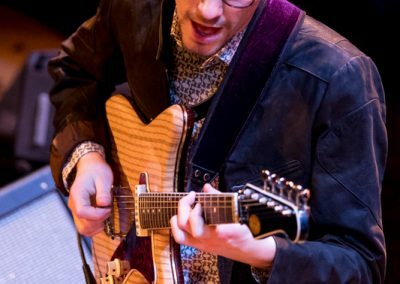 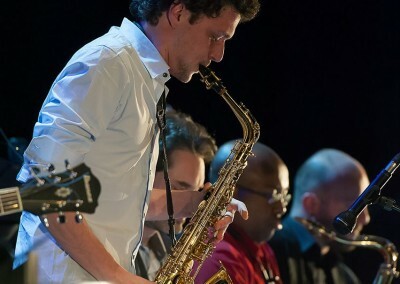 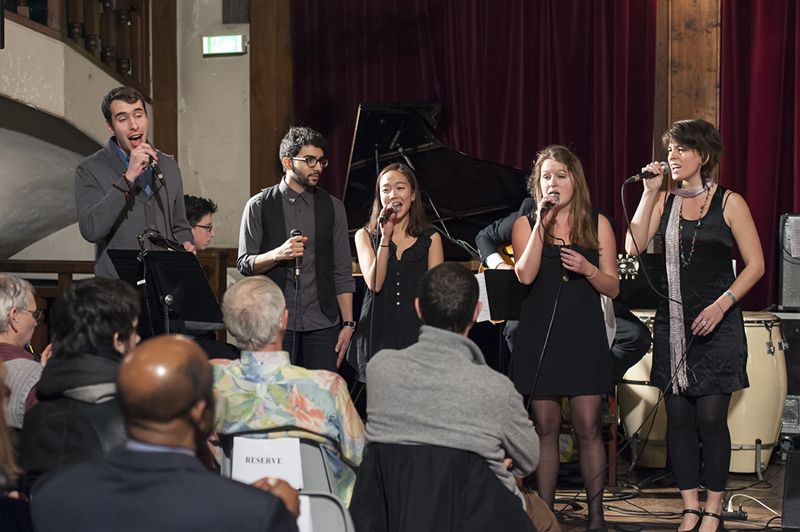 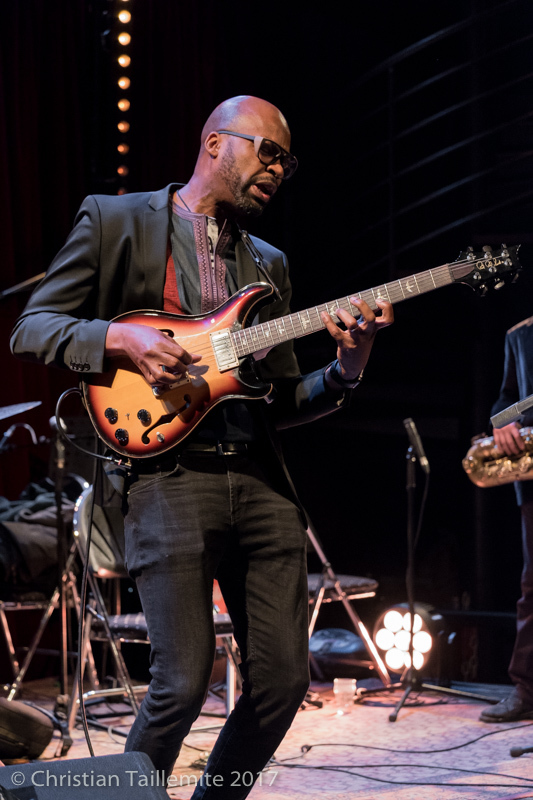 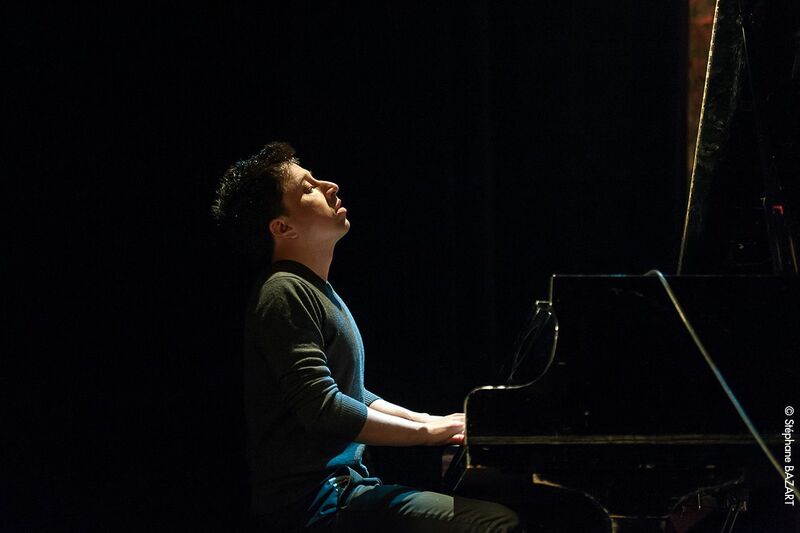 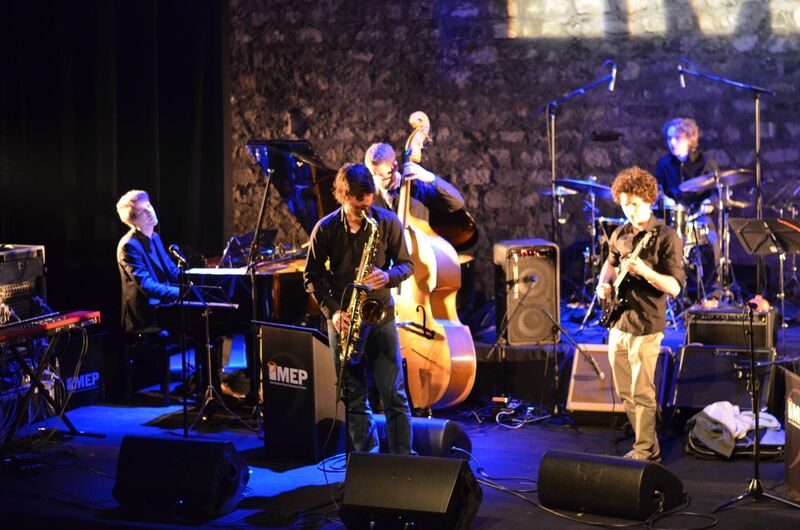 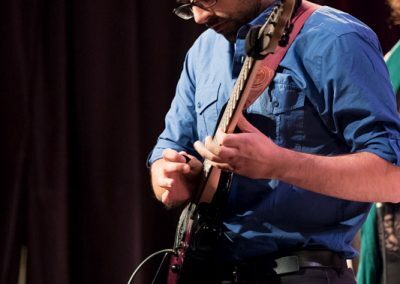 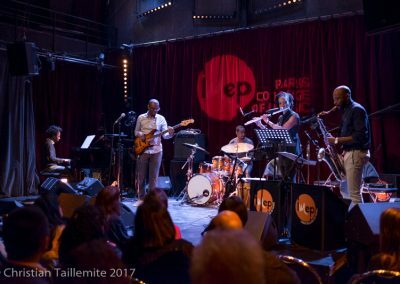 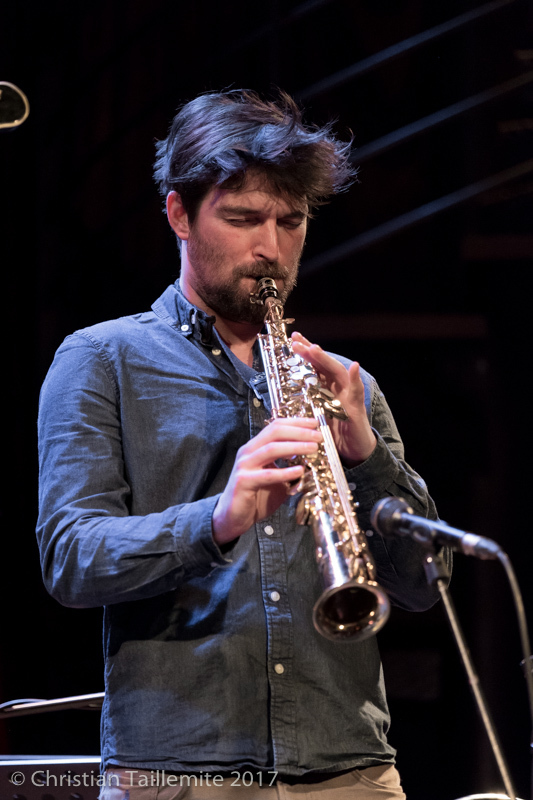 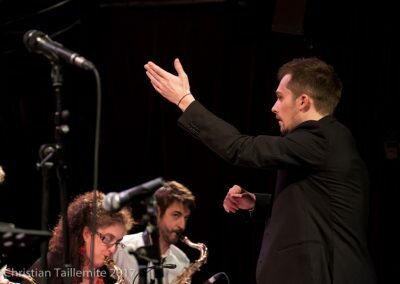 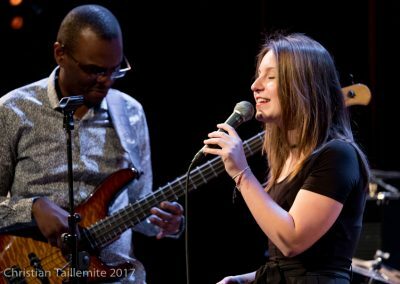 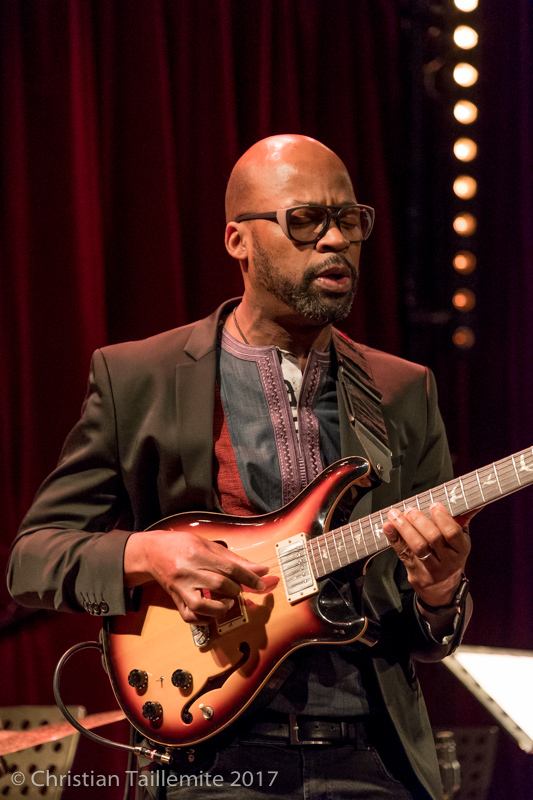 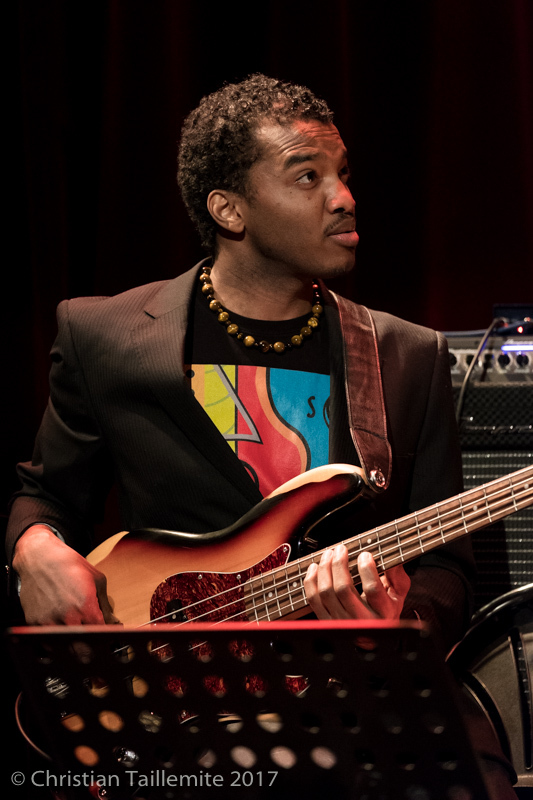 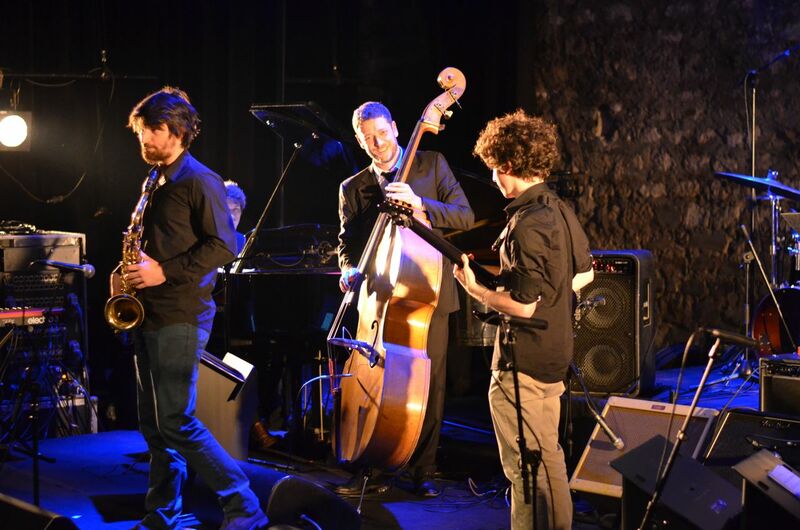 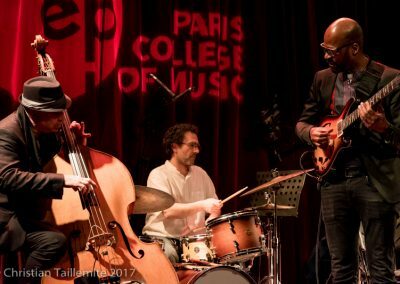 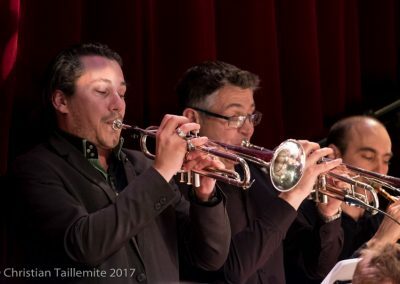 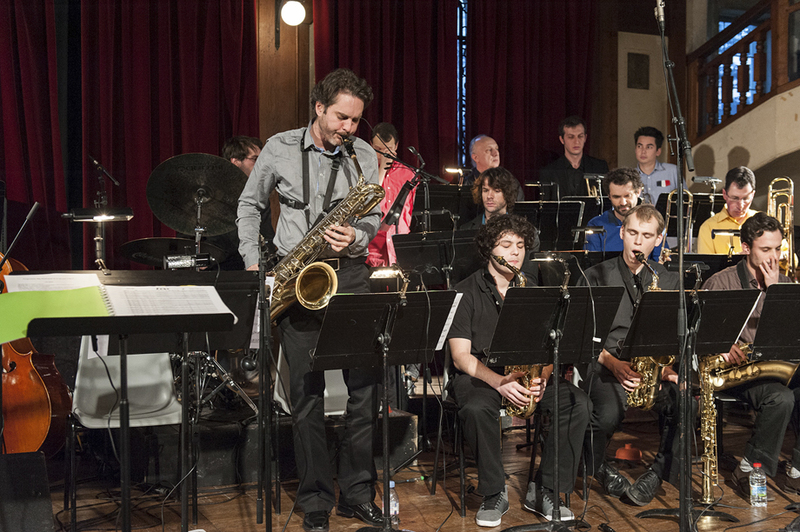 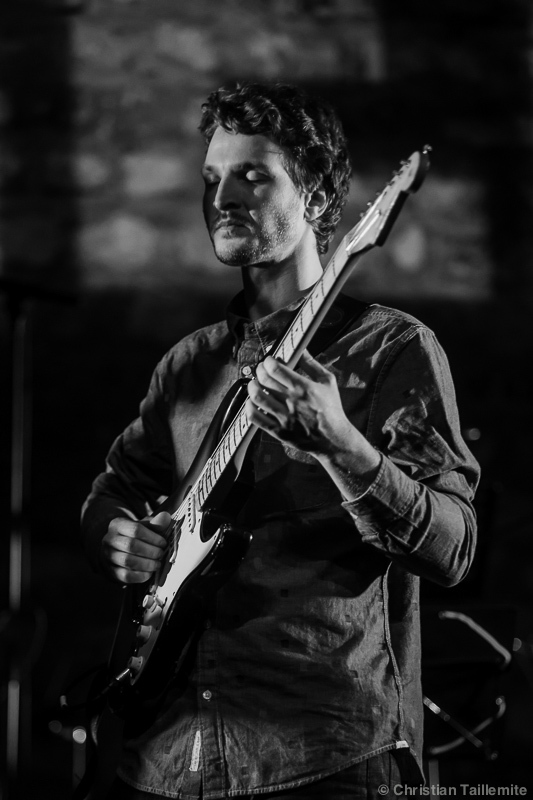 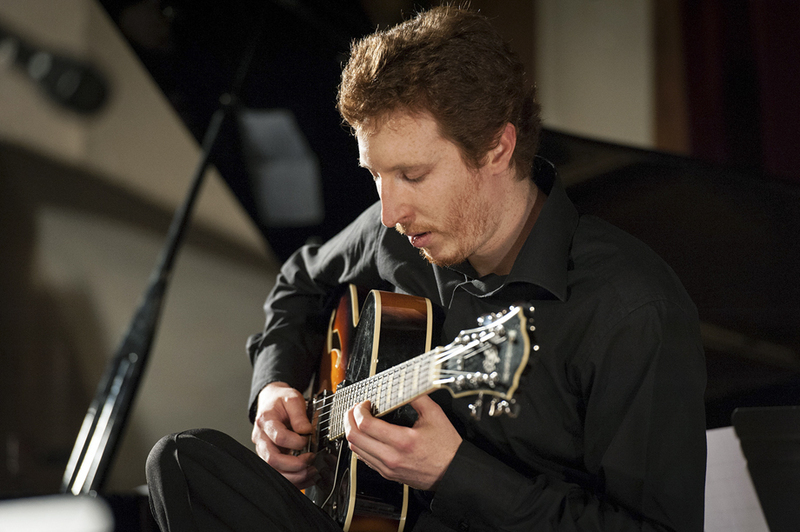 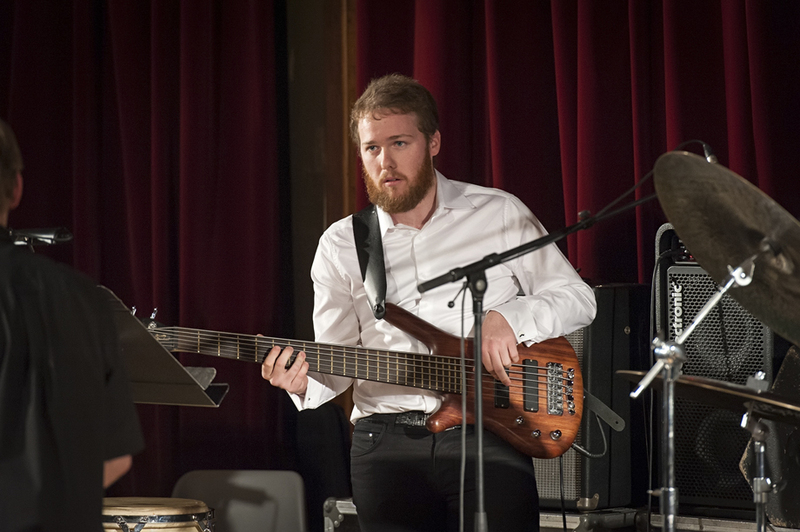 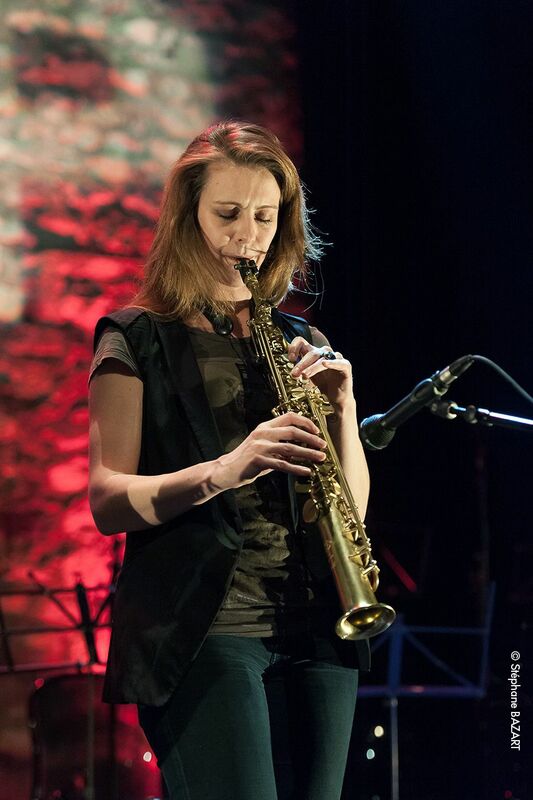 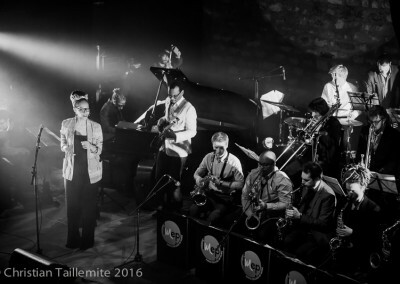 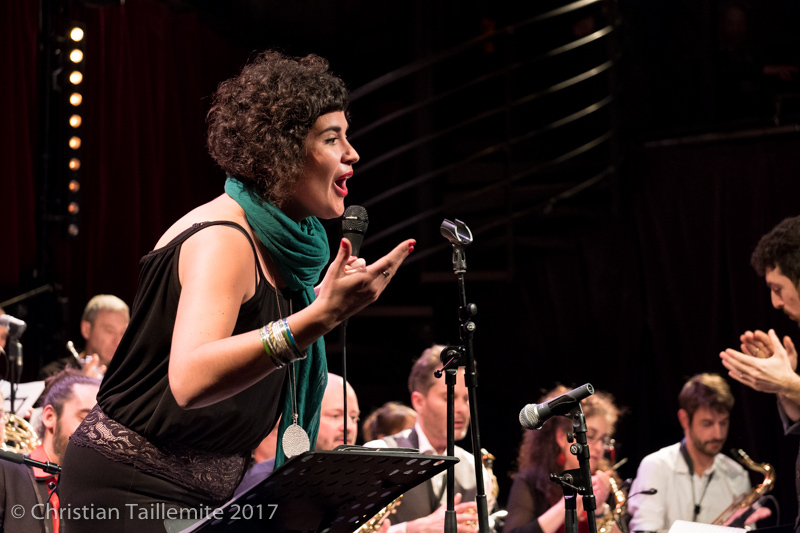 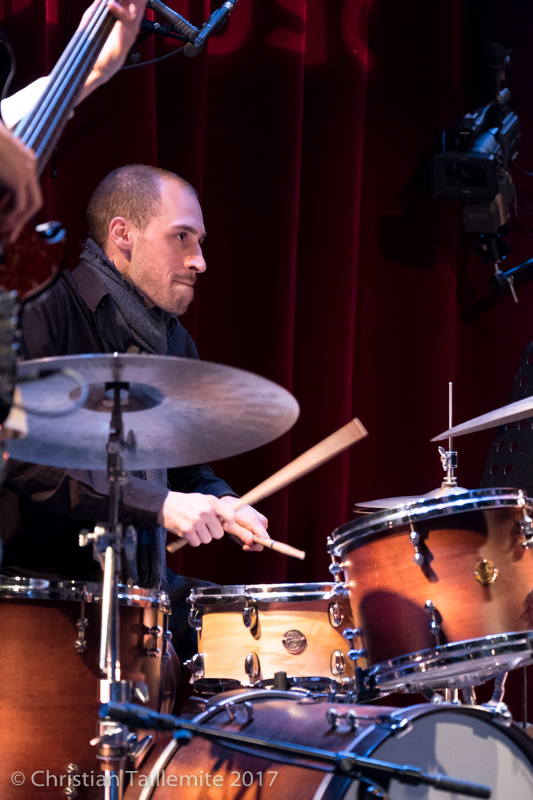 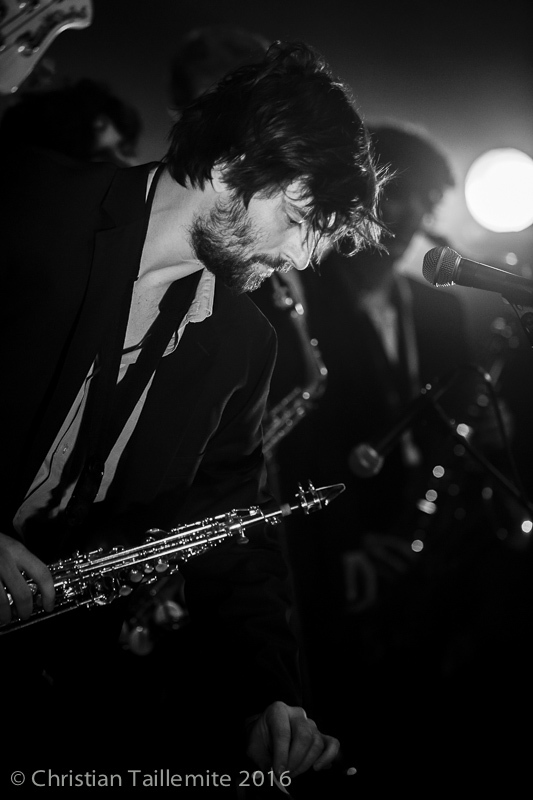 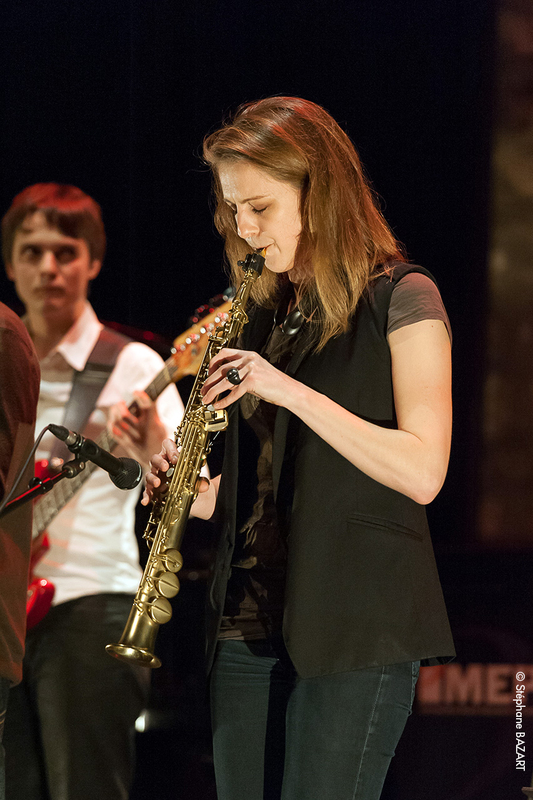 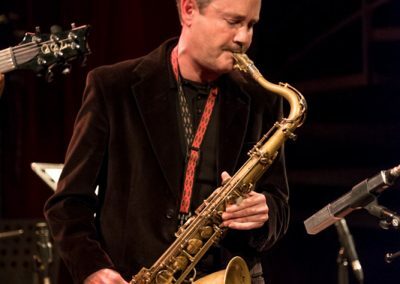 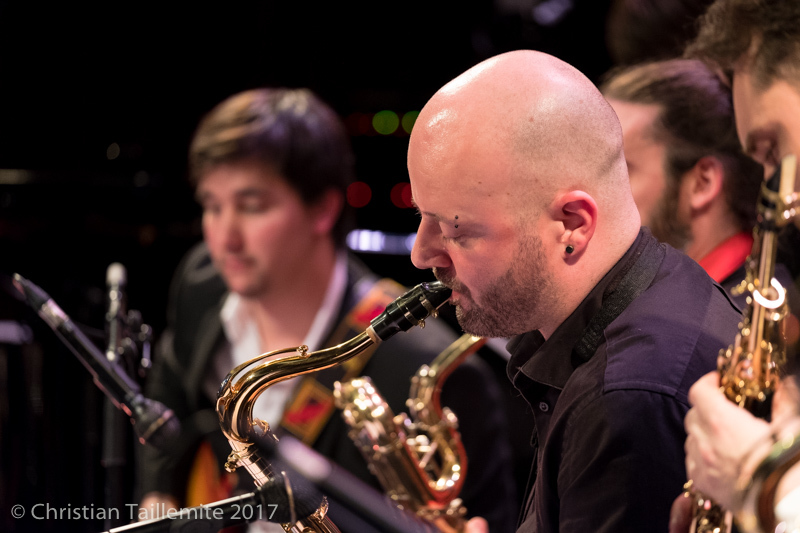 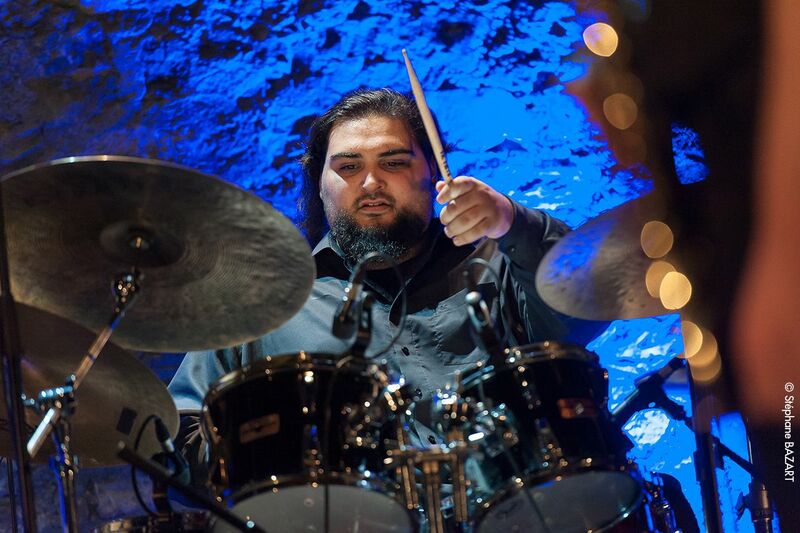 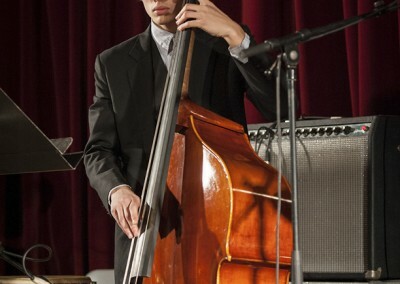 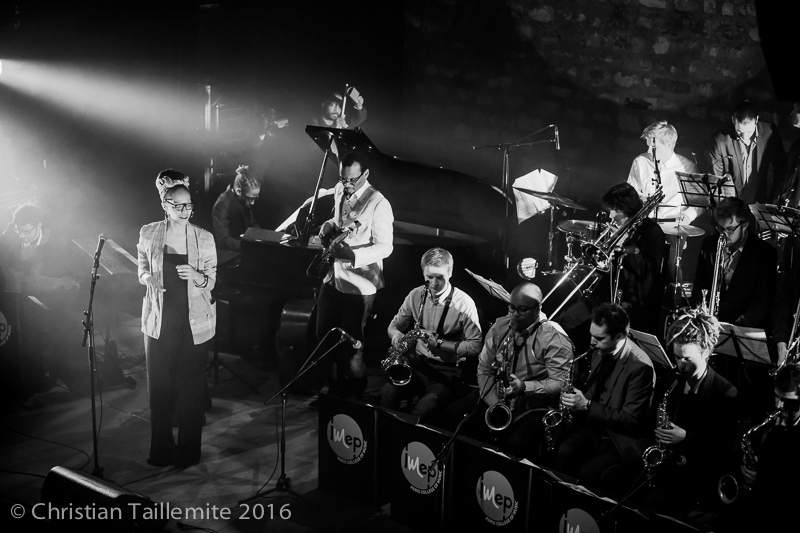 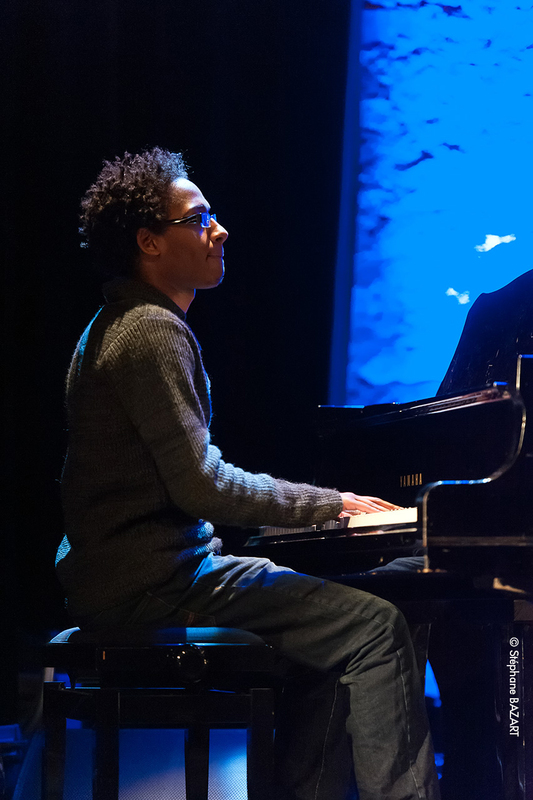 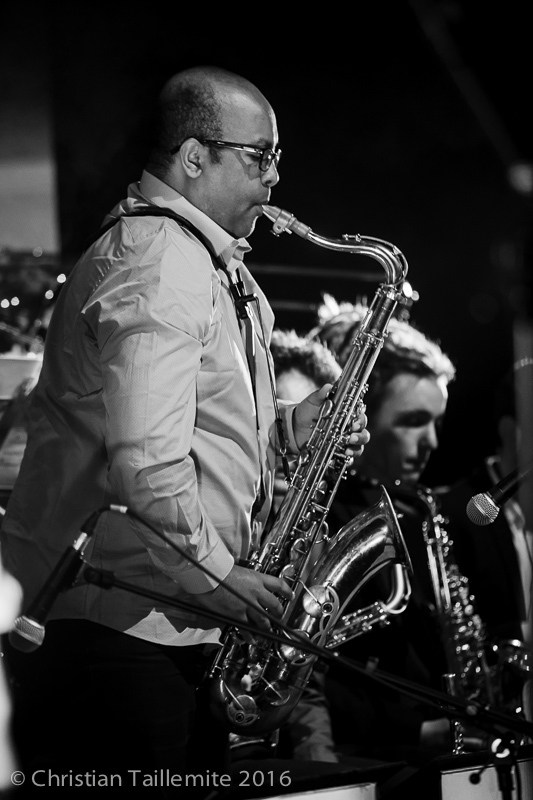 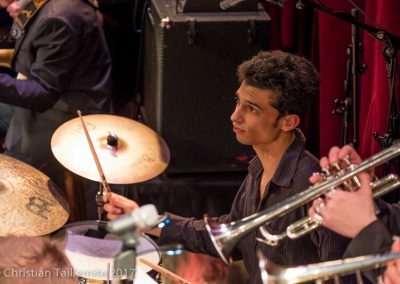 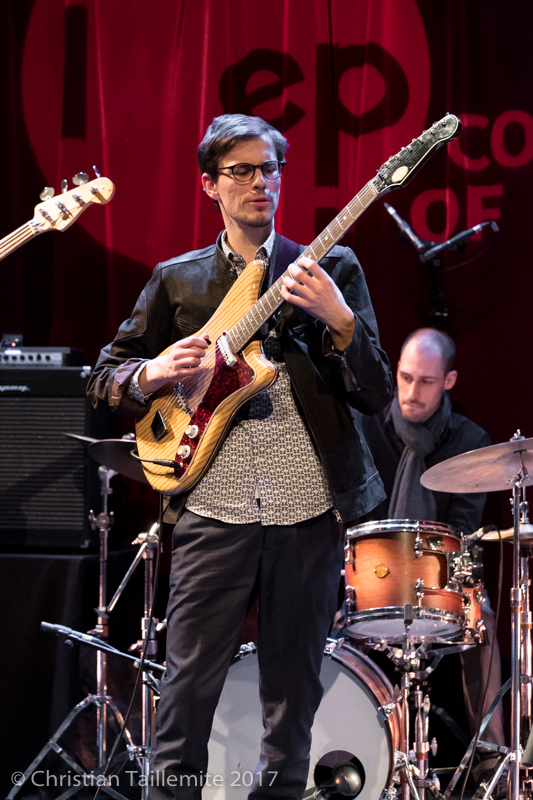 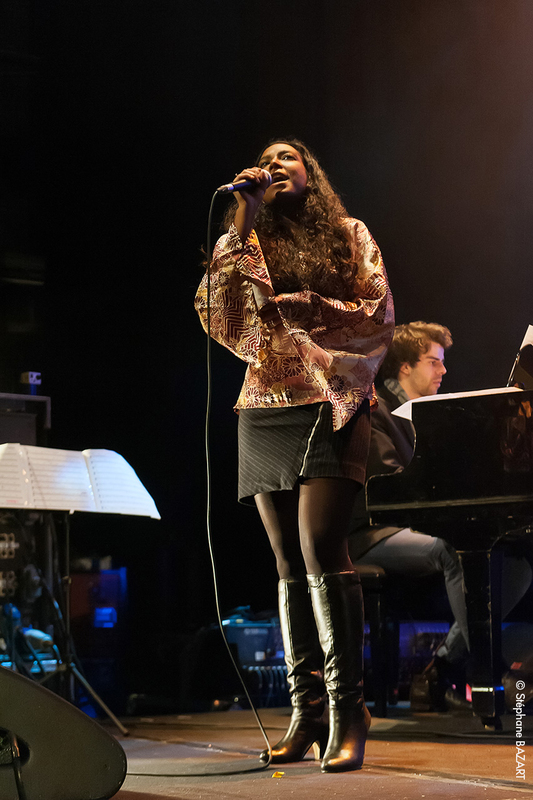 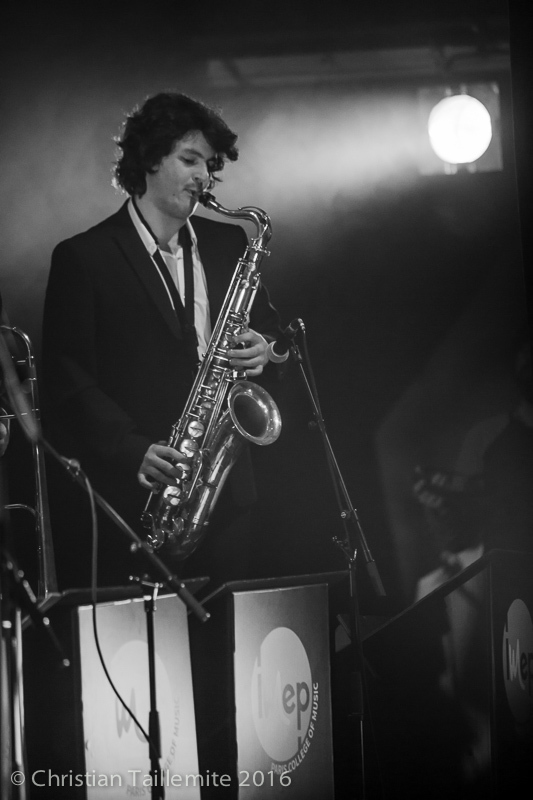 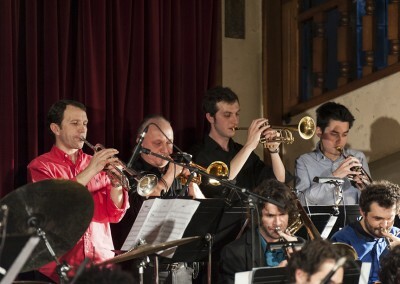 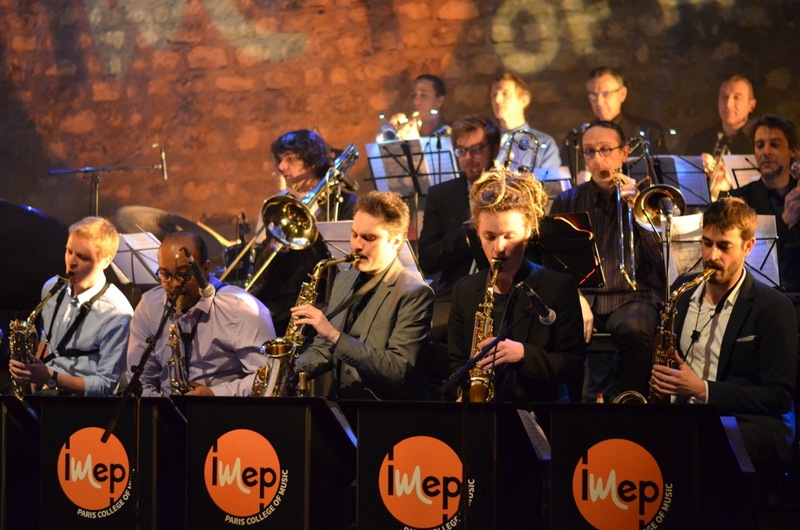 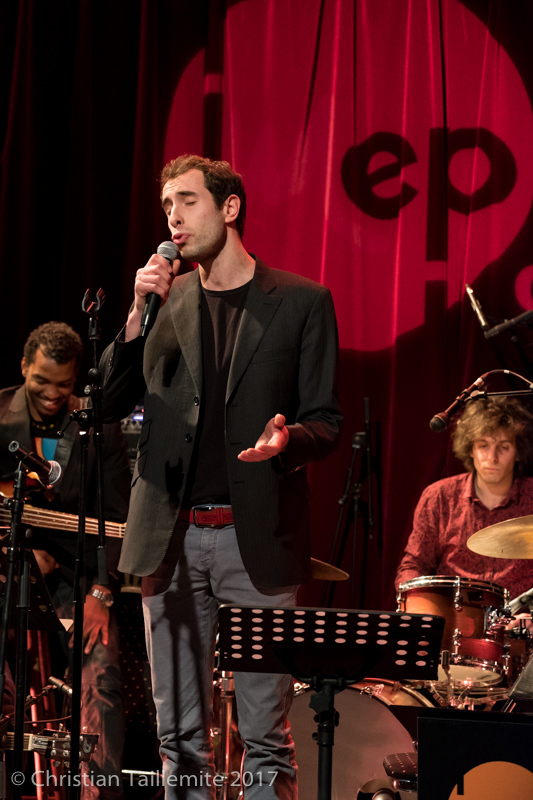 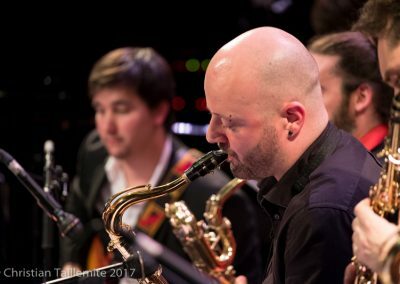 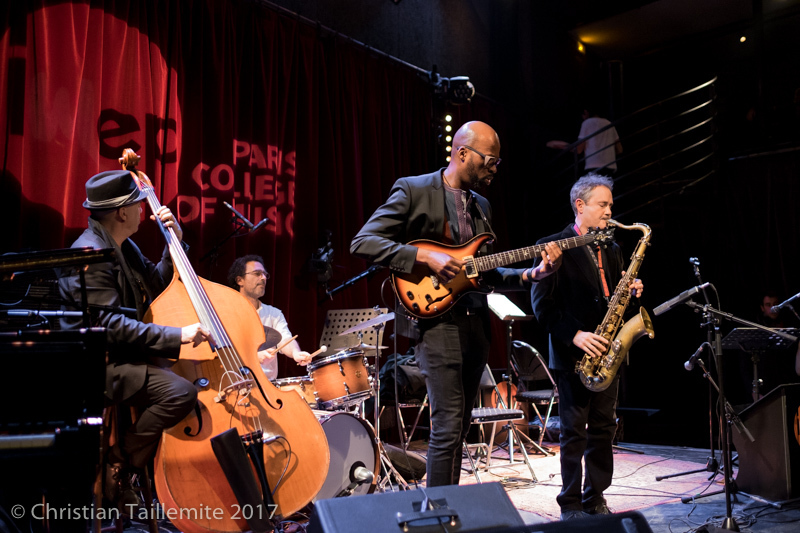 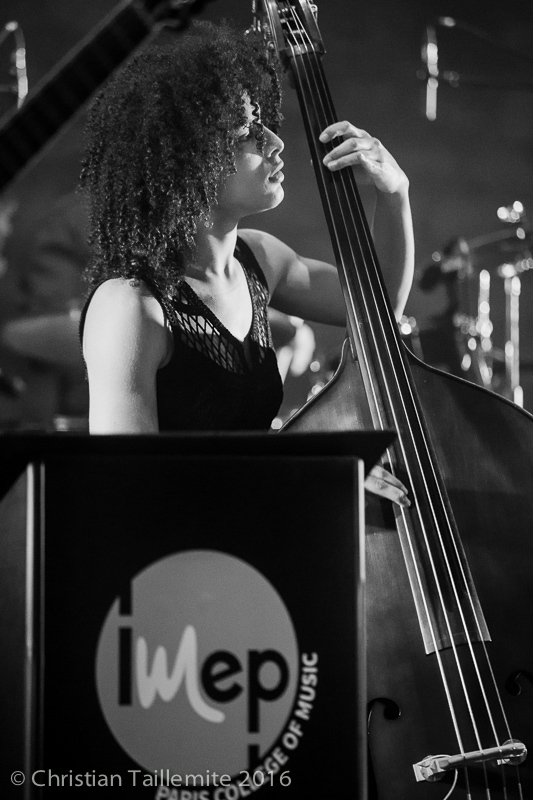 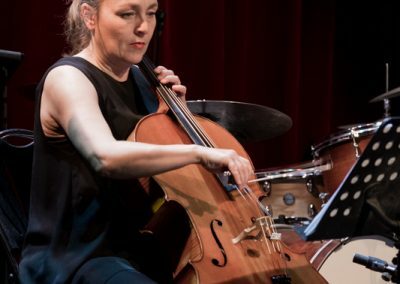 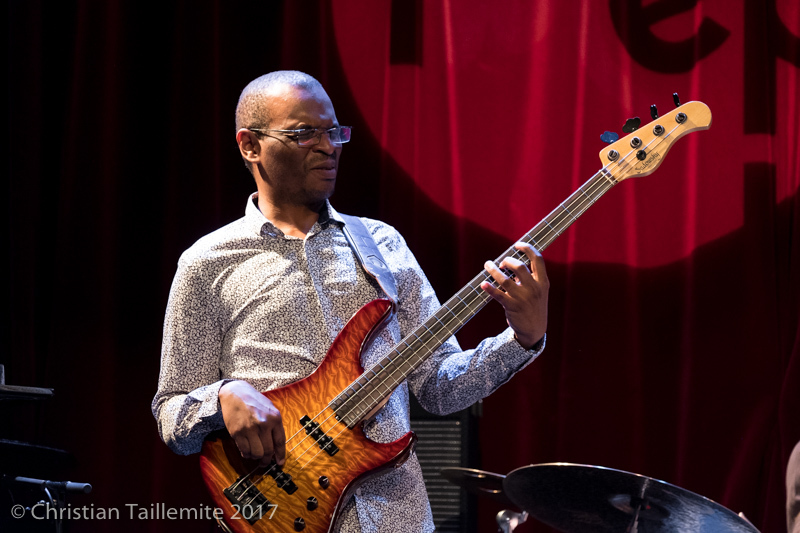 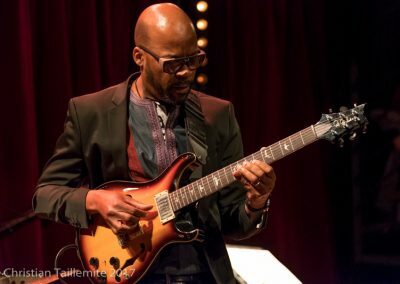 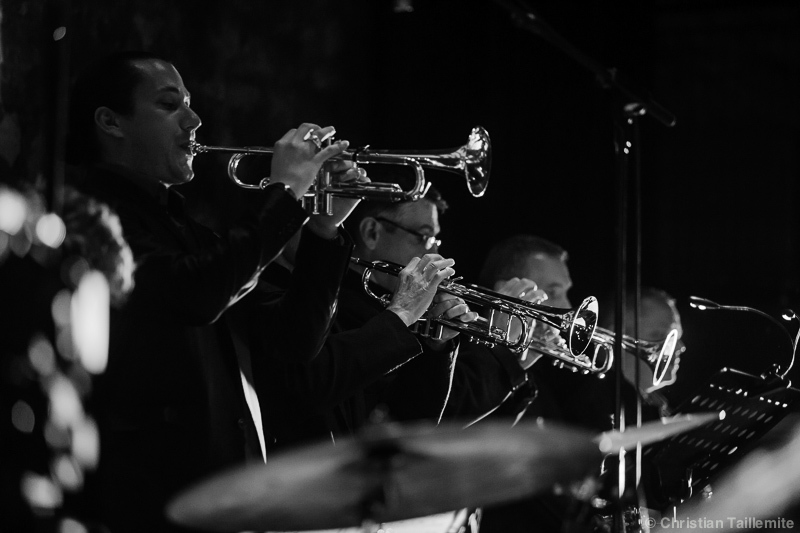 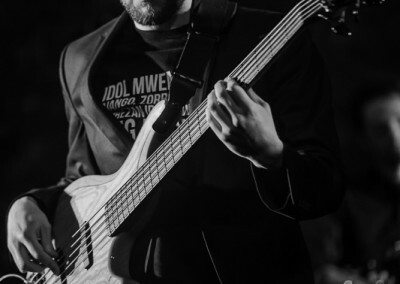 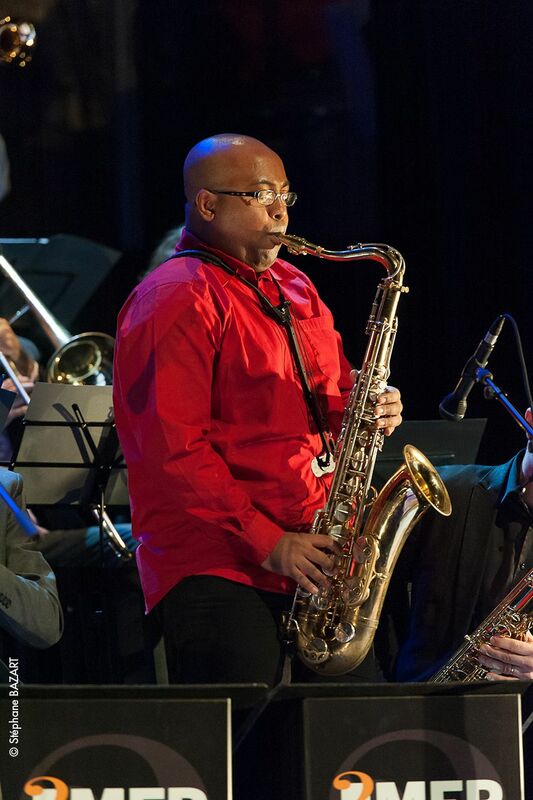 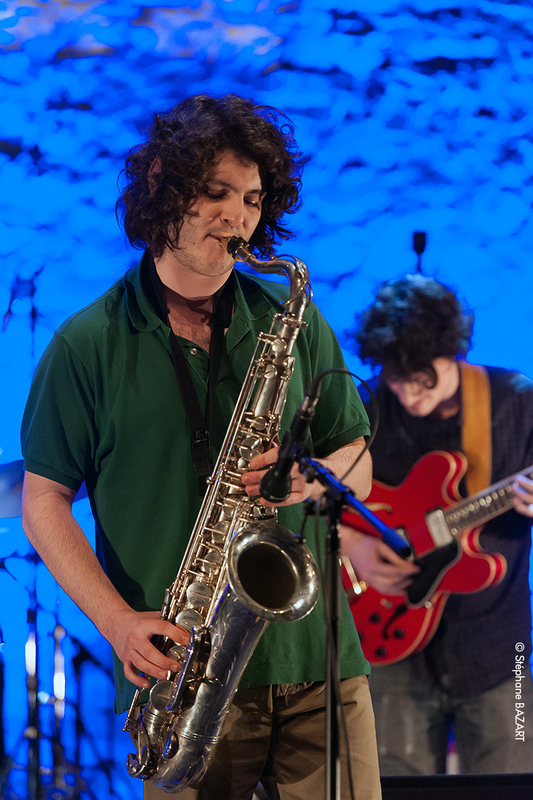 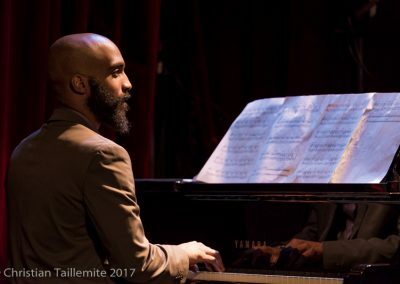 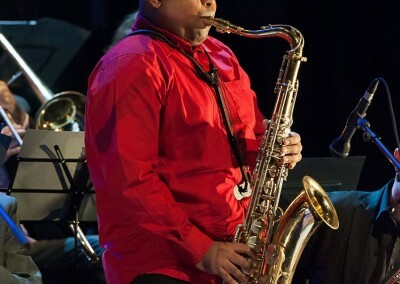 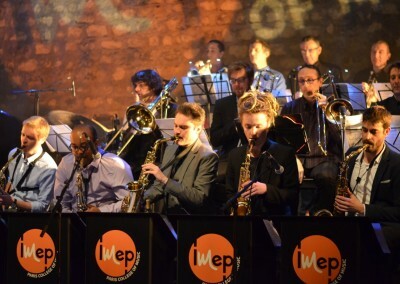 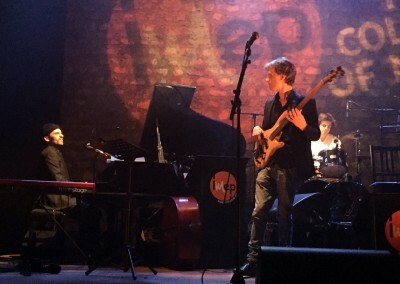 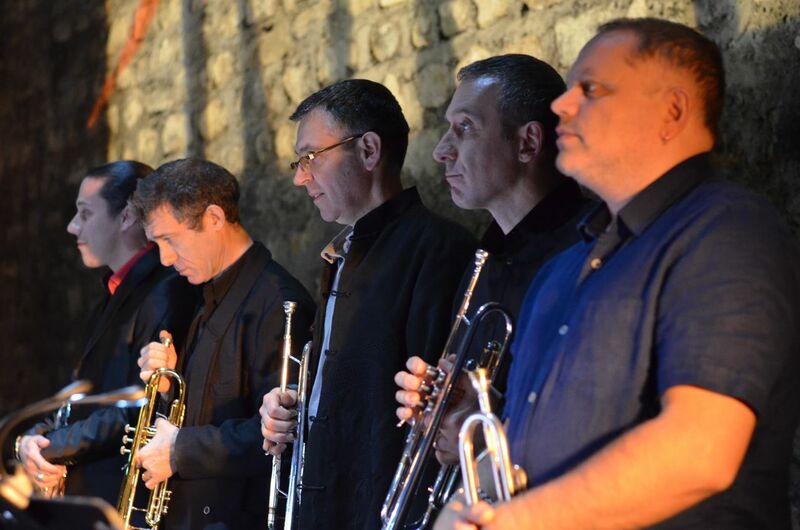 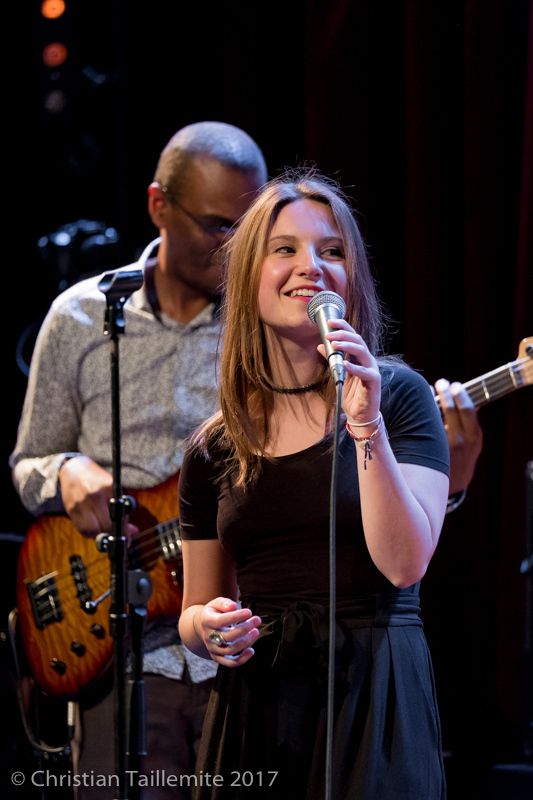 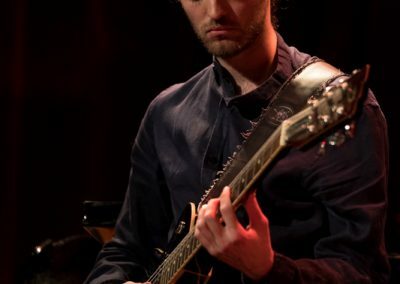 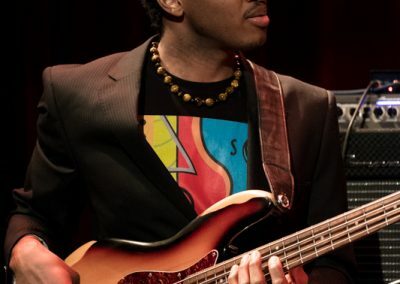 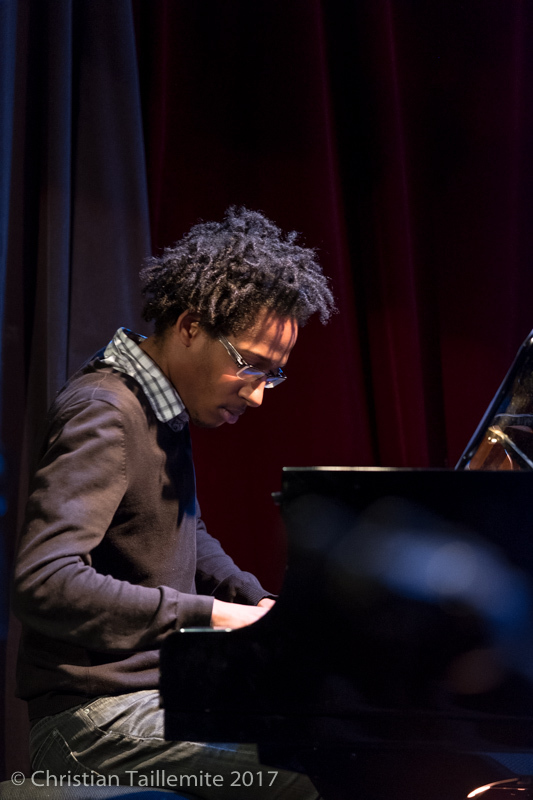 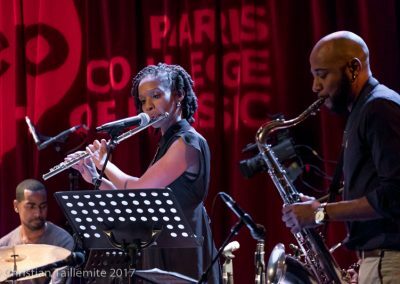 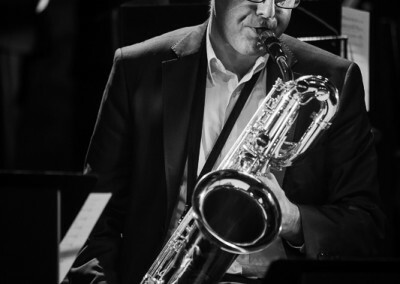 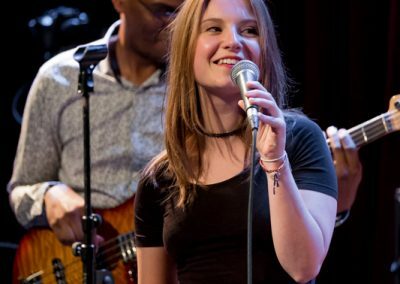 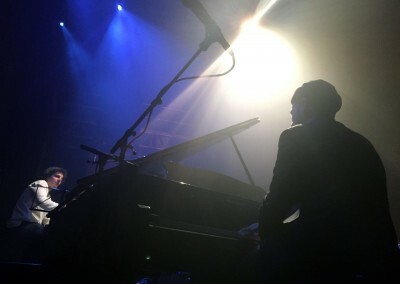 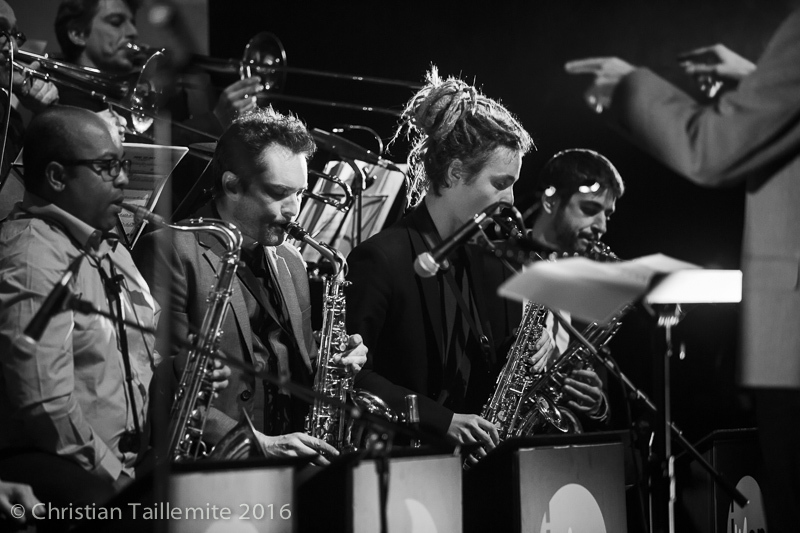 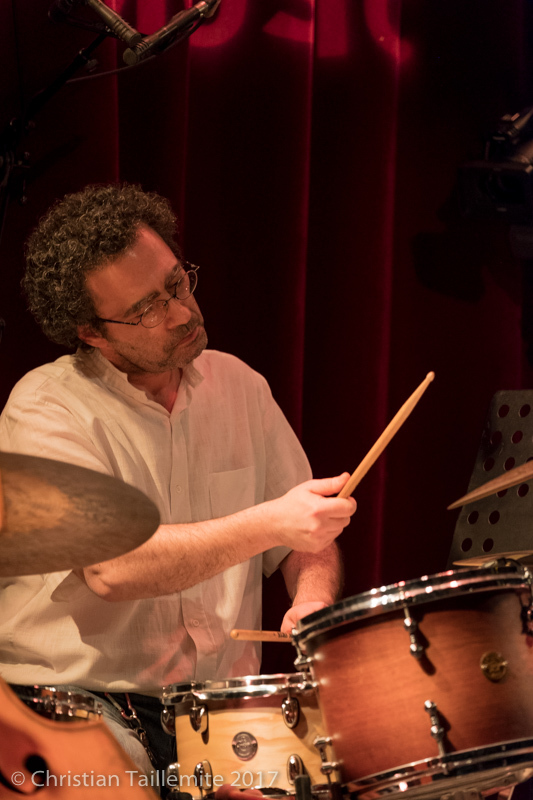 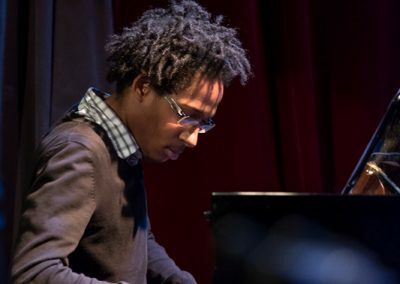 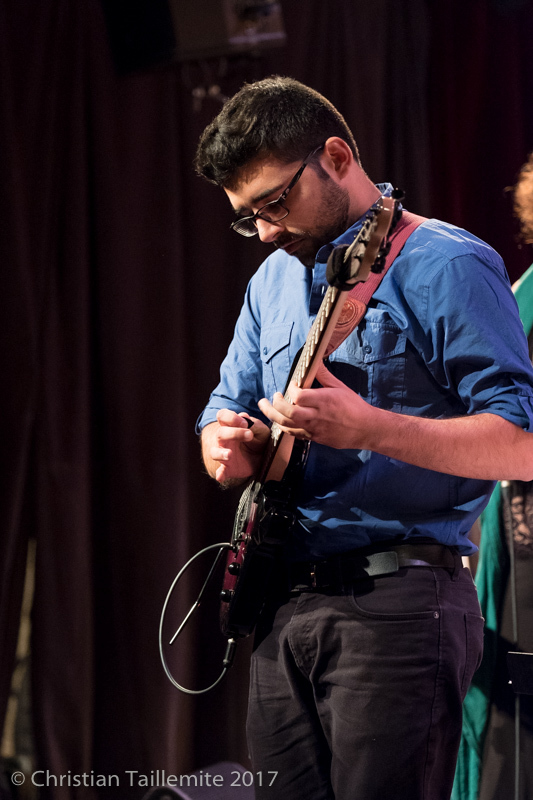 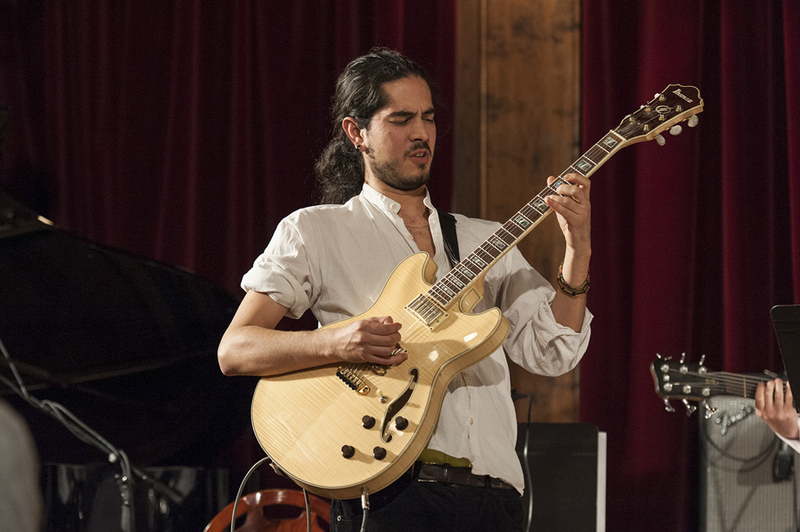 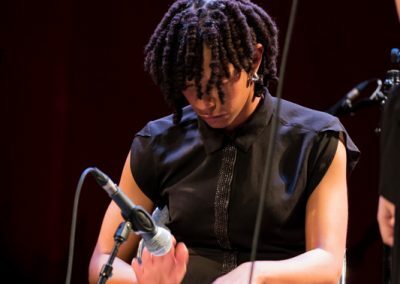 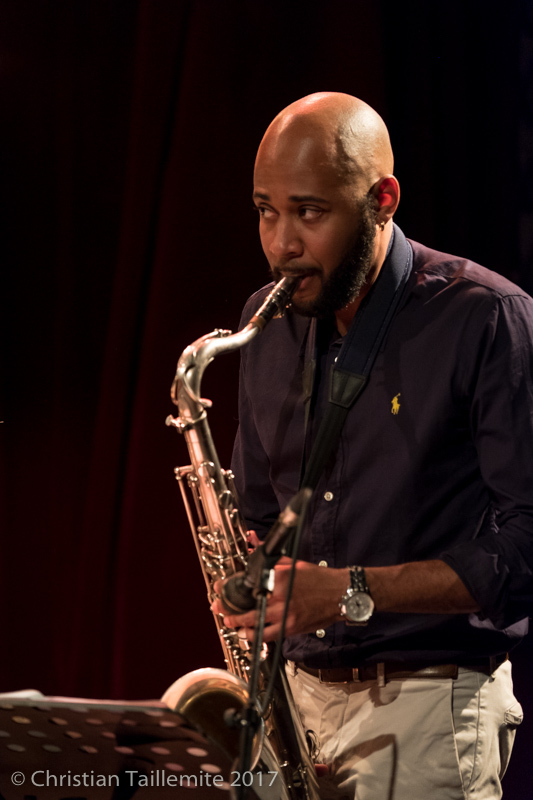 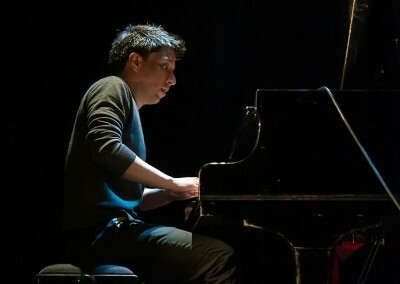 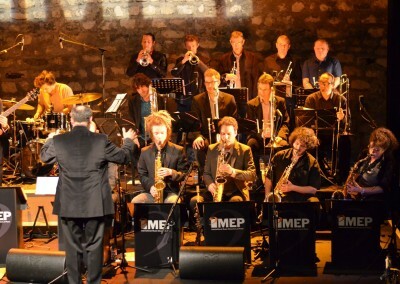 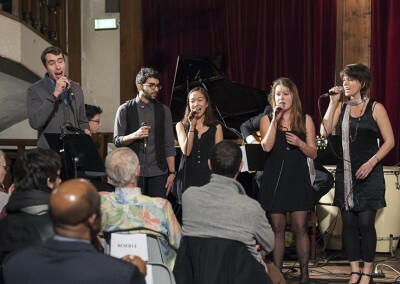 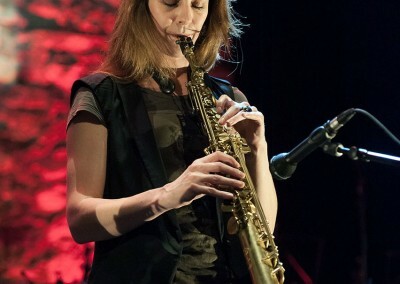 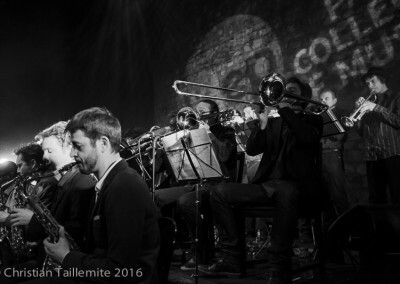 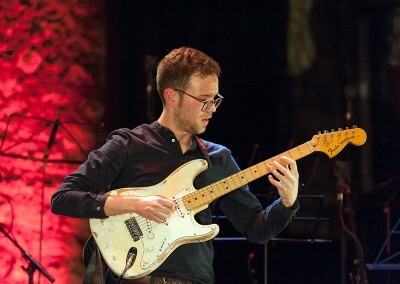 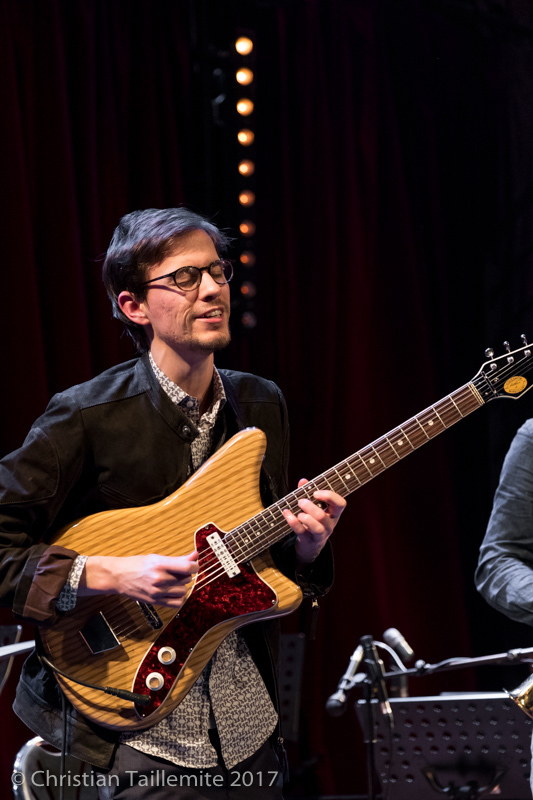 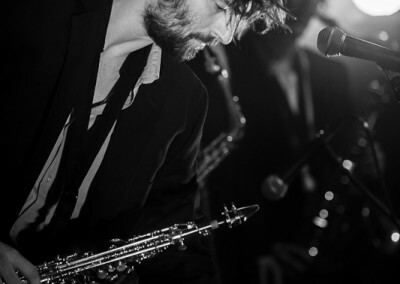 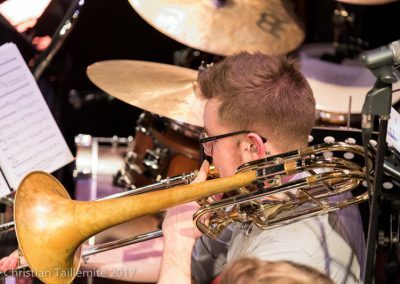 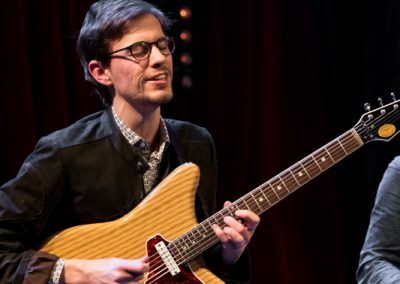 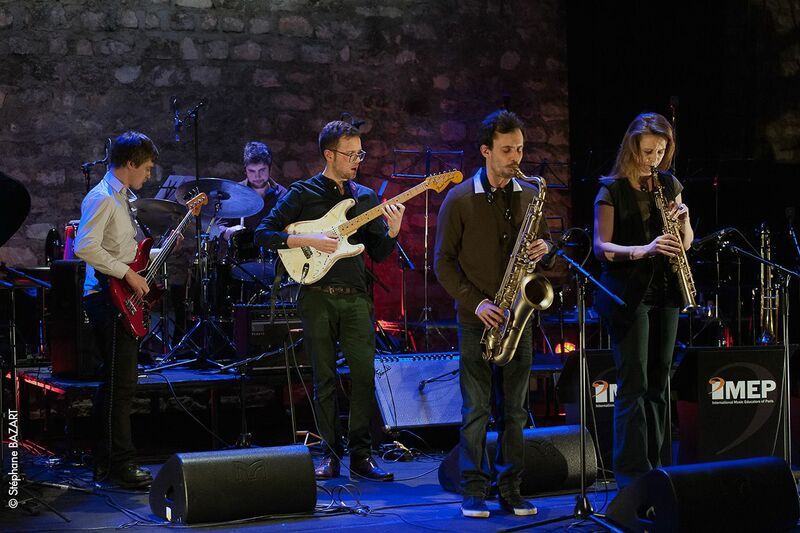 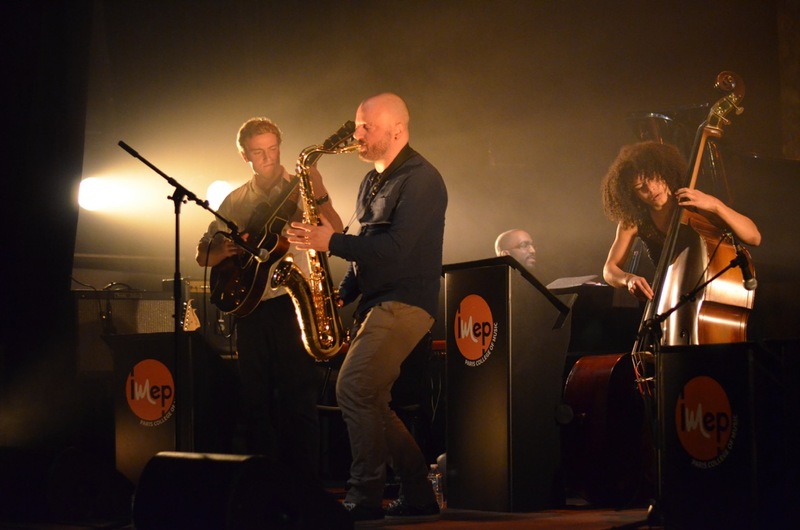 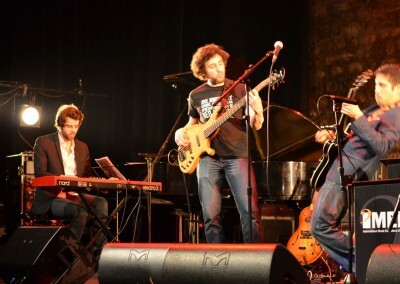 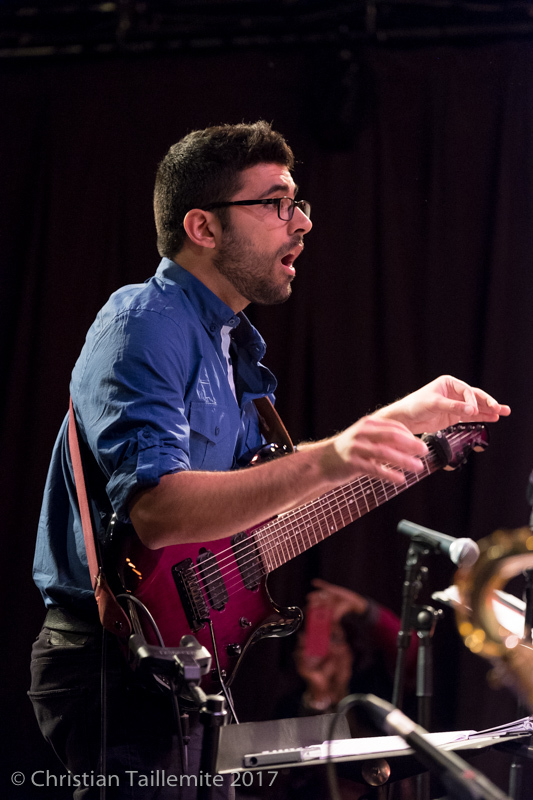 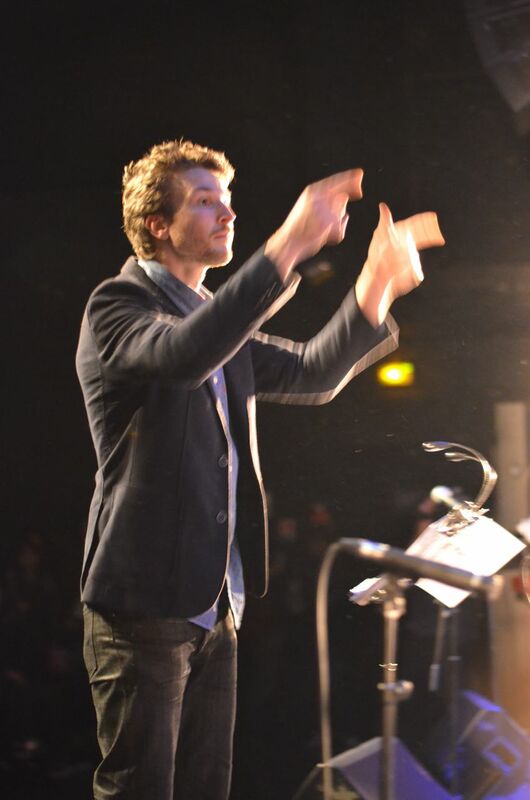 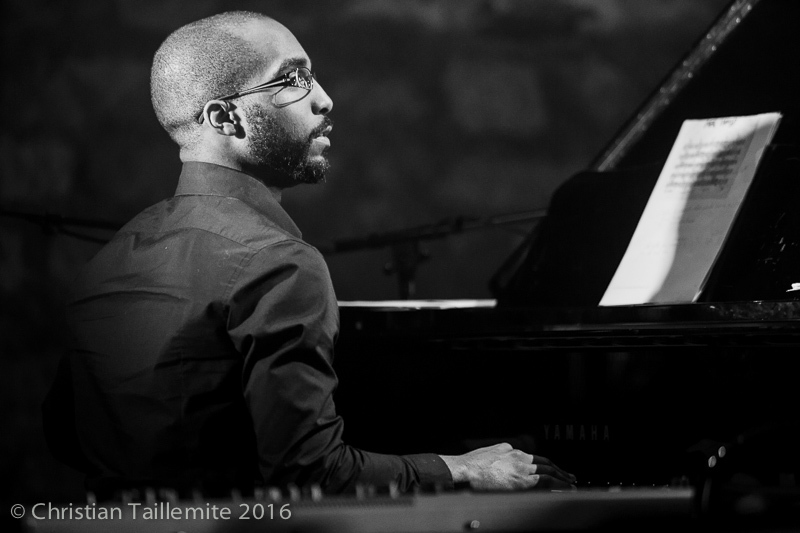 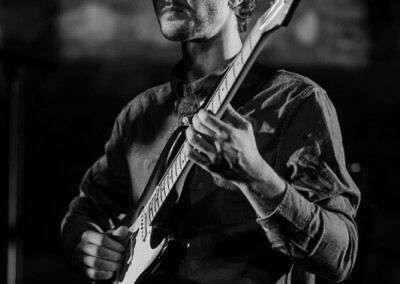 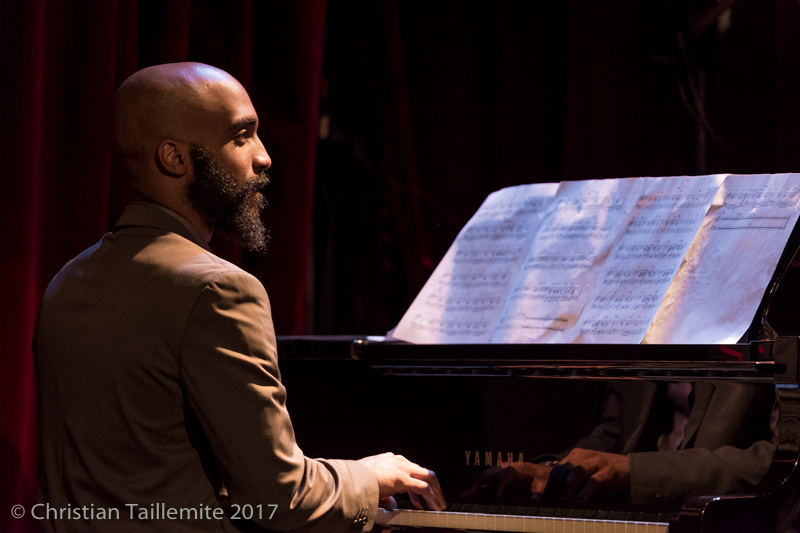 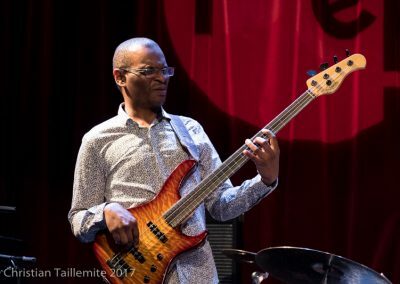 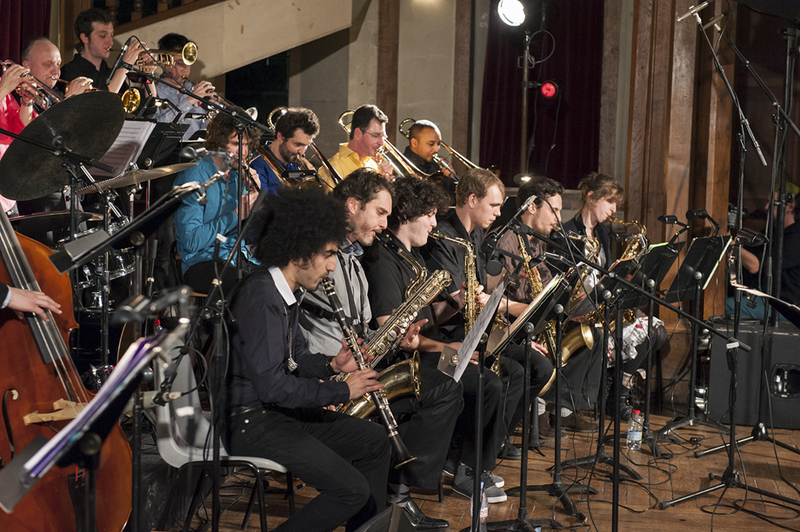 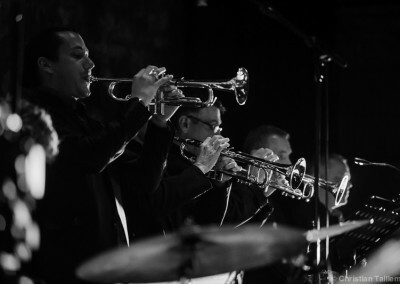 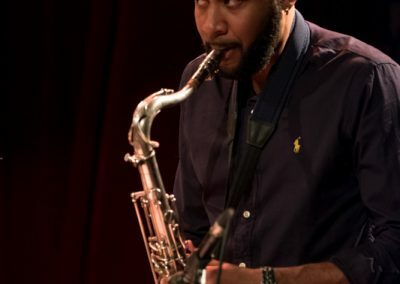 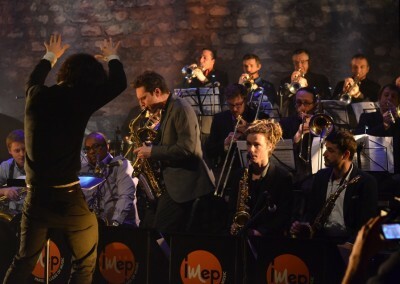 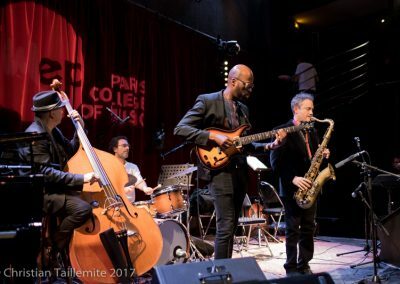 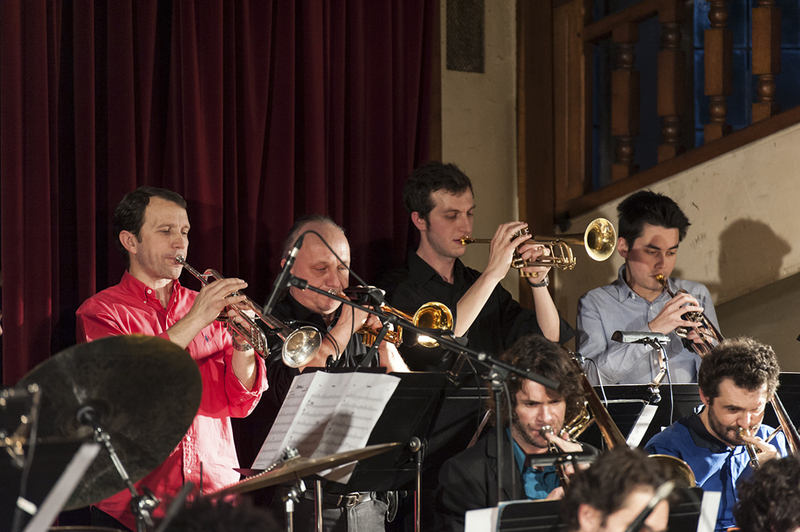 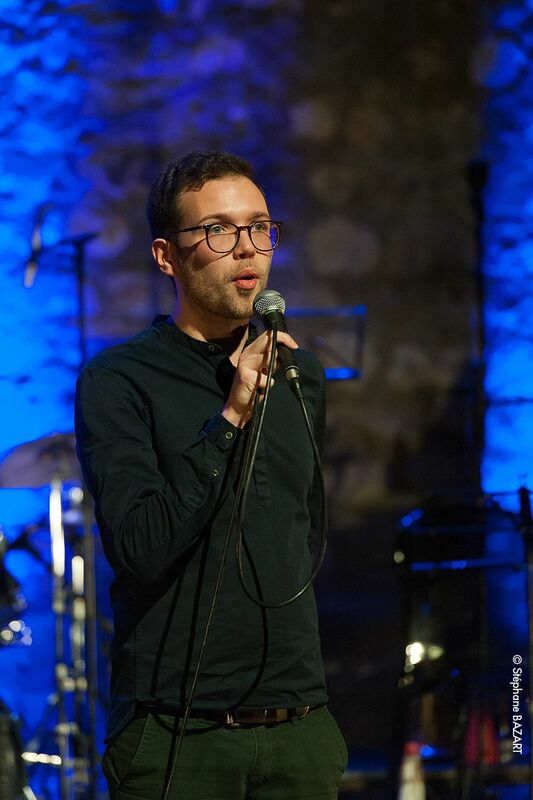 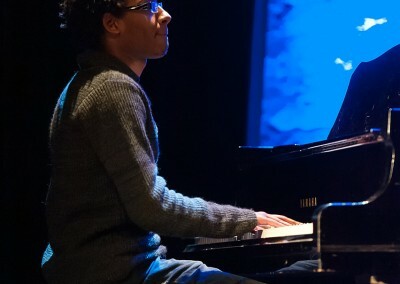 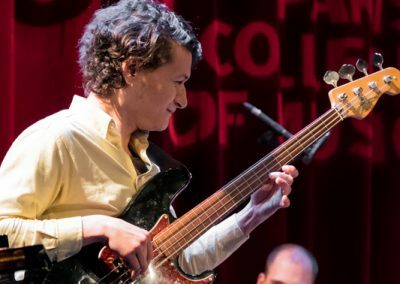 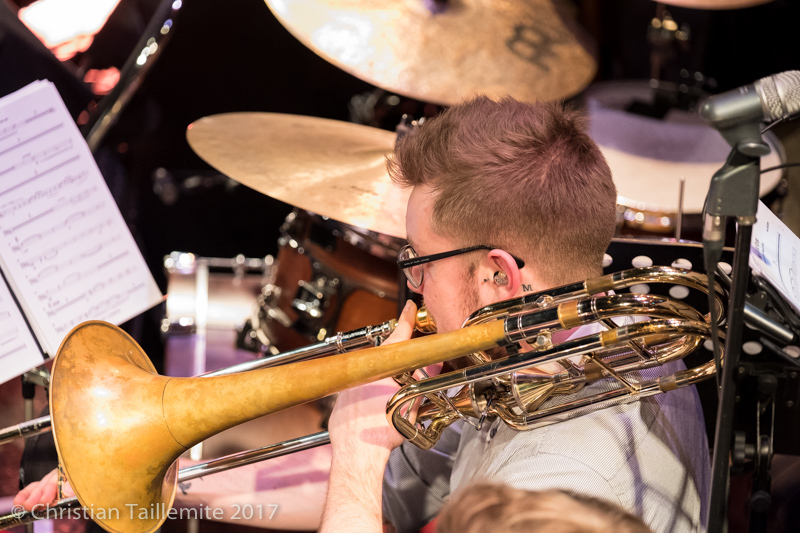 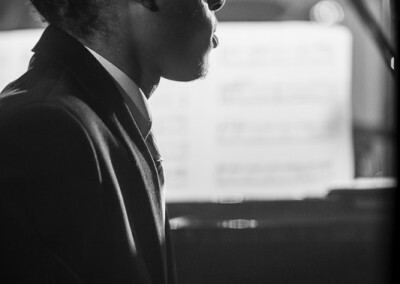 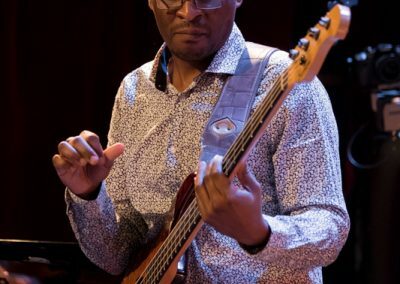 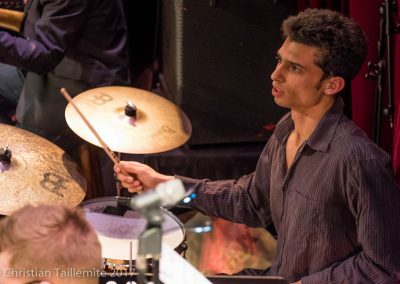 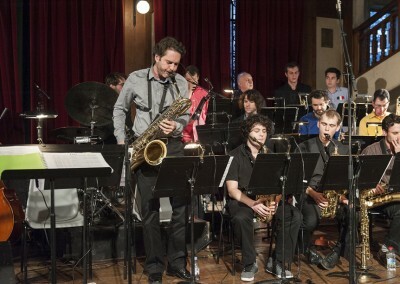 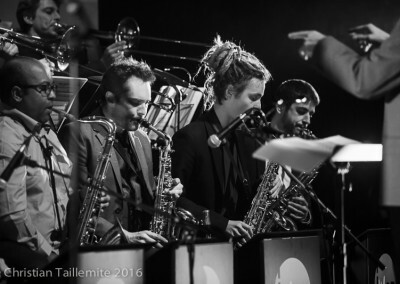 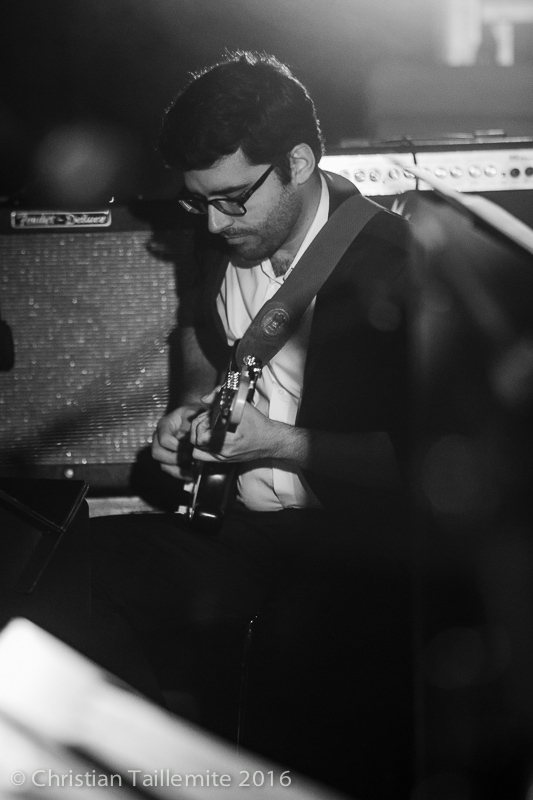 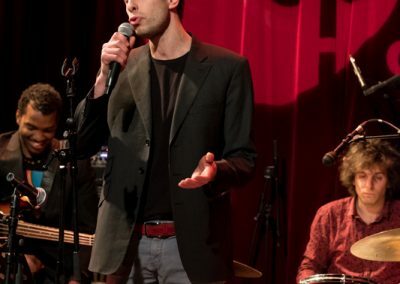 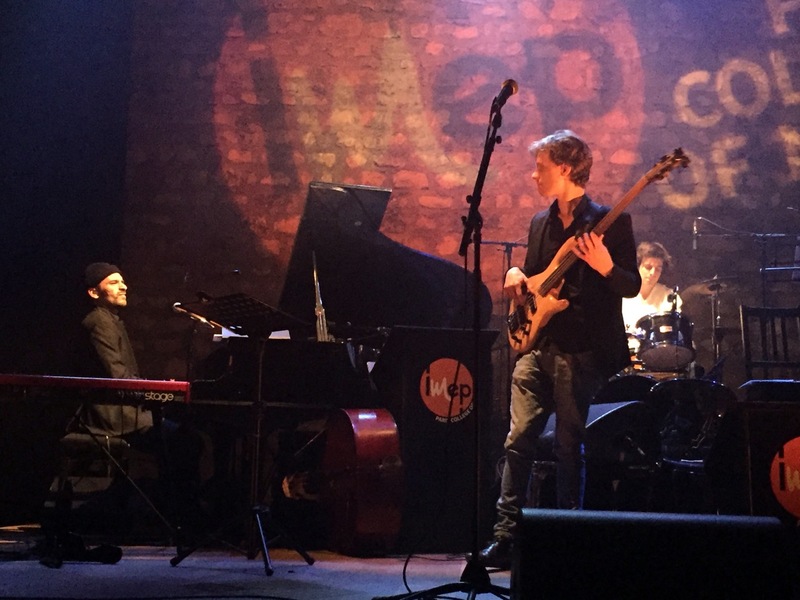 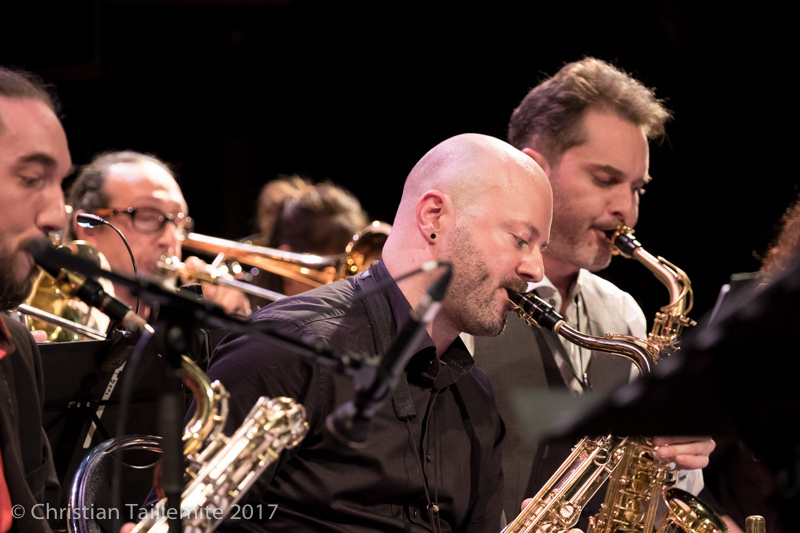 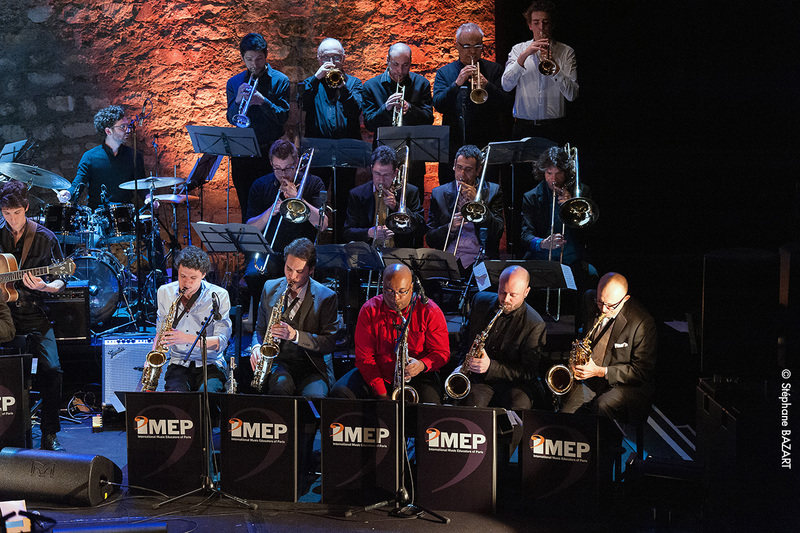 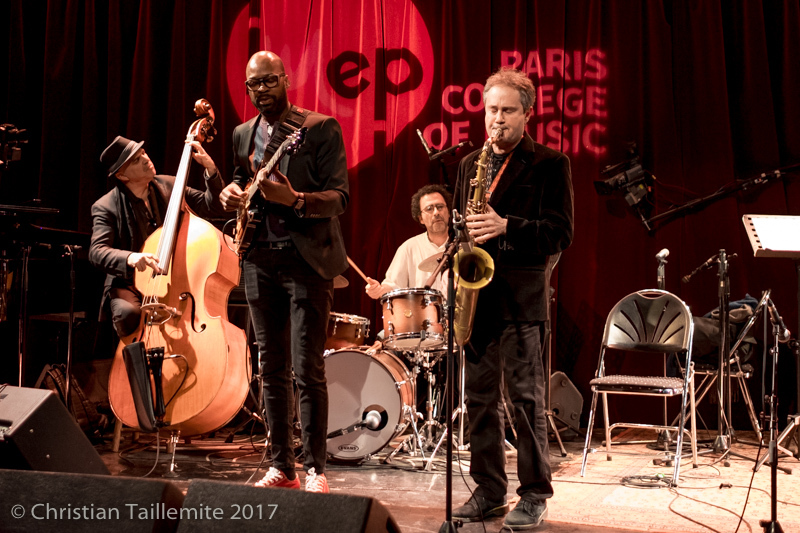 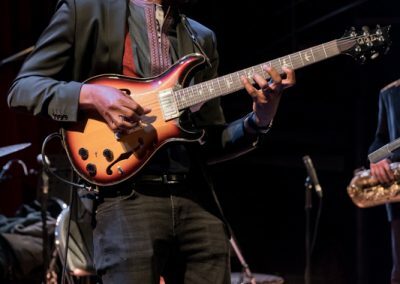 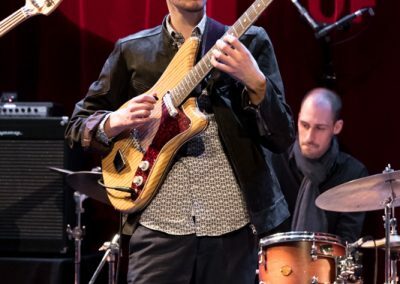 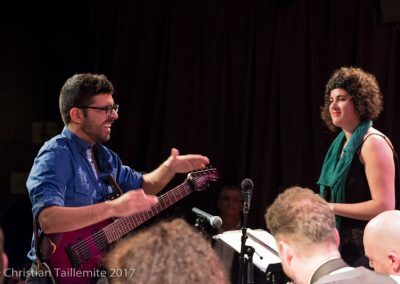 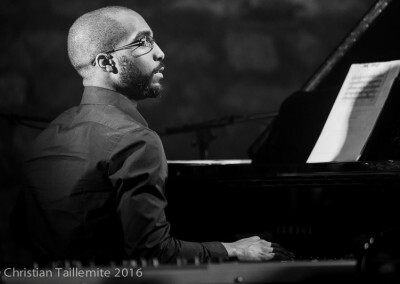 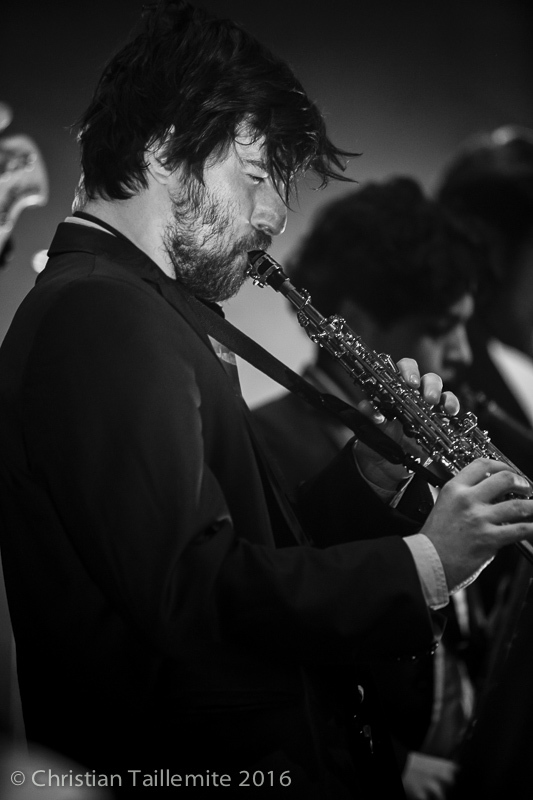 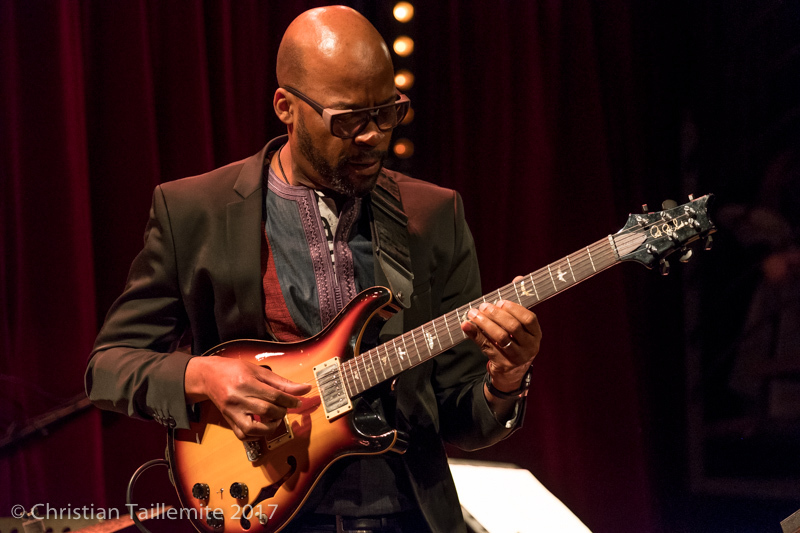 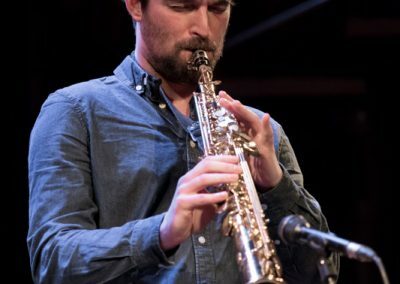 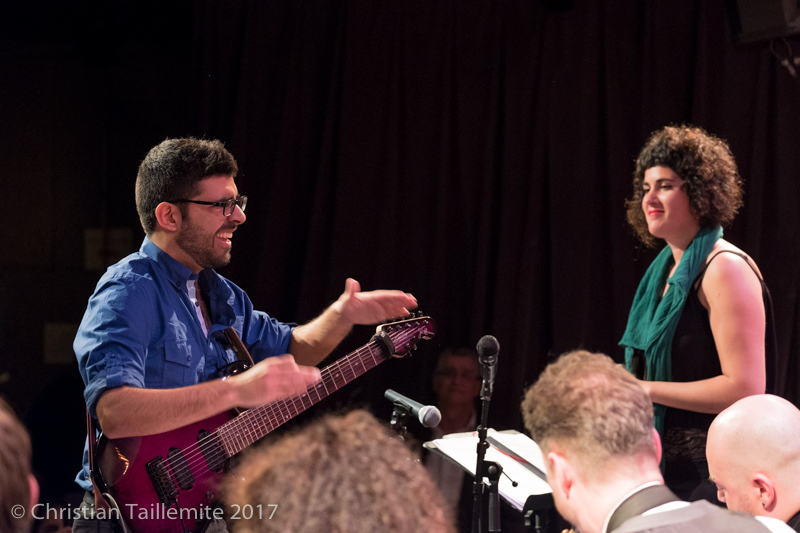 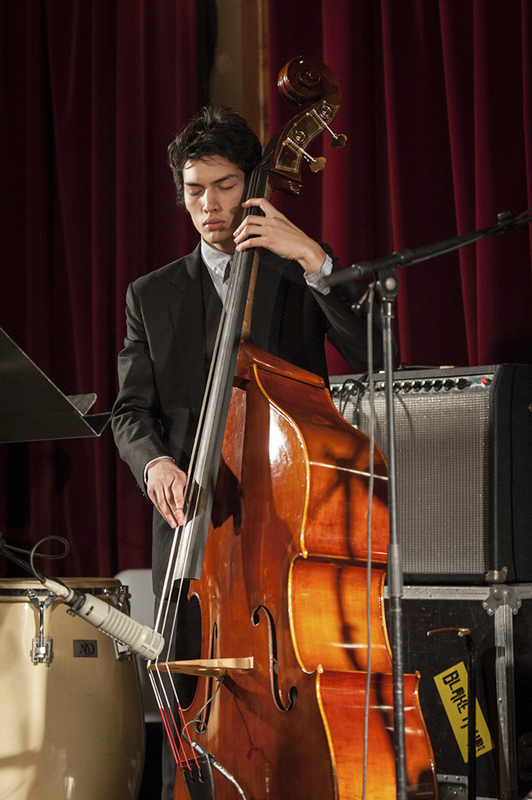 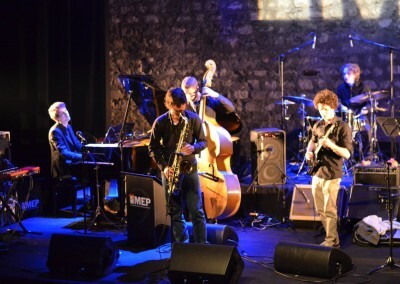 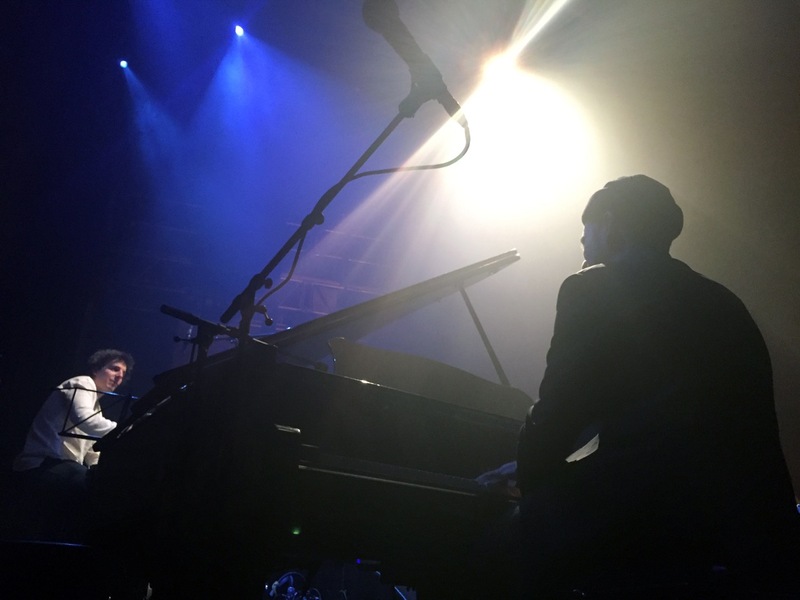 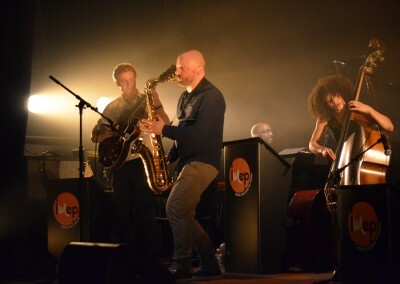 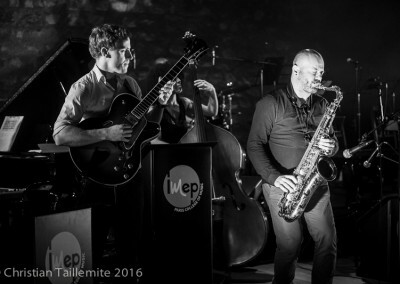 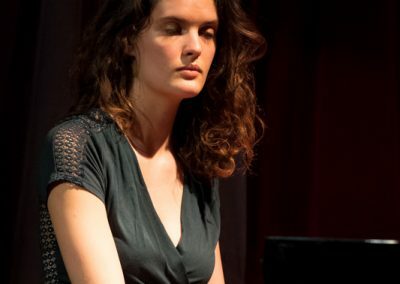 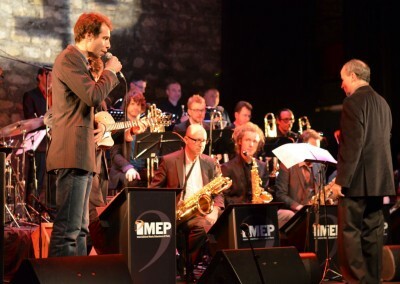 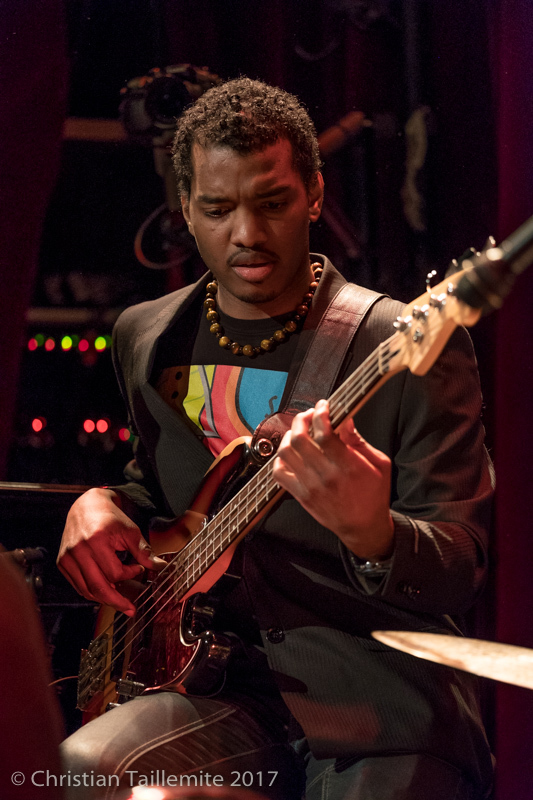 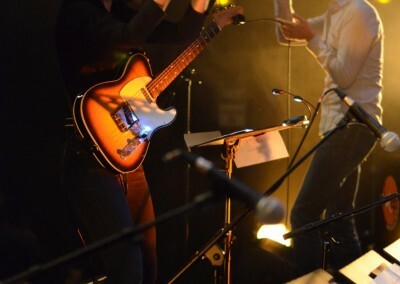 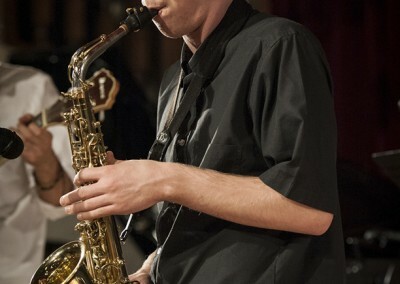 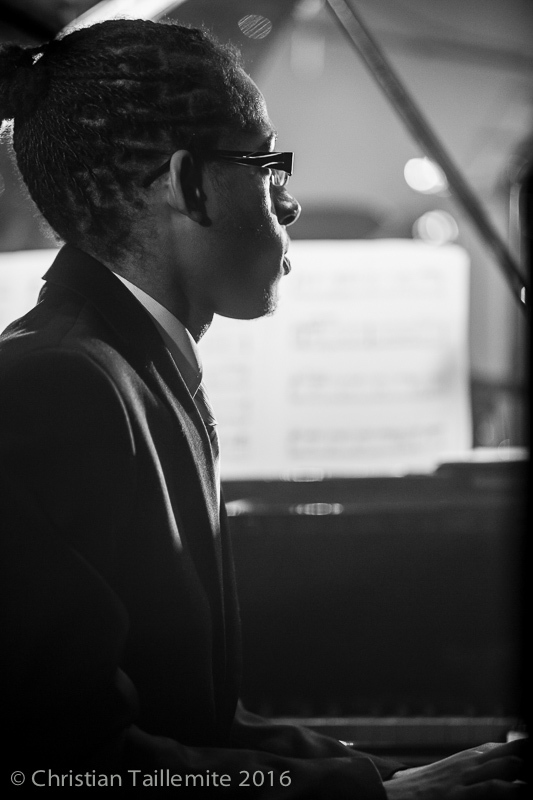 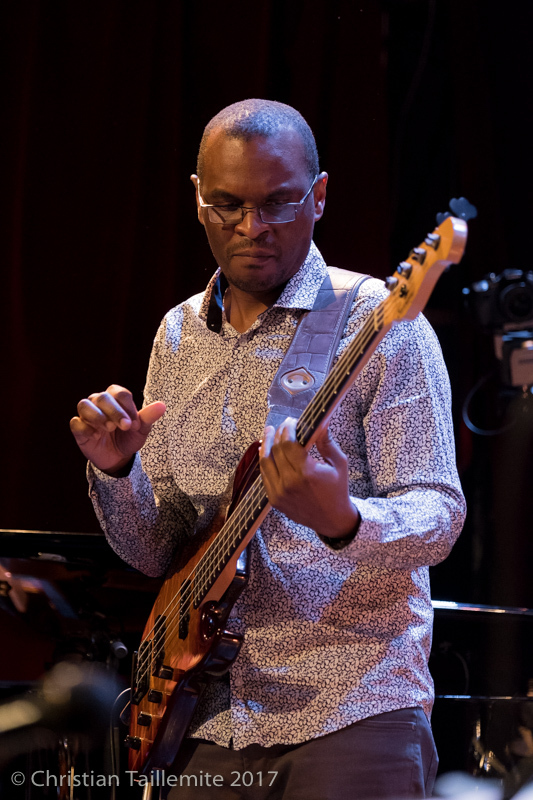 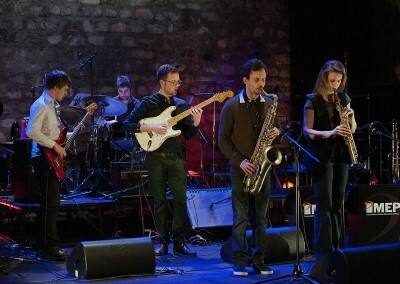 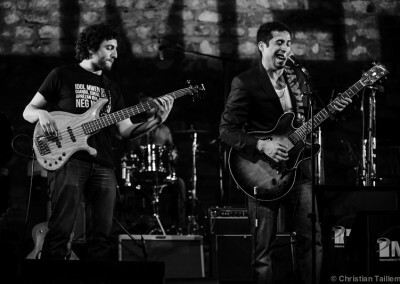 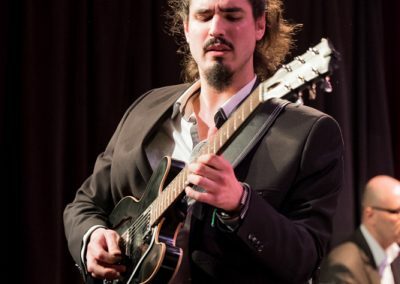 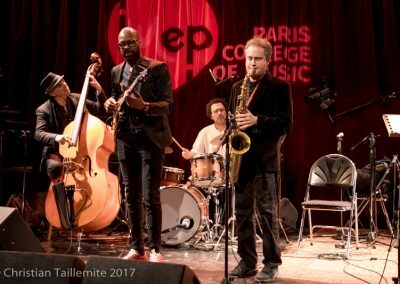 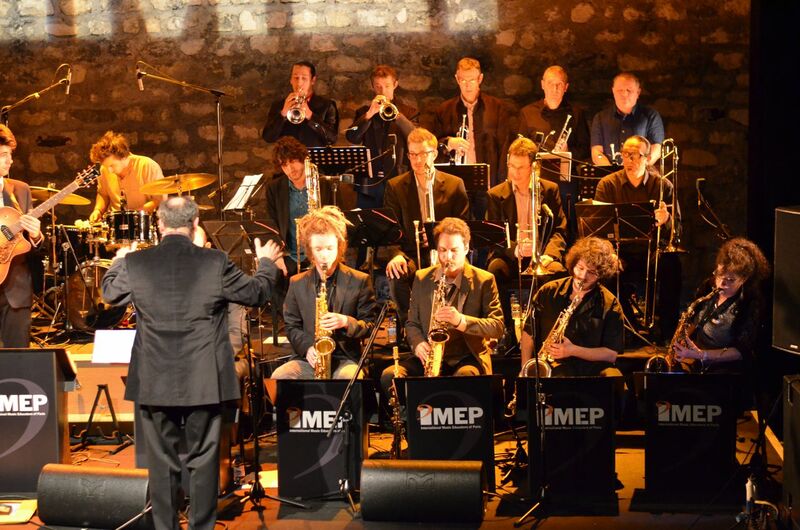 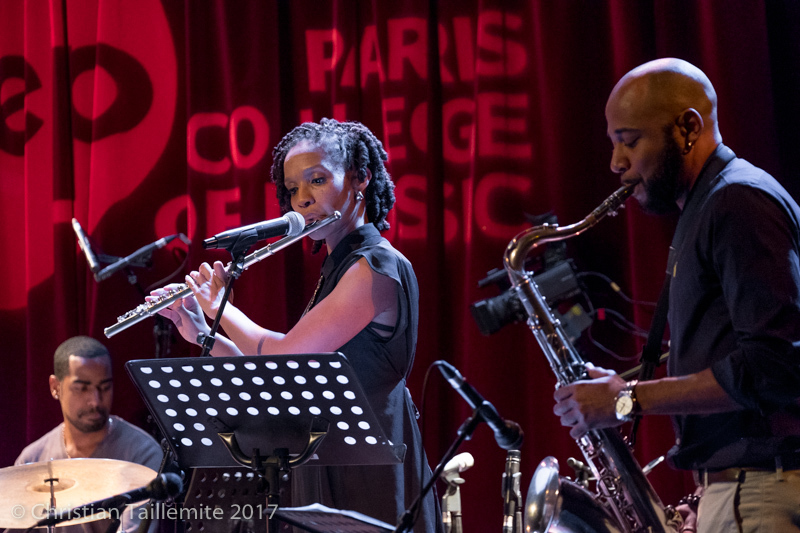 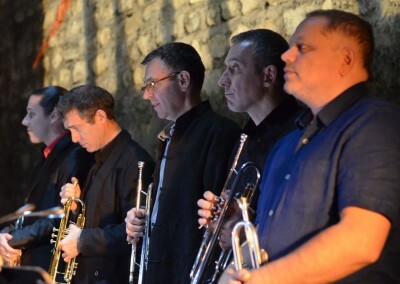 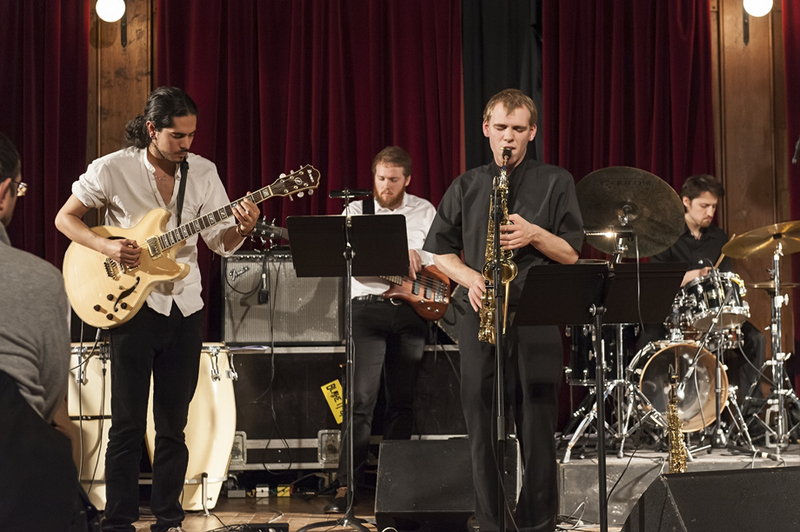 He also played with many New York-based jazz musicians such as Reid Anderson, Brad Mehldau, Kurt Rosenwinkel, Mark Turner, Miguel Zenon, Eli Degibri, and guitarist composer Lionel Loueke, a former student from our faculty members. 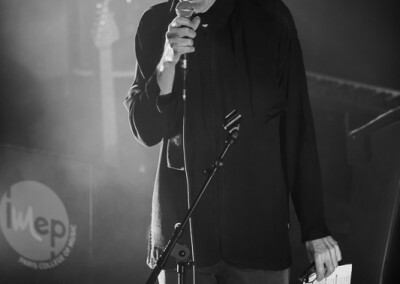 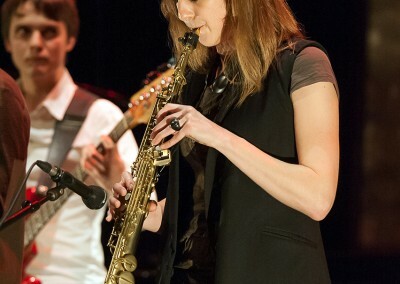 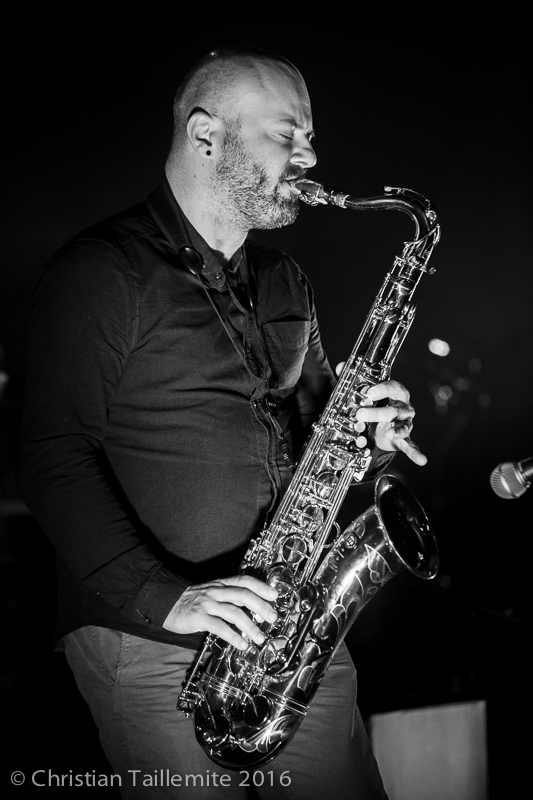 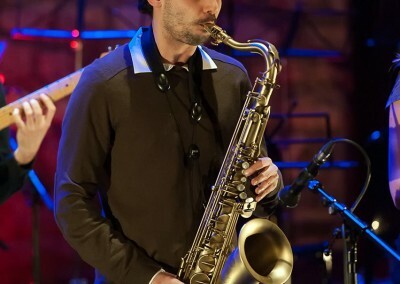 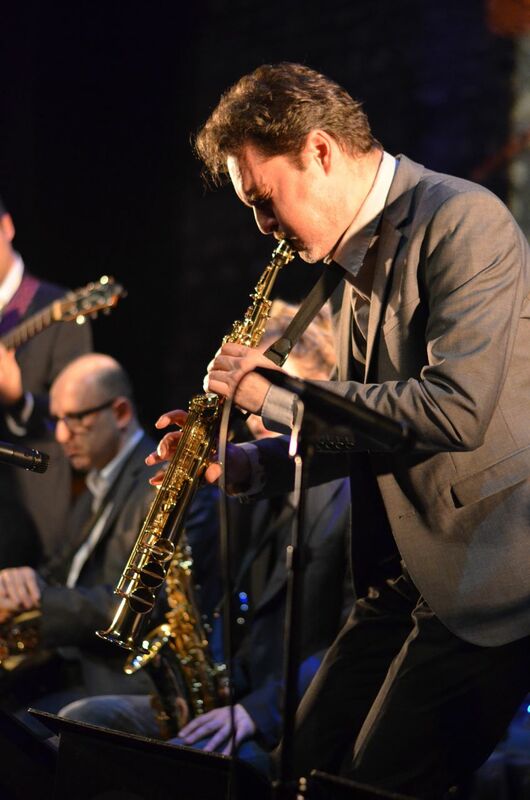 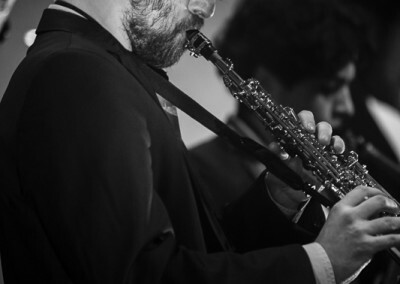 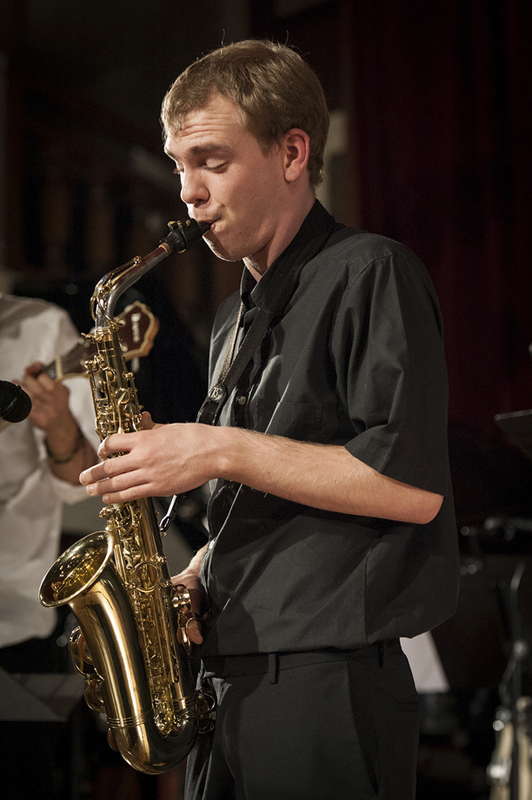 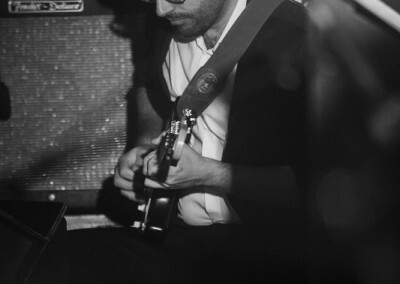 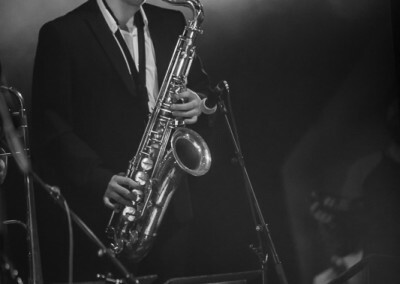 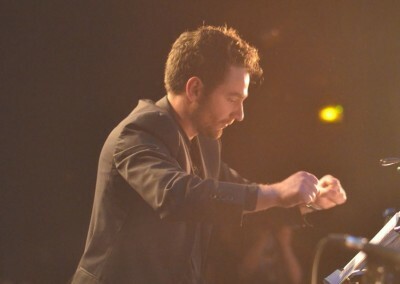 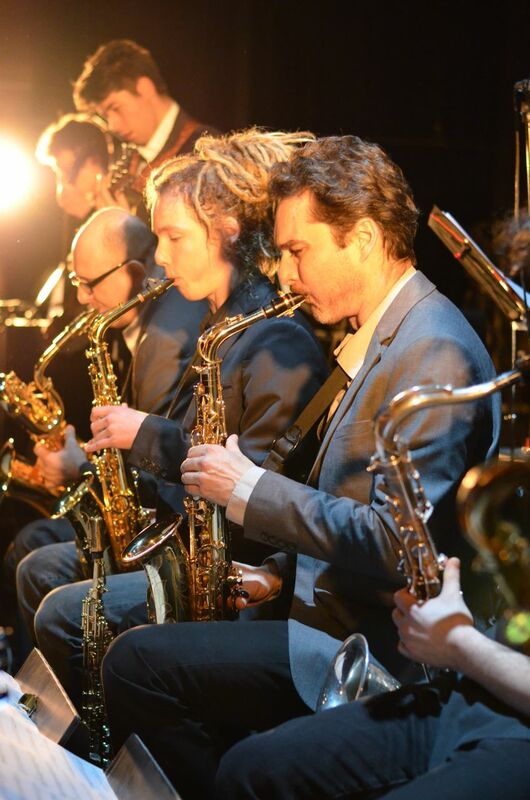 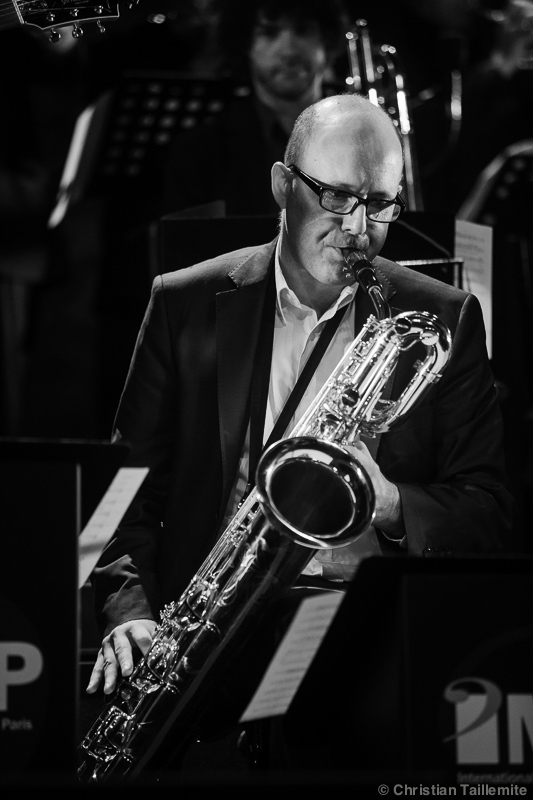 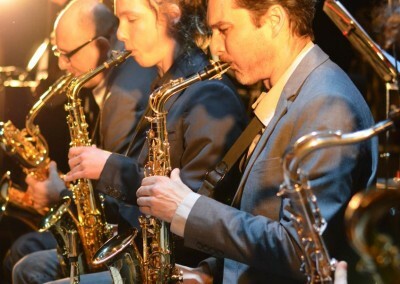 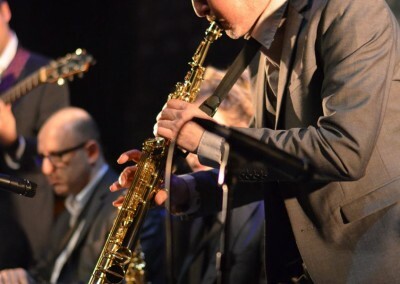 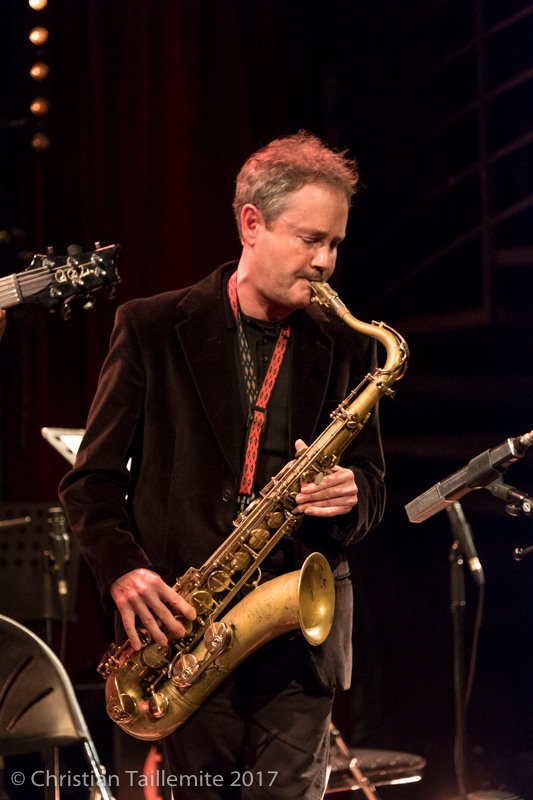 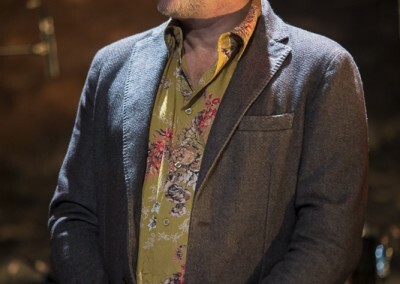 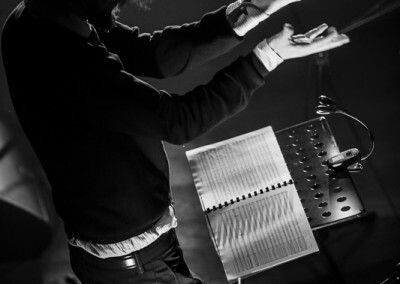 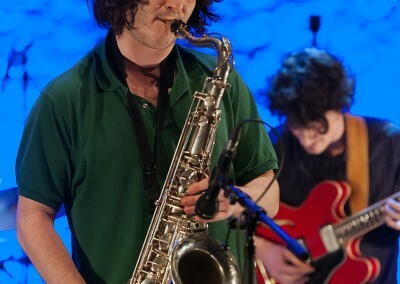 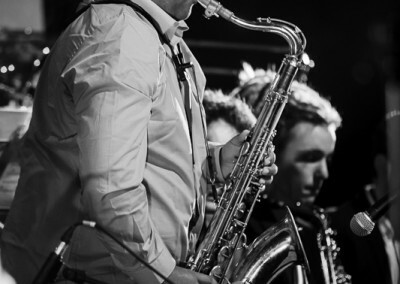 He has also played with the Joshua Redman Elastic Band. 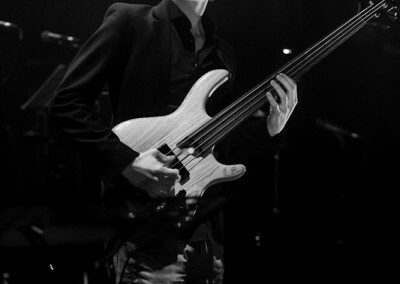 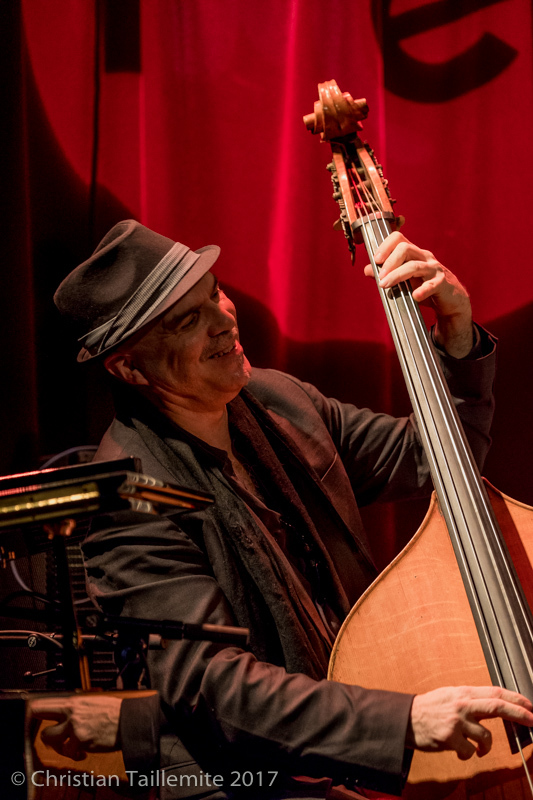 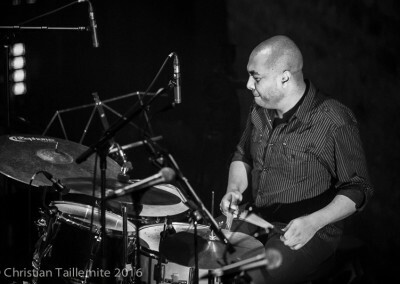 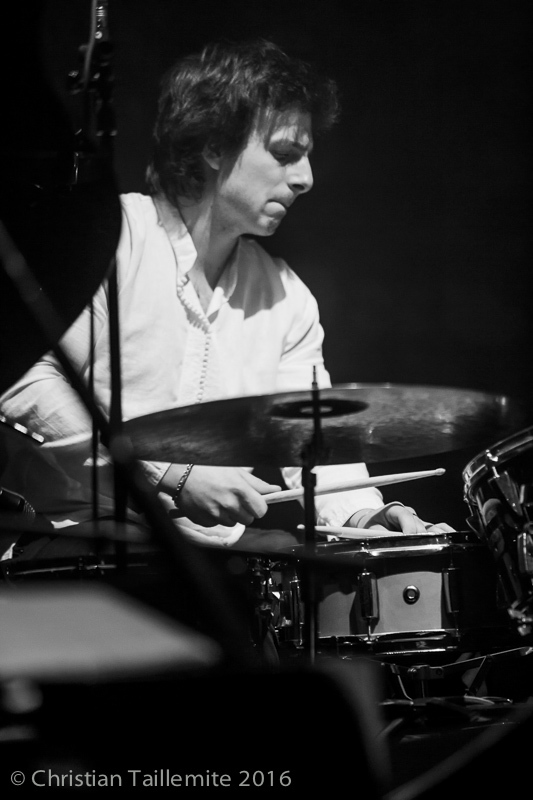 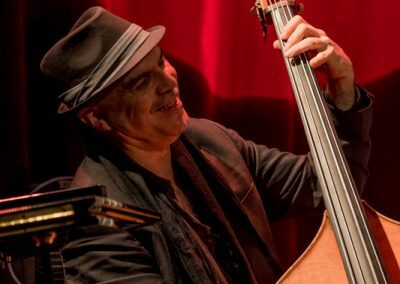 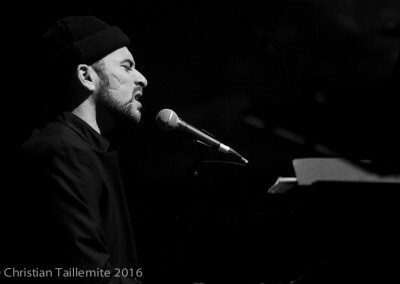 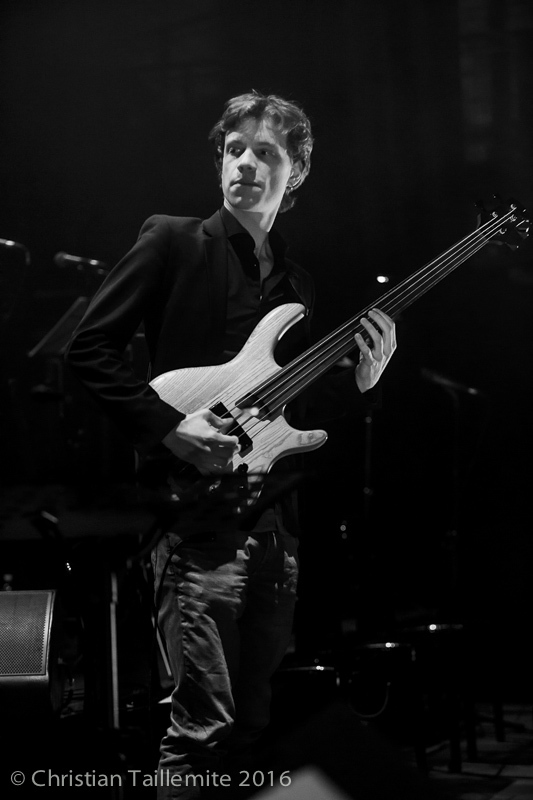 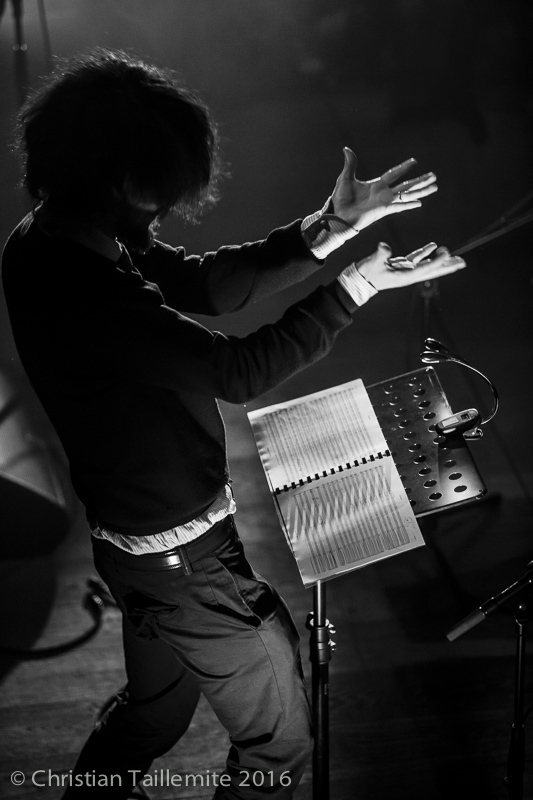 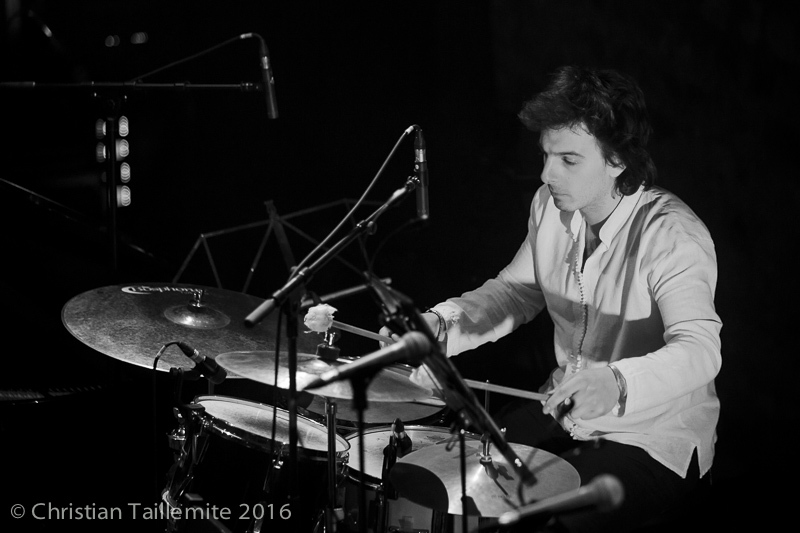 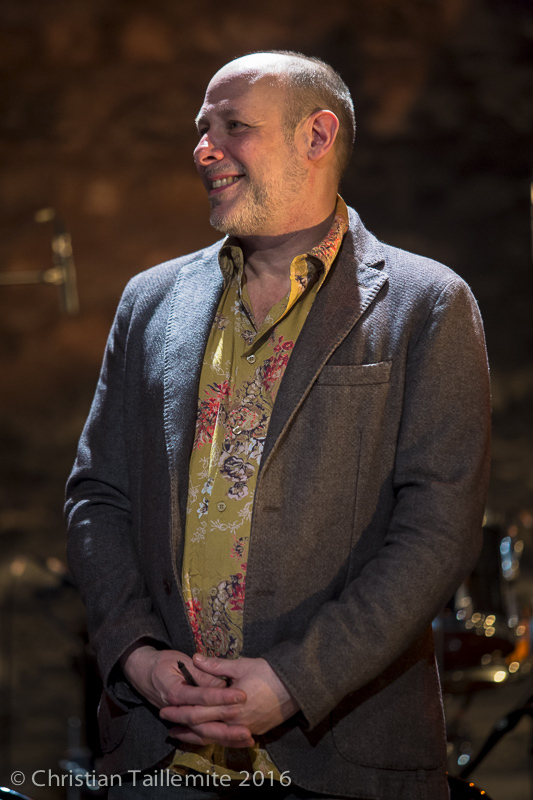 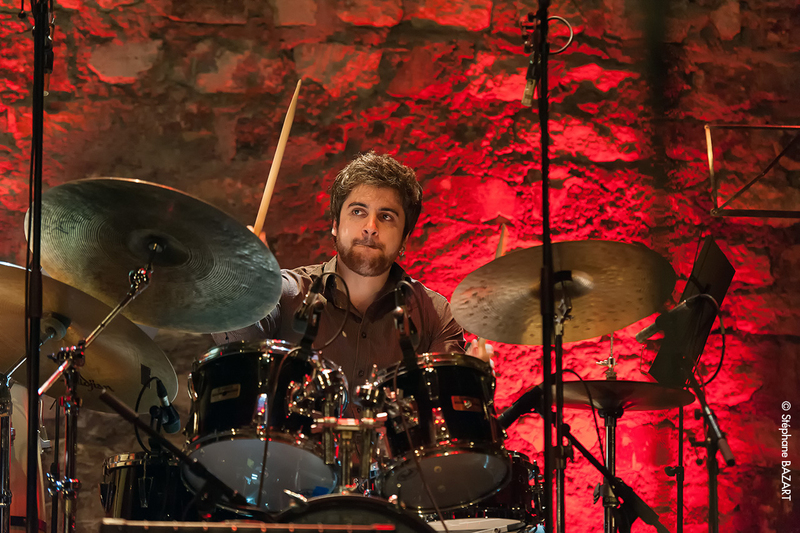 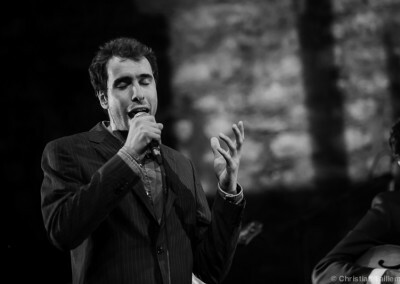 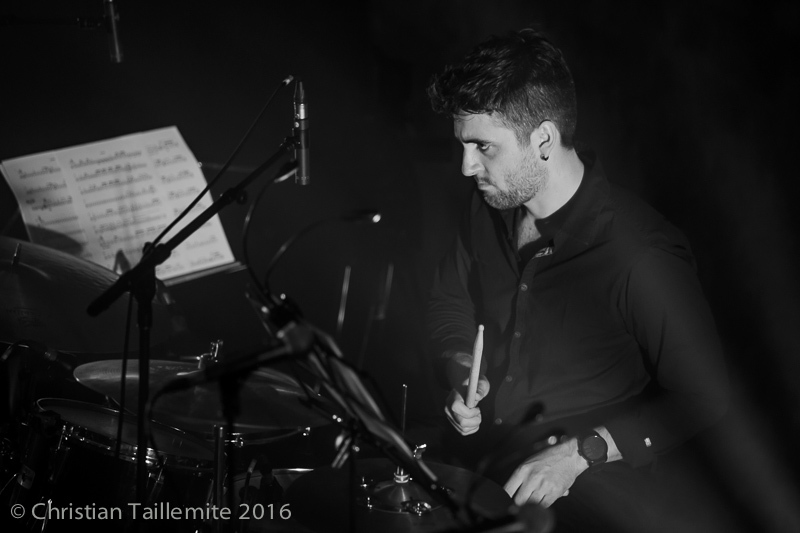 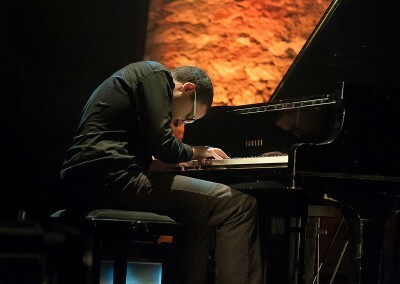 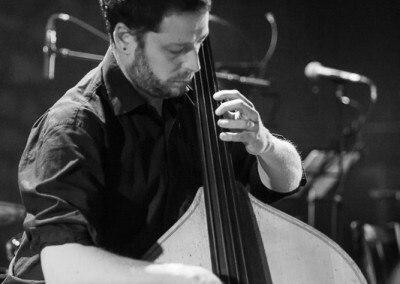 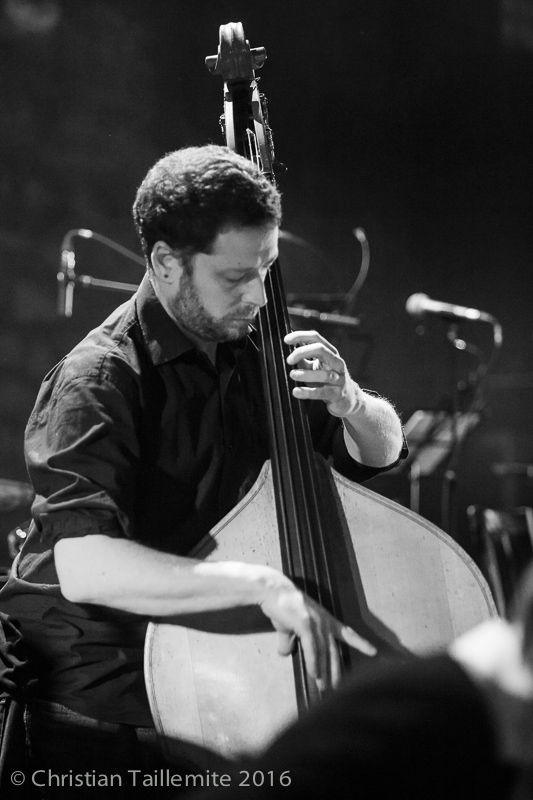 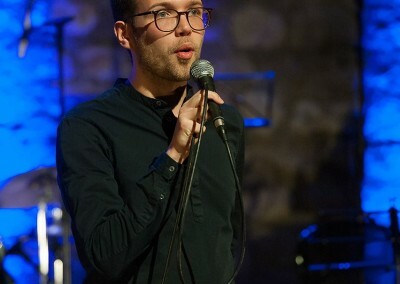 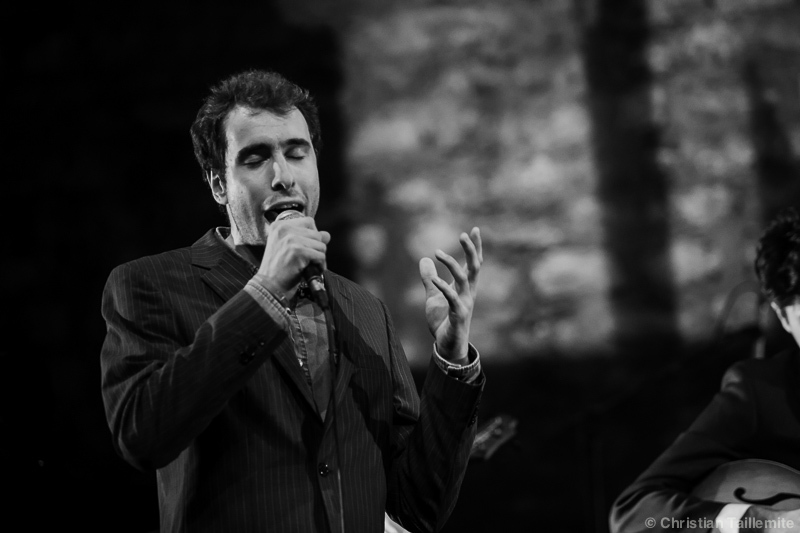 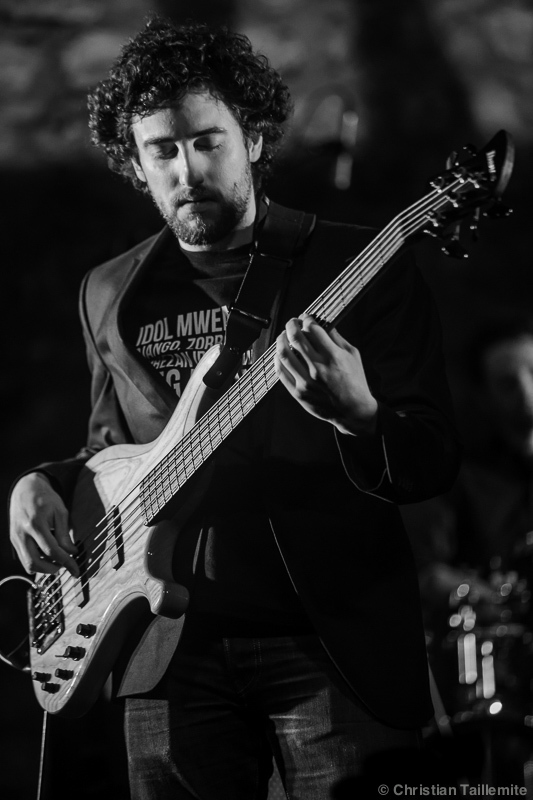 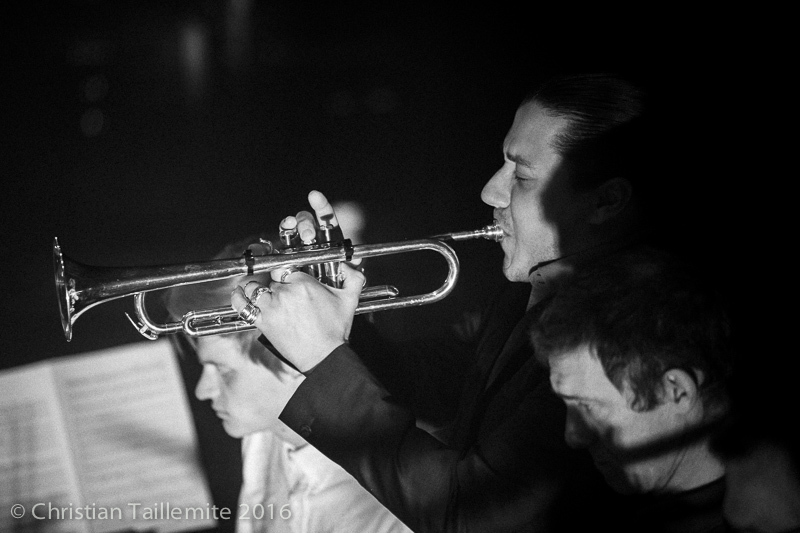 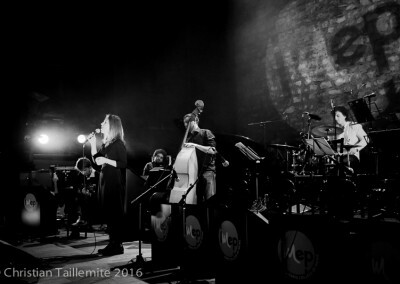 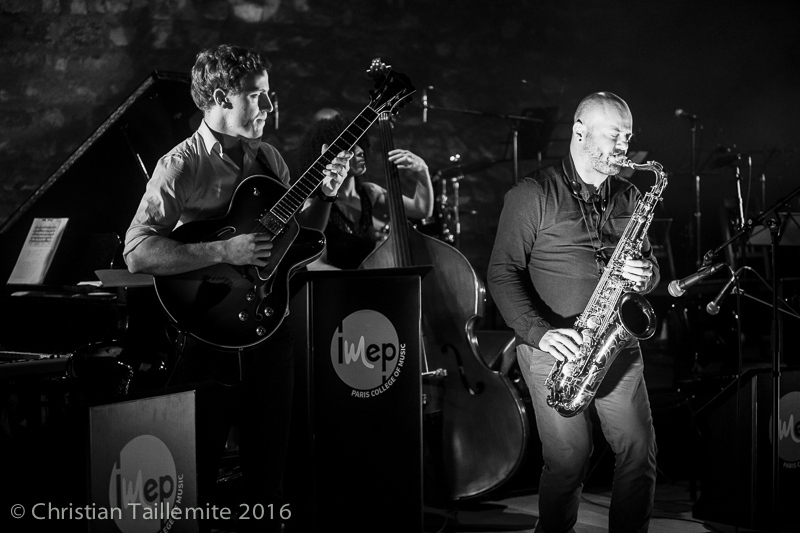 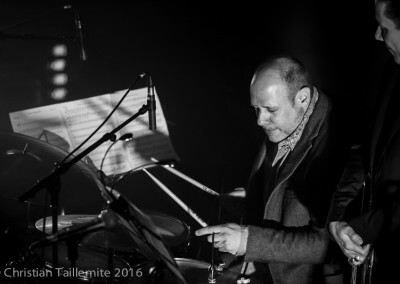 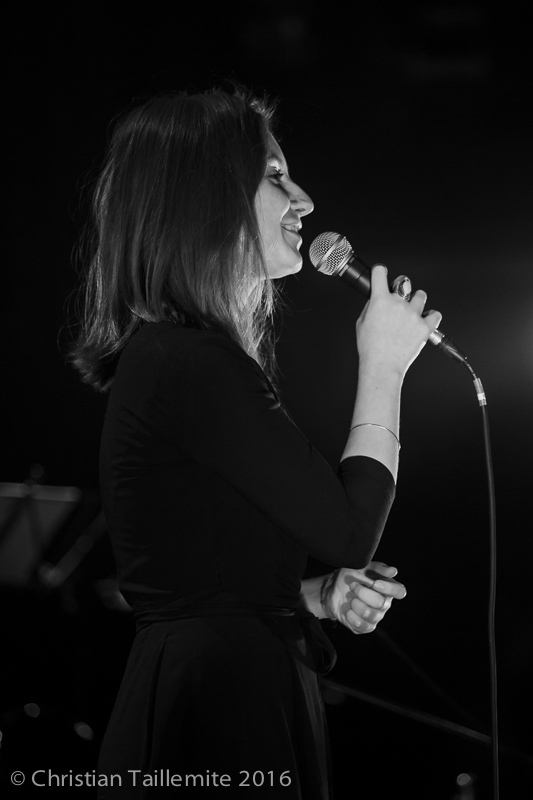 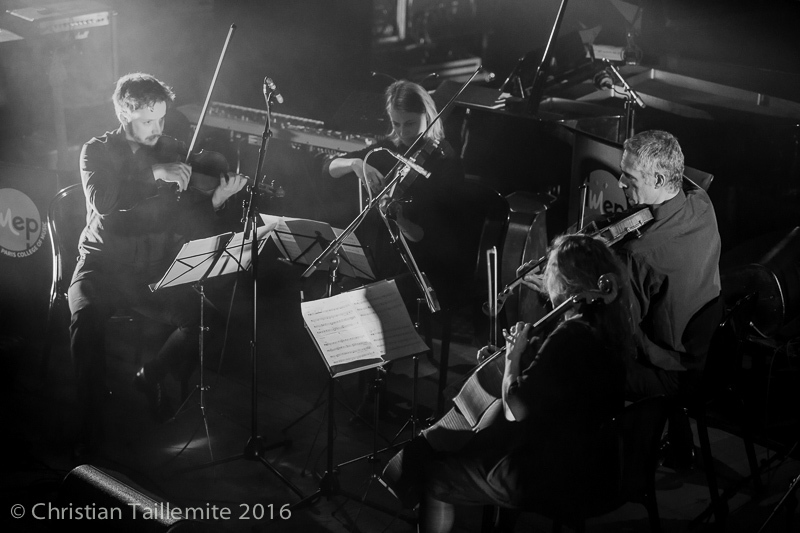 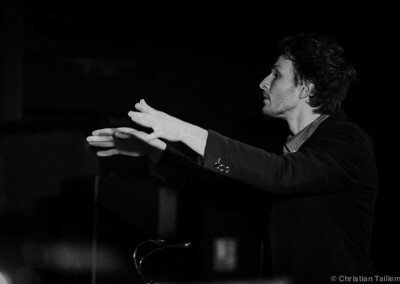 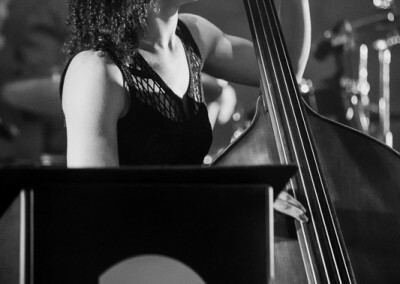 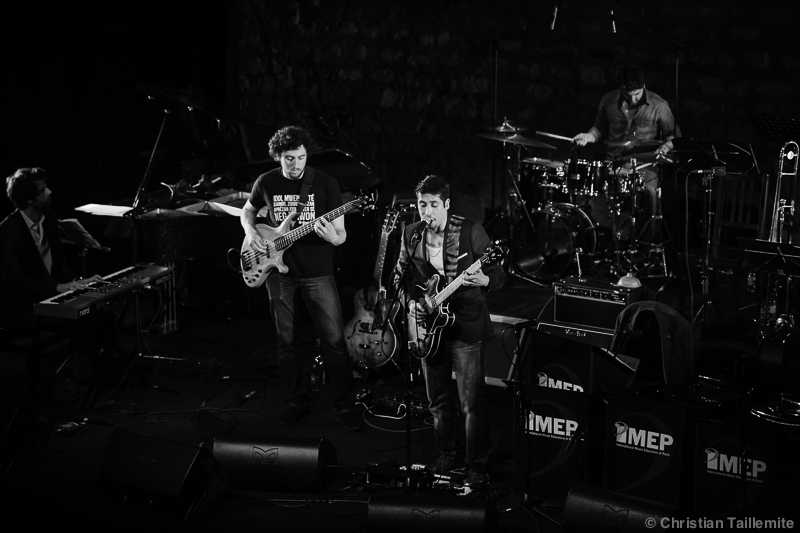 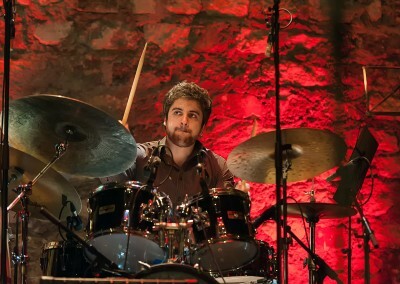 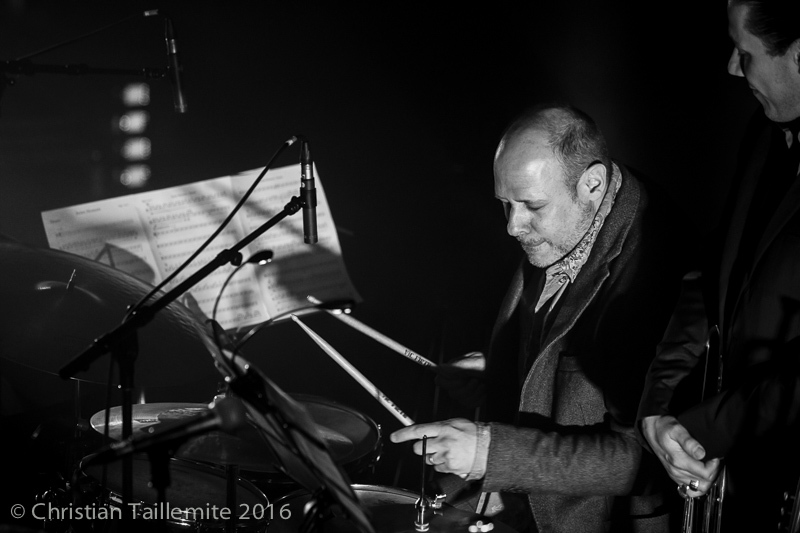 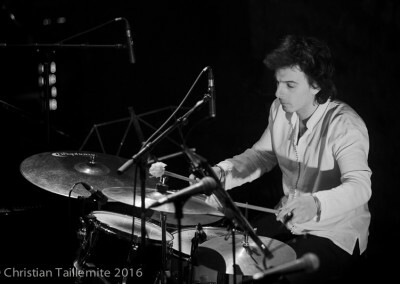 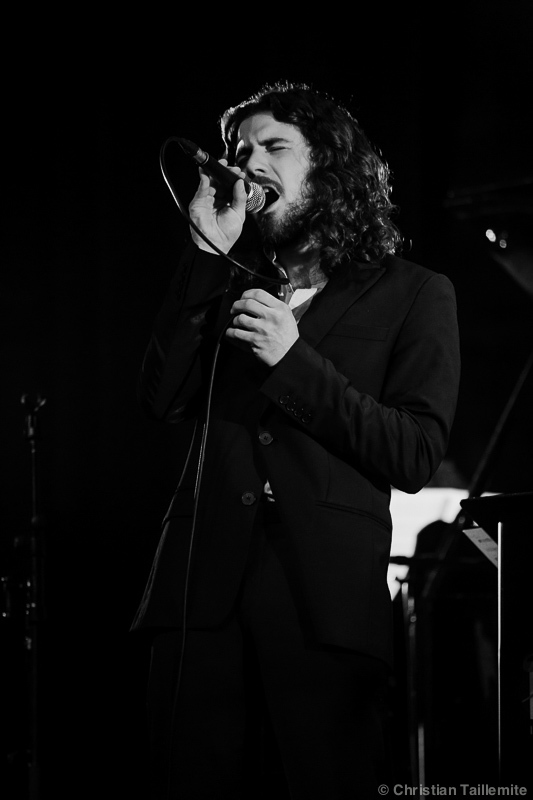 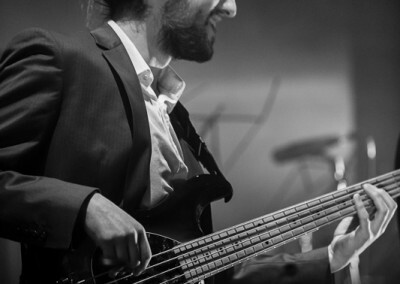 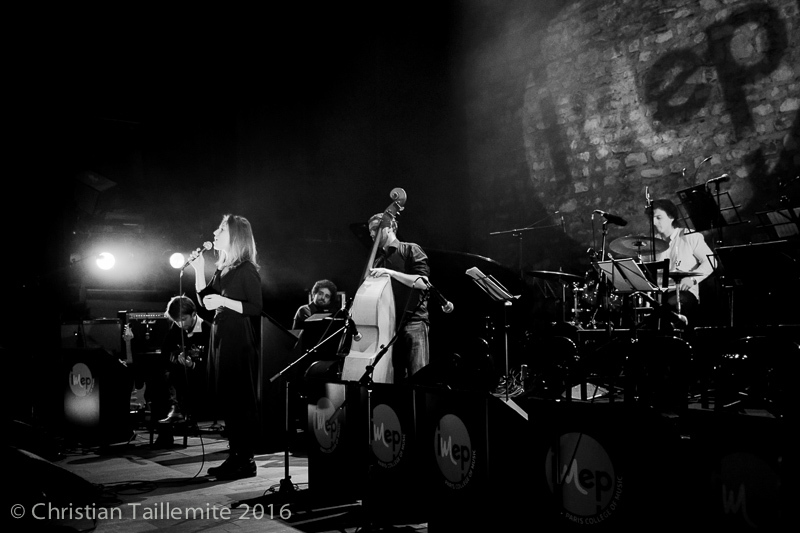 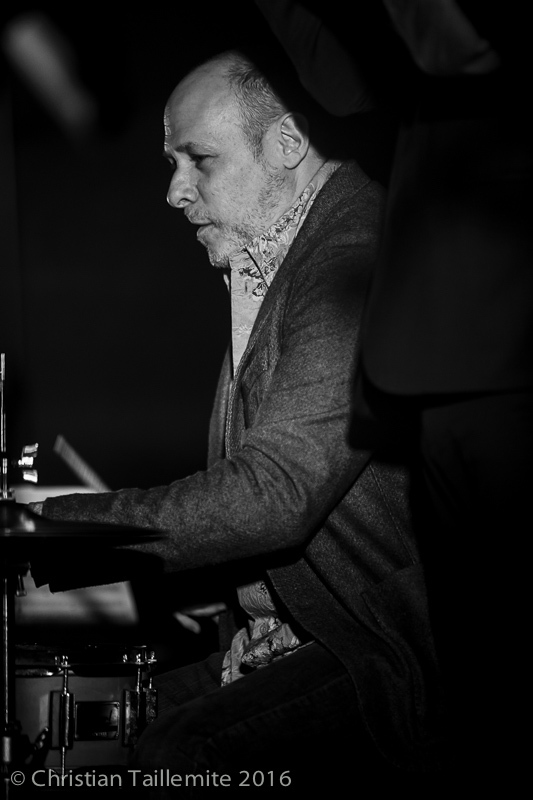 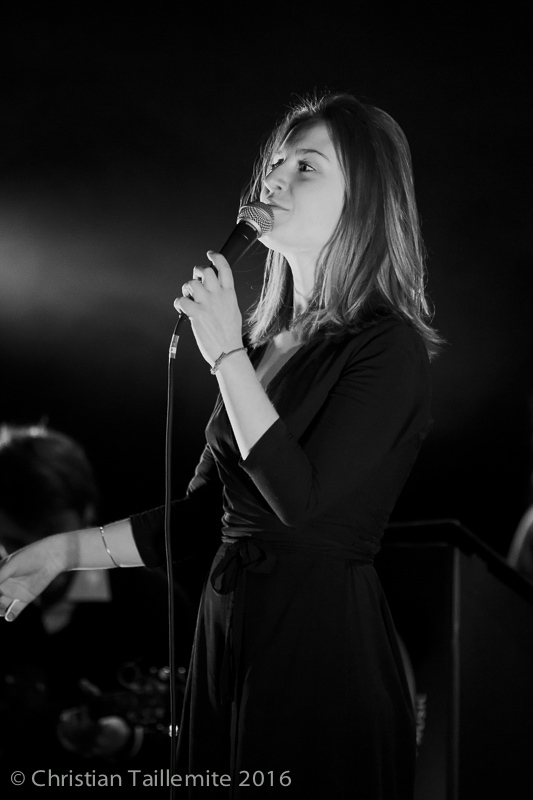 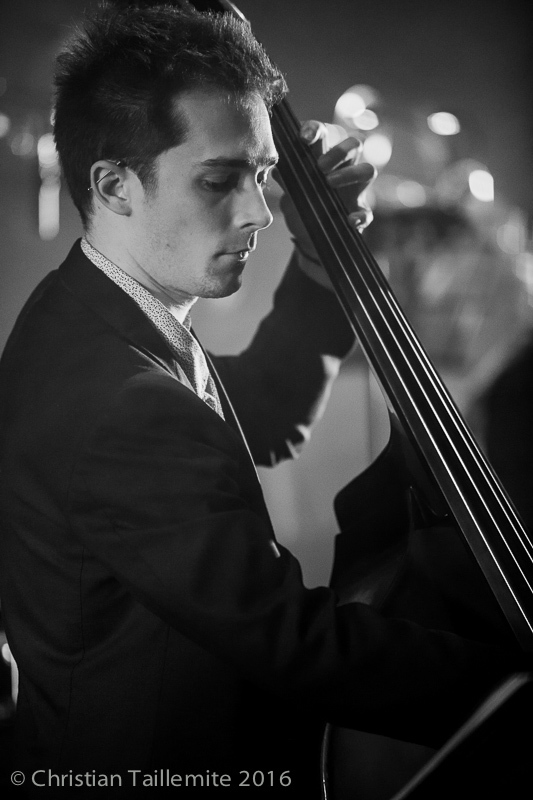 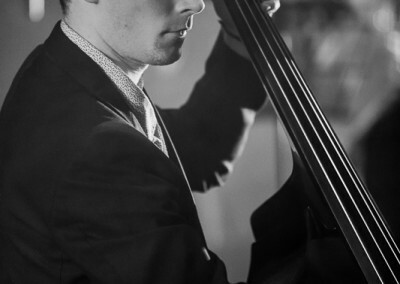 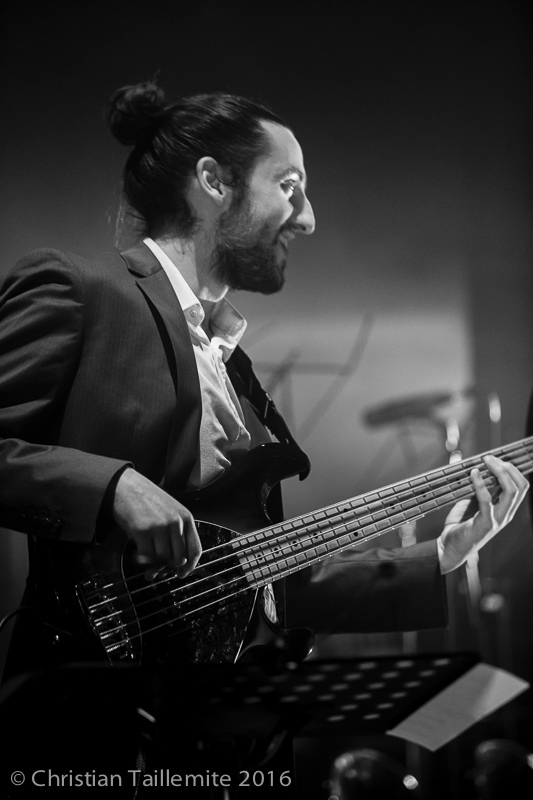 He is currently a member of the Brad Mehldau Trio and co-leader of Fly, a collective trio with Mark Turner and Larry Grenadier.